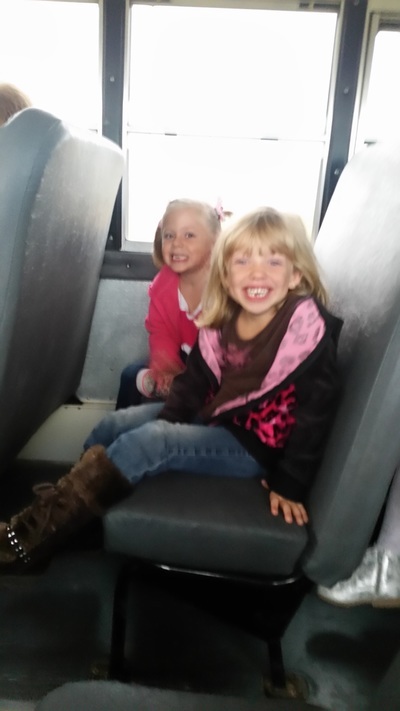 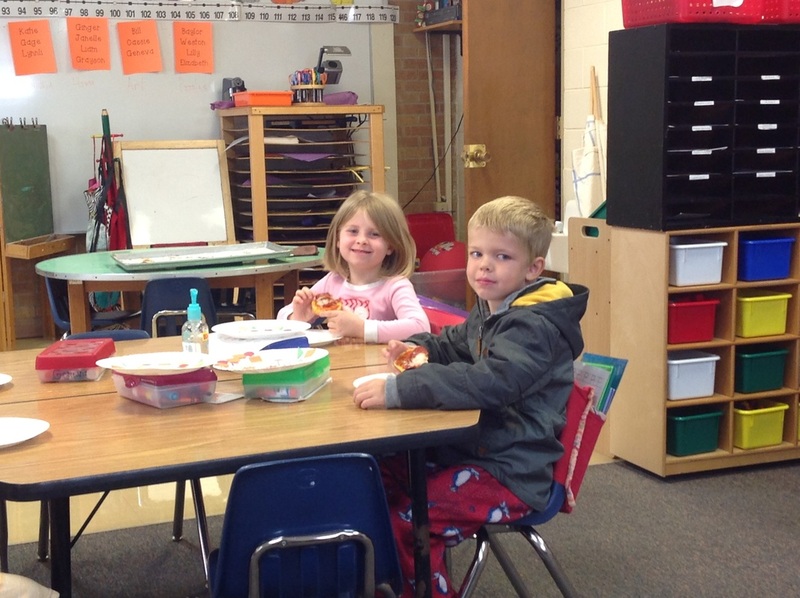 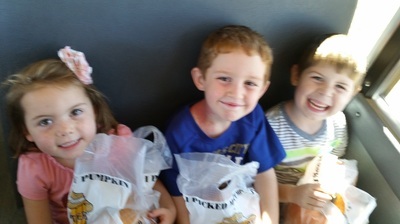 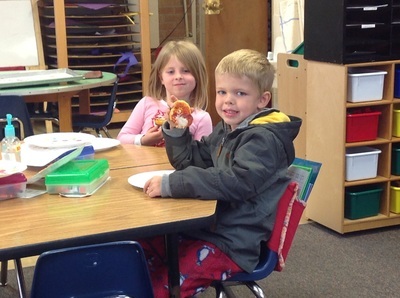 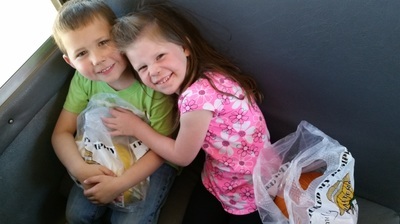 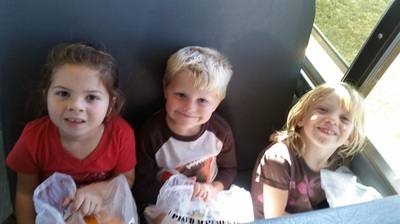 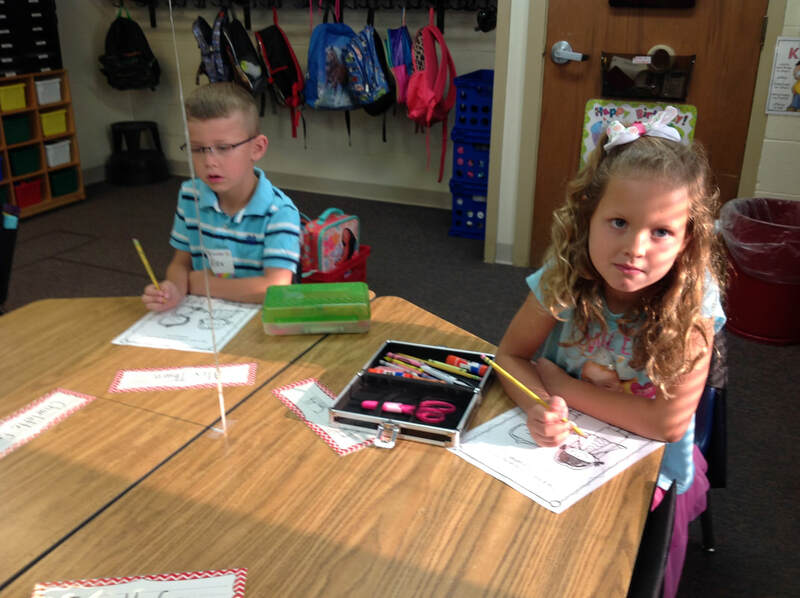 Today was the first day of Kindergarten for these cuties! 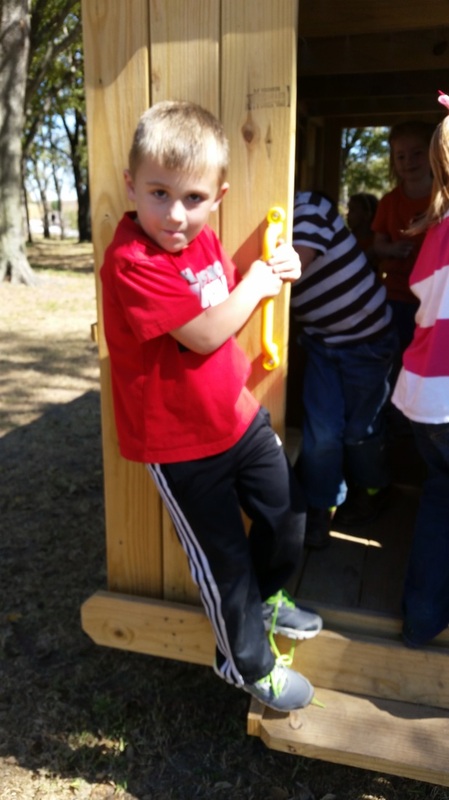 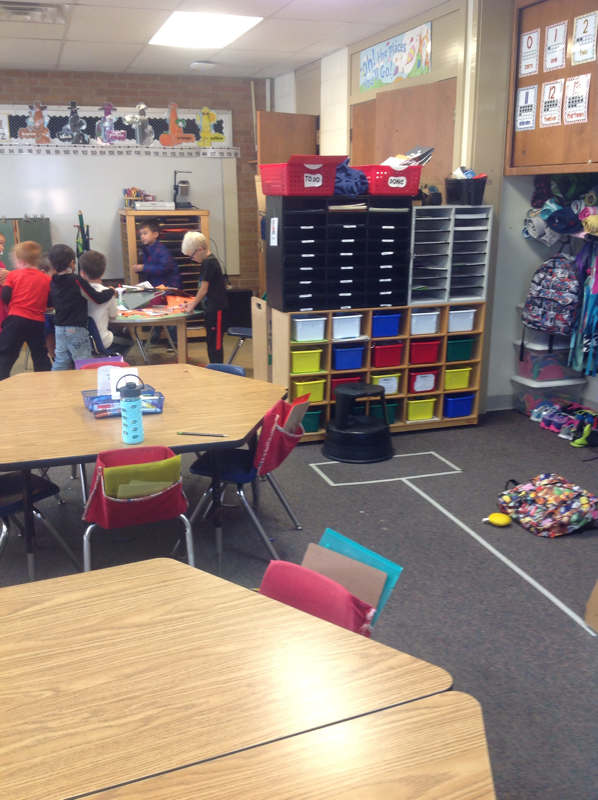 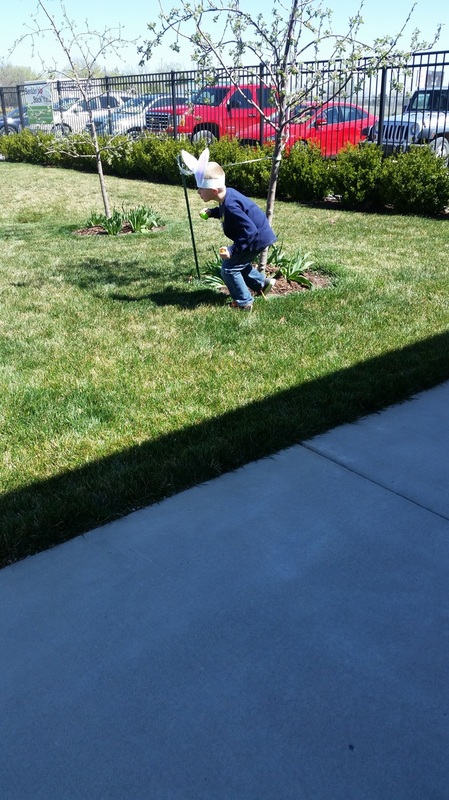 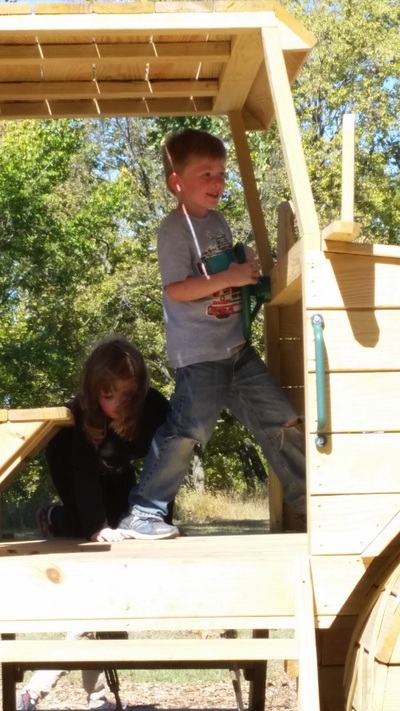 We had a day full of stories, projects, and play! 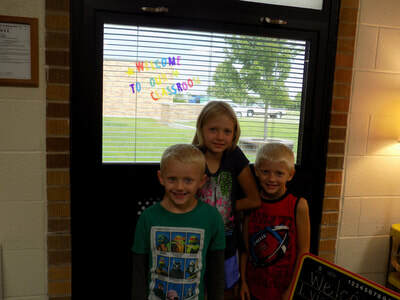 I'm looking forward to a great year with them! 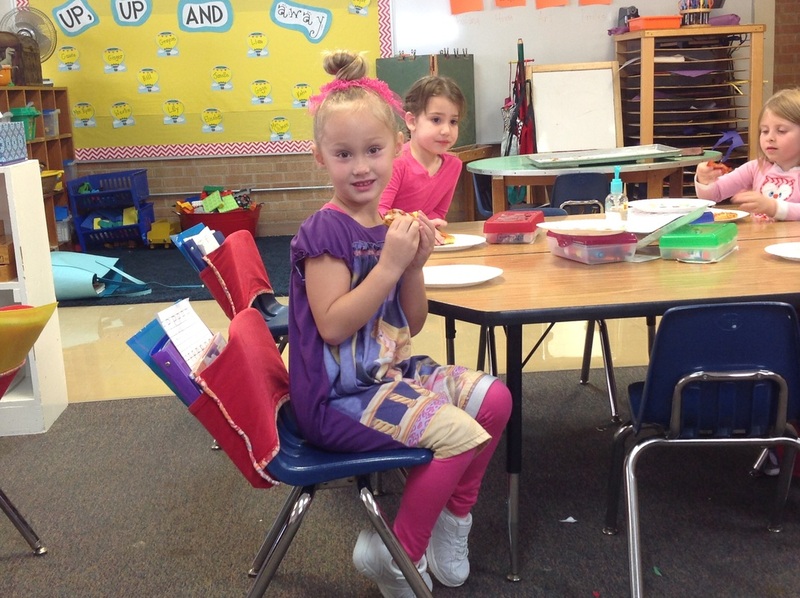 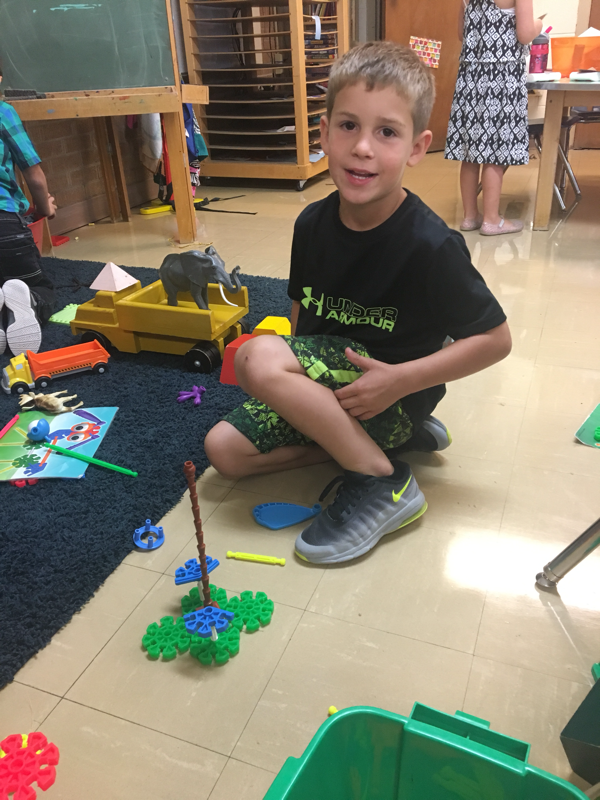 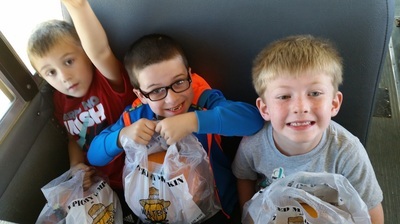 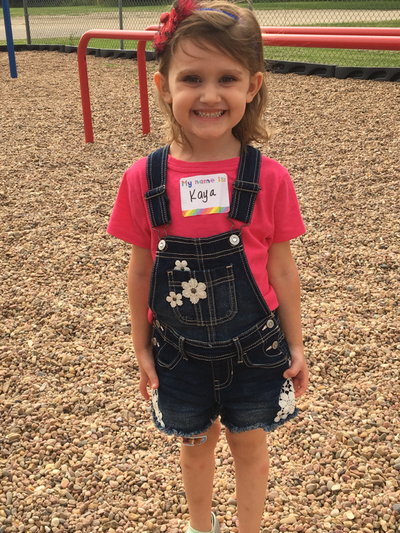 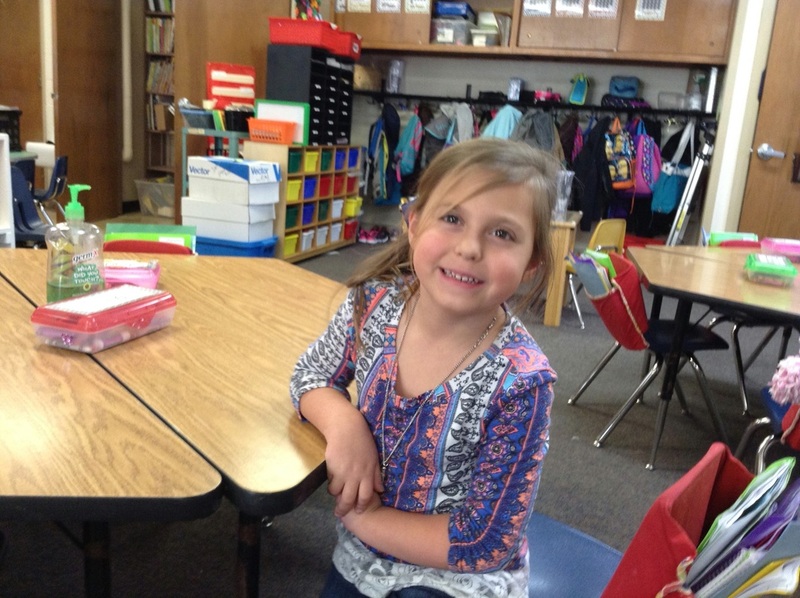 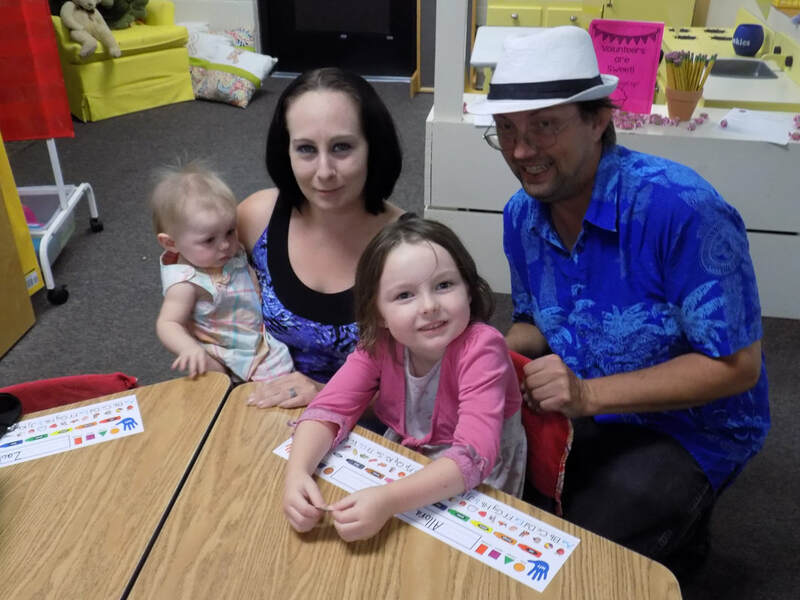 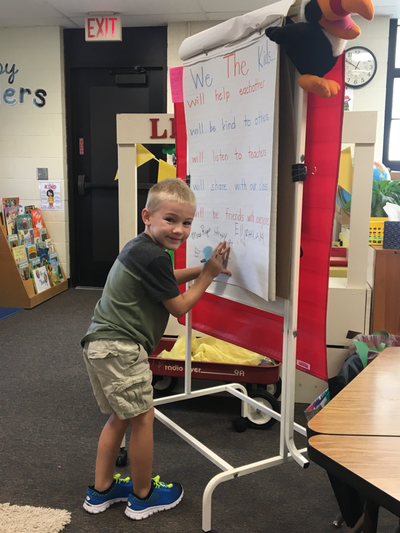 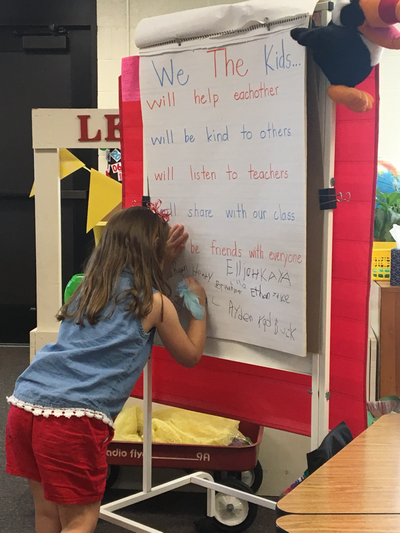 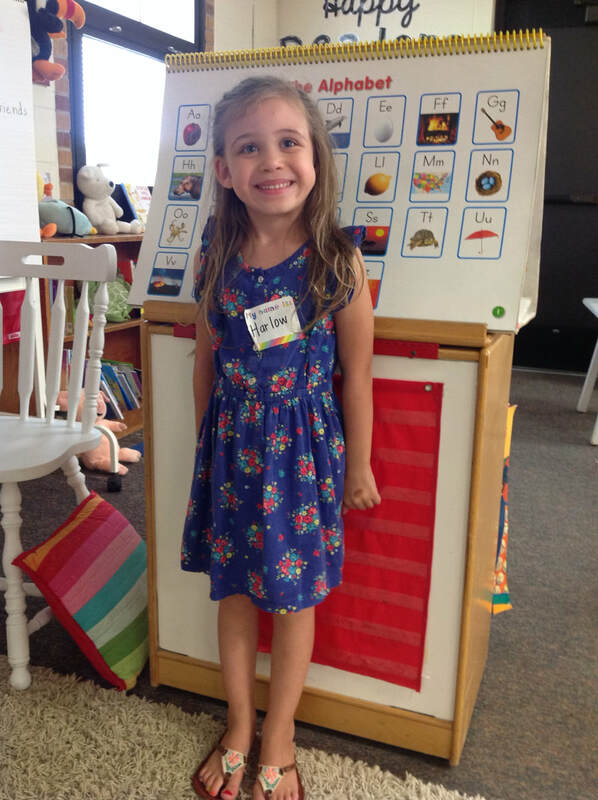 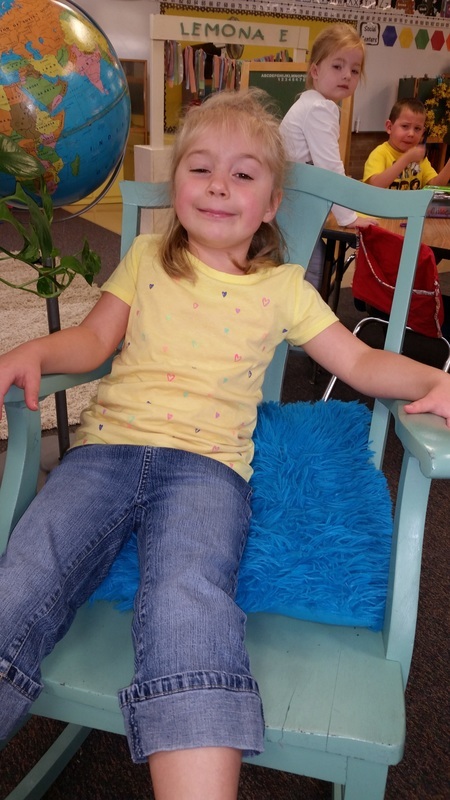 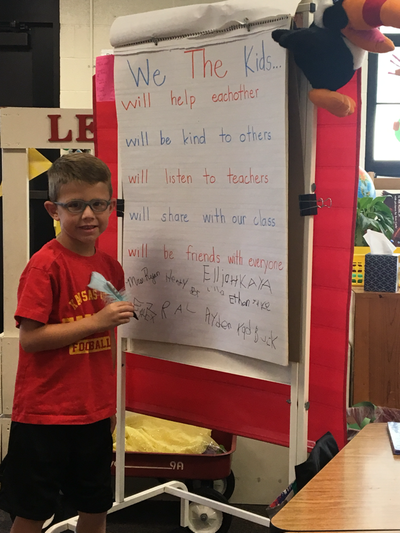 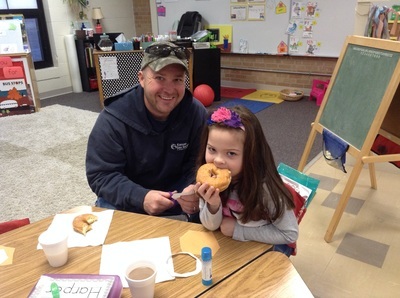 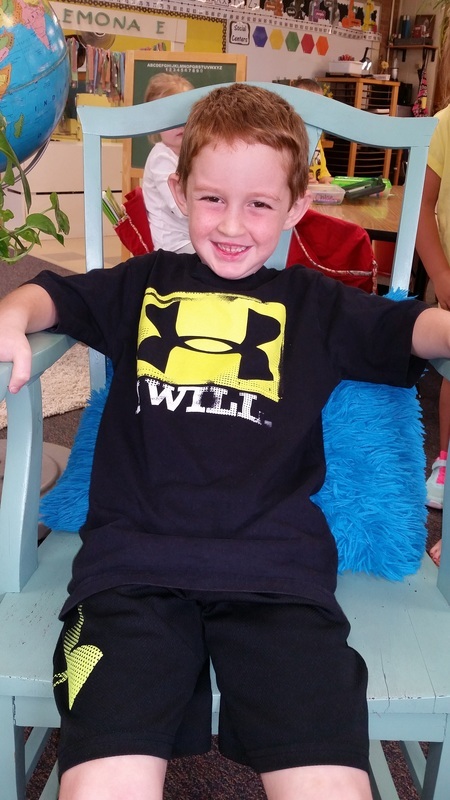 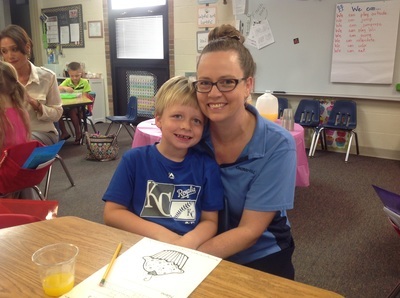 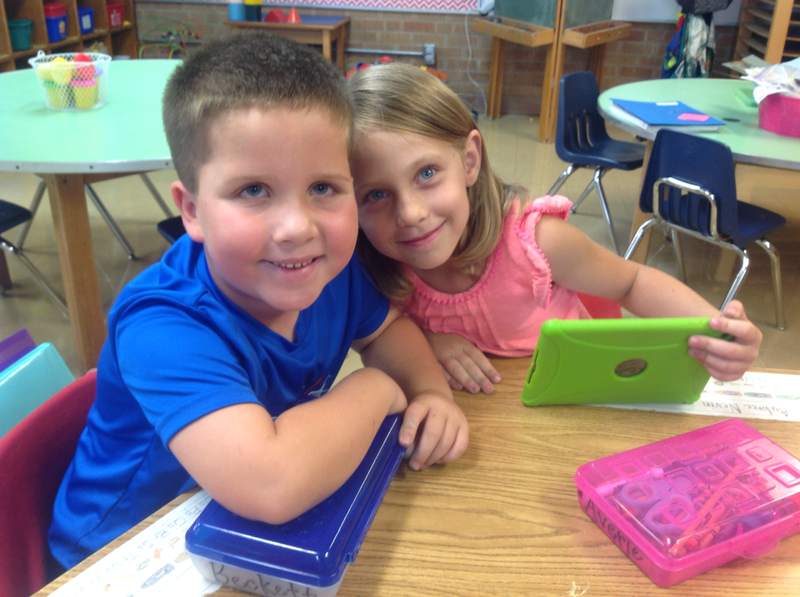 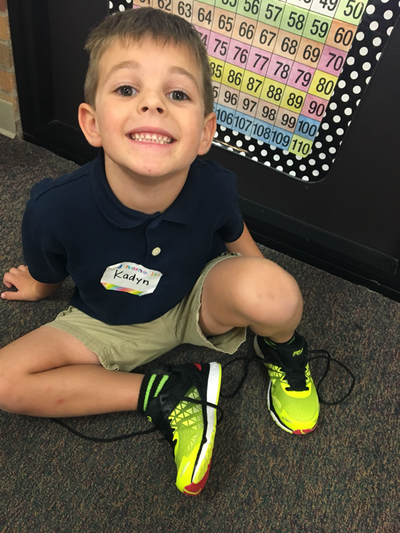 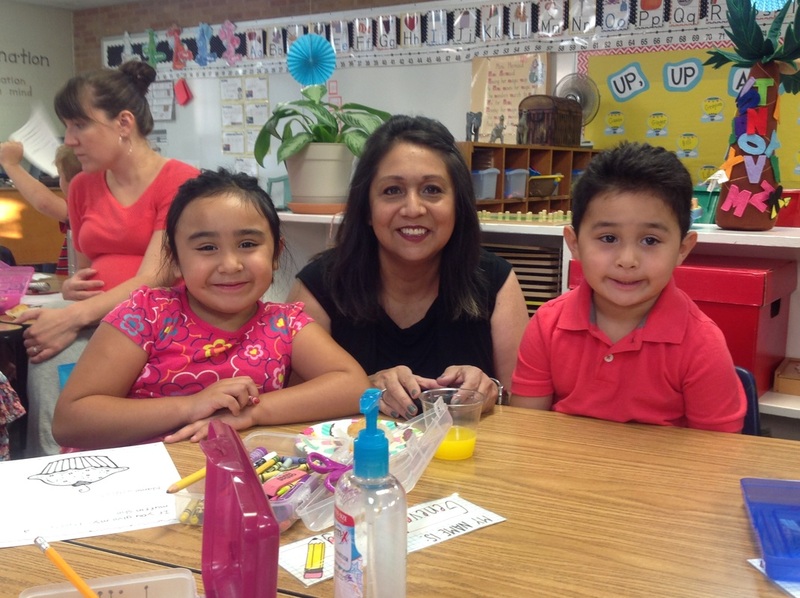 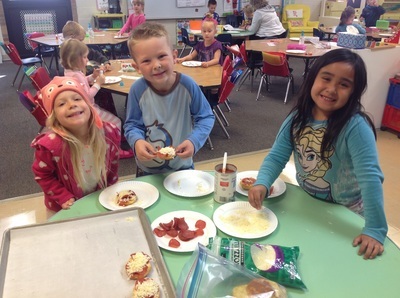 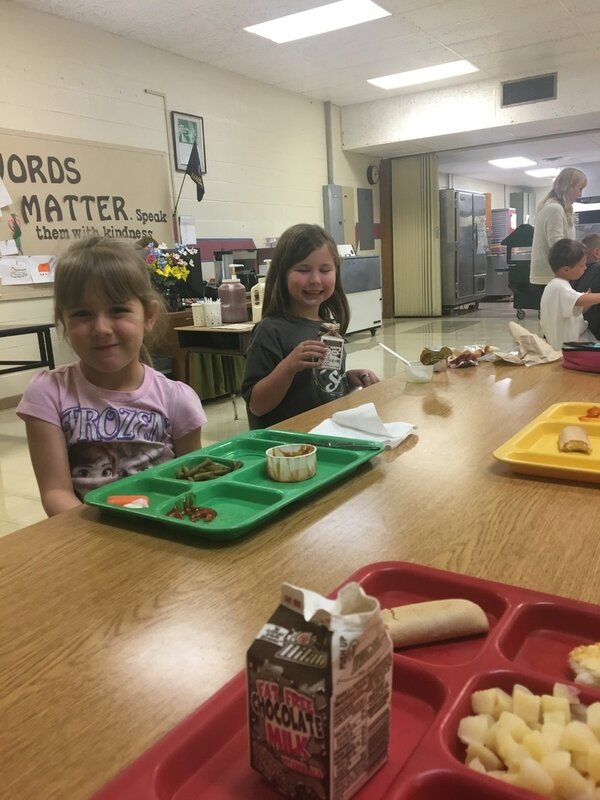 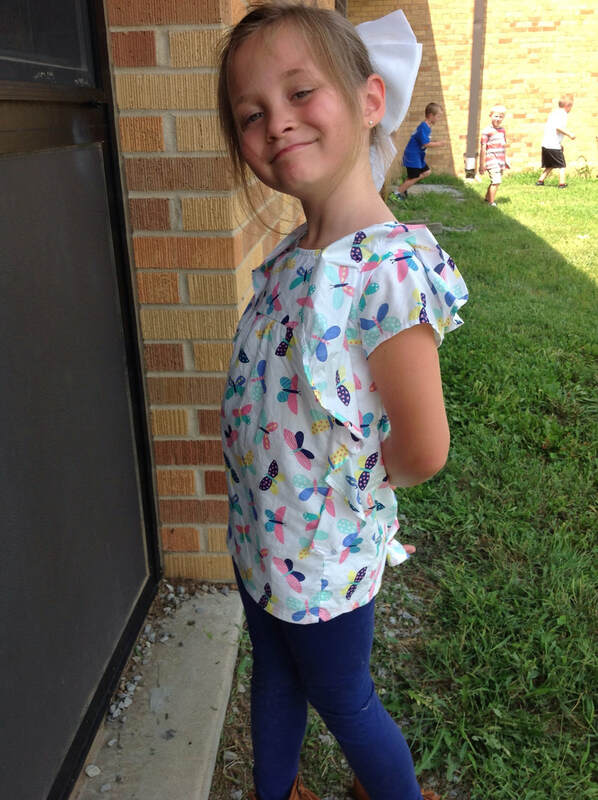 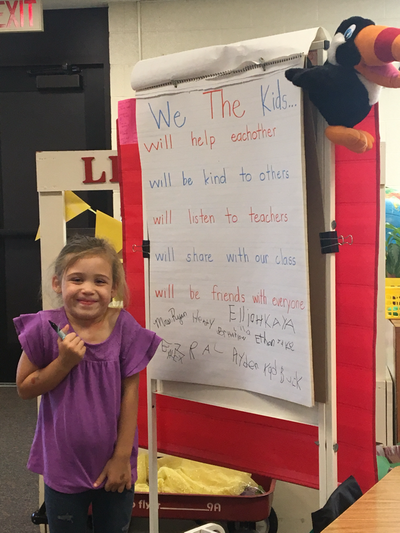 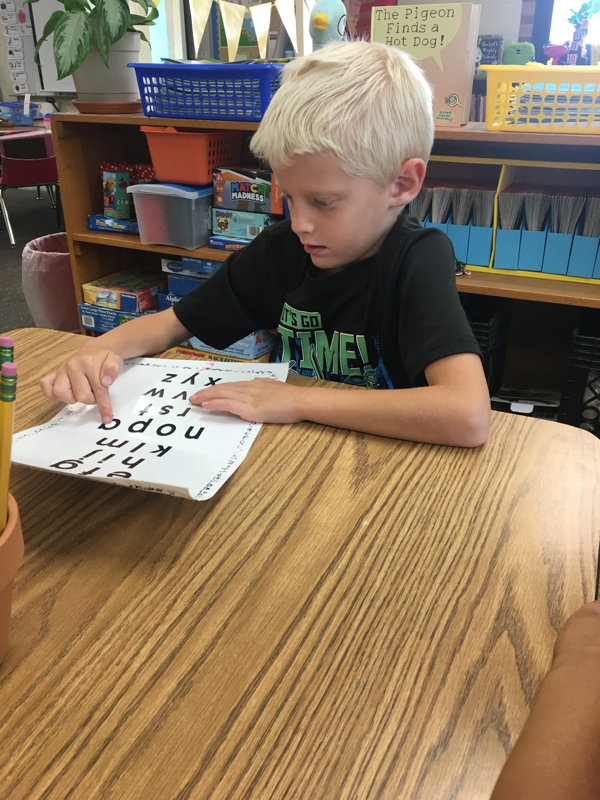 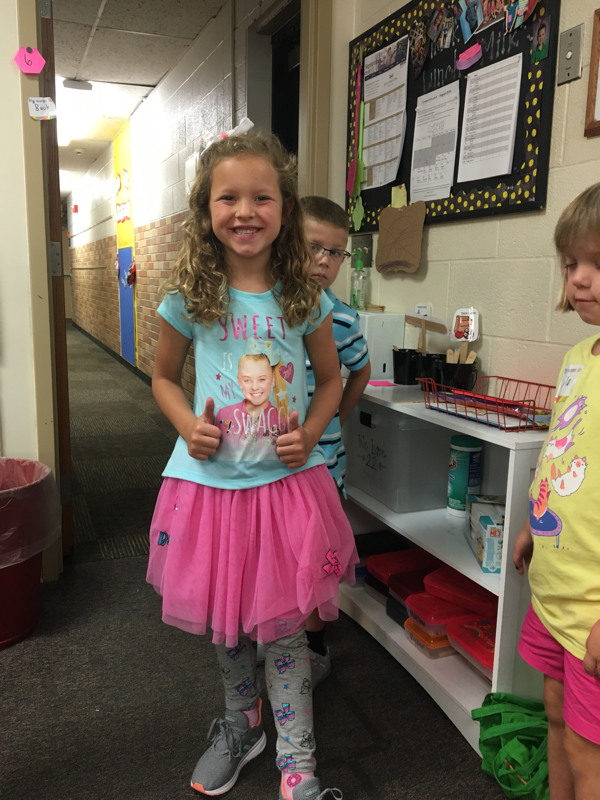 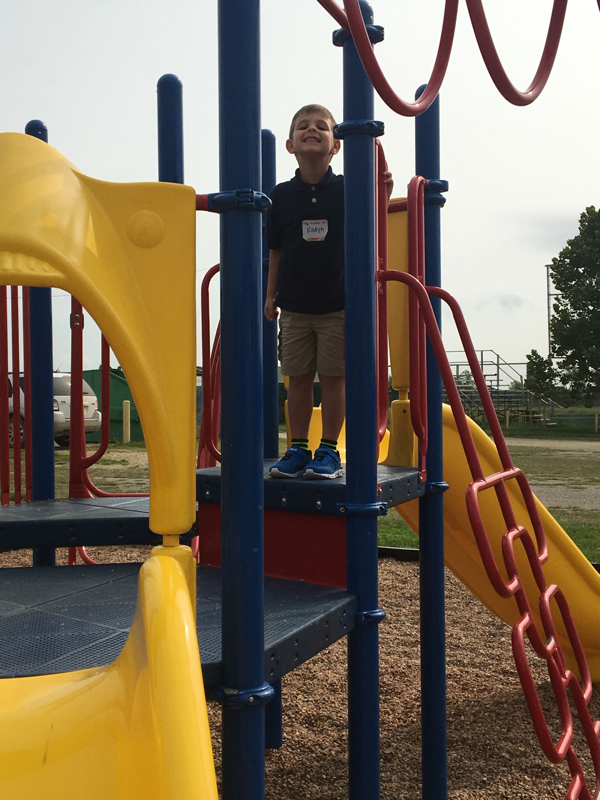 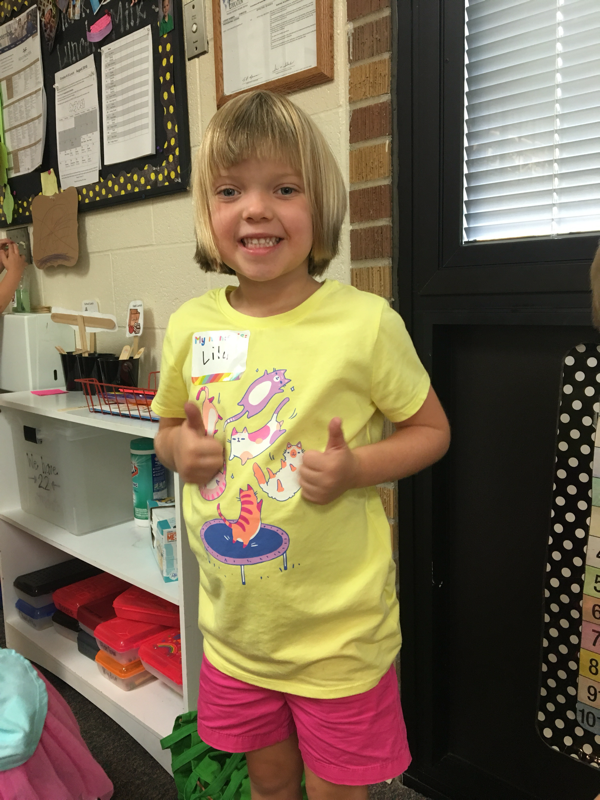 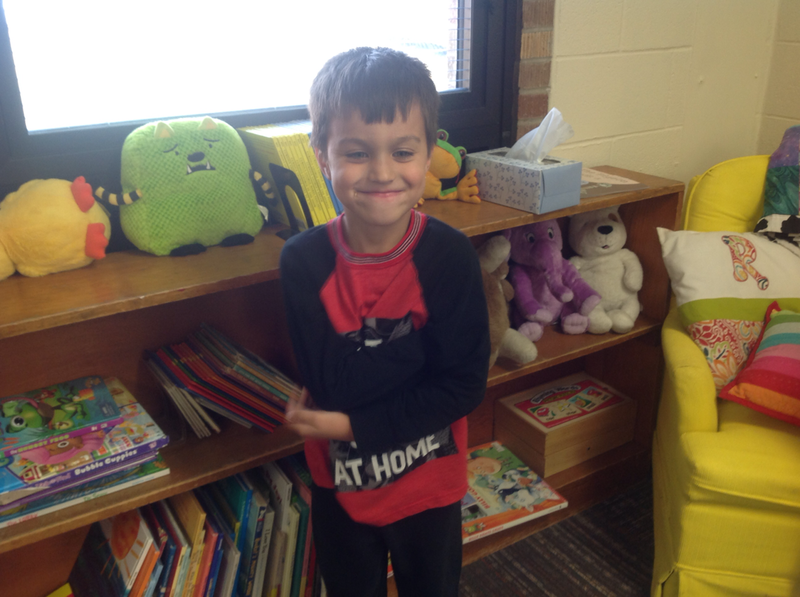 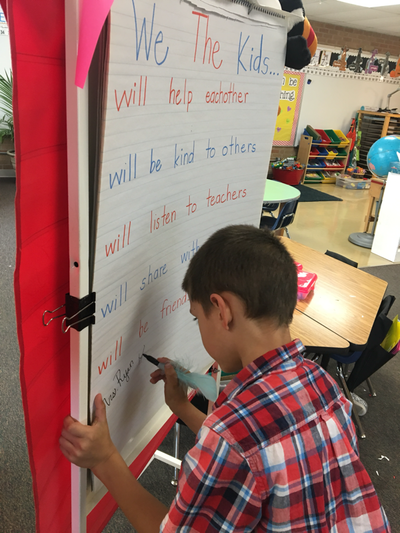 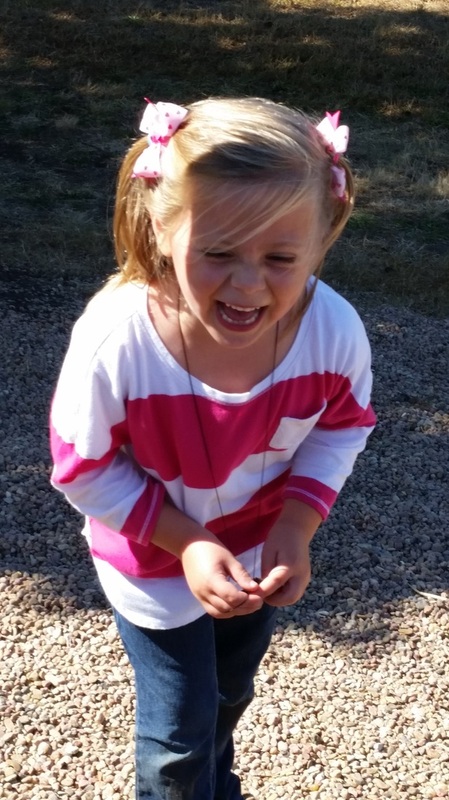 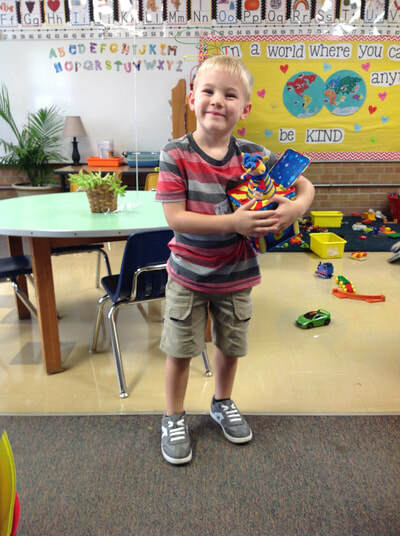 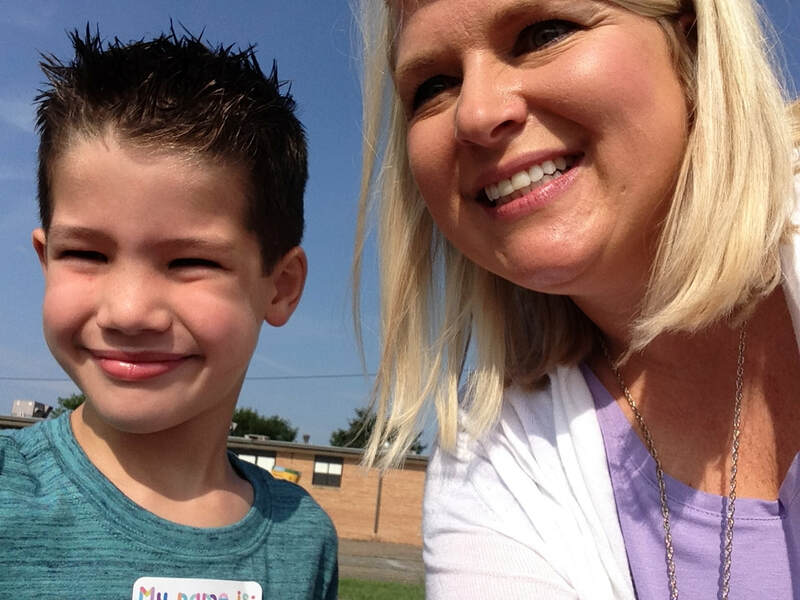 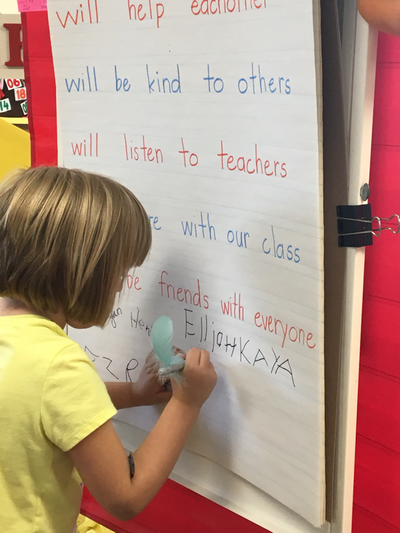 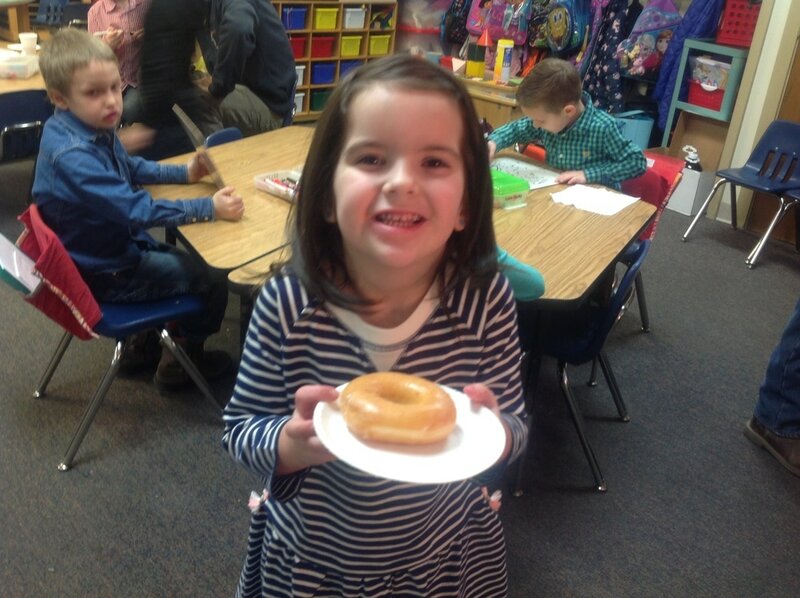 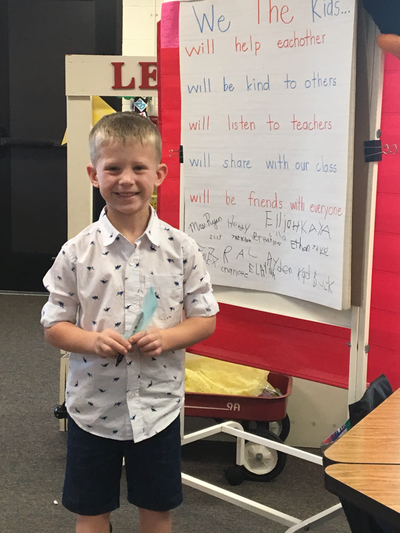 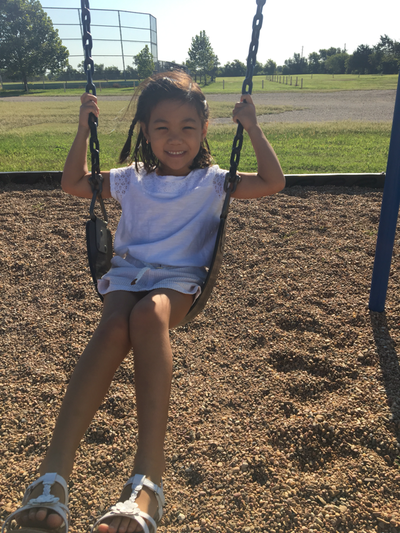 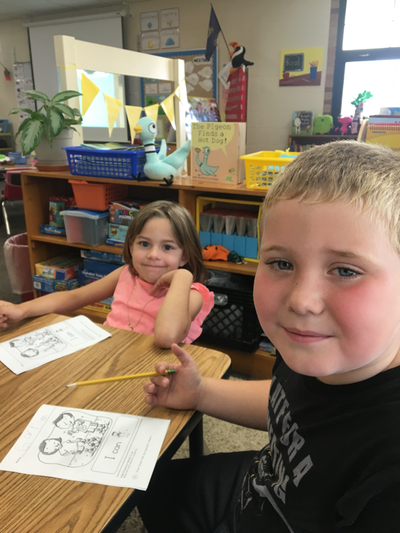 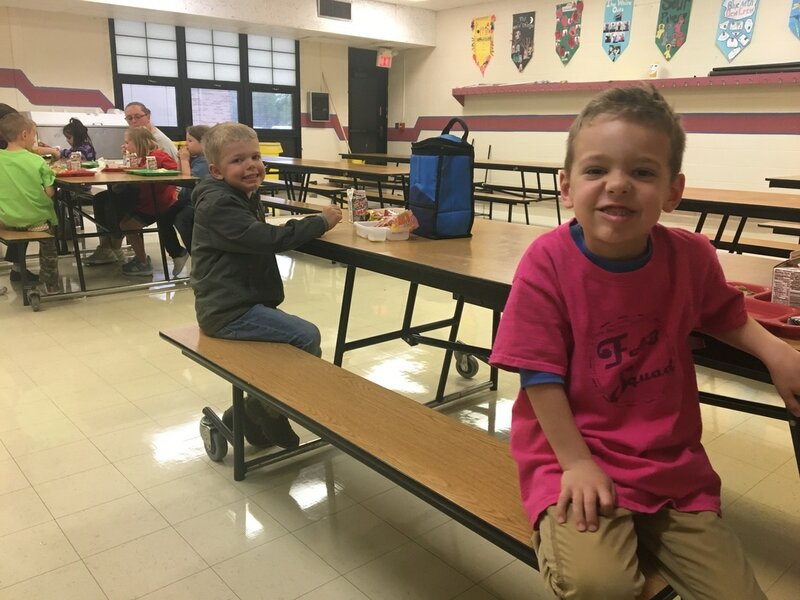 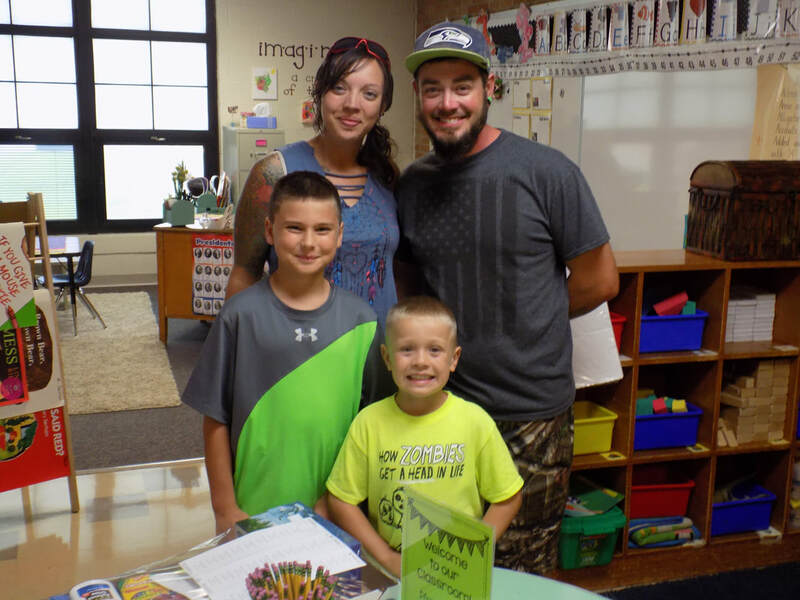 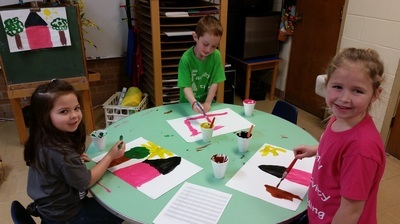 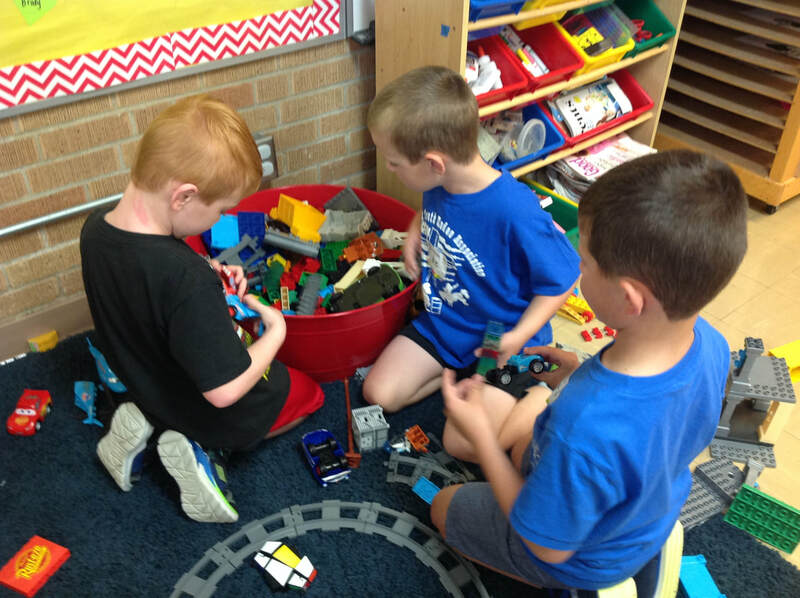 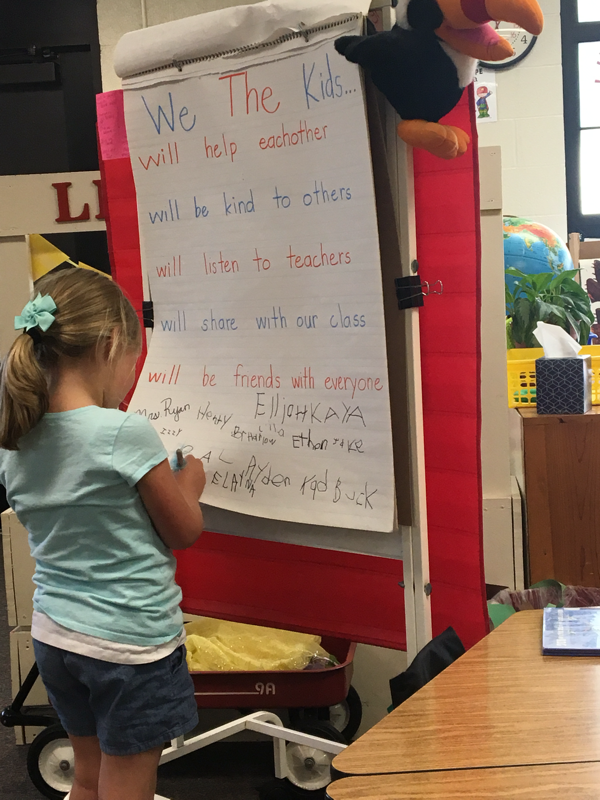 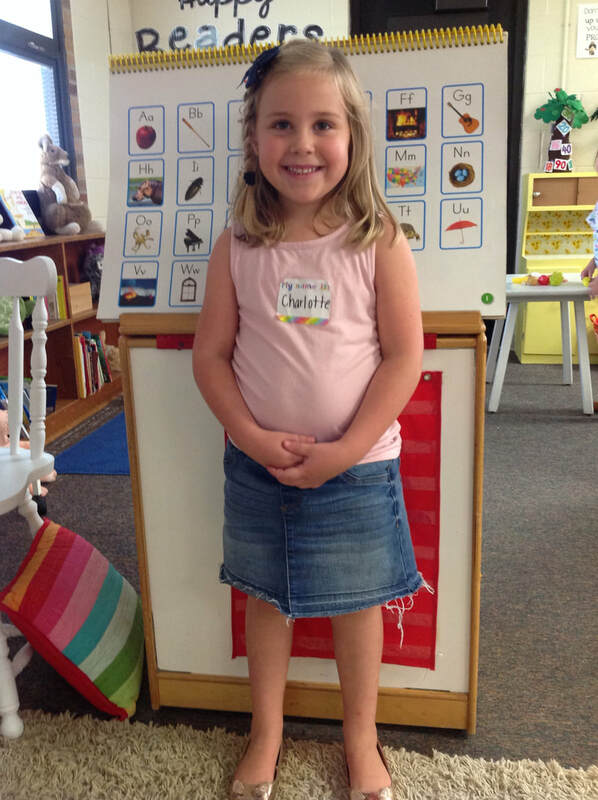 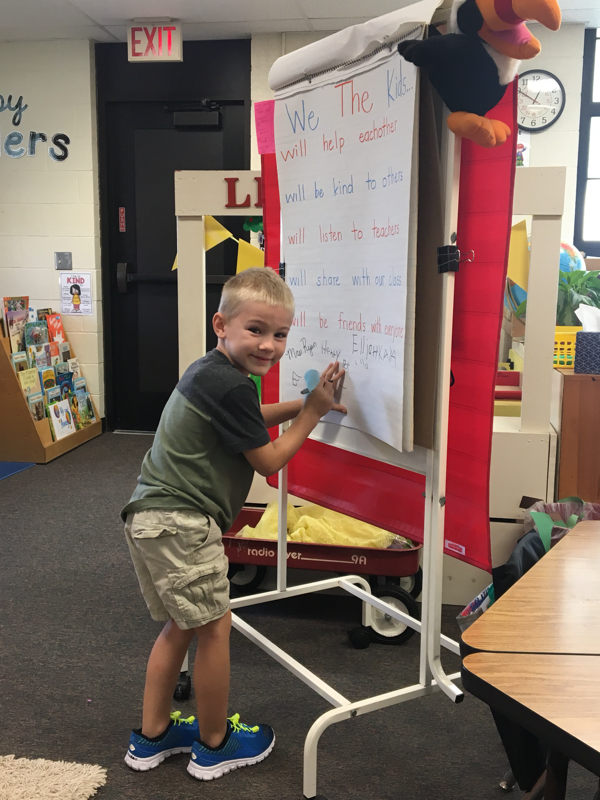 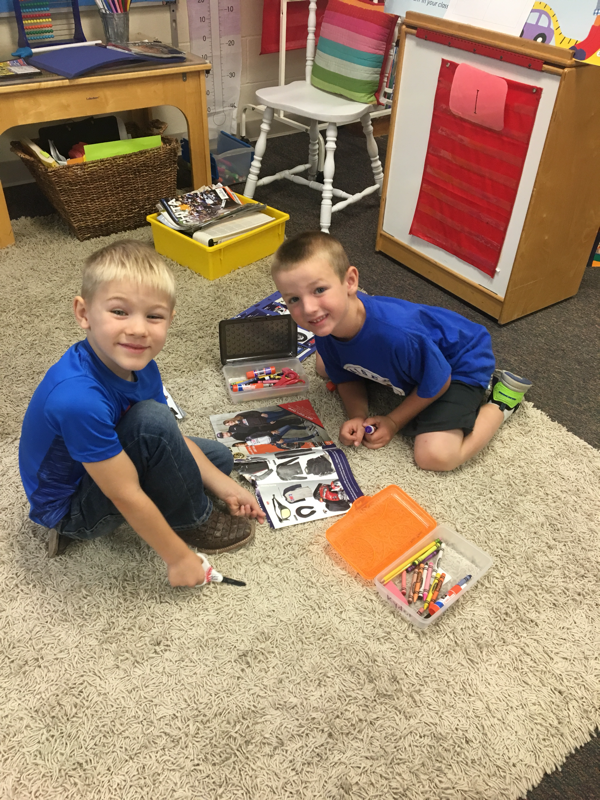 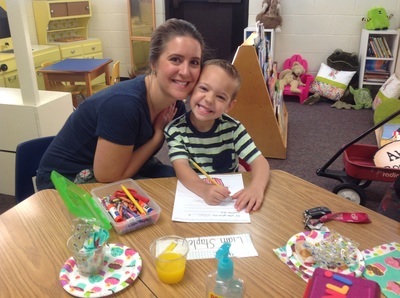 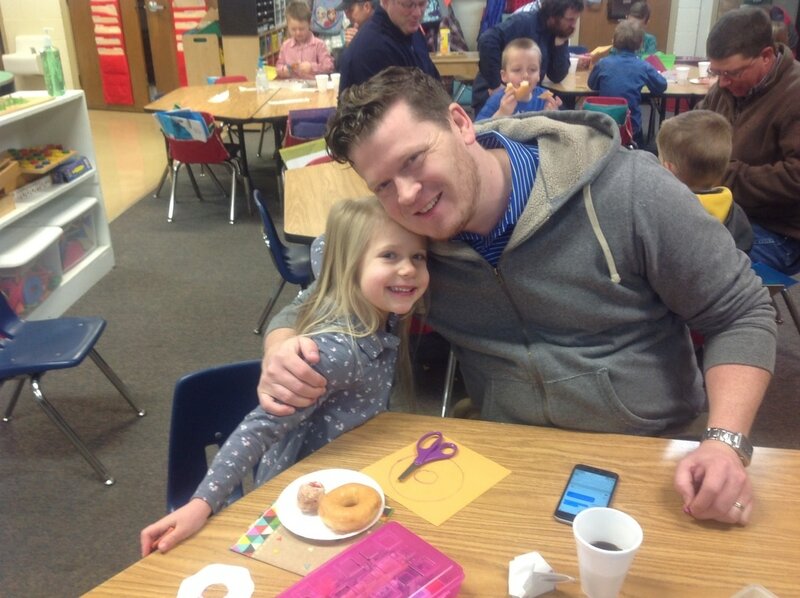 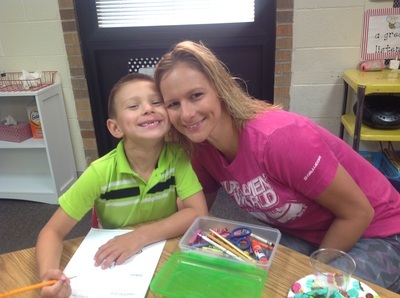 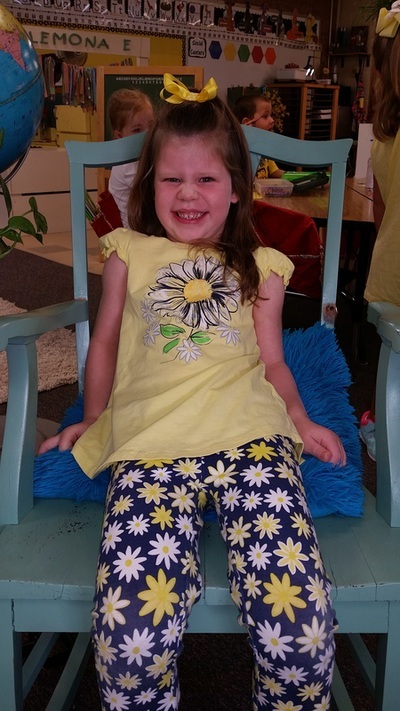 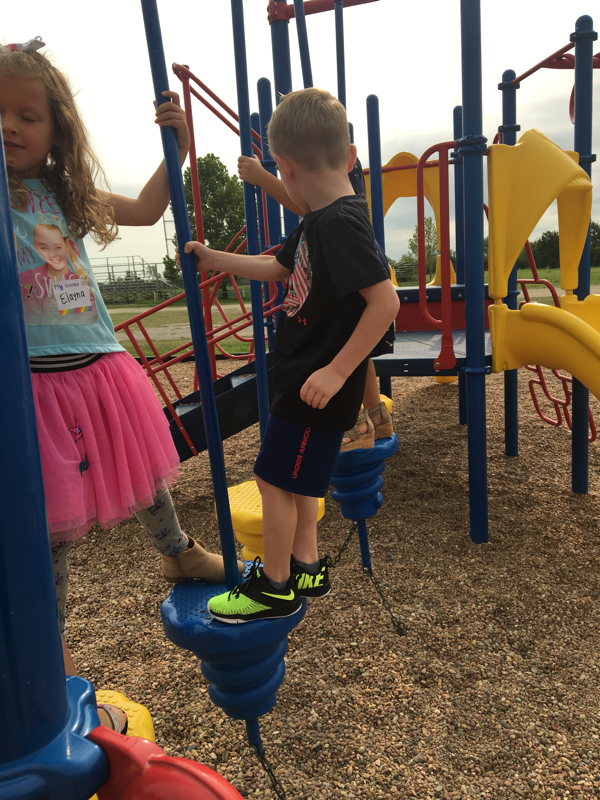 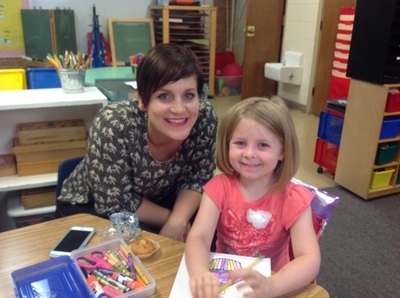 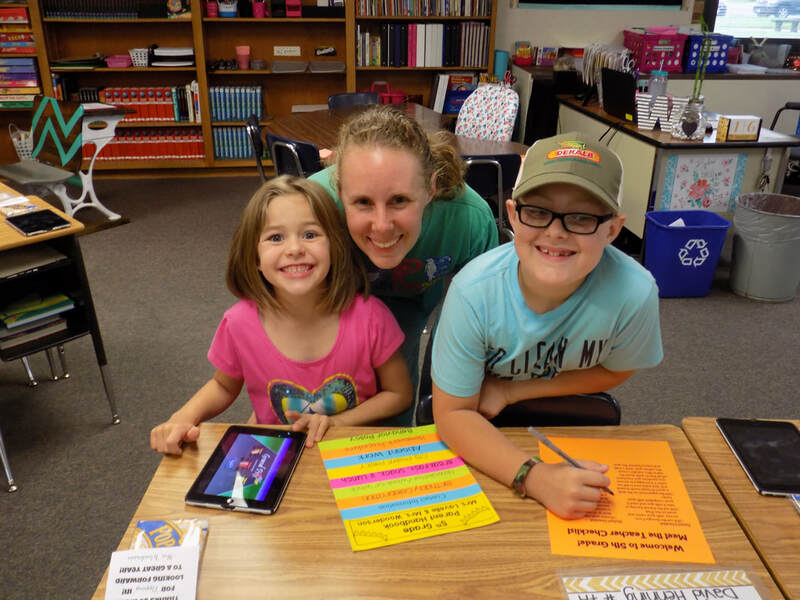 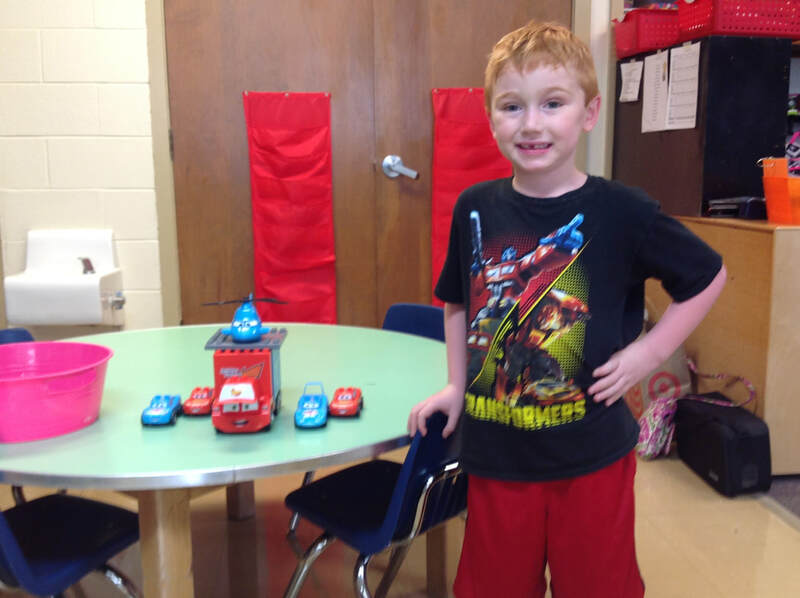 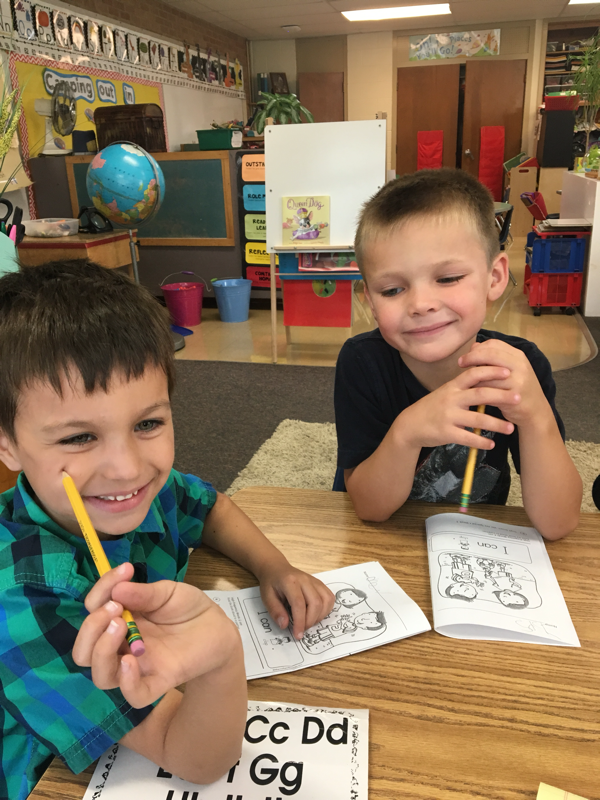 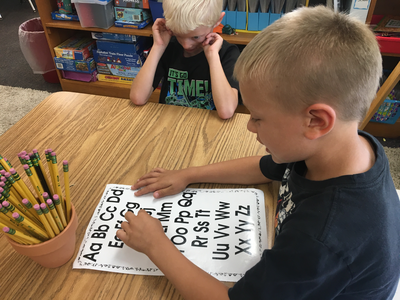 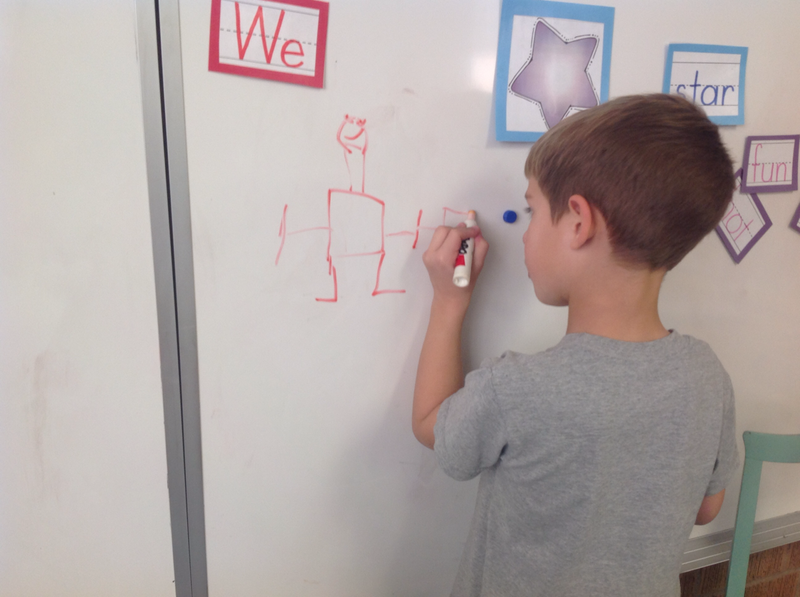 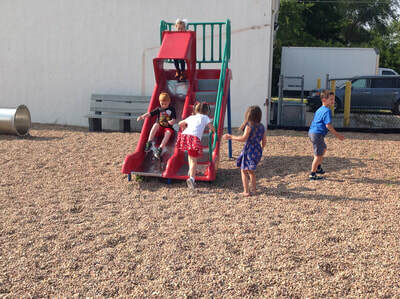 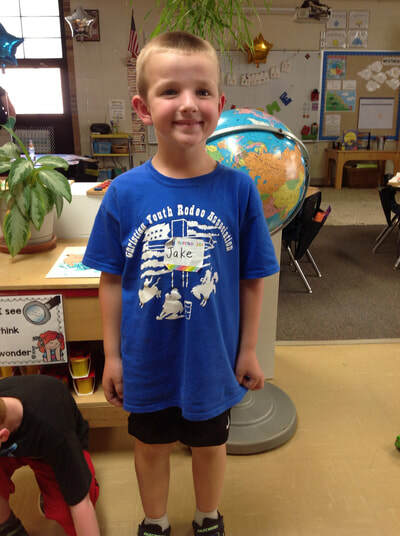 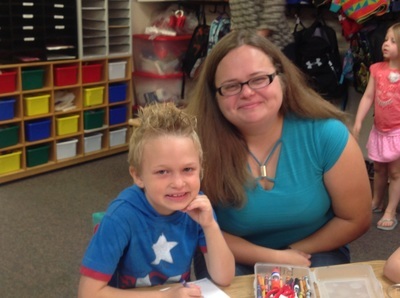 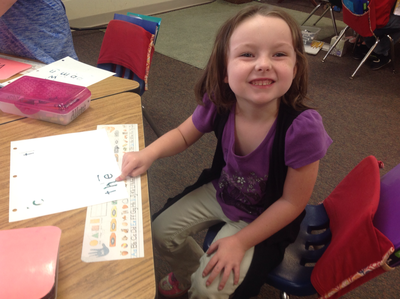 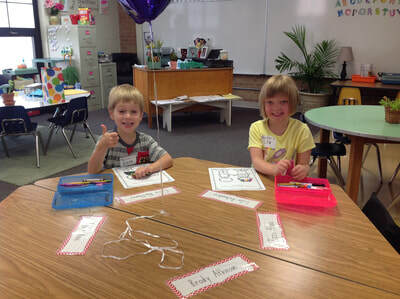 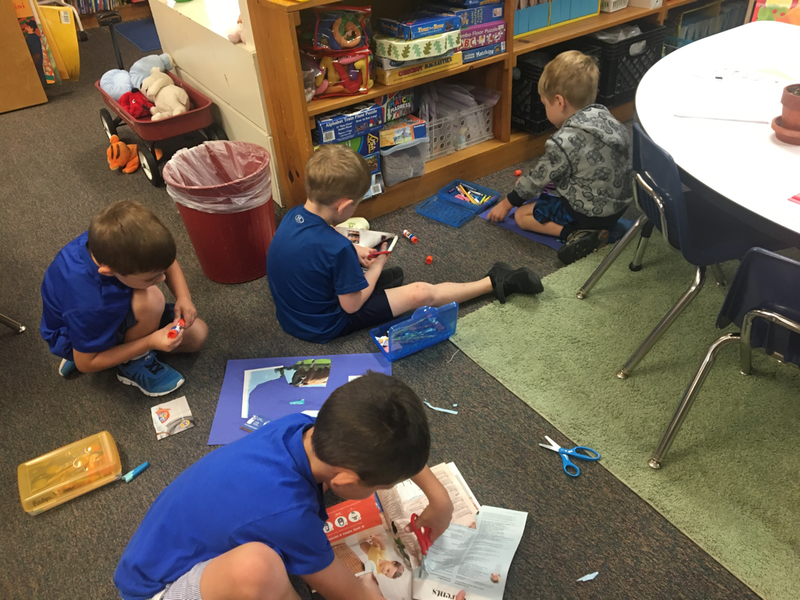 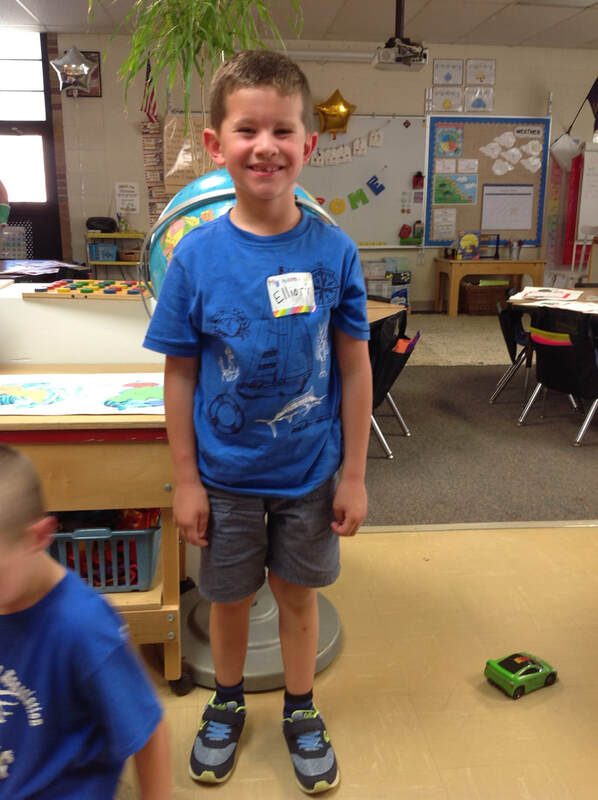 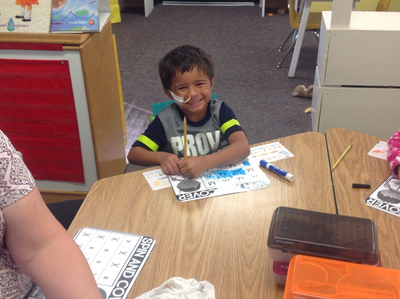 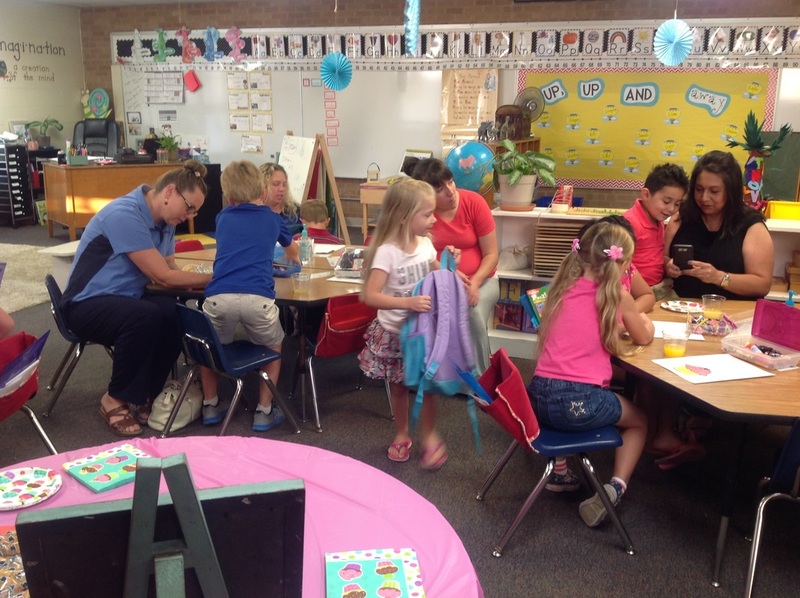 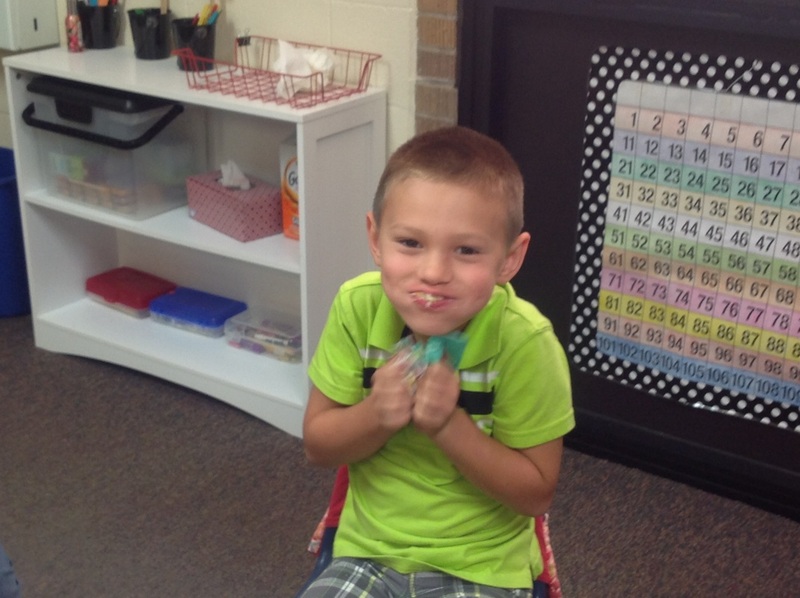 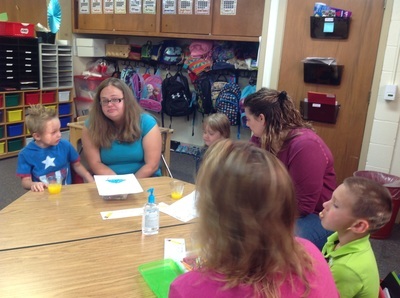 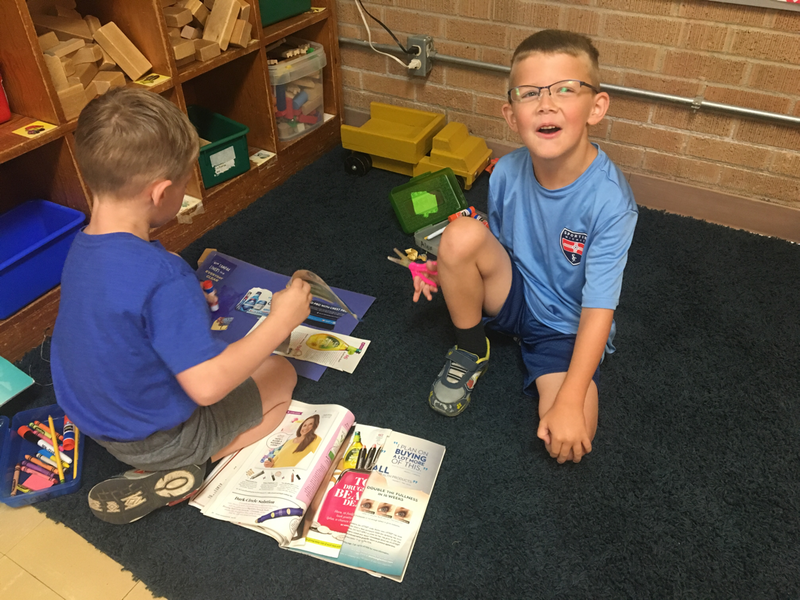 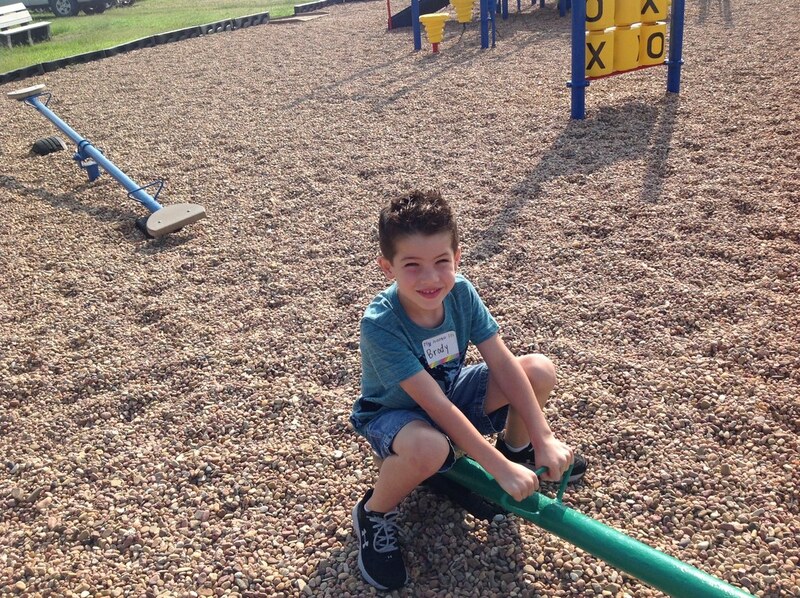 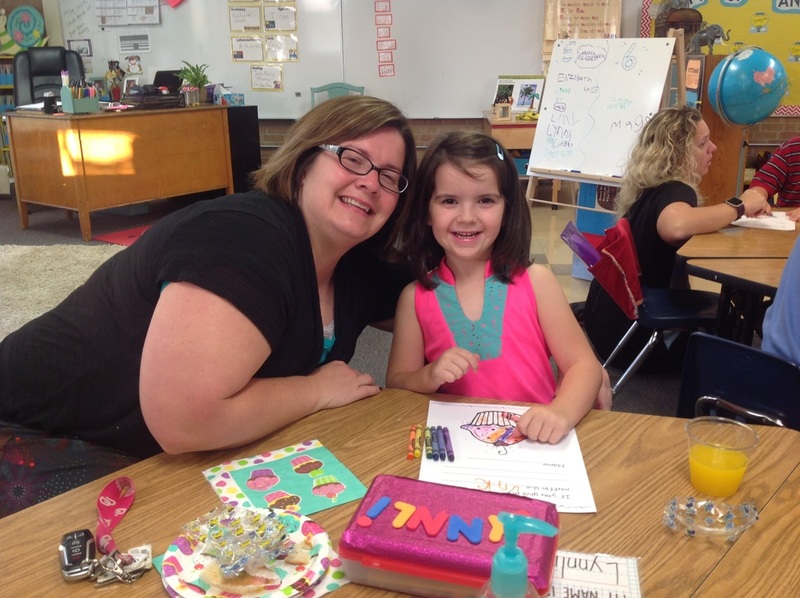 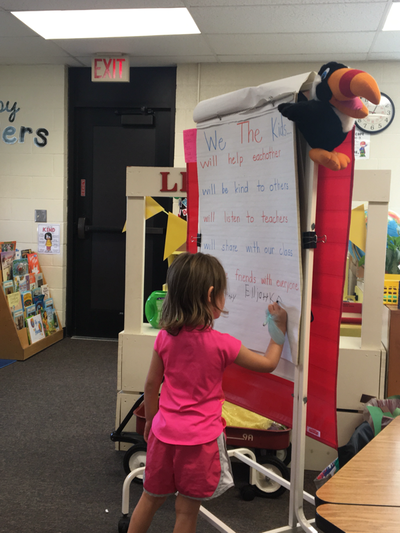 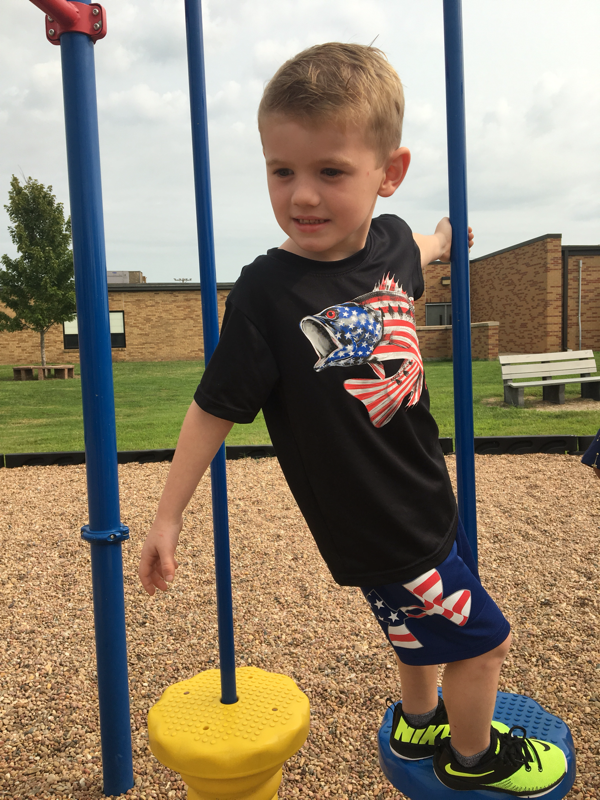 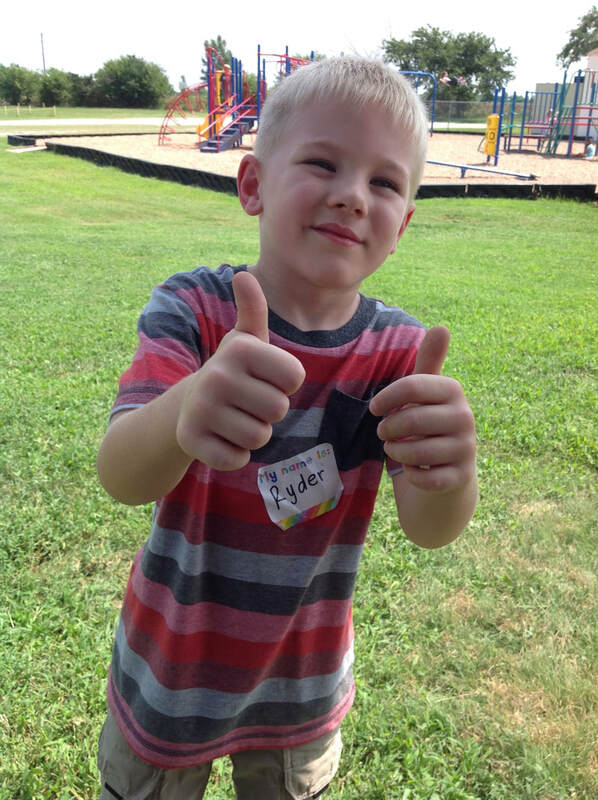 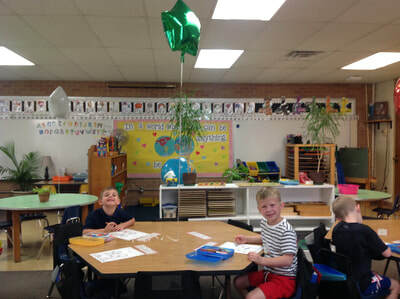 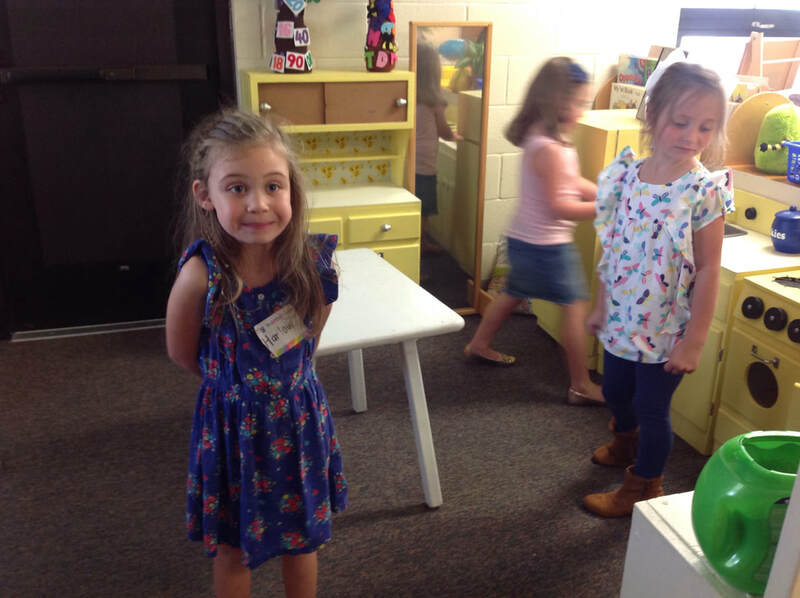 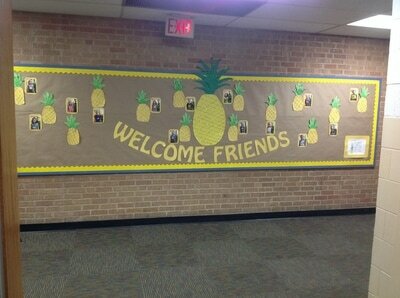 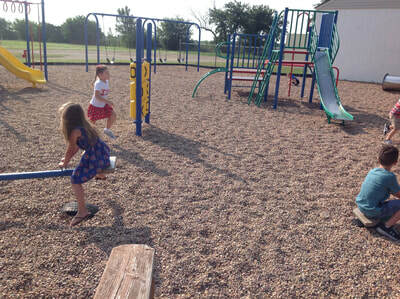 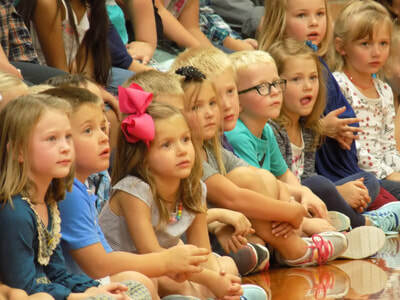 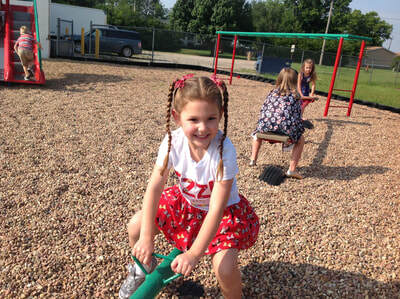 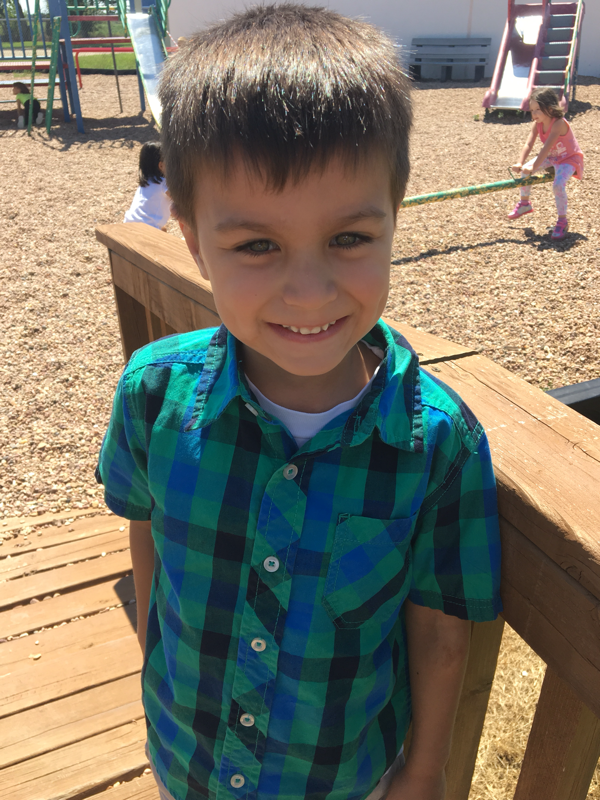 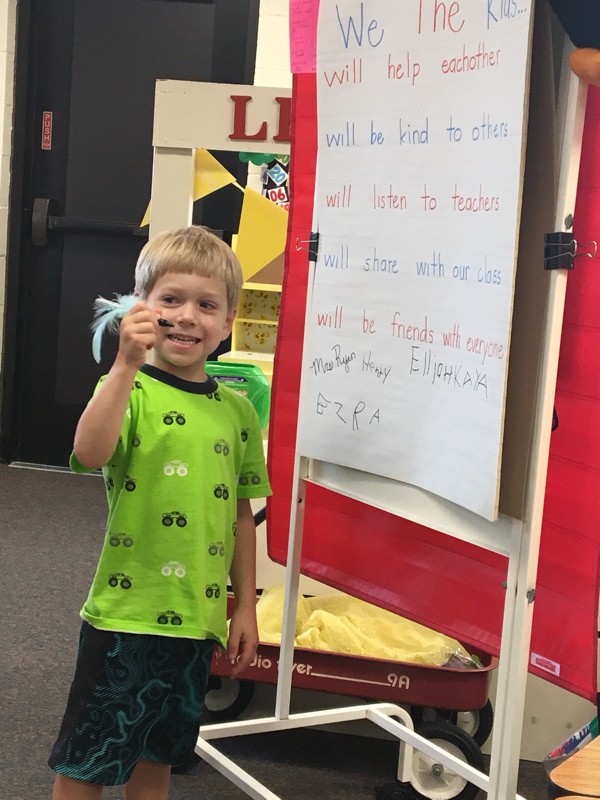 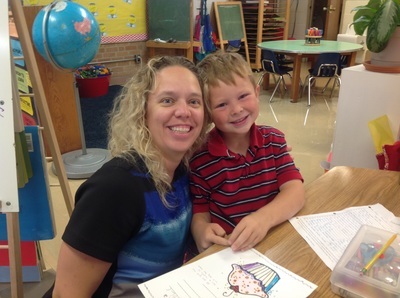 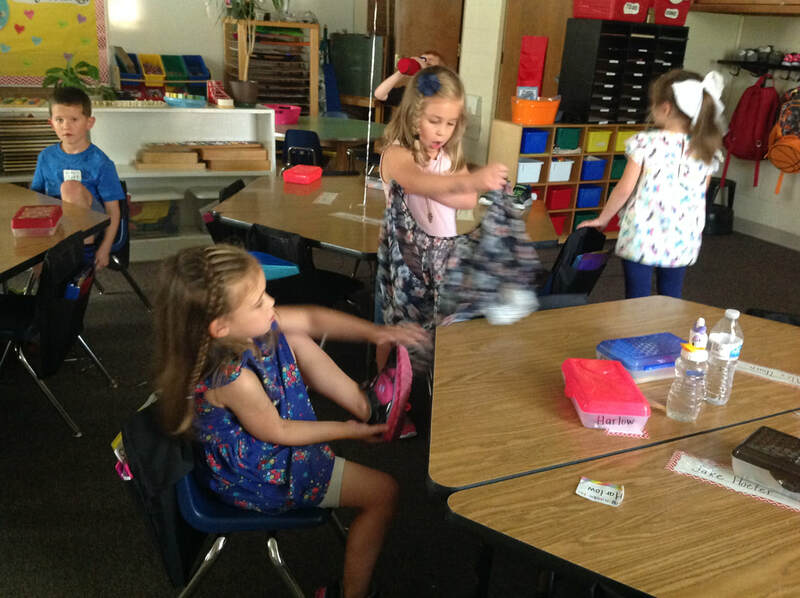 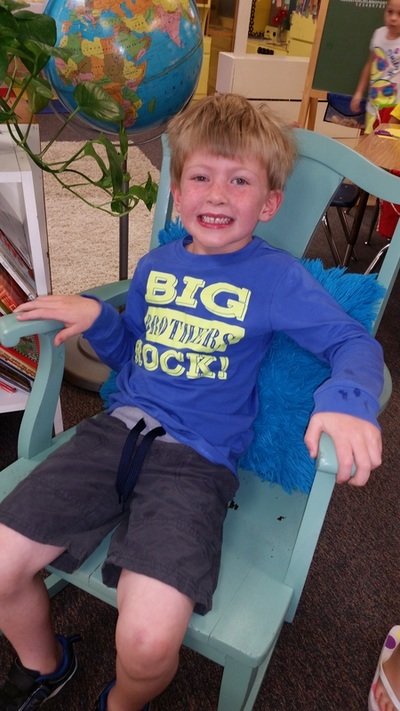 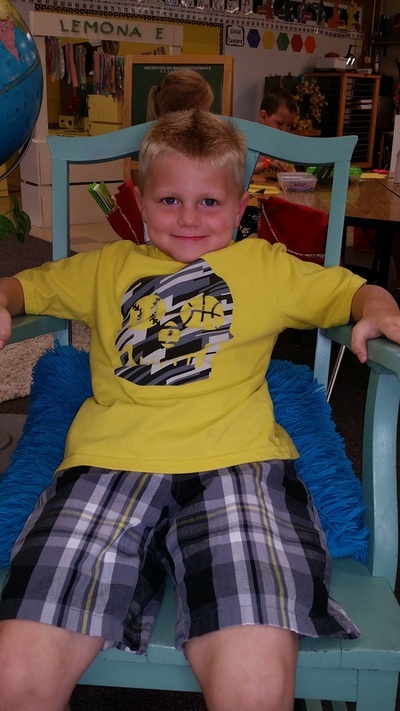 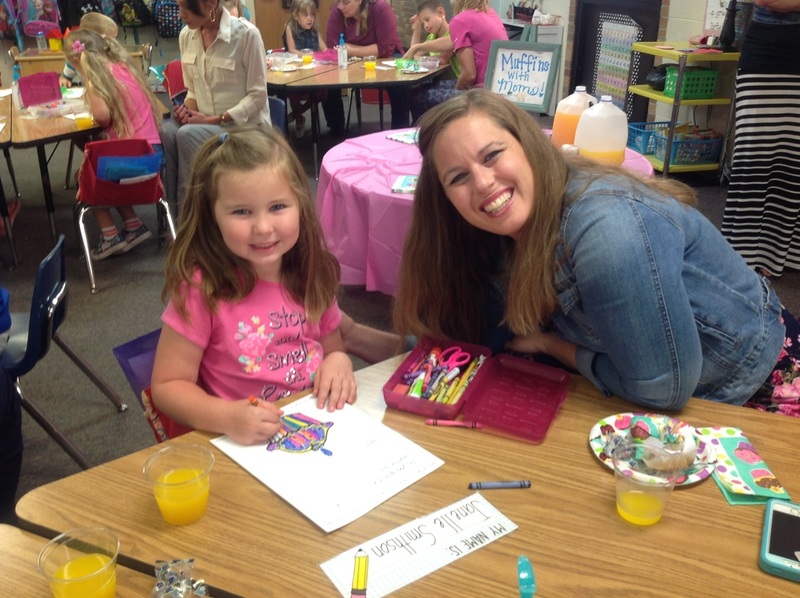 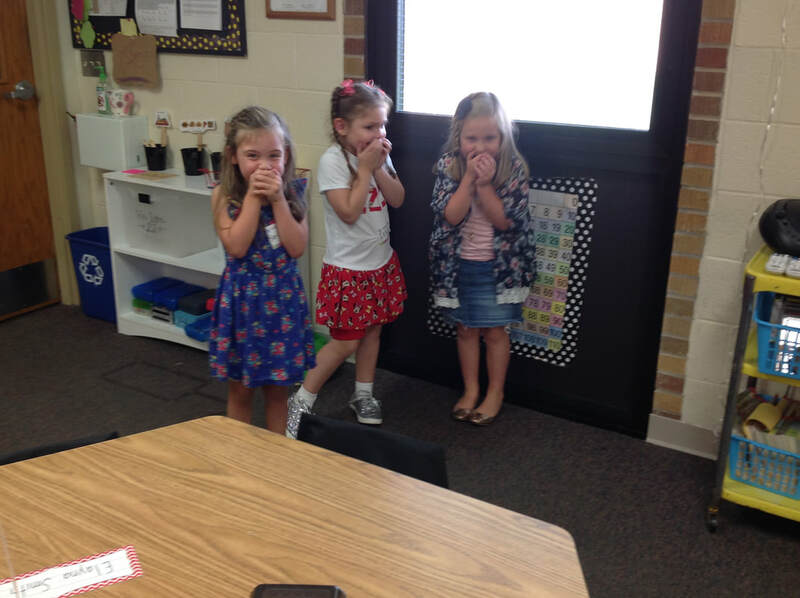 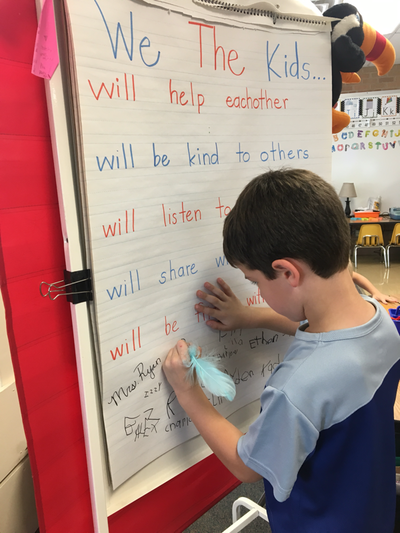 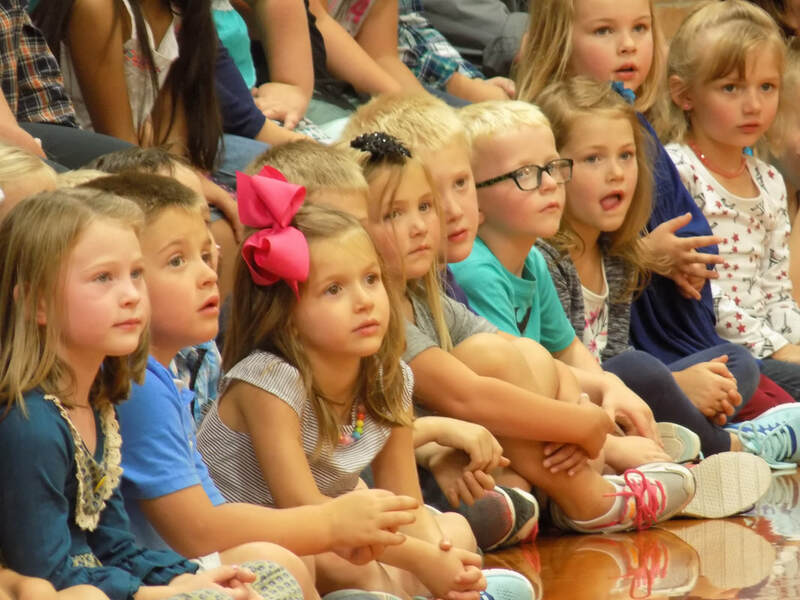 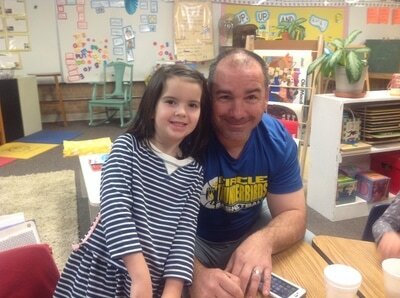 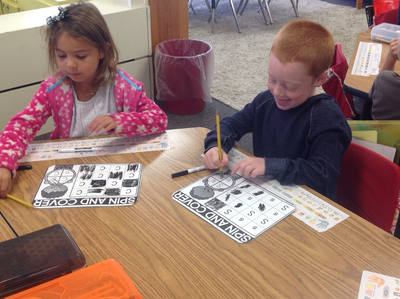 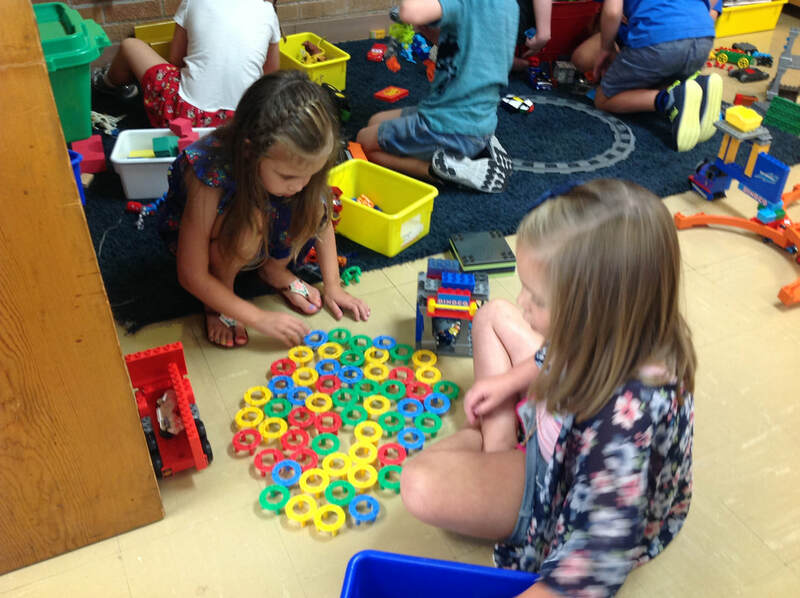 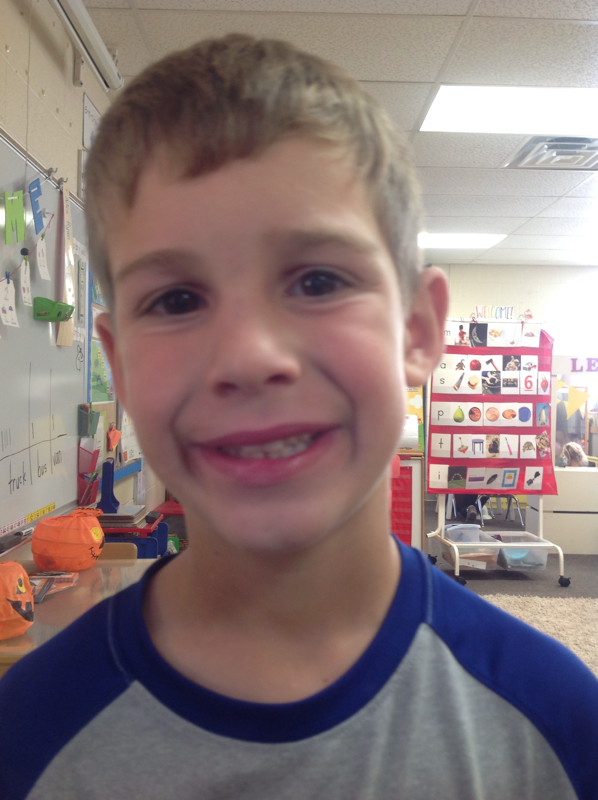 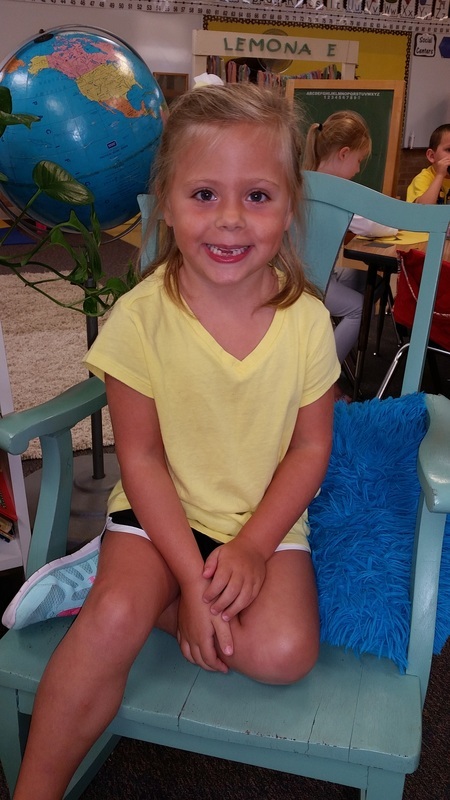 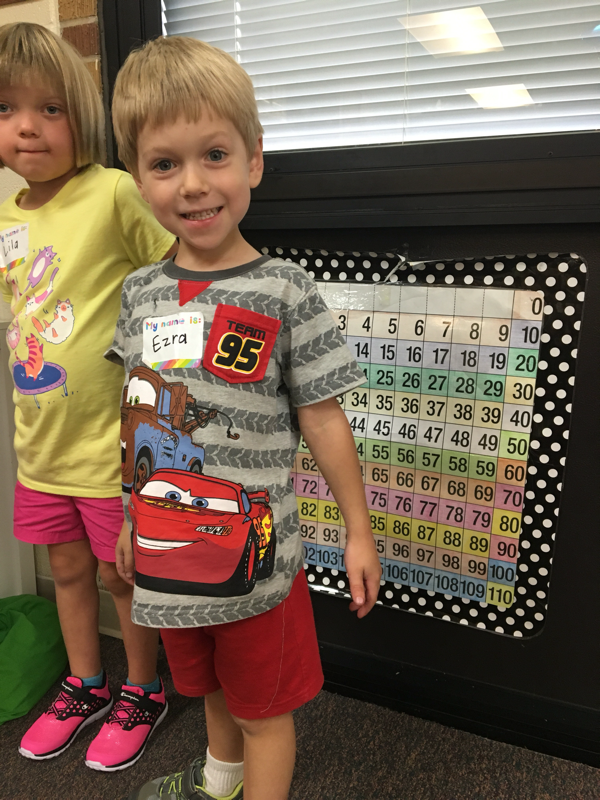 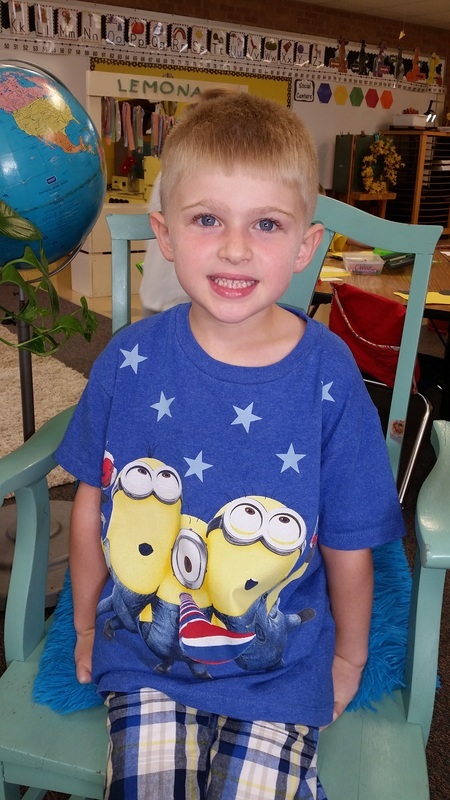 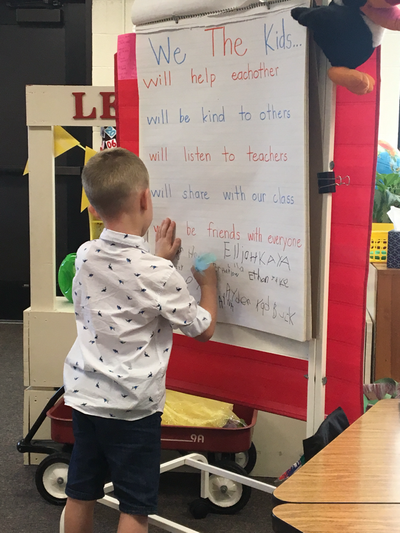 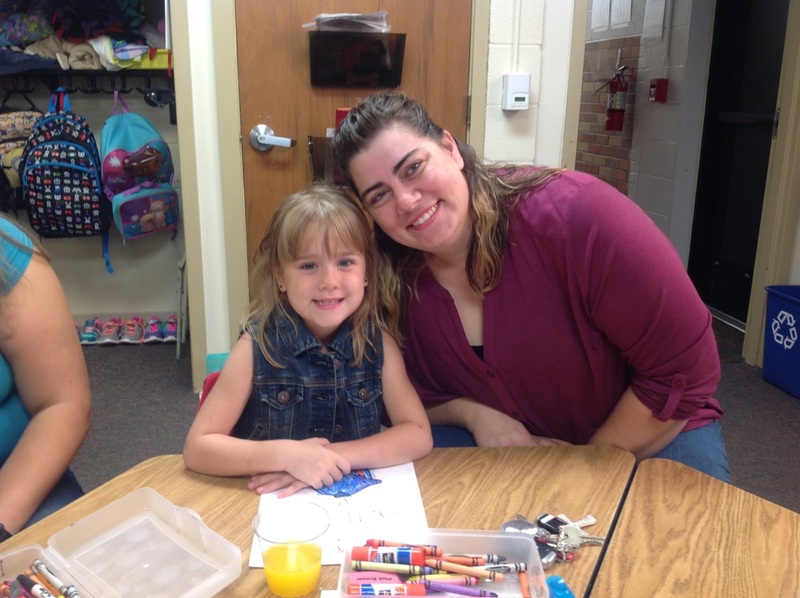 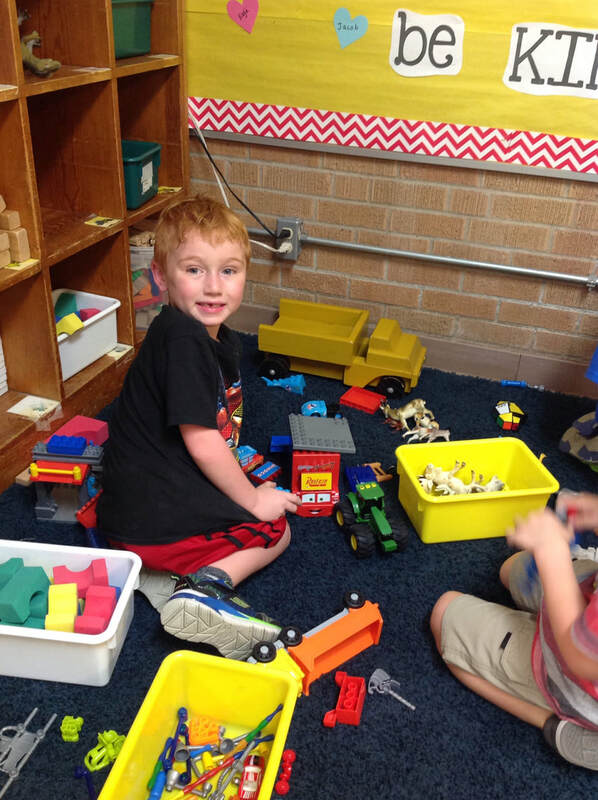 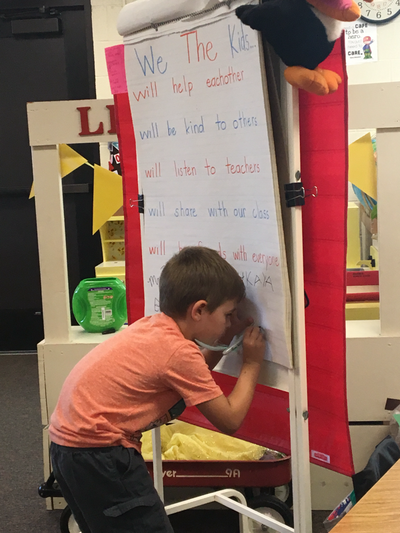 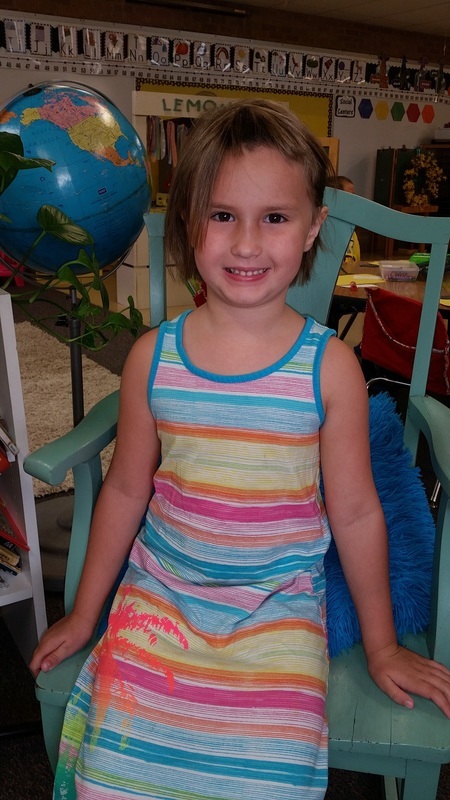 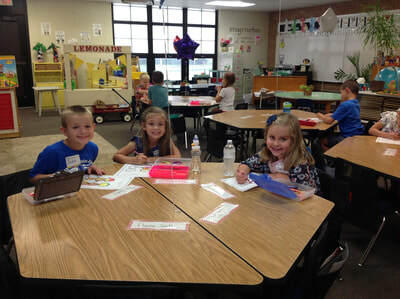 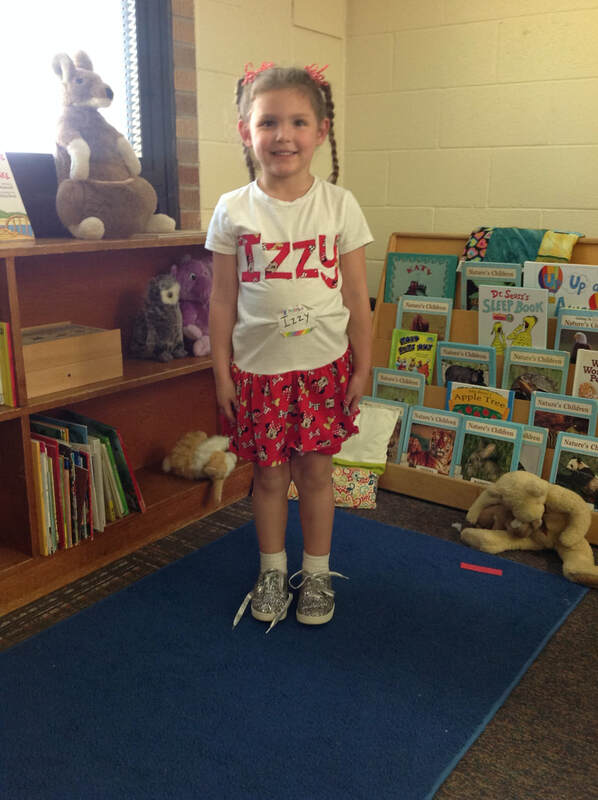 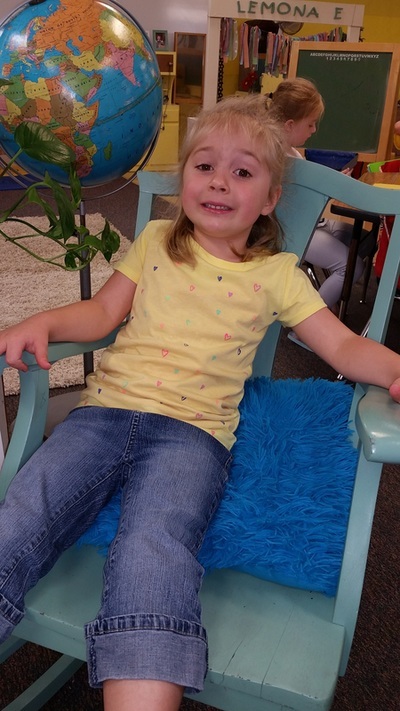 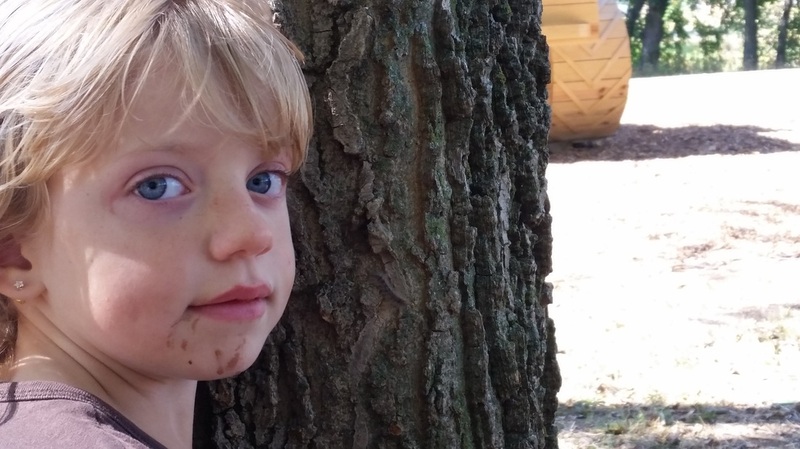 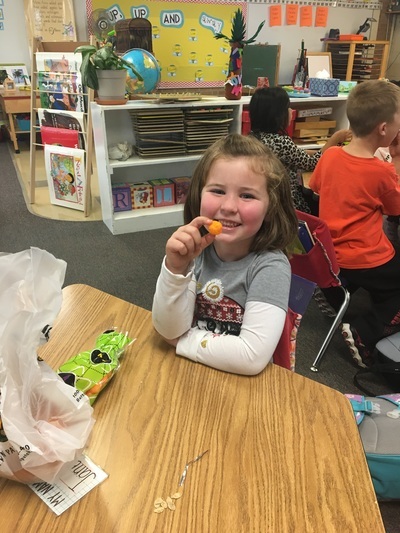 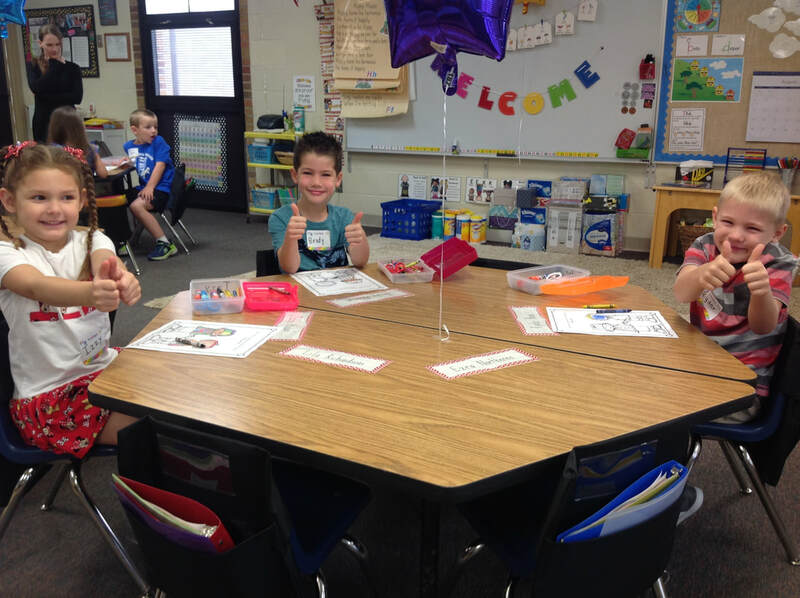 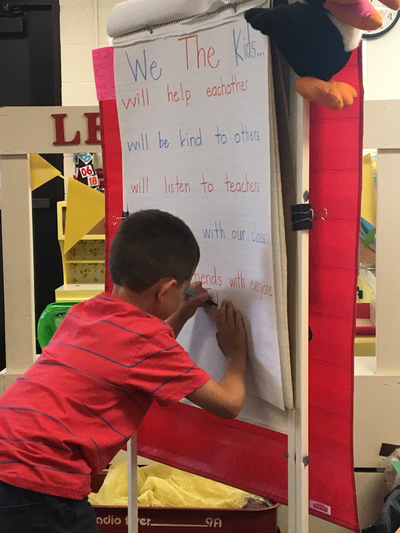 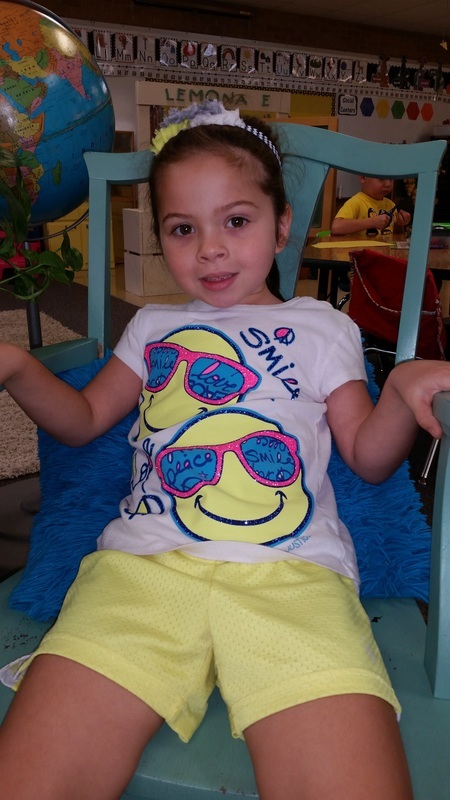 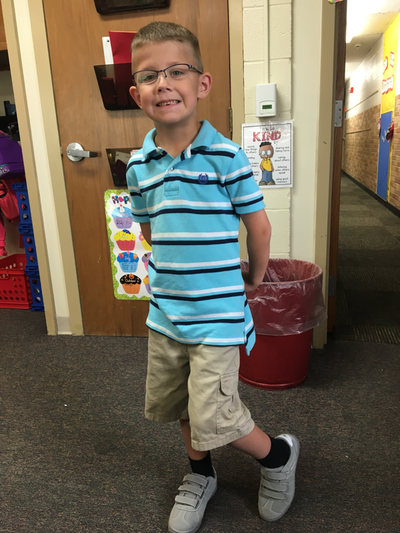 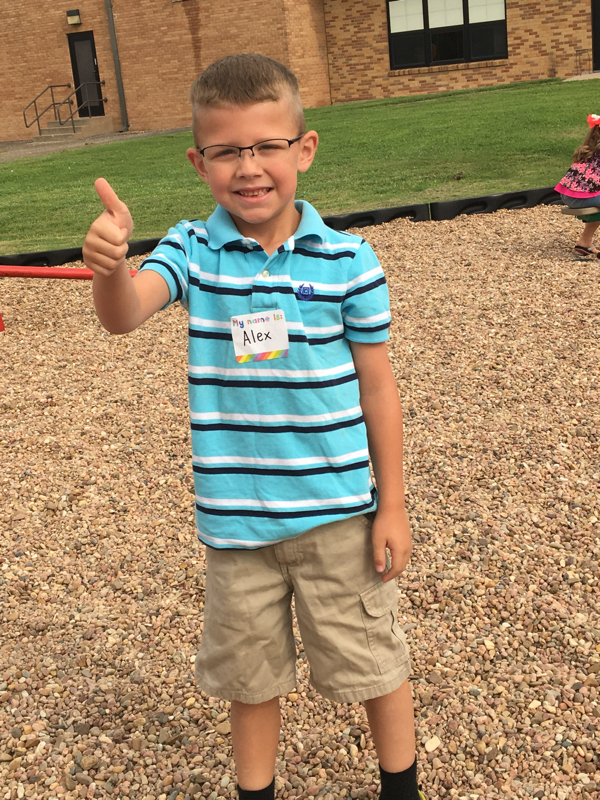 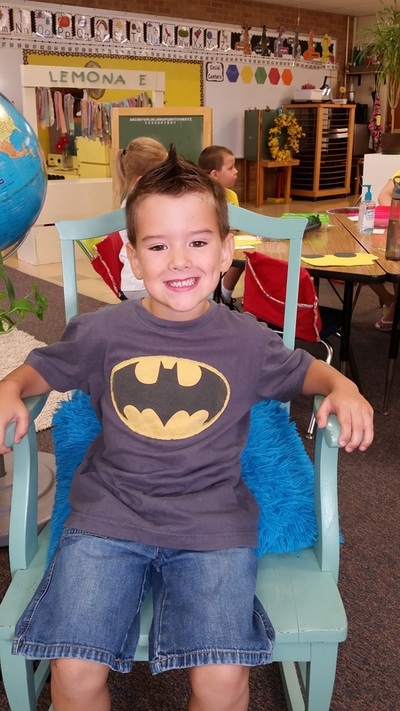 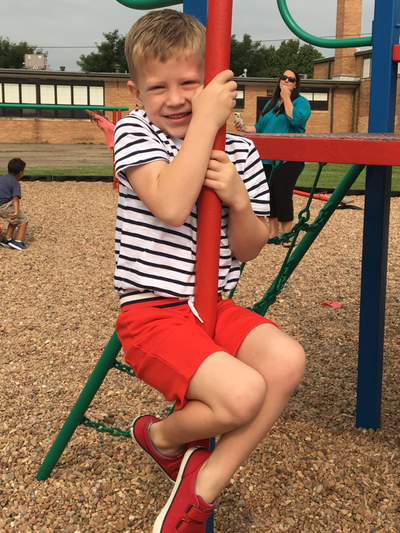 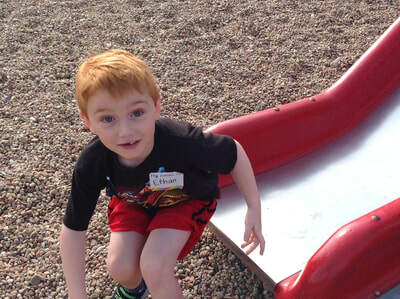 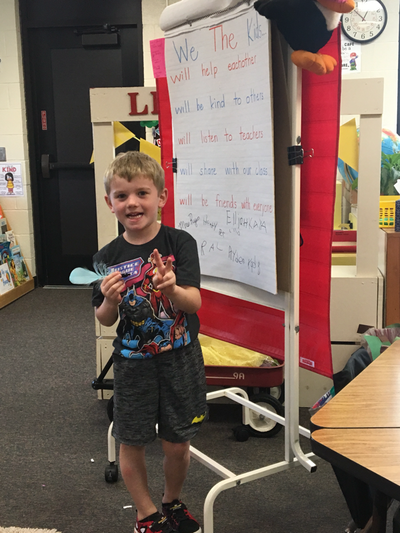 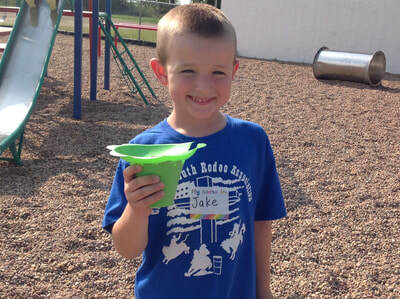 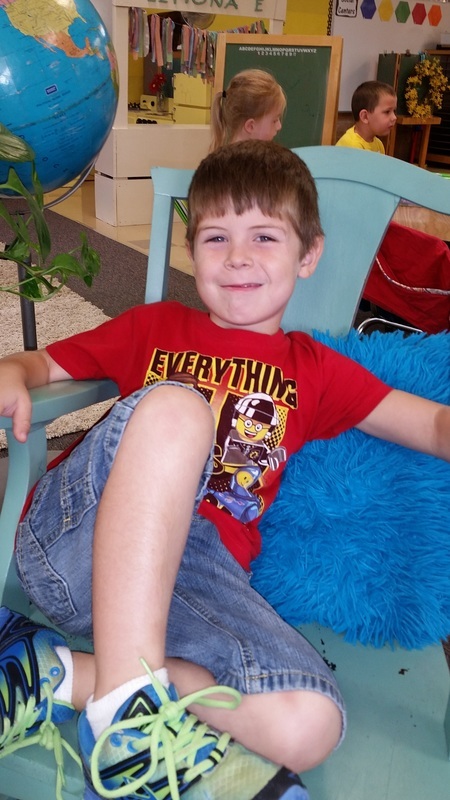 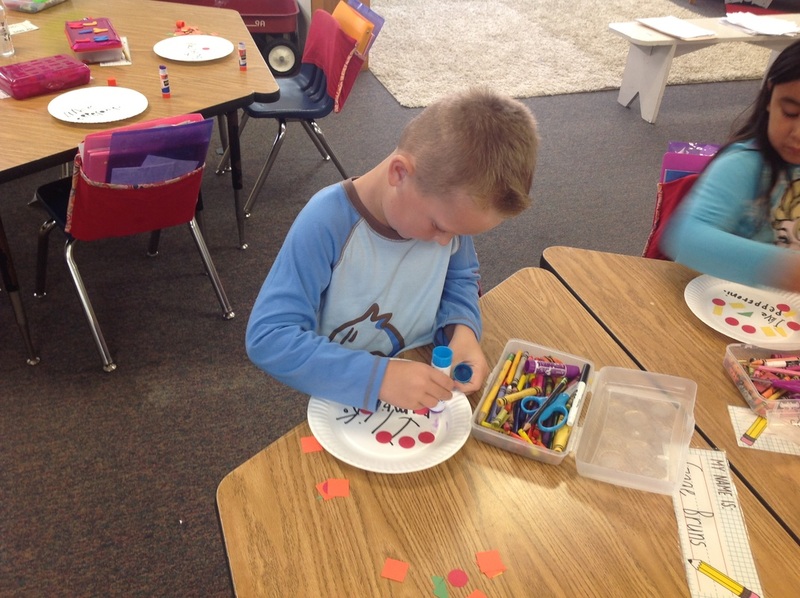 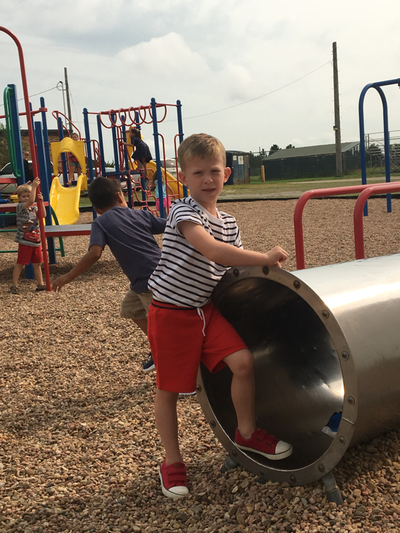 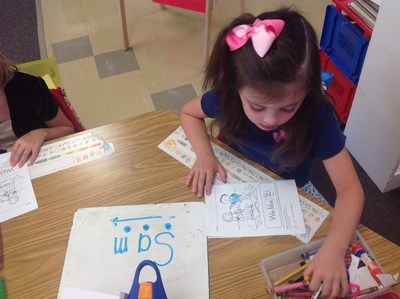 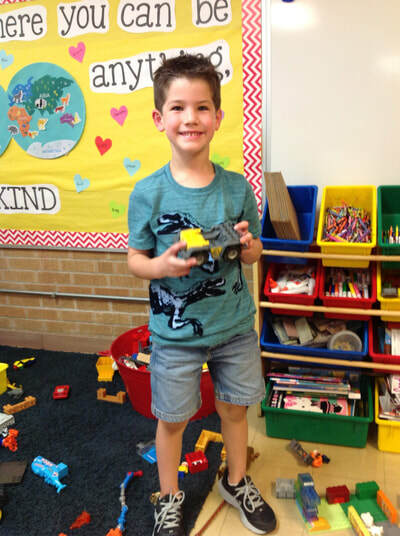 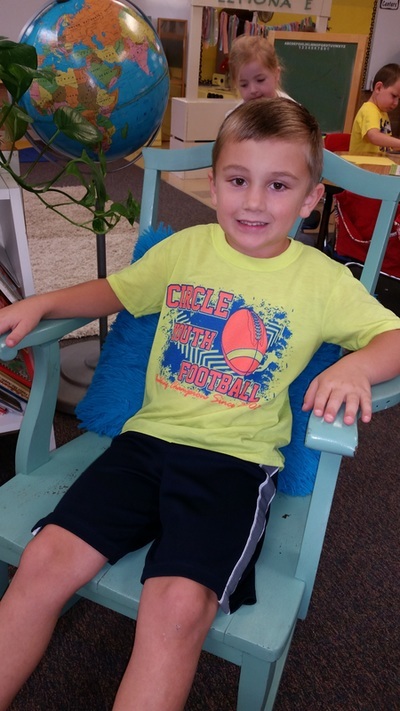 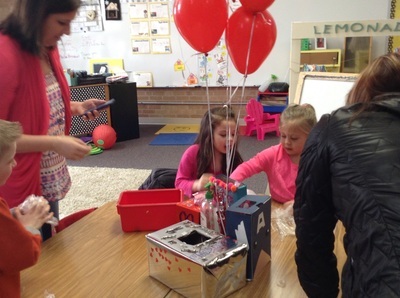 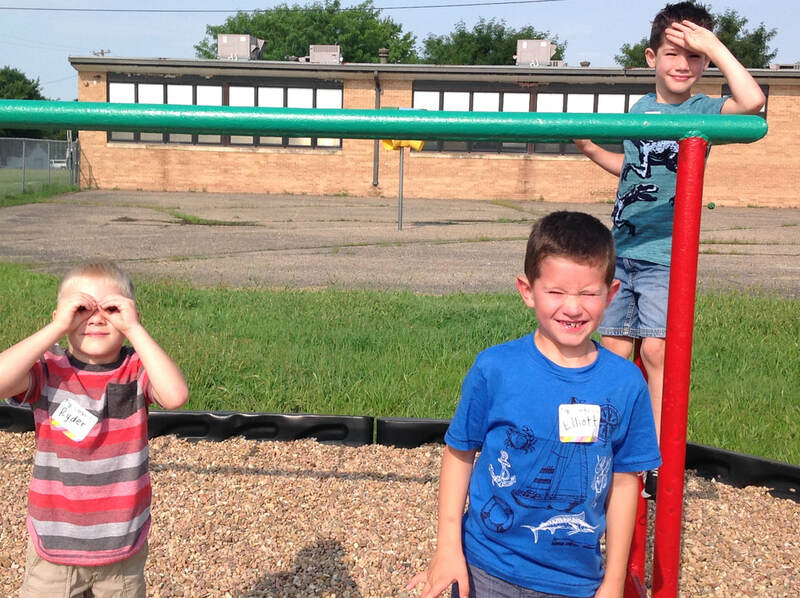 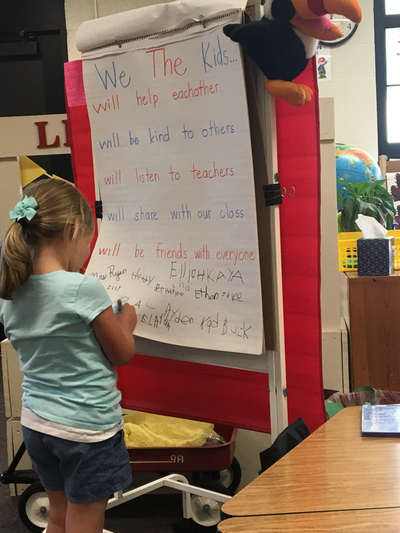 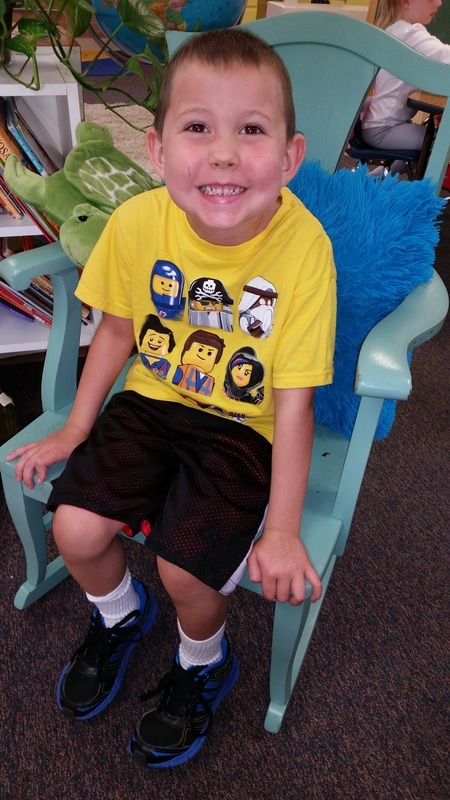 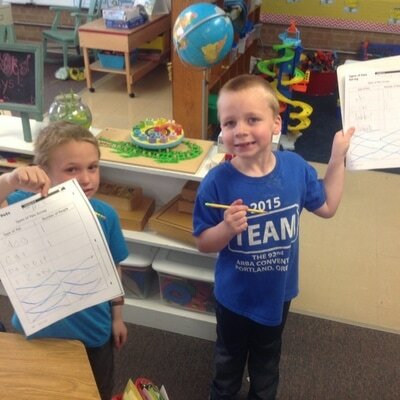 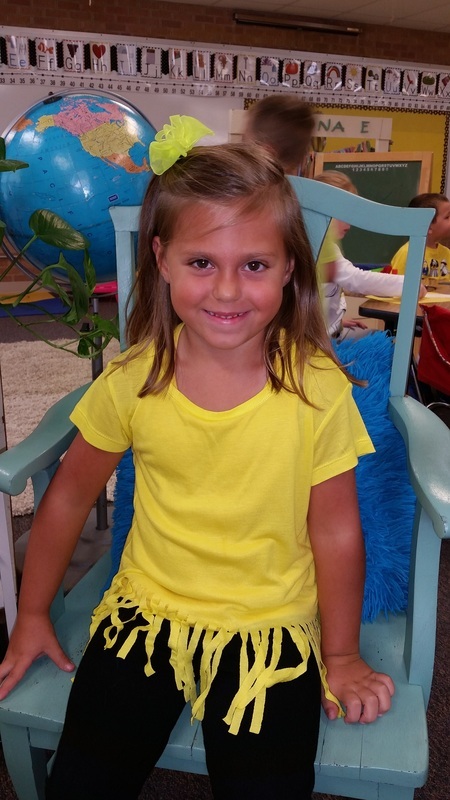 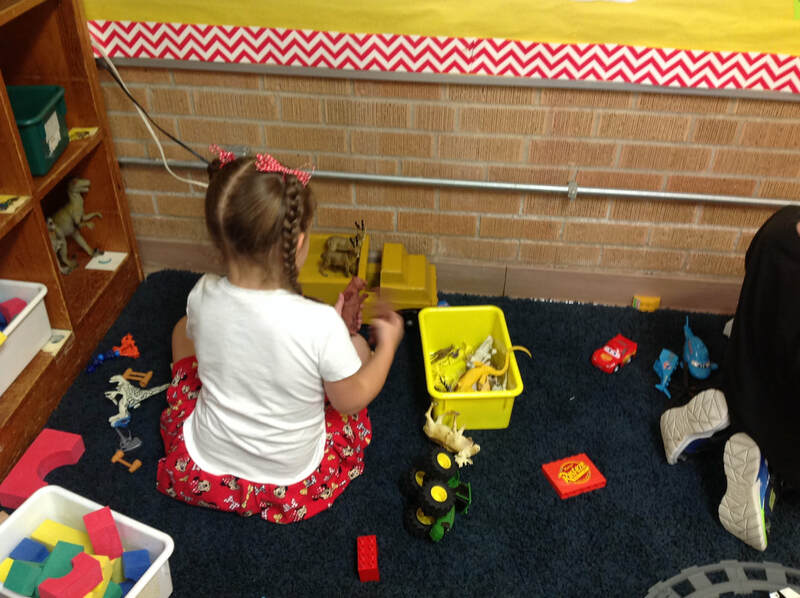 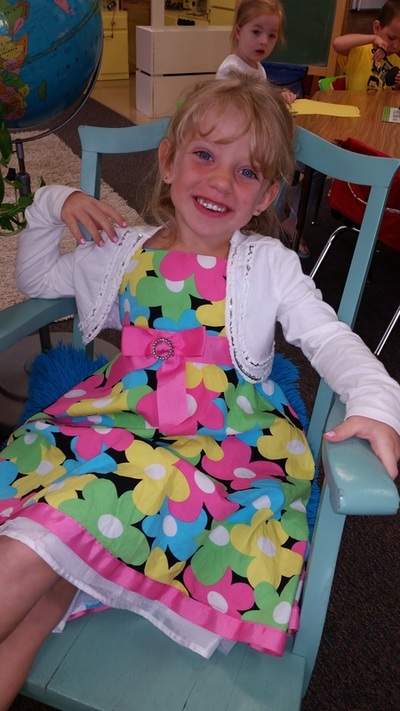 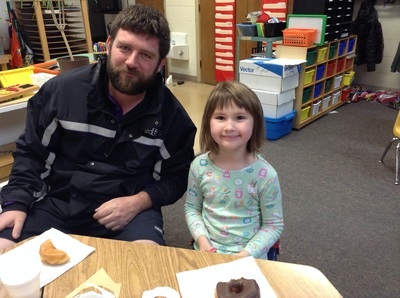 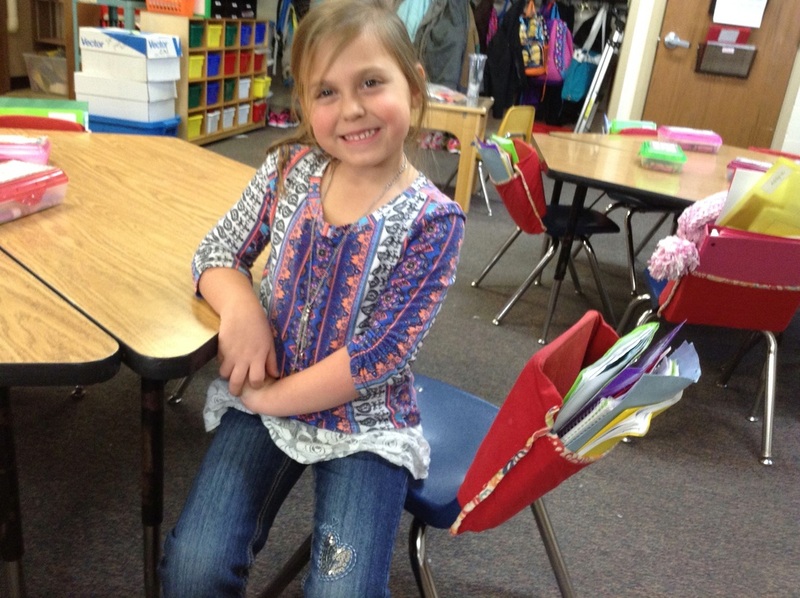 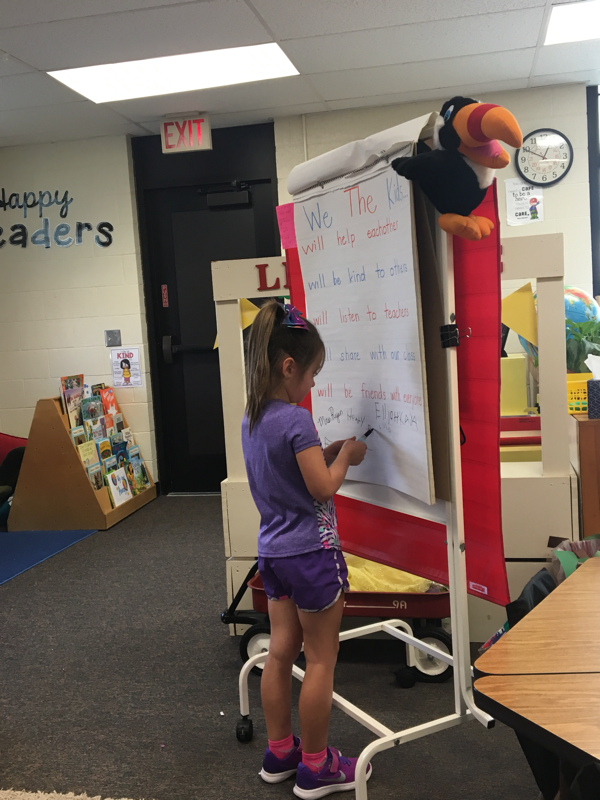 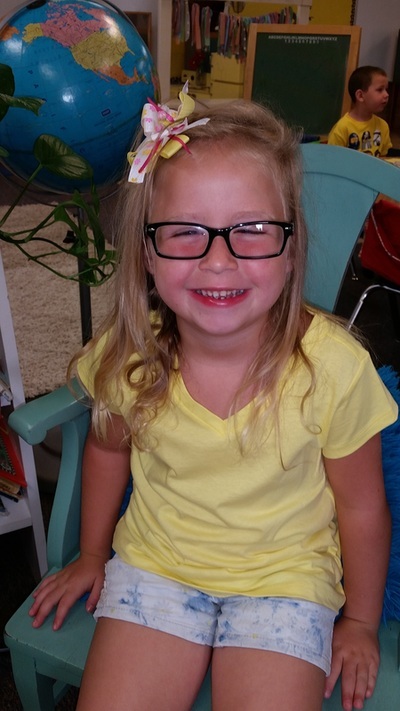 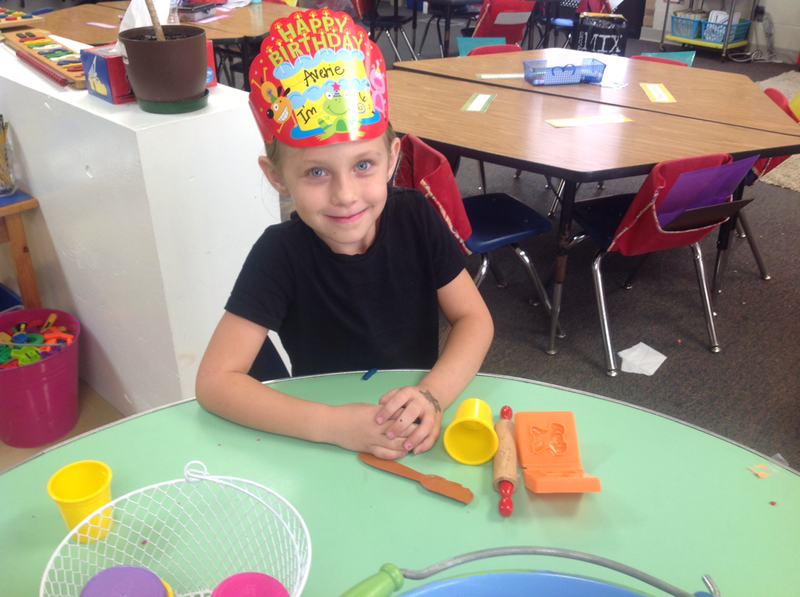 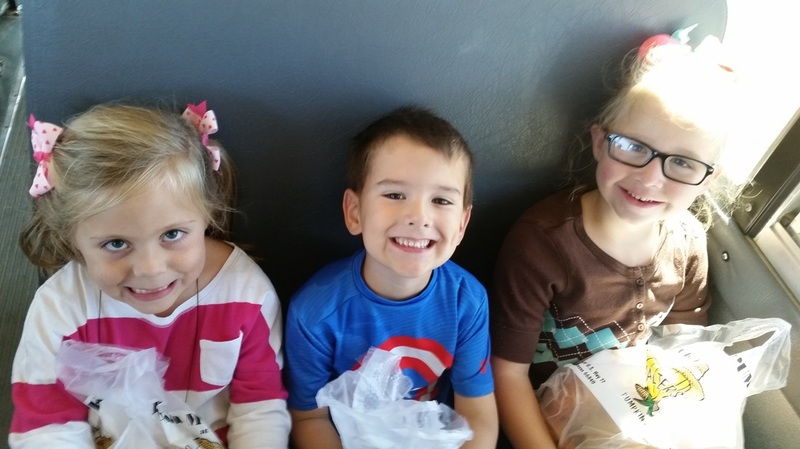 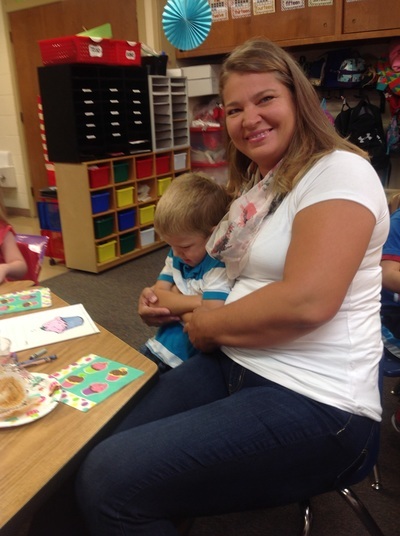 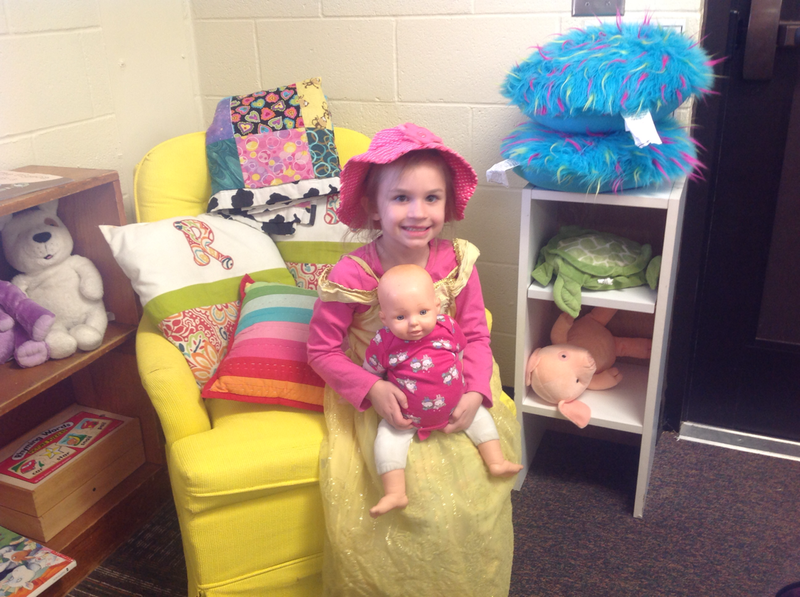 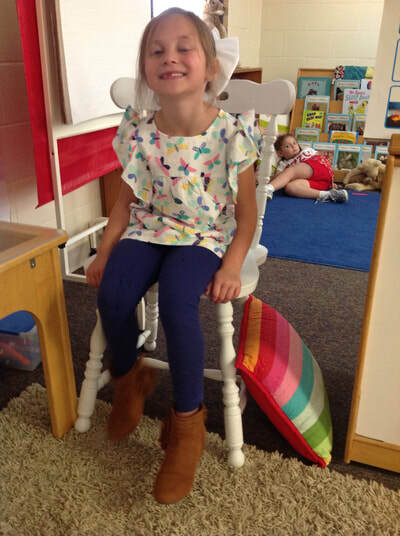 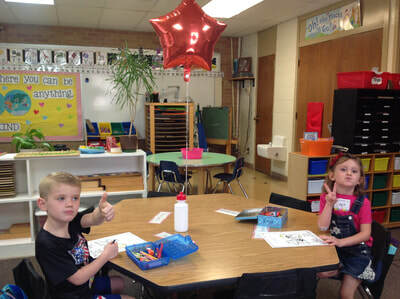 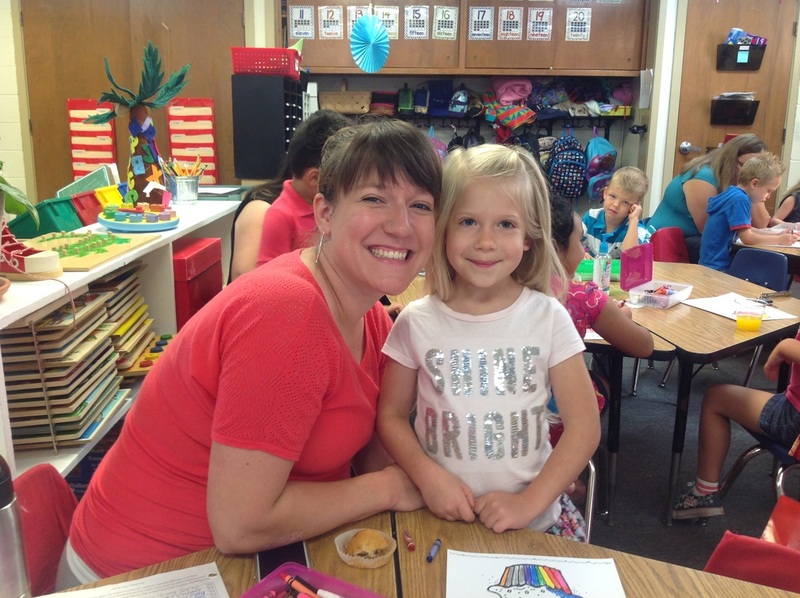 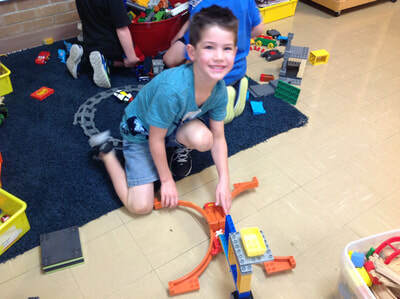 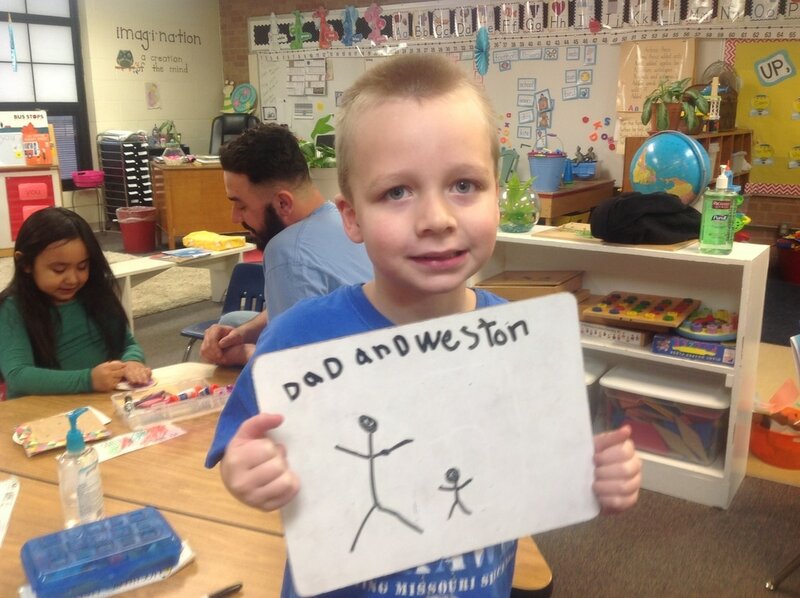 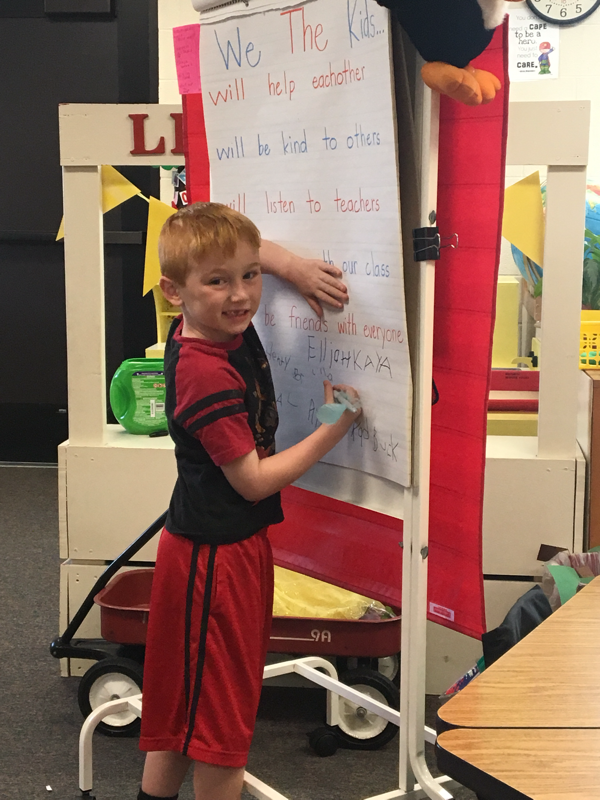 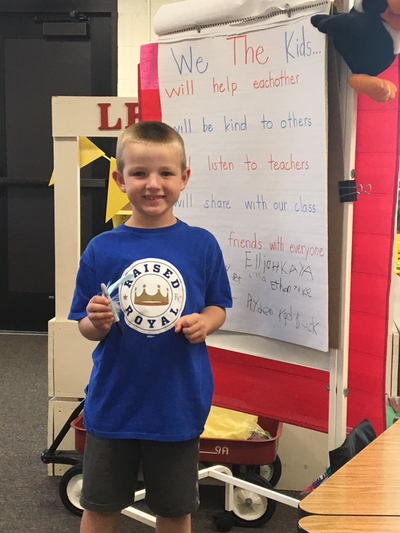 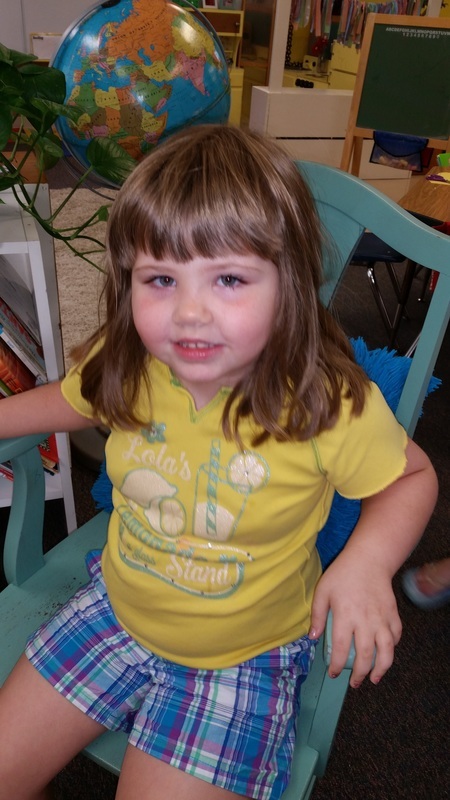 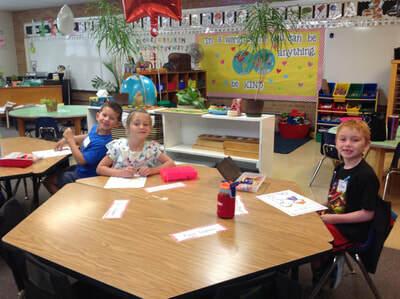 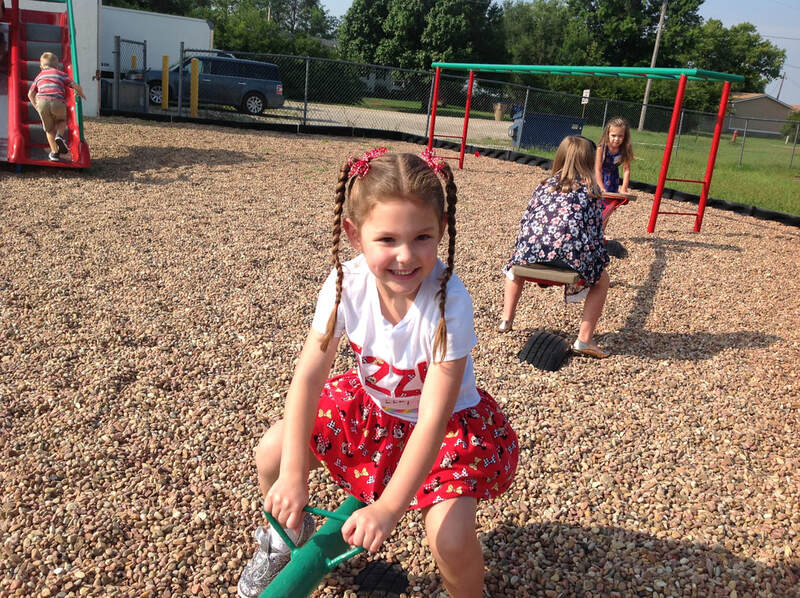 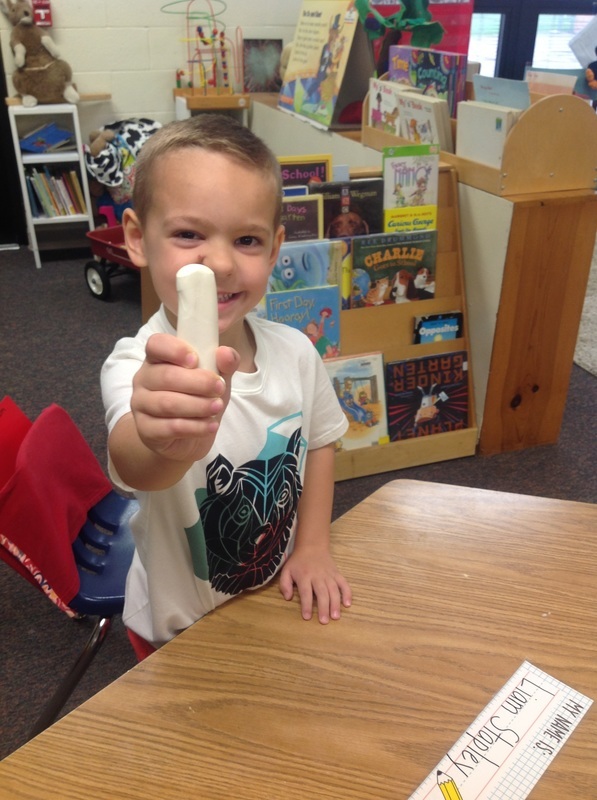 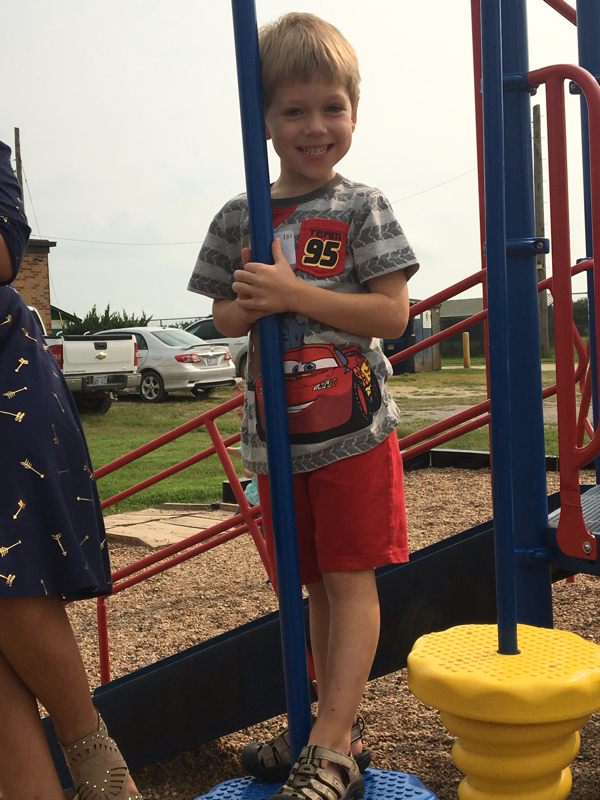 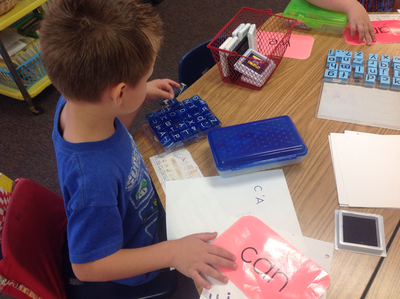 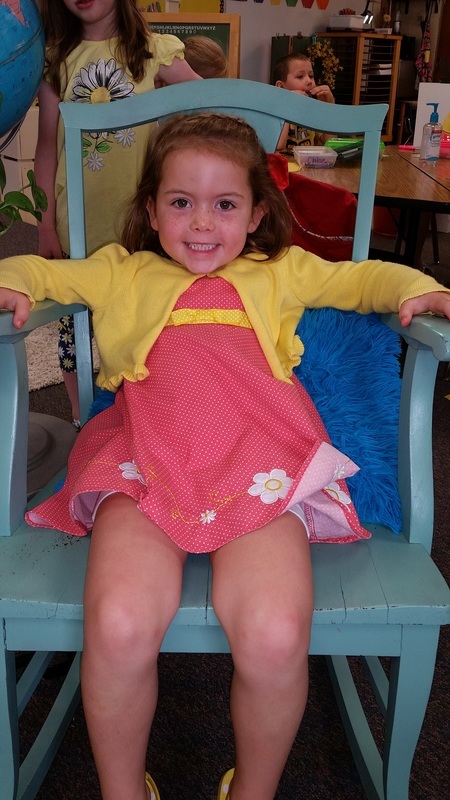 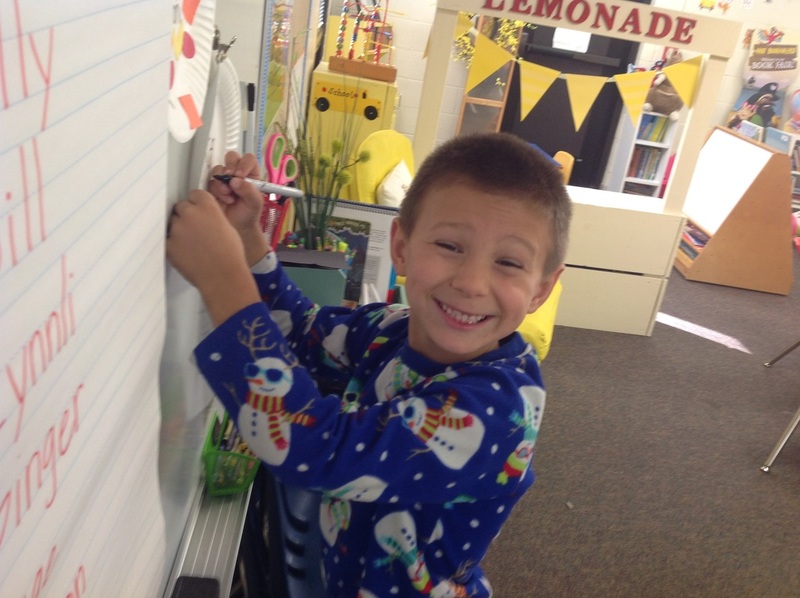 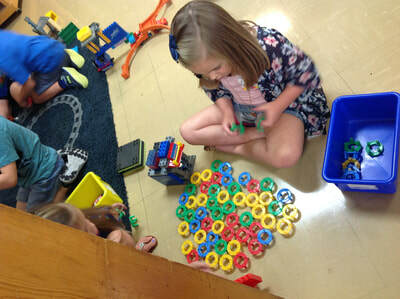 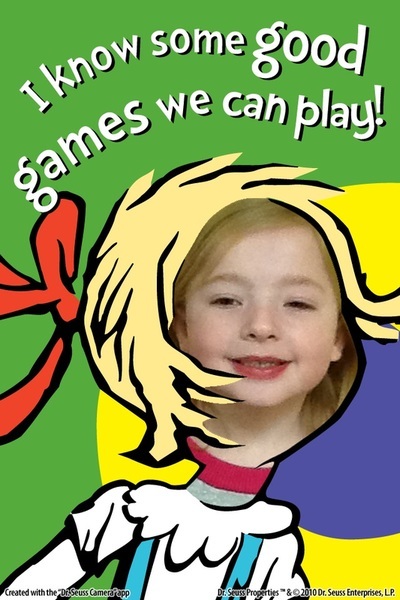 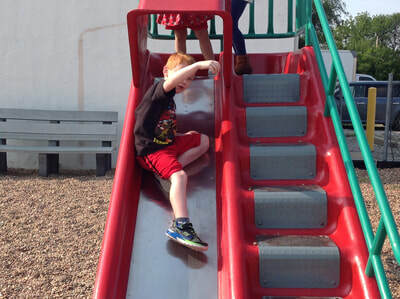 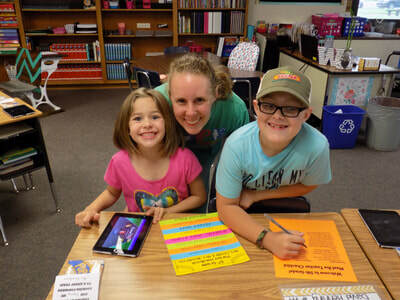 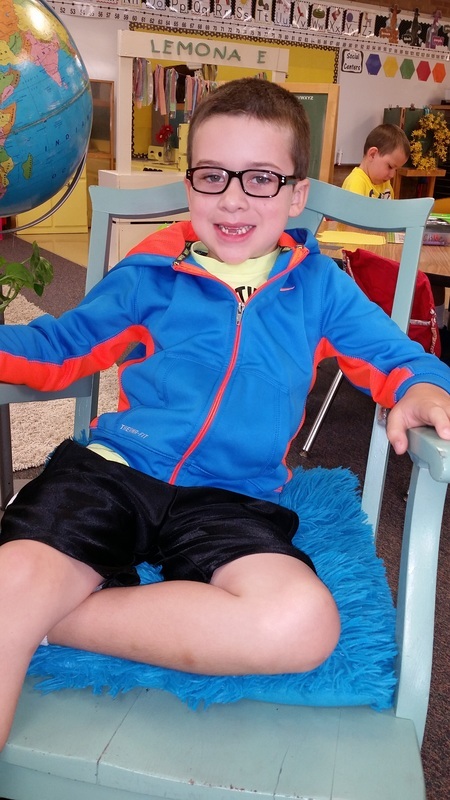 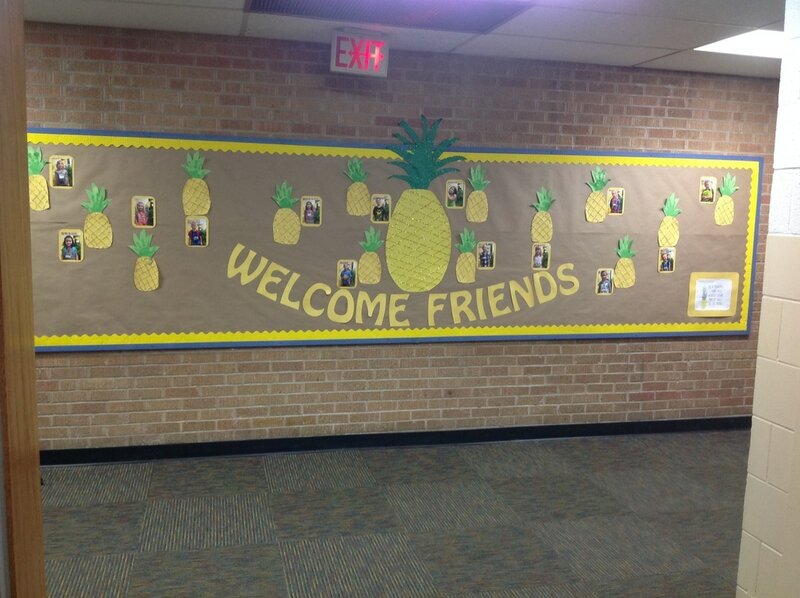 ​WELCOME to an amazing year in Kindergarten! 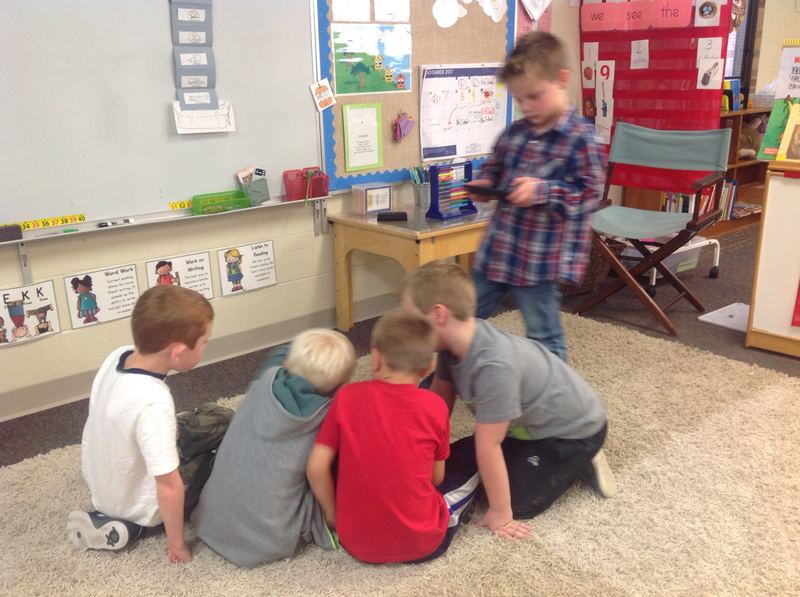 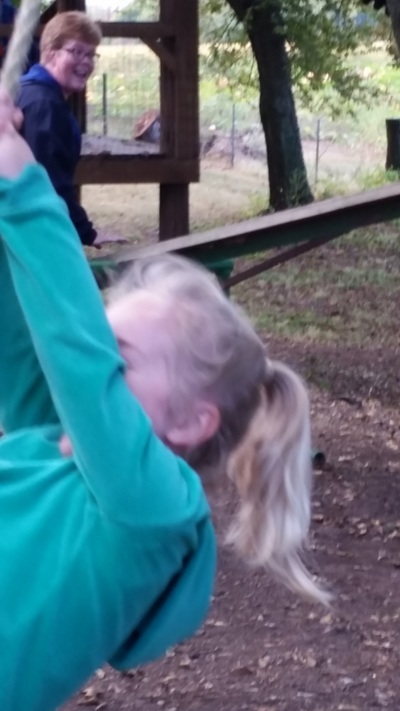 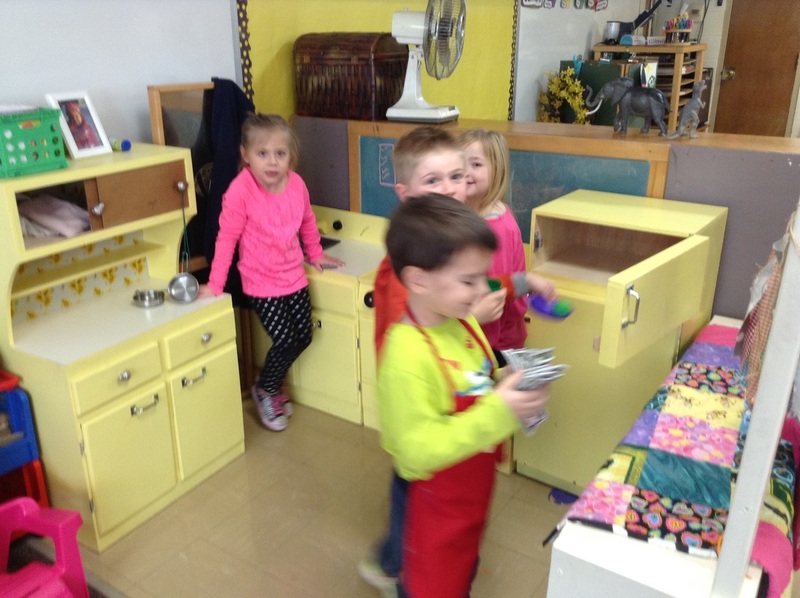 I'm looking forward to sharing all our action with you and hope that you enjoy our classroom happenings caught on camera! 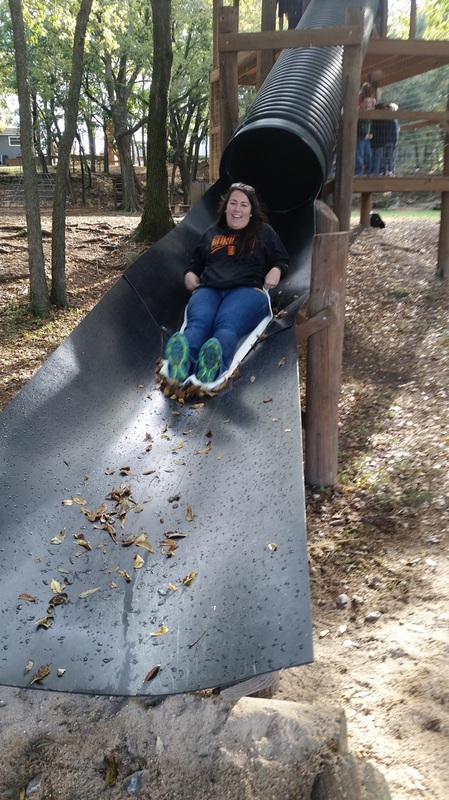 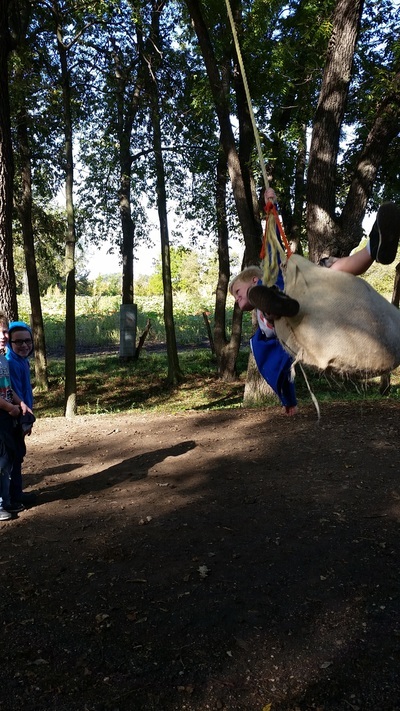 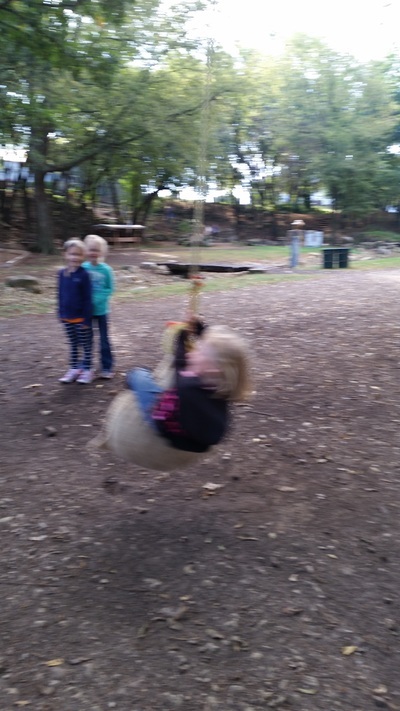 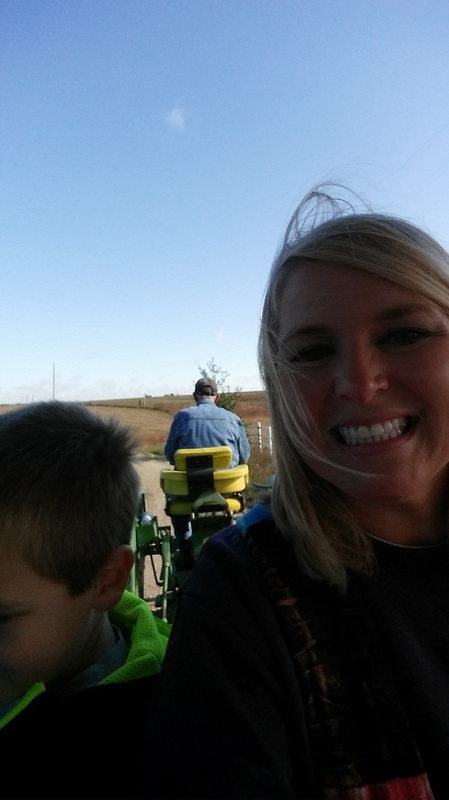 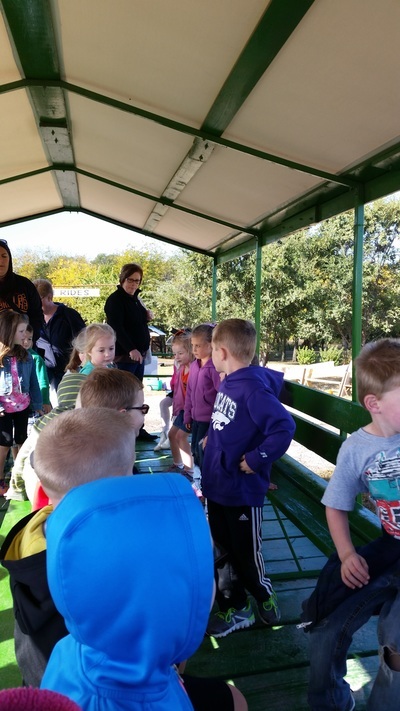 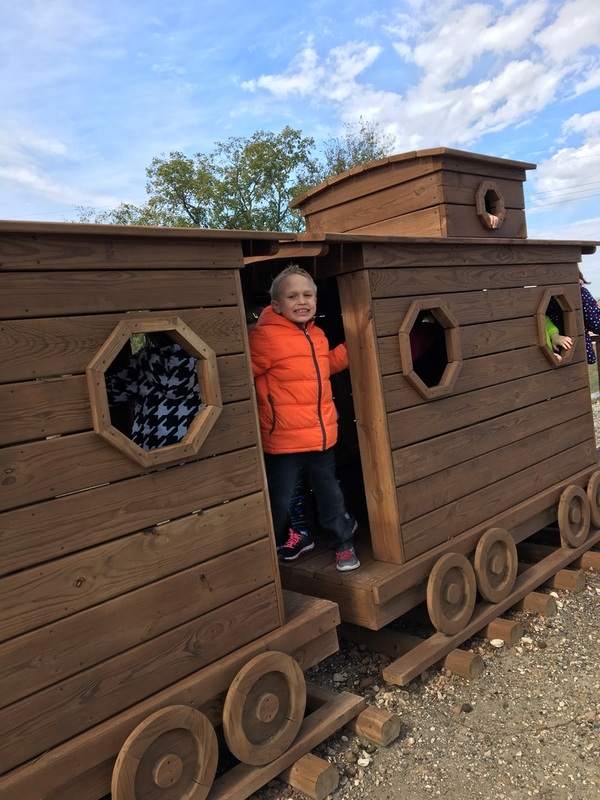 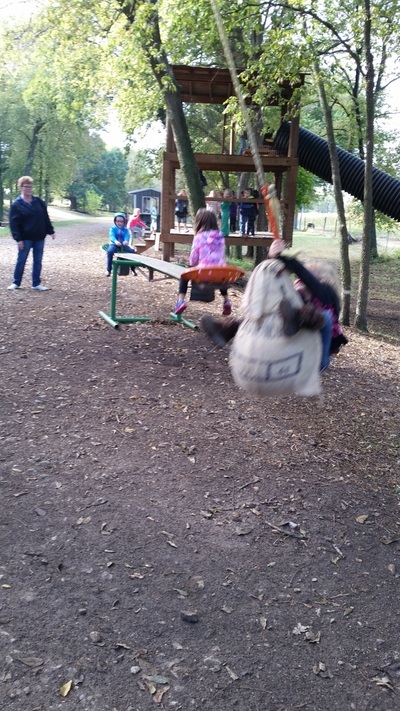 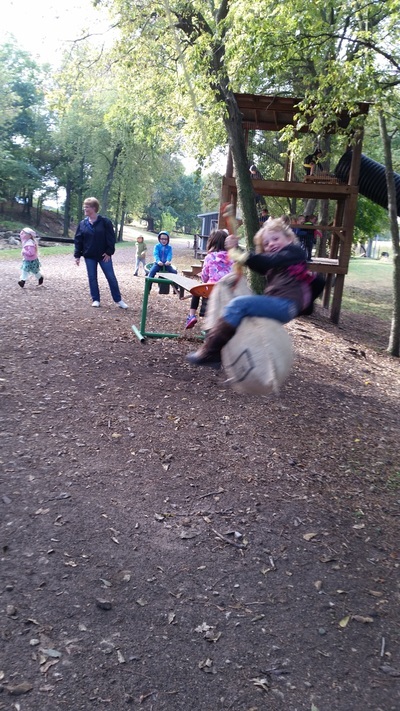 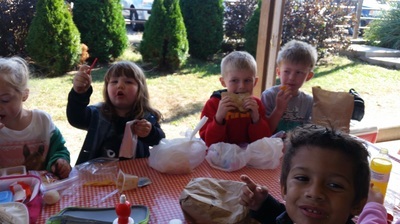 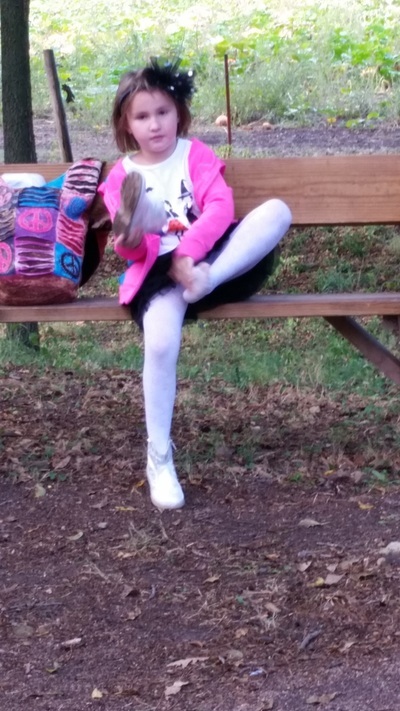 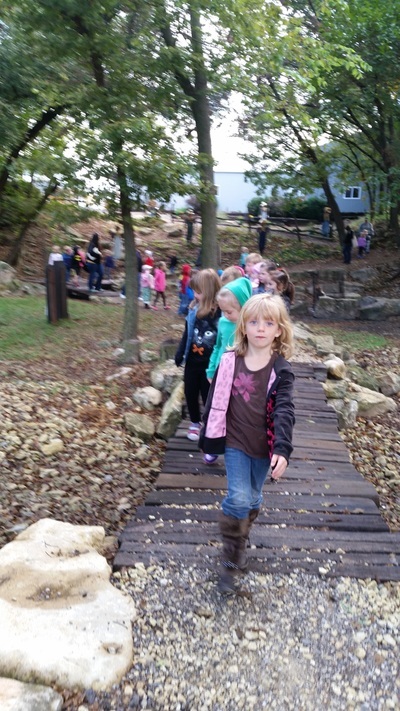 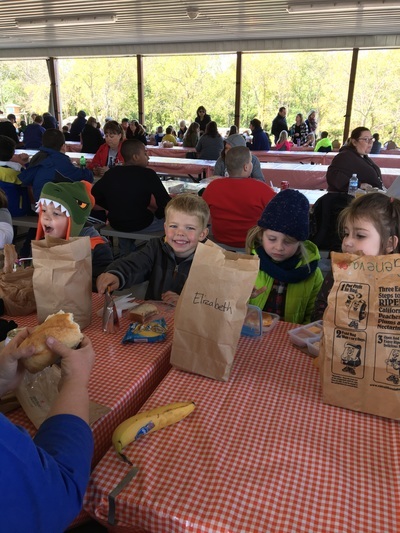 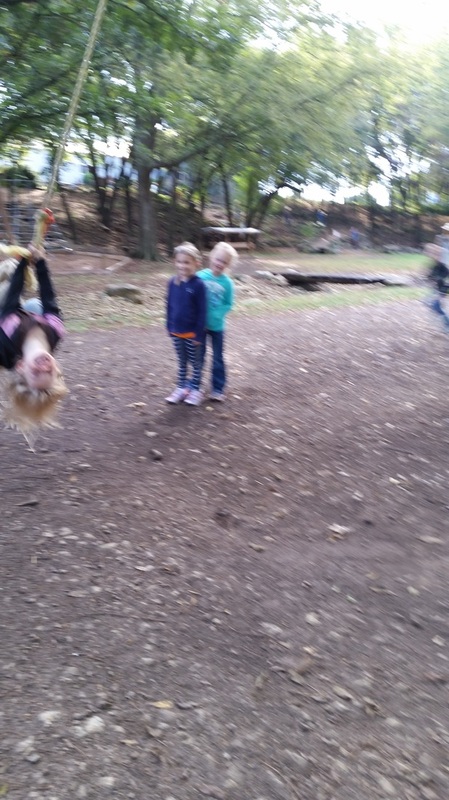 Apple Day fun! 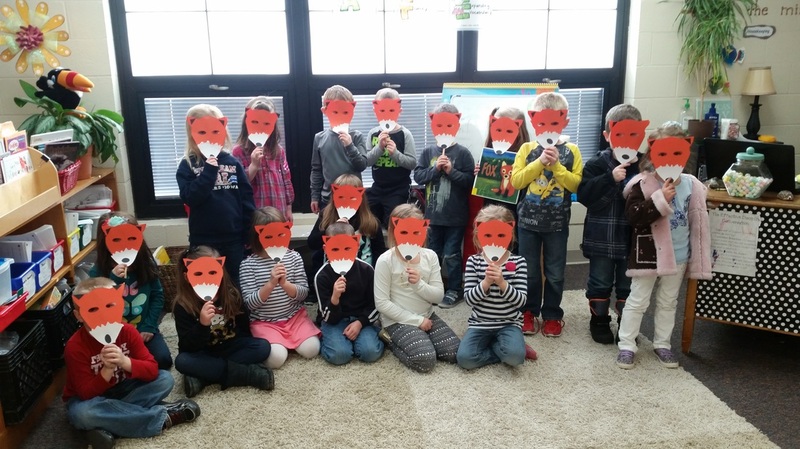 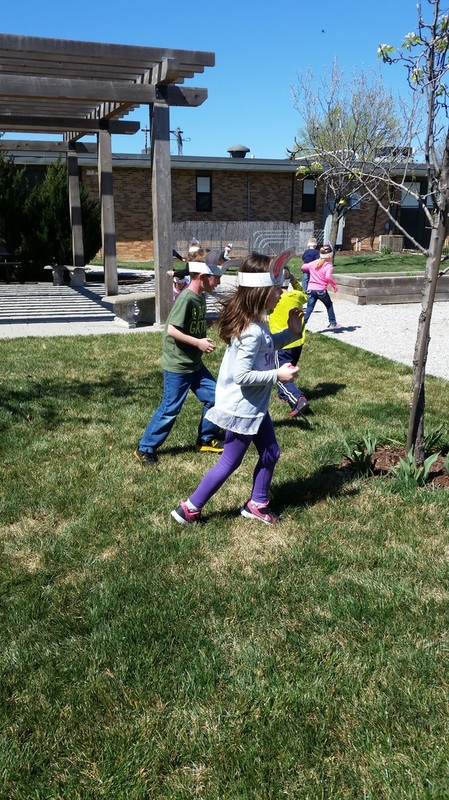 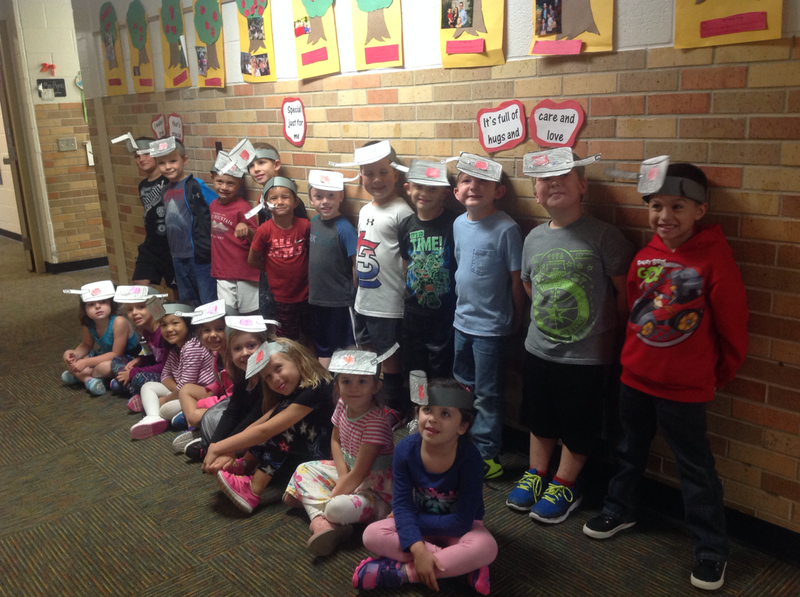 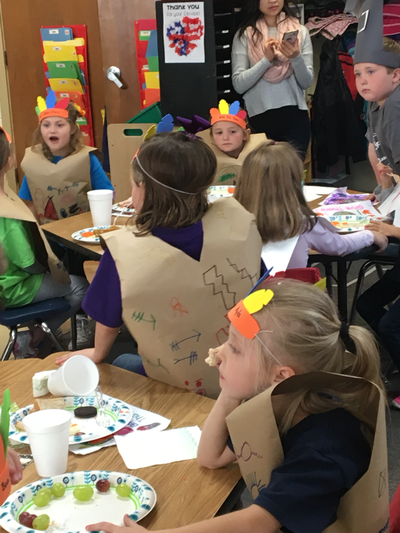 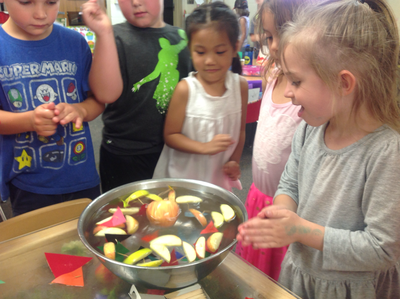 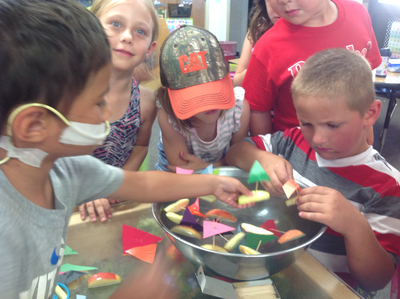 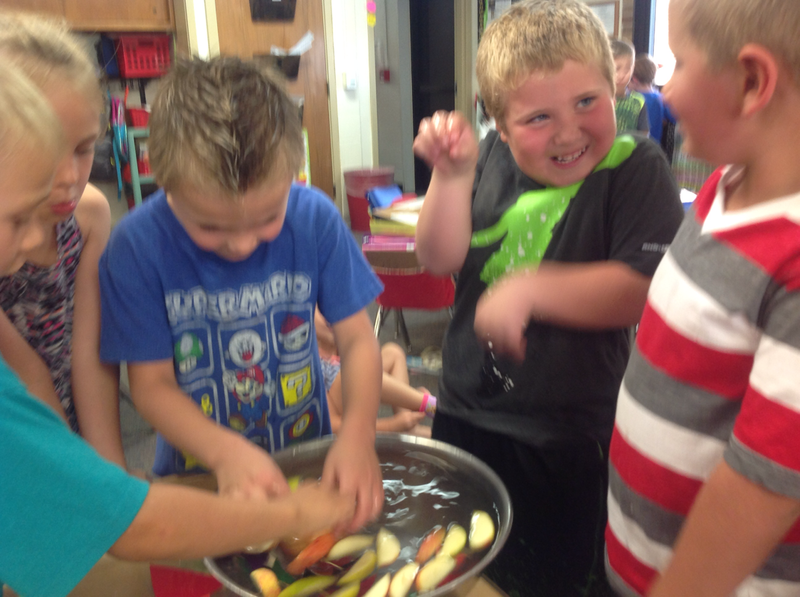 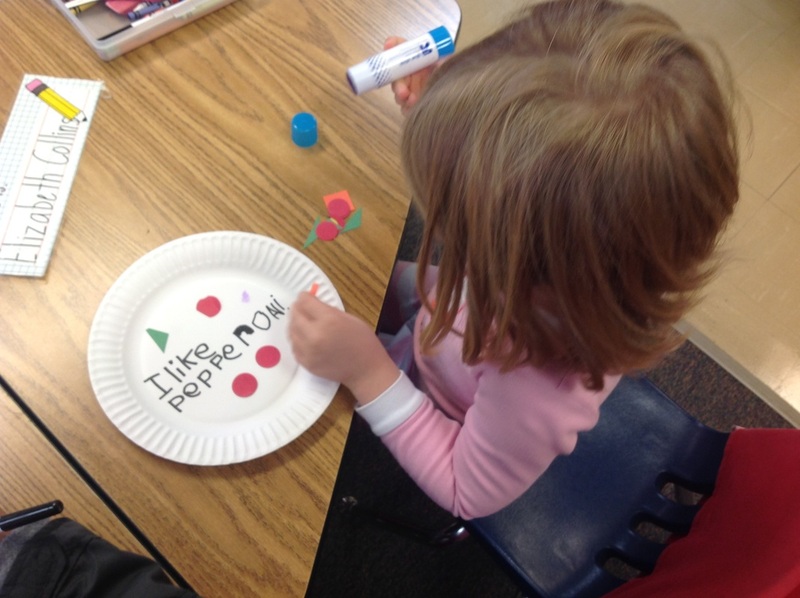 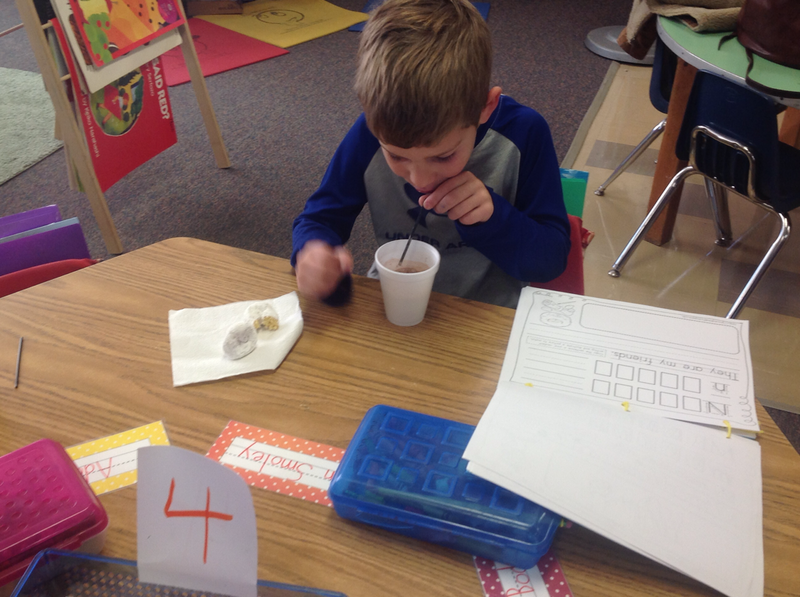 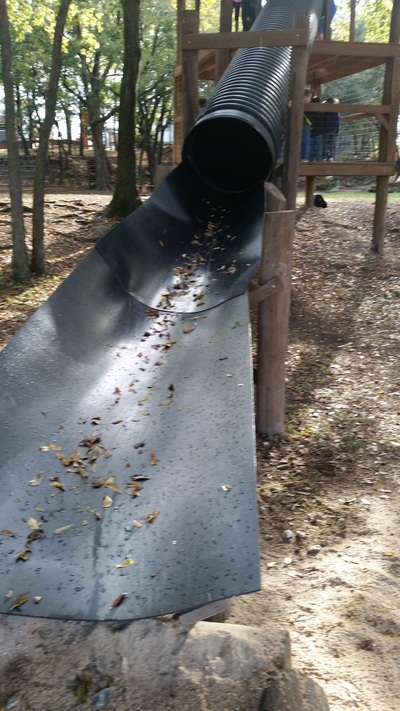 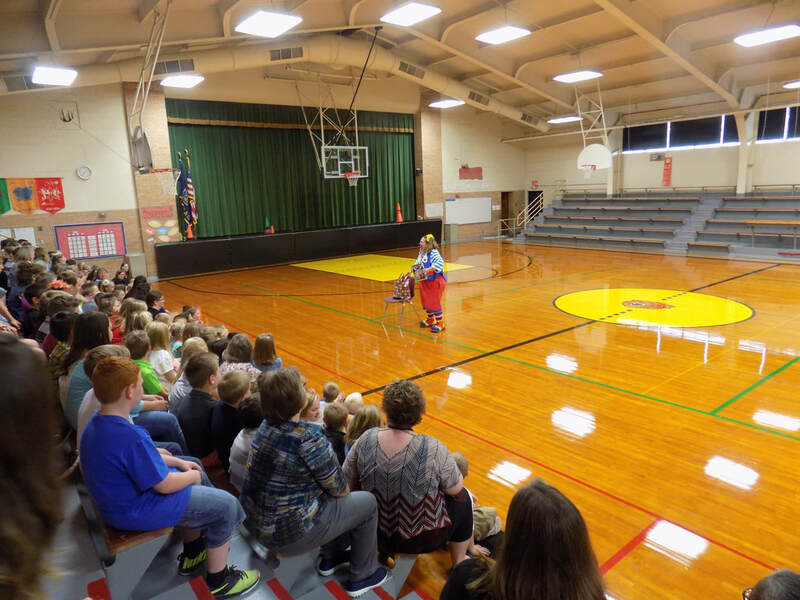 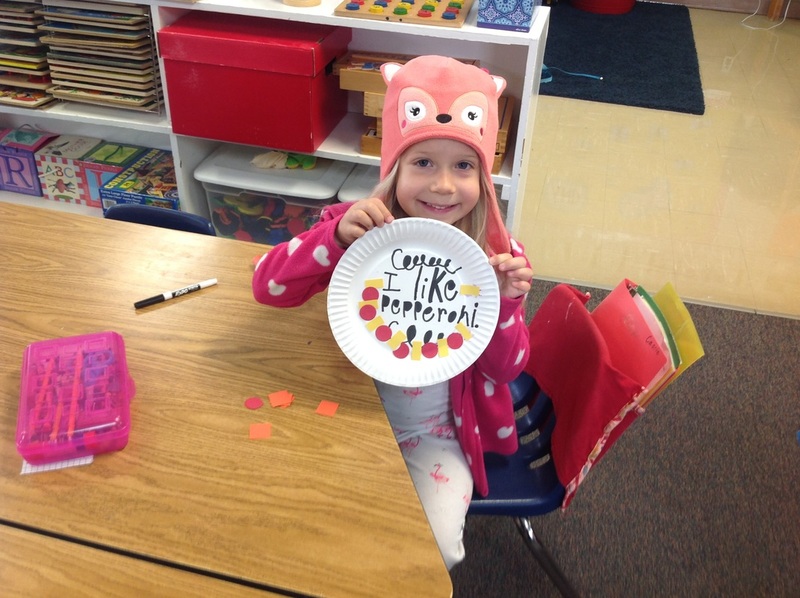 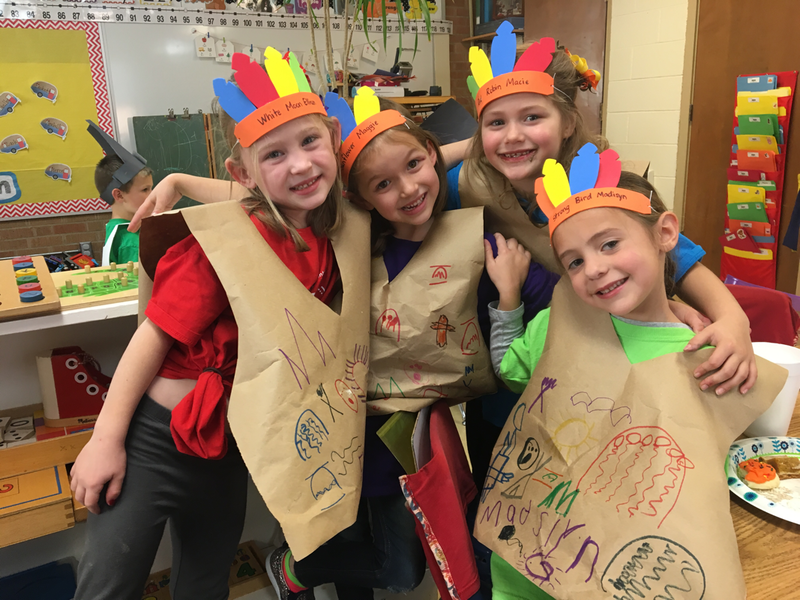 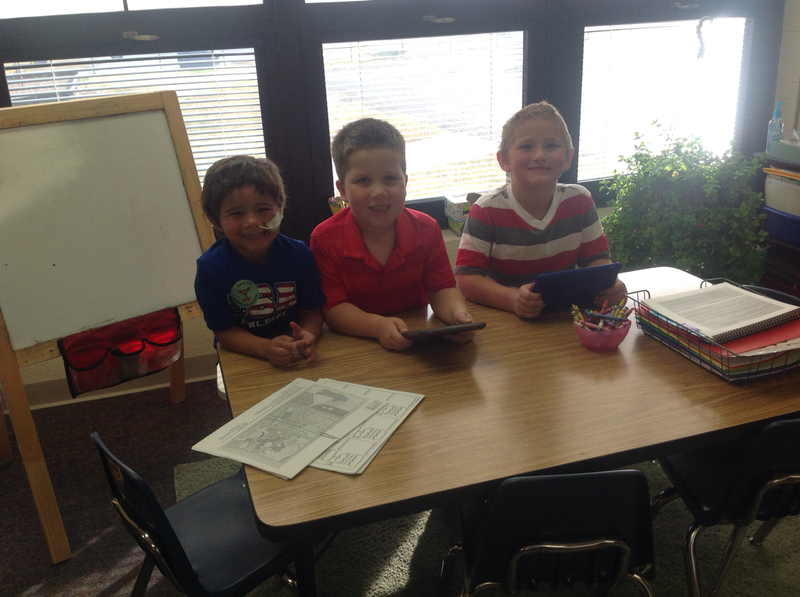 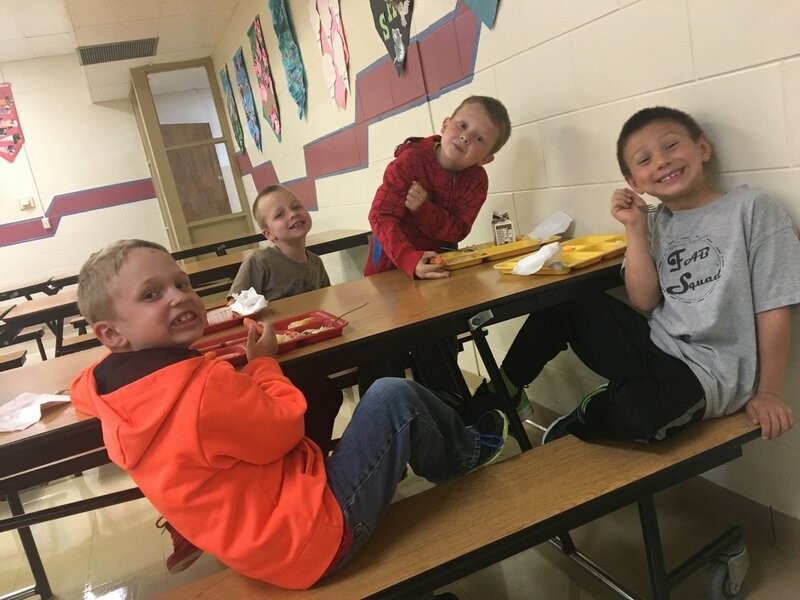 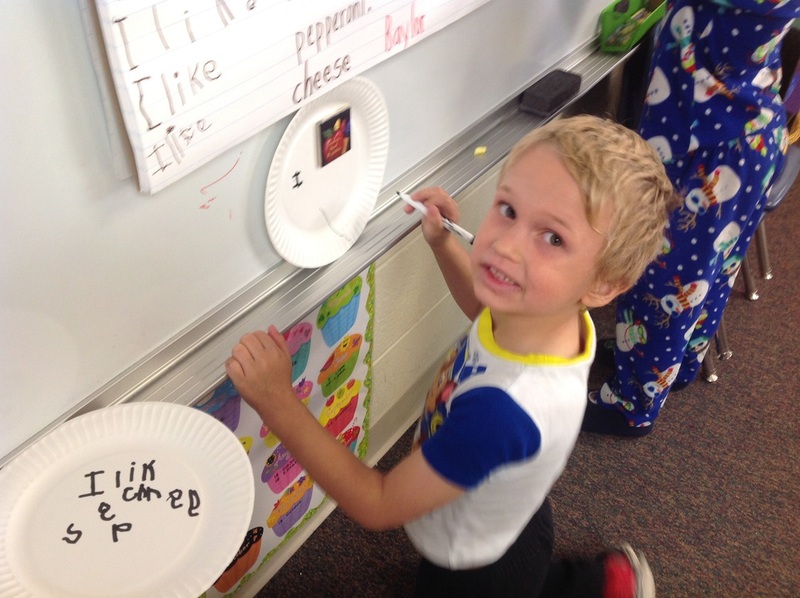 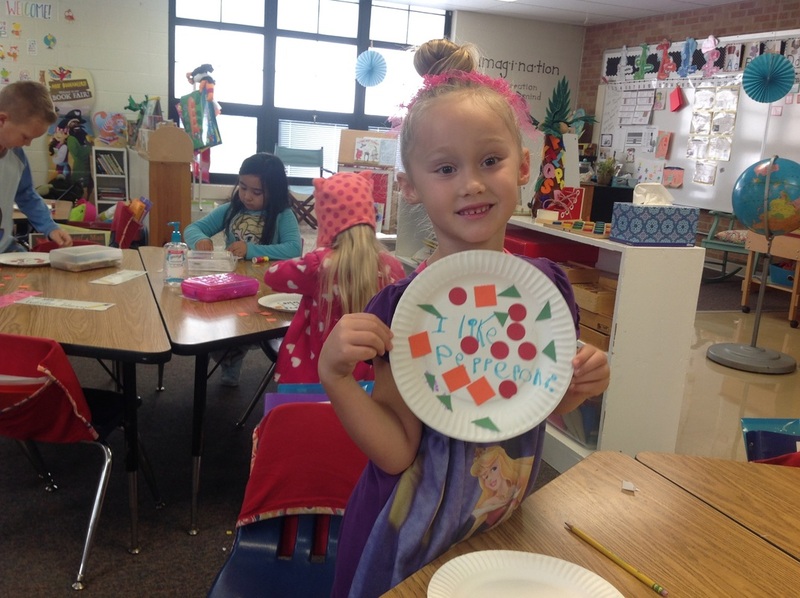 The kiddos and I had a great time celebrating Johnny Appleseed And Letter A doing all kinds of activities with our apples! 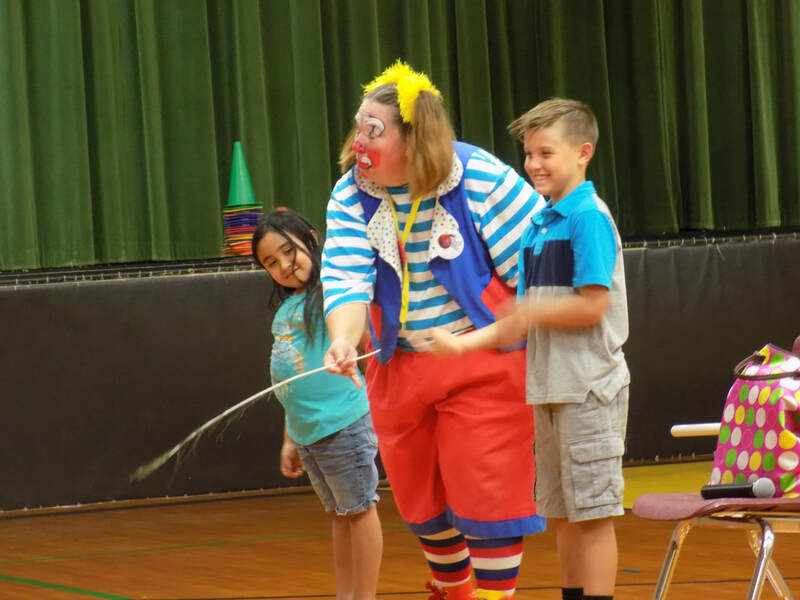 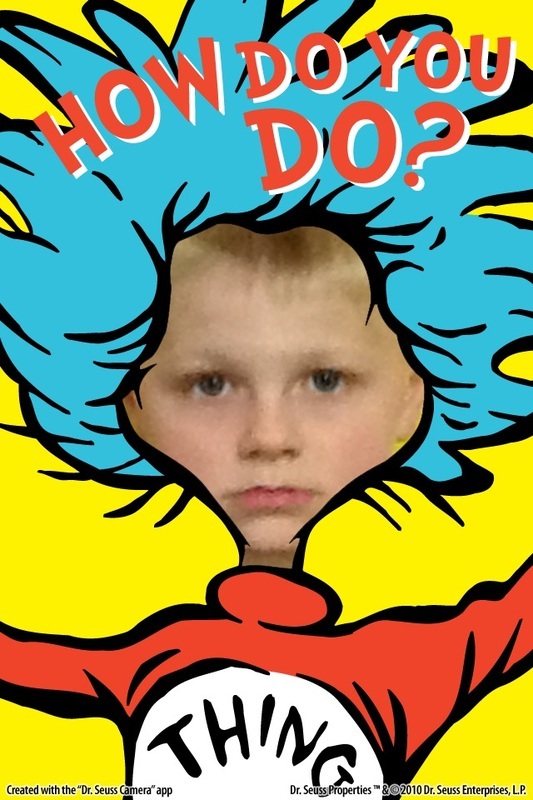 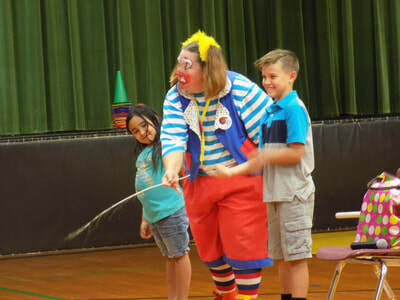 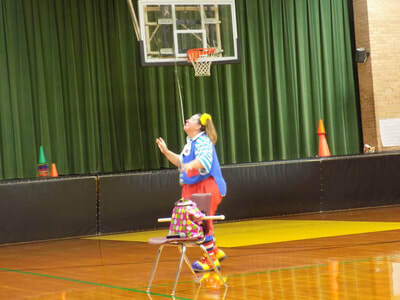 A Clown comes to Town! What a great way to start the year! 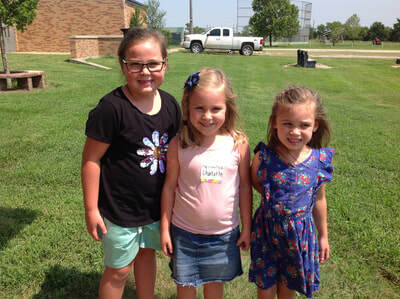 The KINDERGARTNERS did a GREAt job with the solar eclipse viewings and got to go out a couple of times to watch the changes! 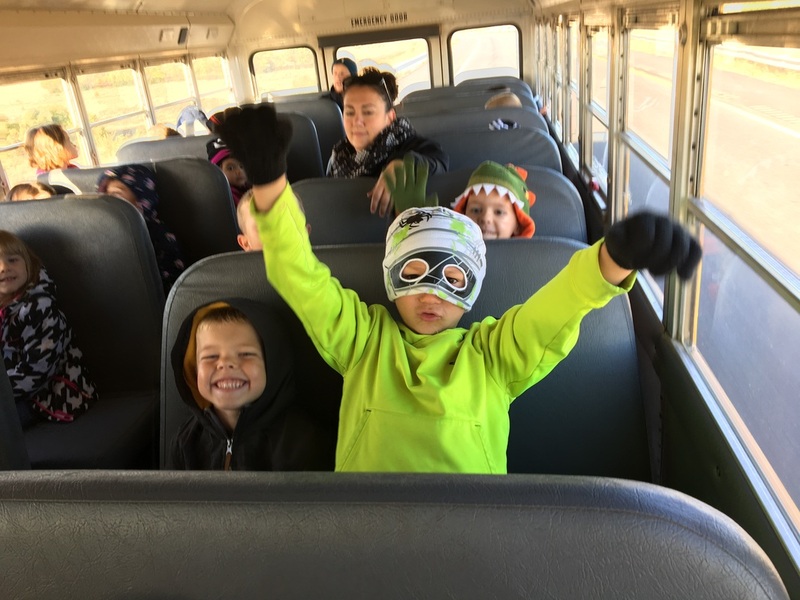 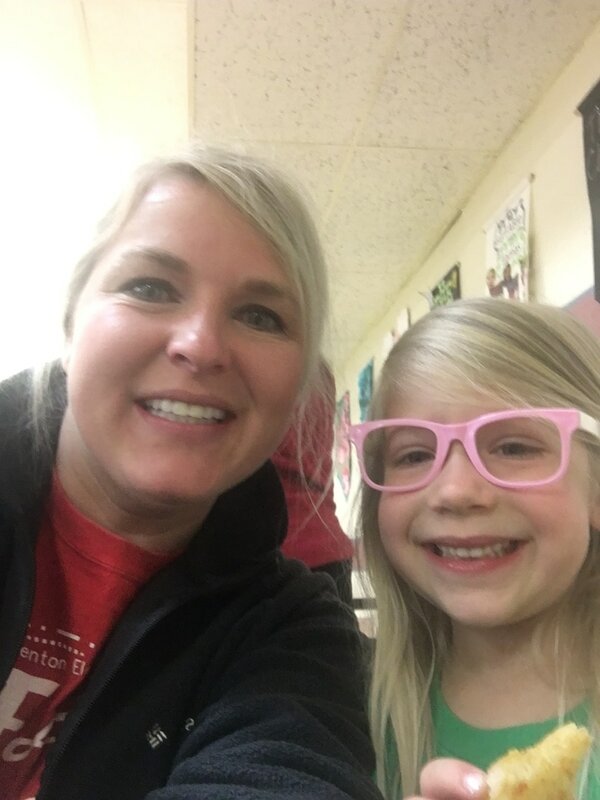 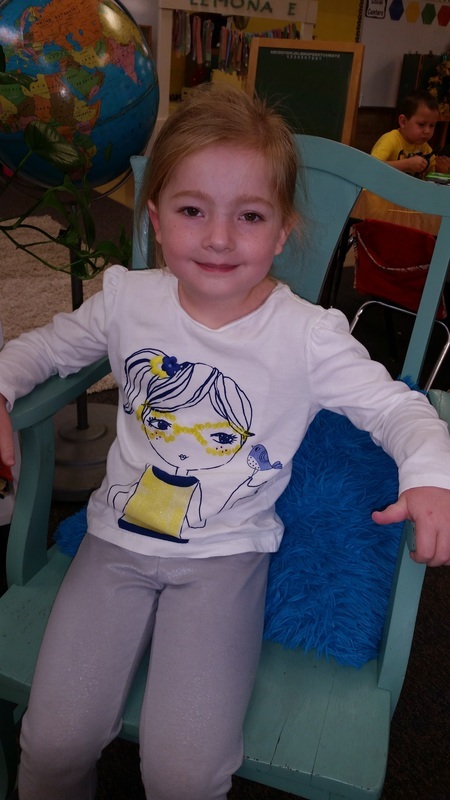 Thank you CBE PTO for the glasses that allowed us all to experience this event! 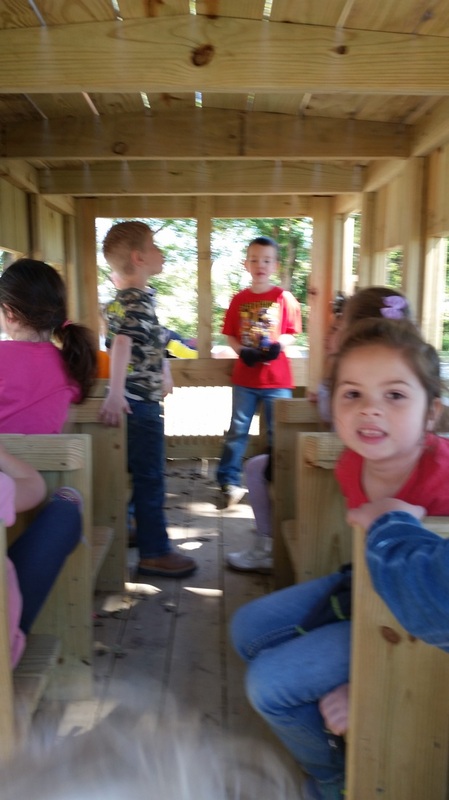 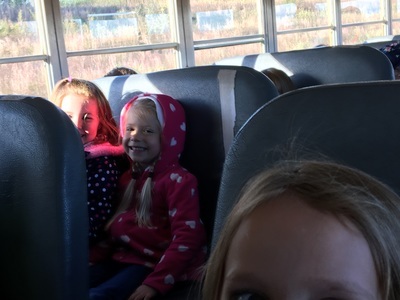 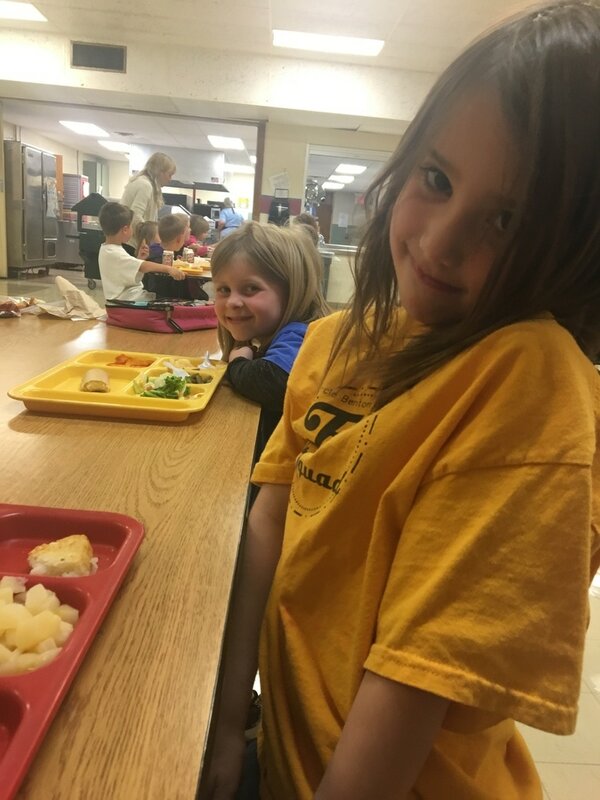 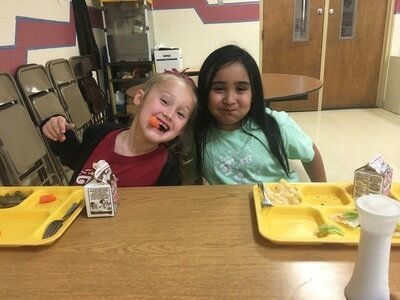 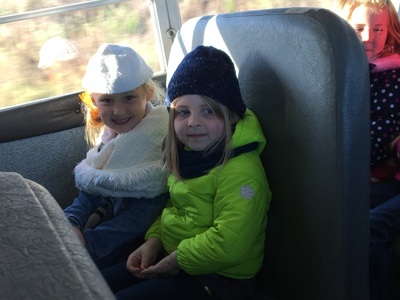 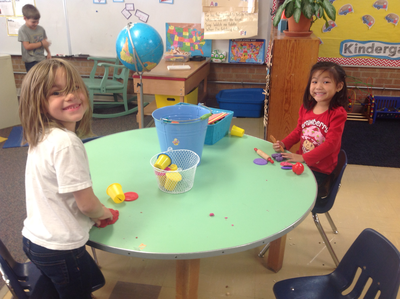 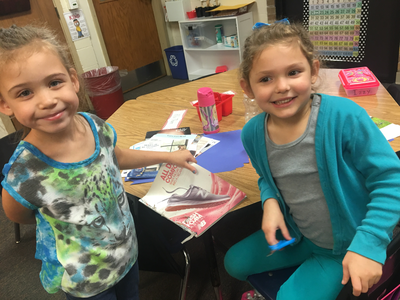 School has begun and friendships are blooming! 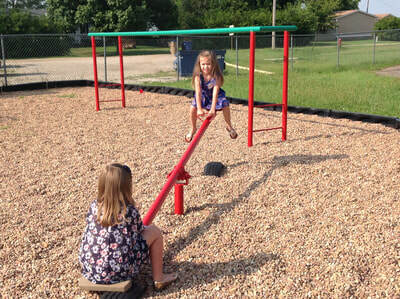 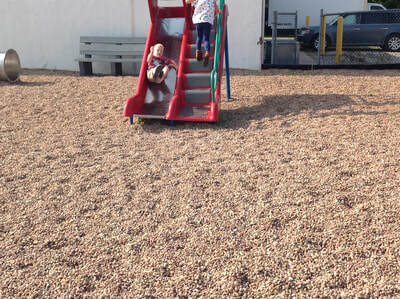 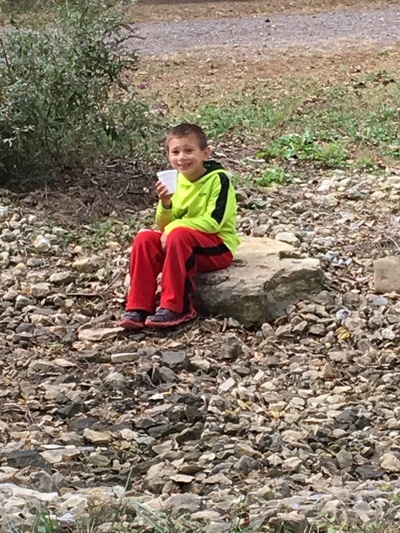 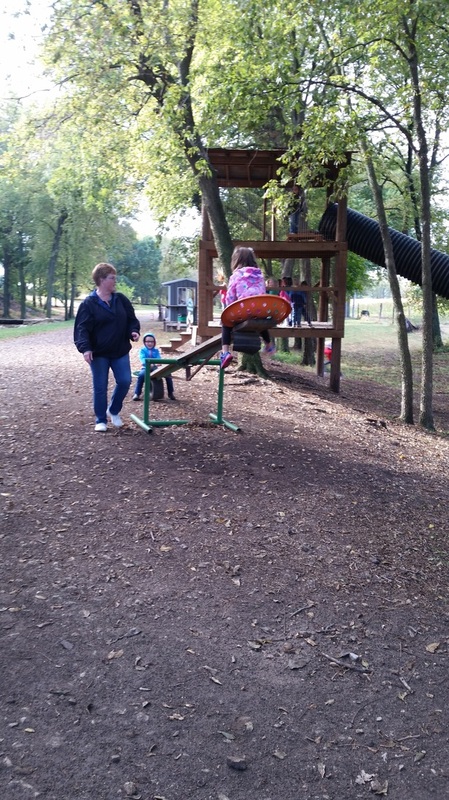 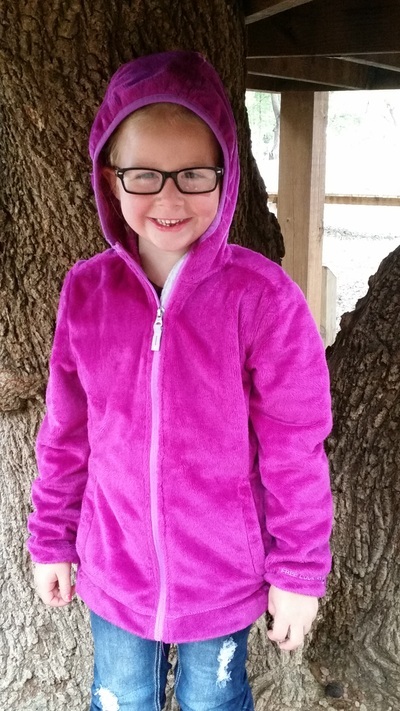 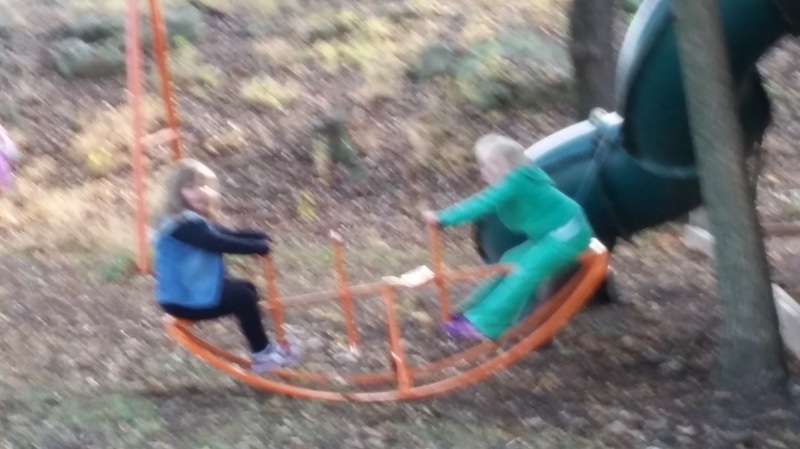 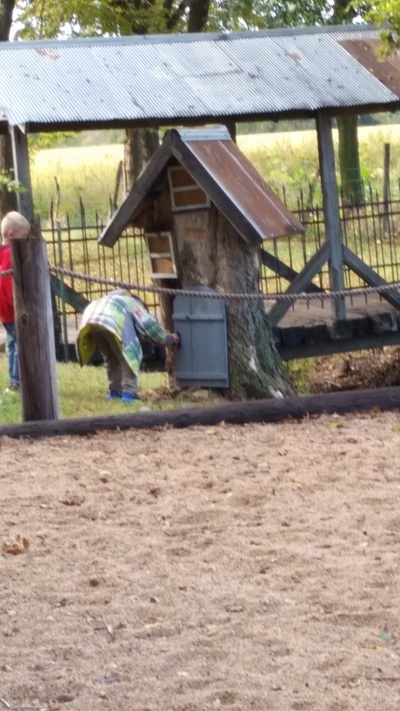 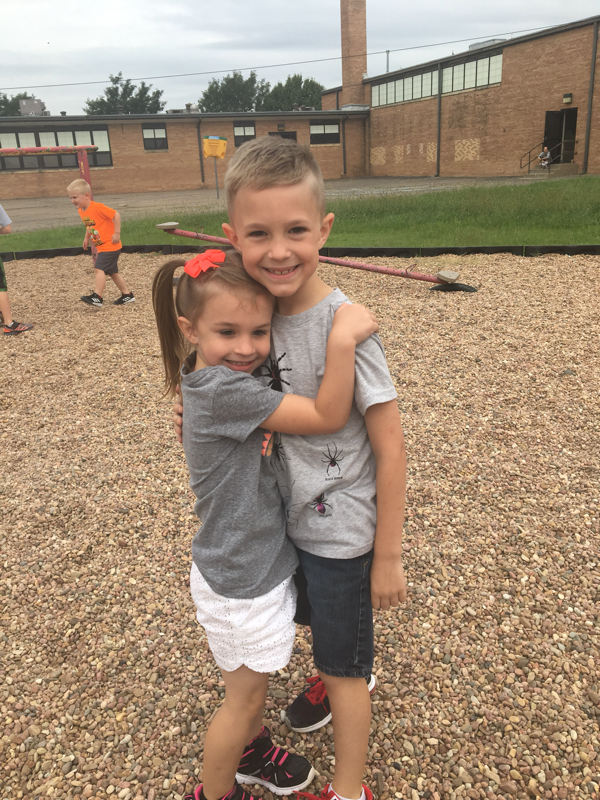 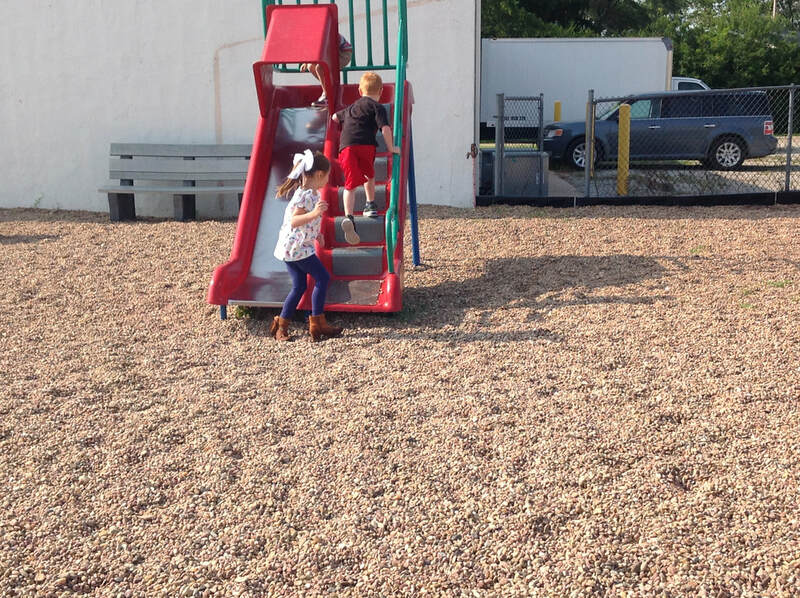 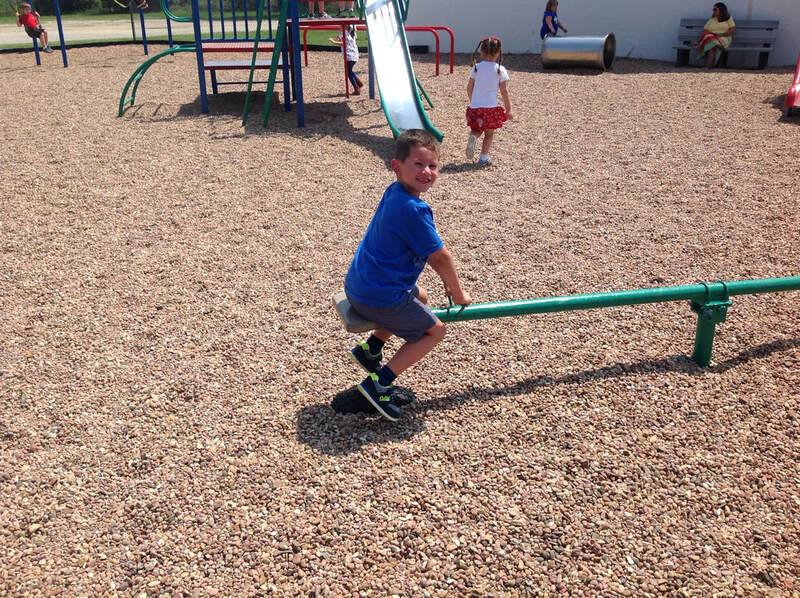 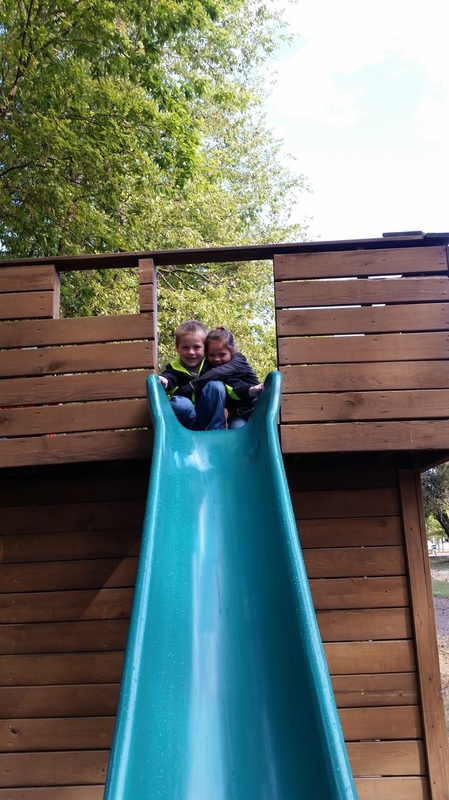 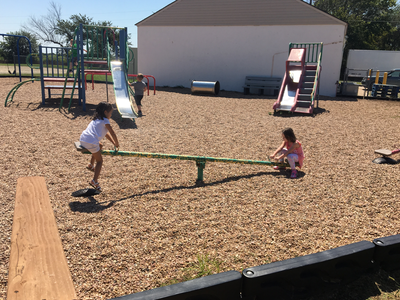 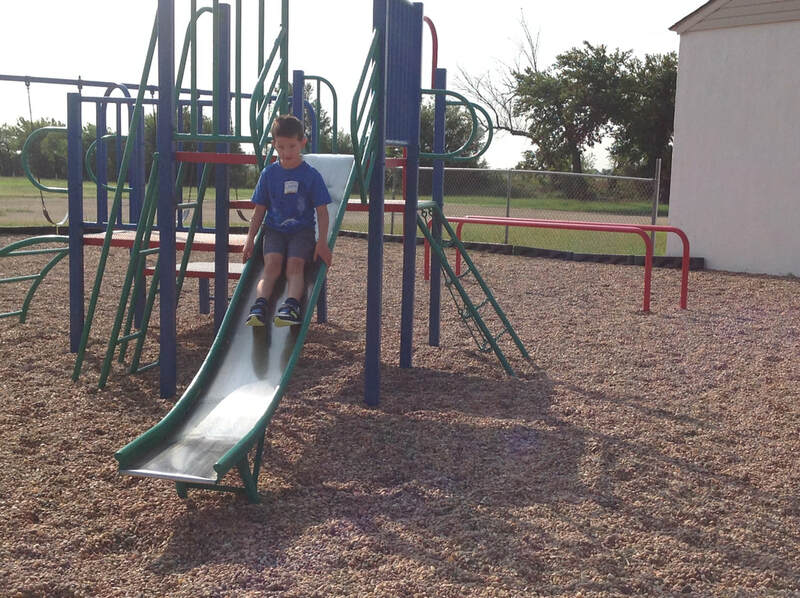 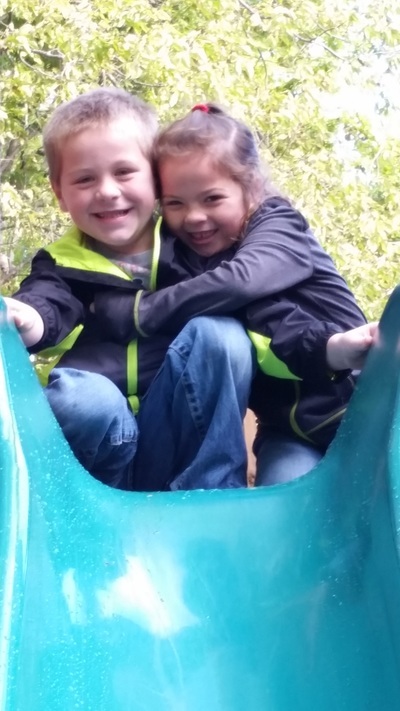 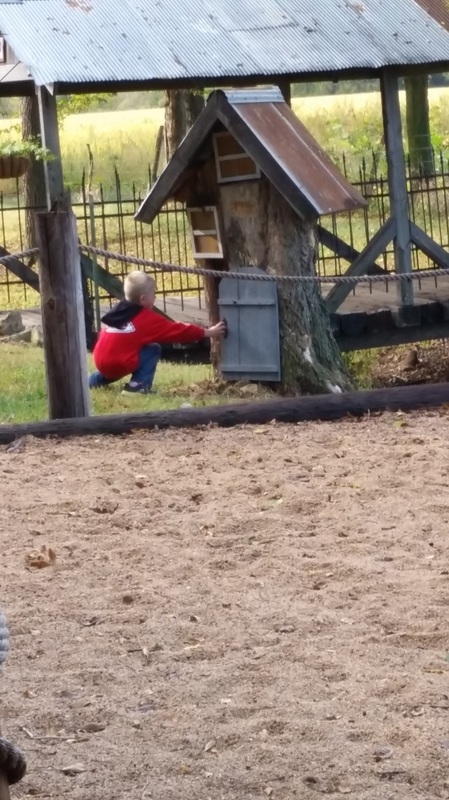 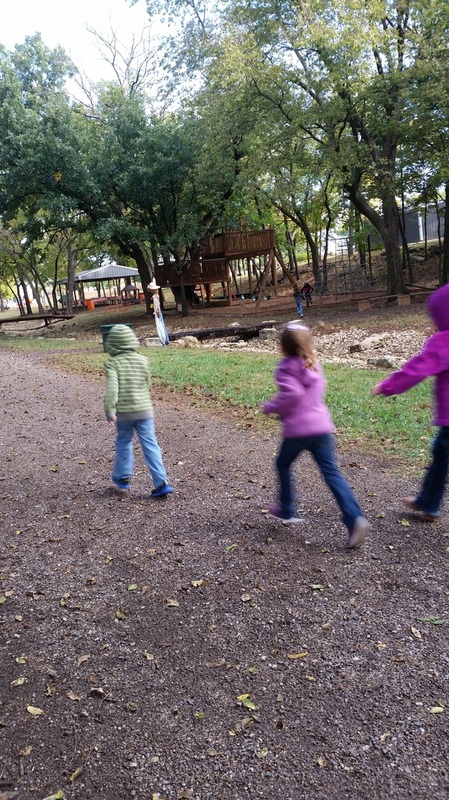 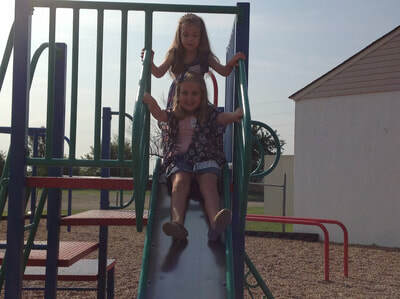 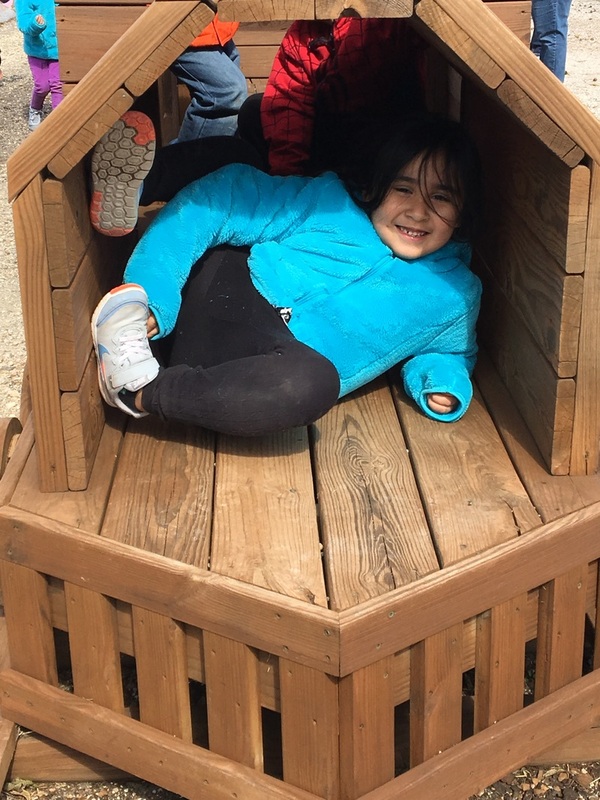 It's always fun to see your big sibling out at recess! Nothing builds friendships faster than kindness and the willingness to break out of our shells! 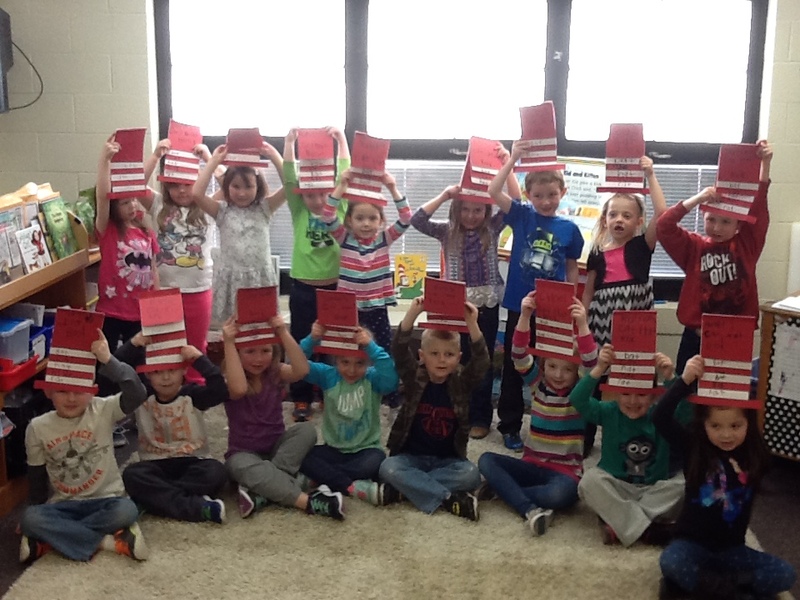 Who knew so many books existed! 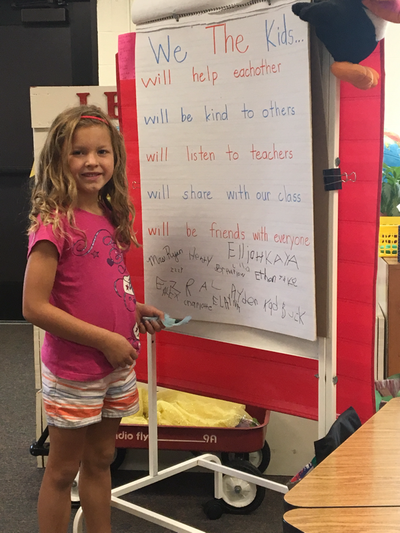 Ms. Singer did her first lesson on friendship! 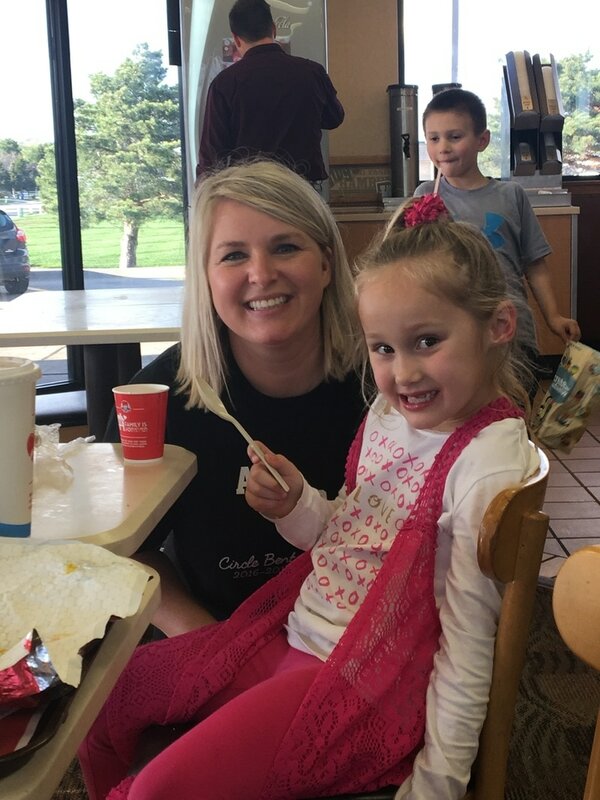 We love when she visits! 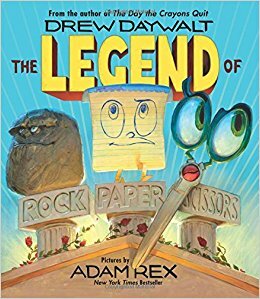 Read a louds will never be the same! 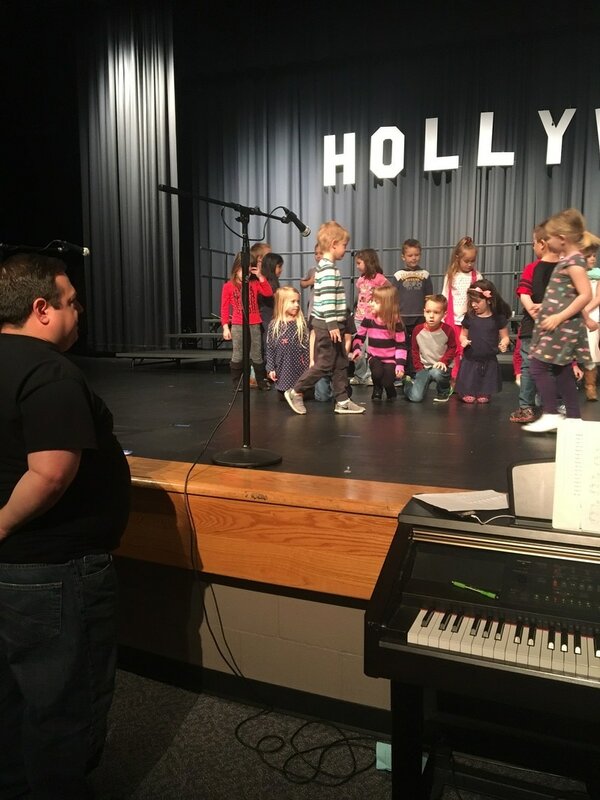 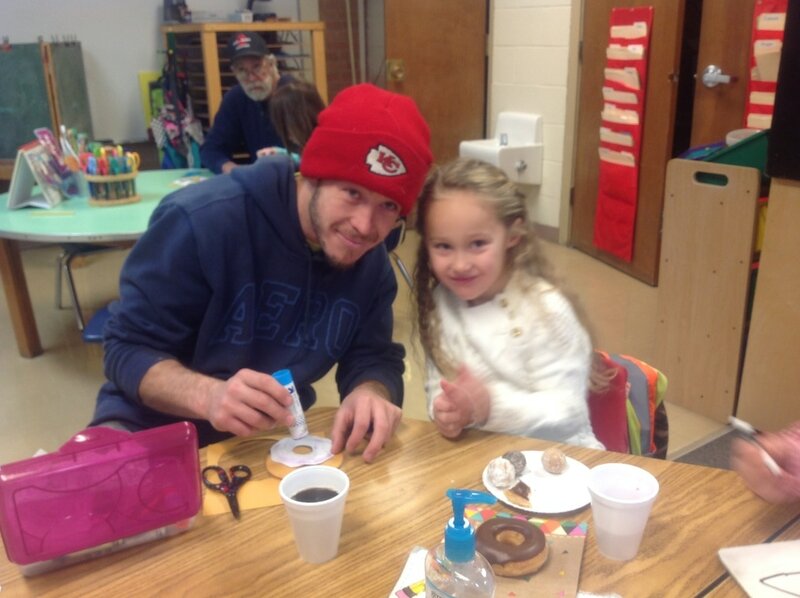 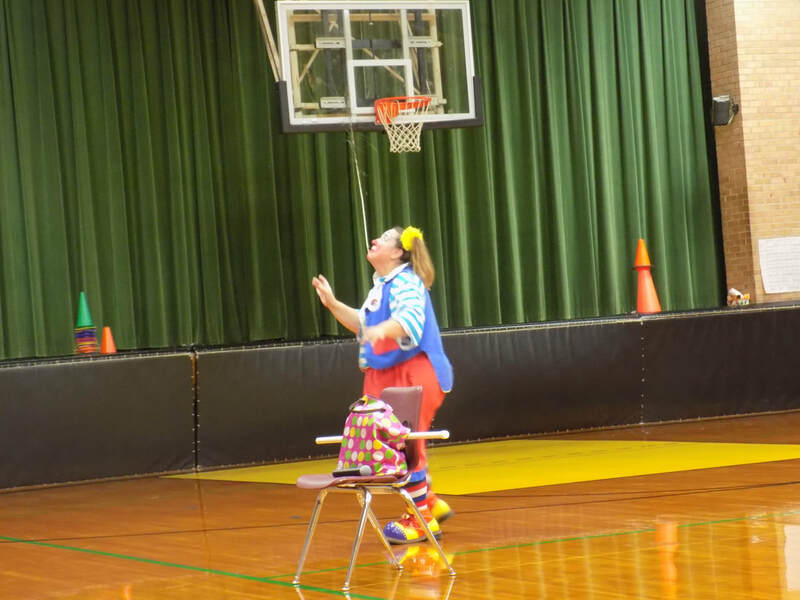 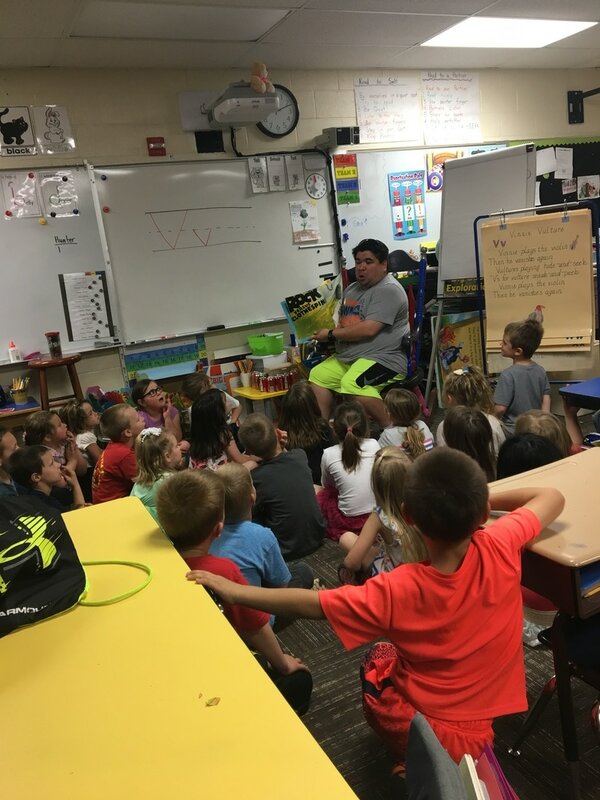 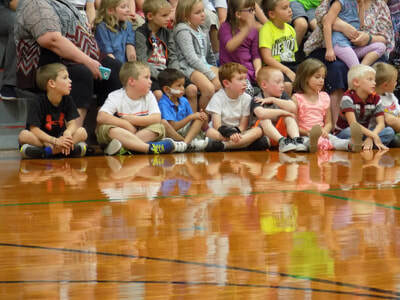 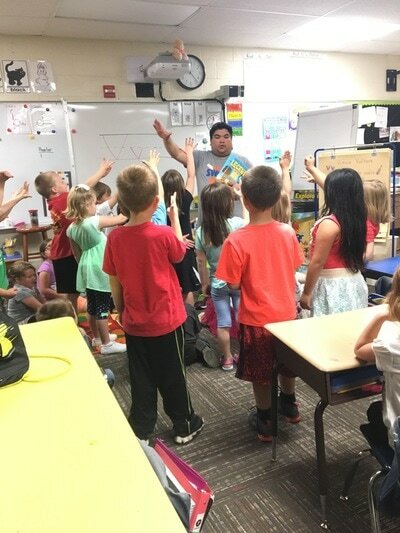 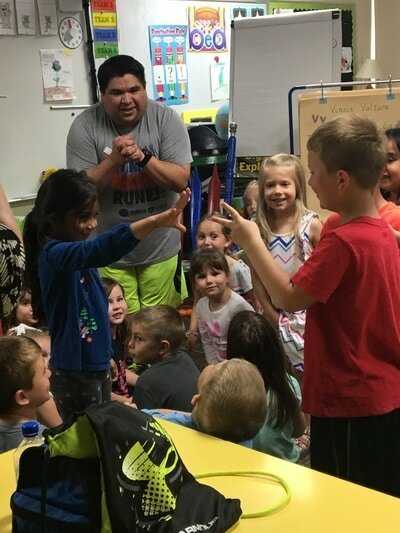 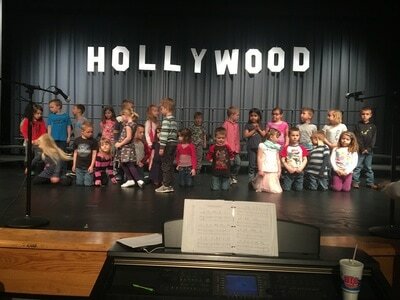 Thank you JJ for sharing your talent and enthusiasm with our kindergartners! 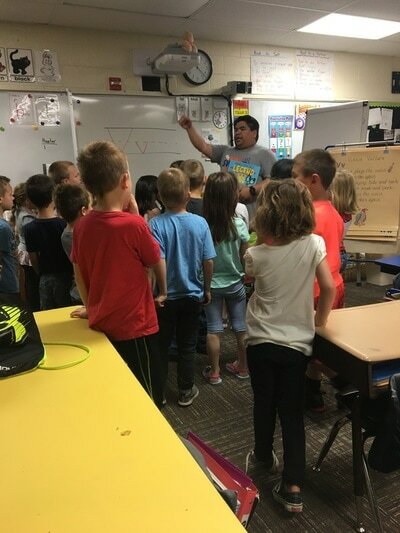 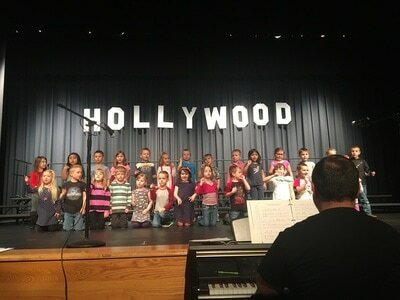 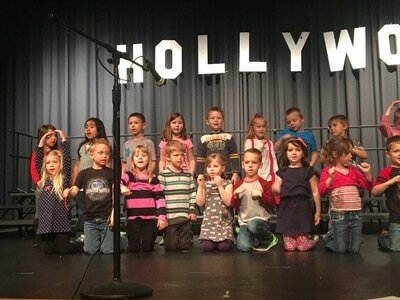 Great JOb Mr. Engels and CBE kiddos! Thank you for giving us our time to shine! 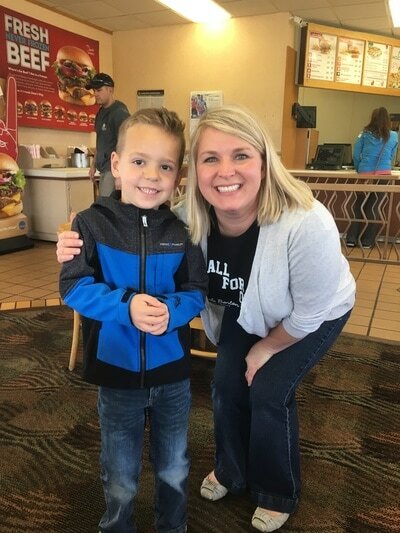 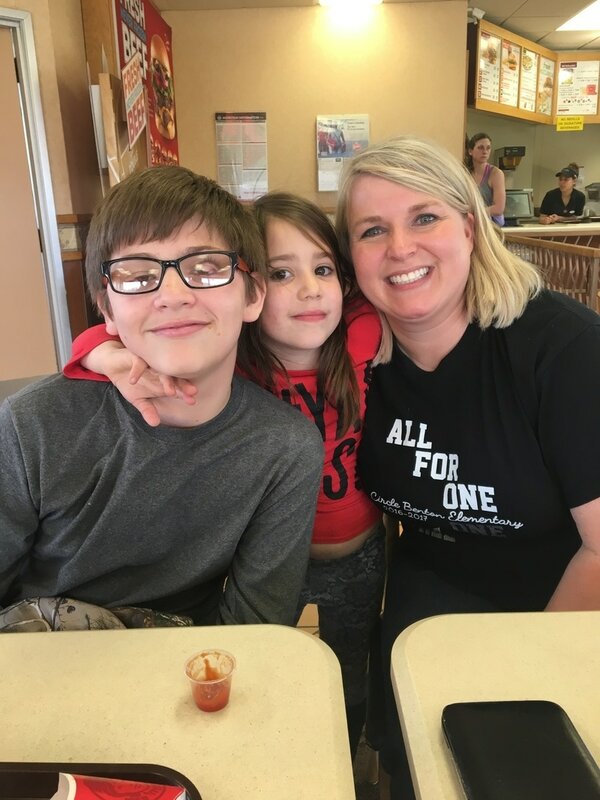 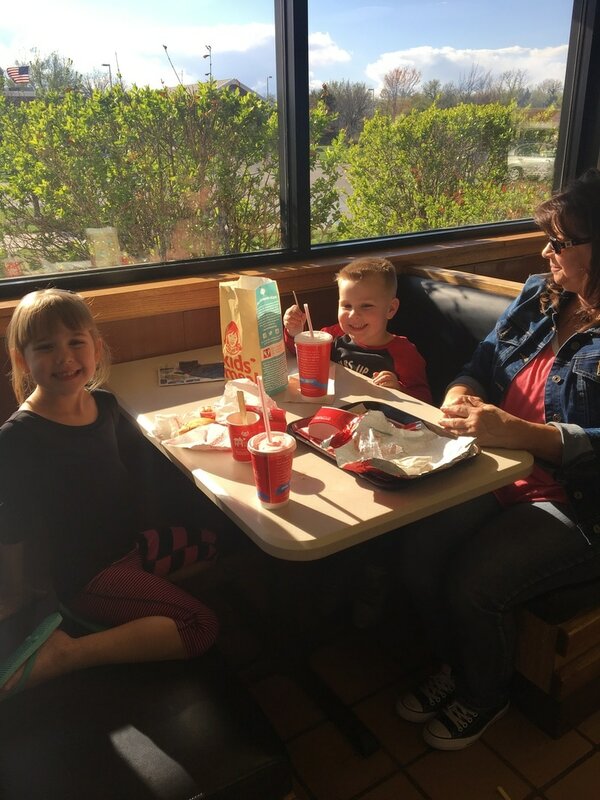 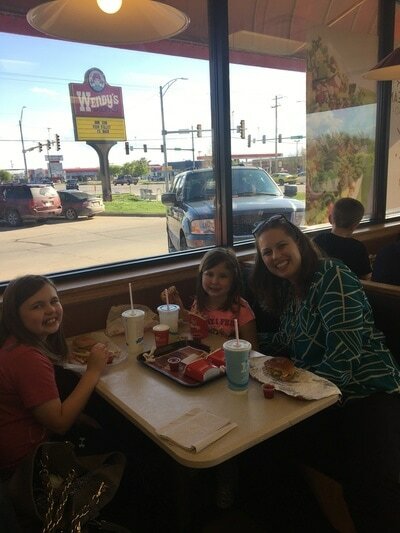 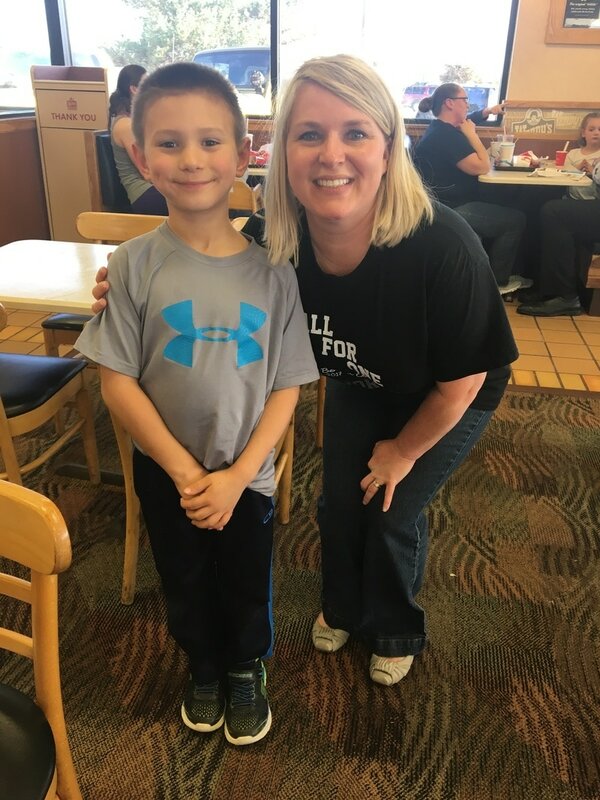 Wendy's on a Wonderful Wednesday! 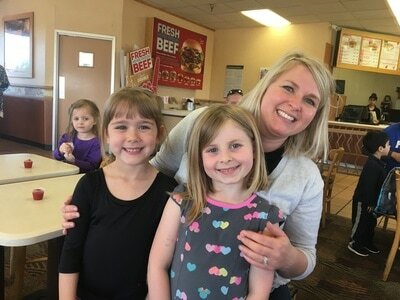 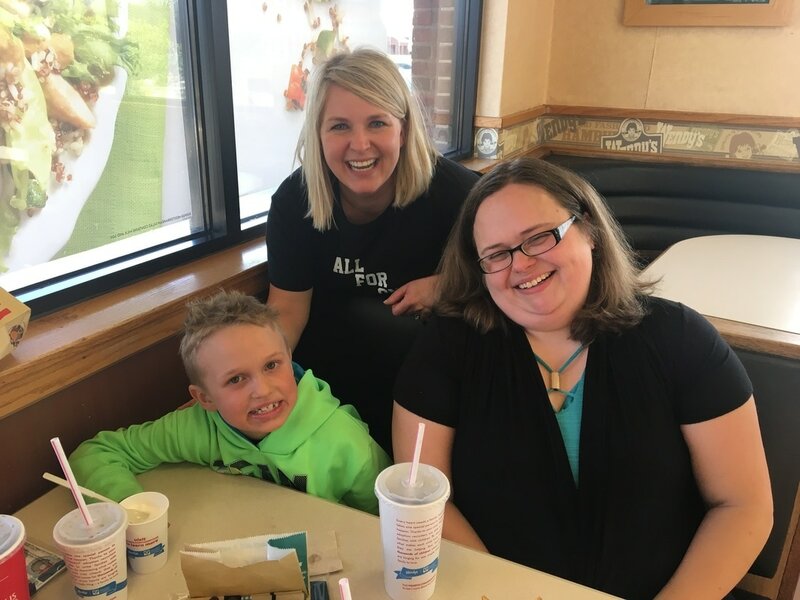 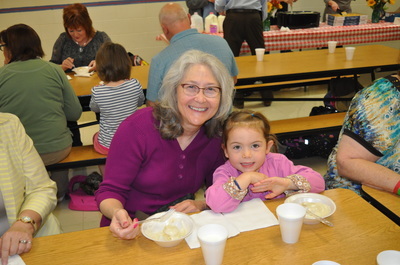 Thank you to these WONDERFUL mommas and grandmas for entrusting me with their little ones and joining us for Muffins with moms! 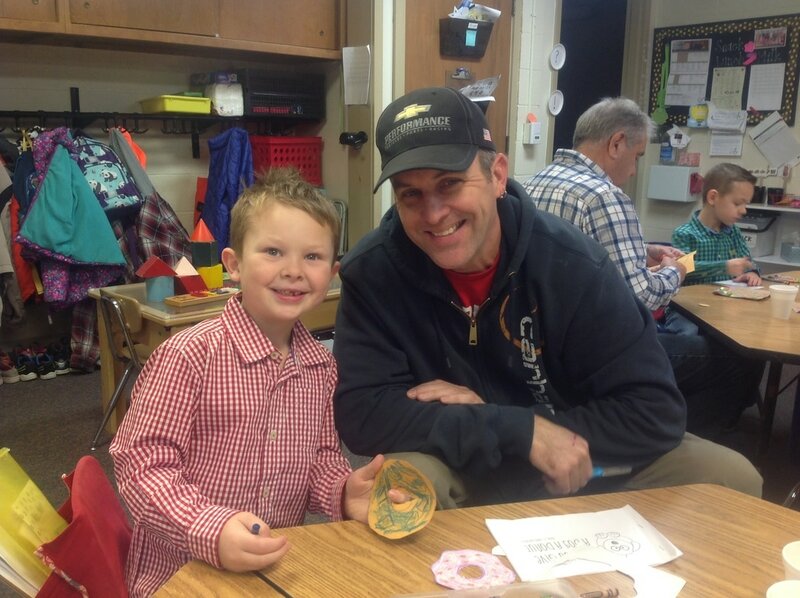 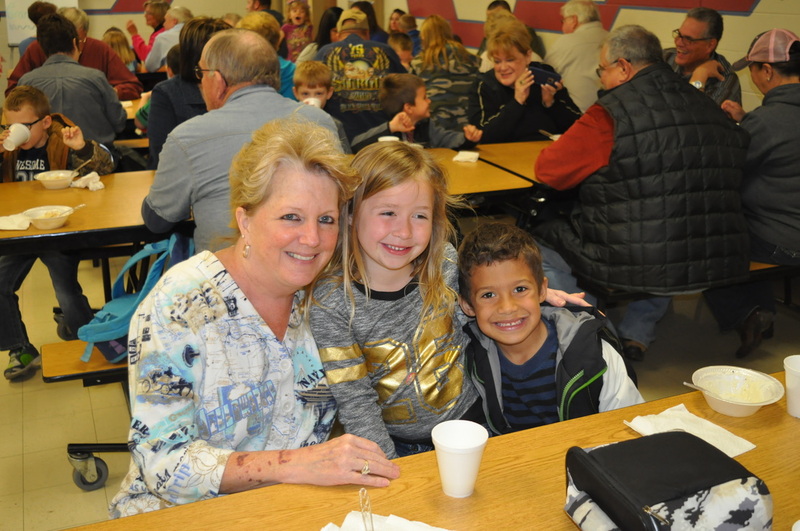 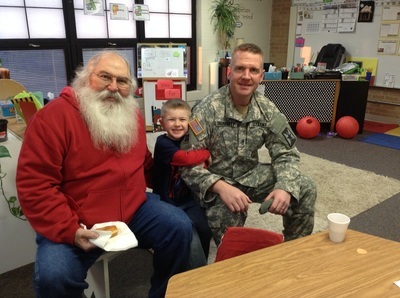 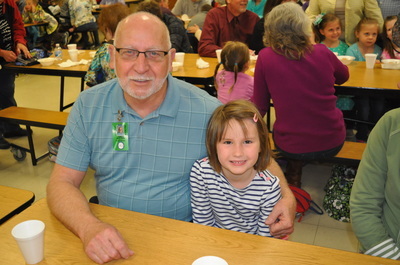 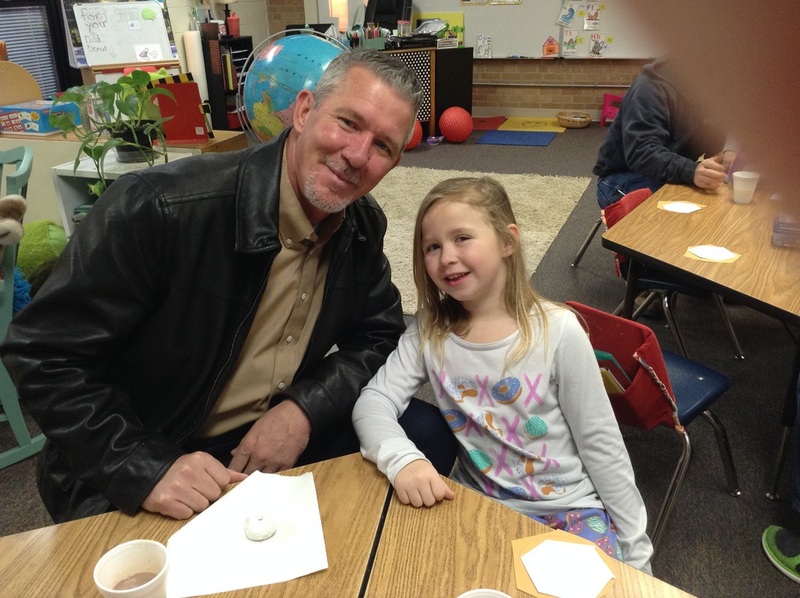 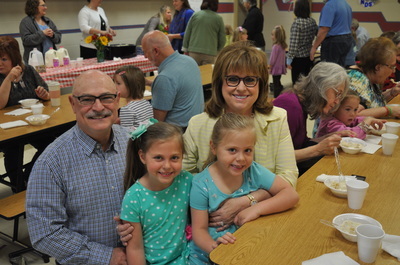 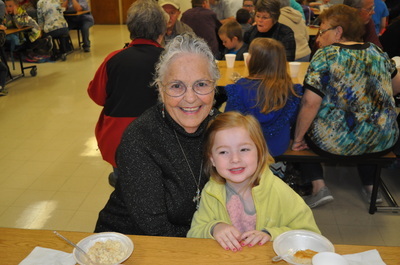 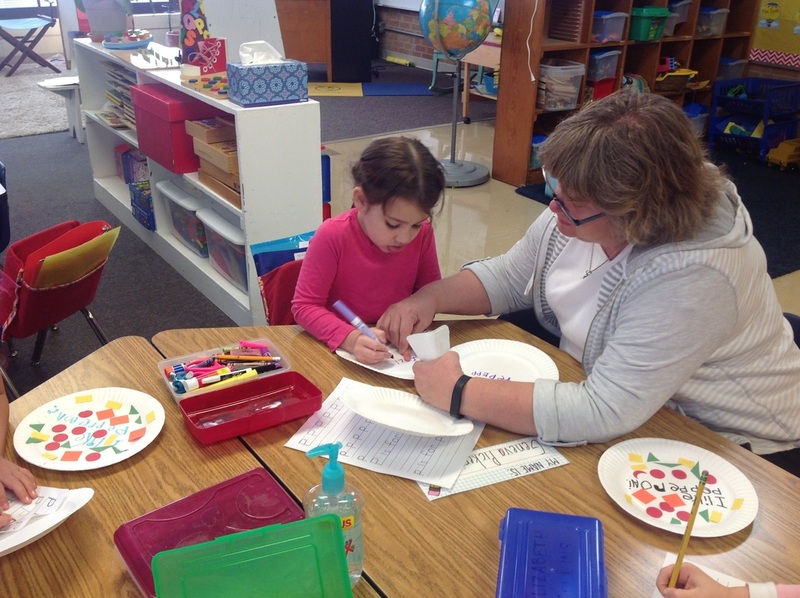 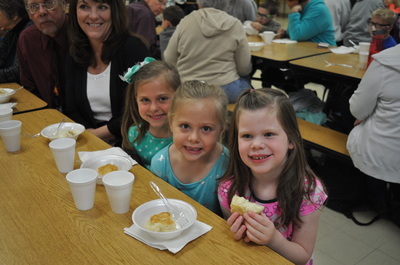 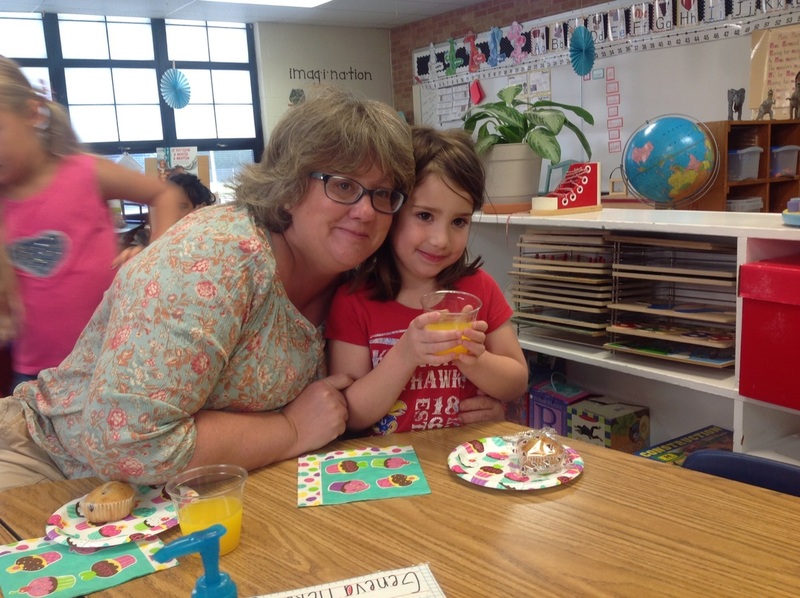 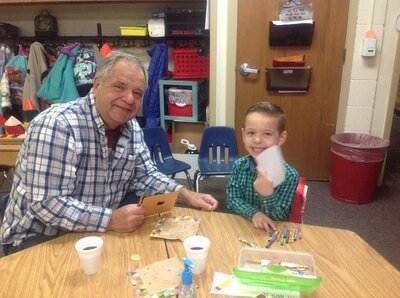 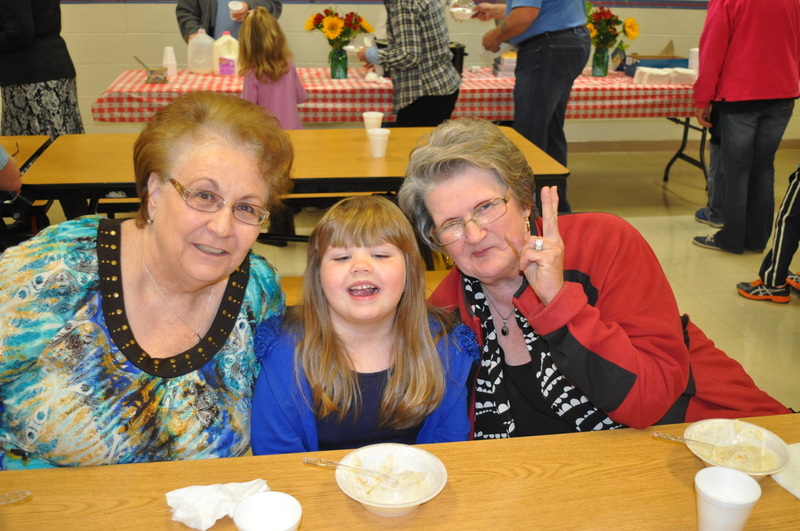 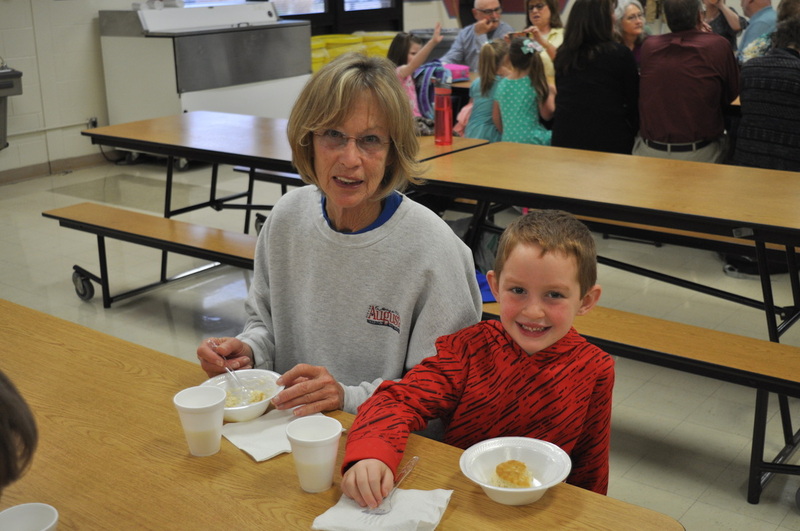 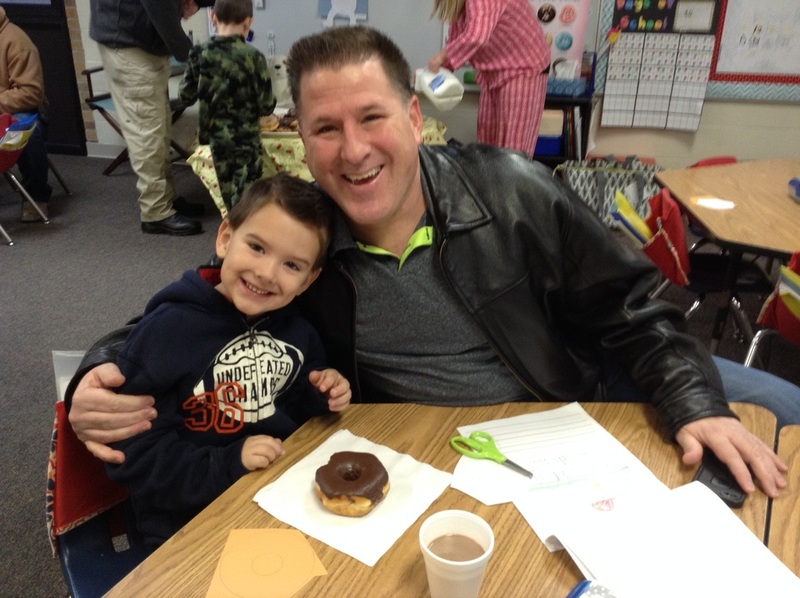 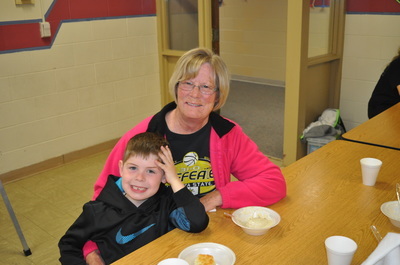 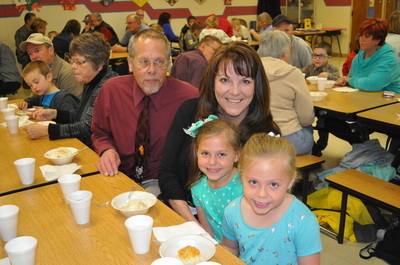 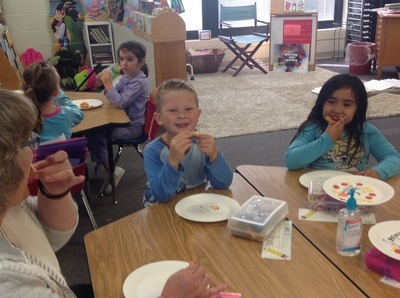 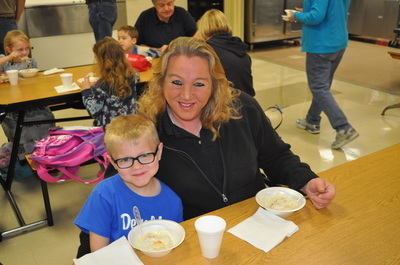 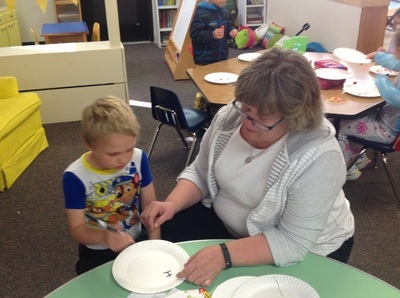 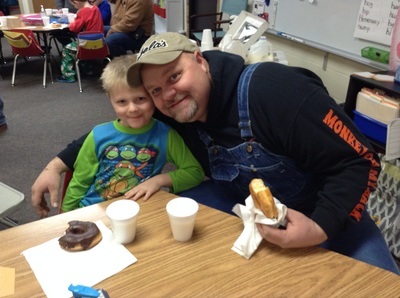 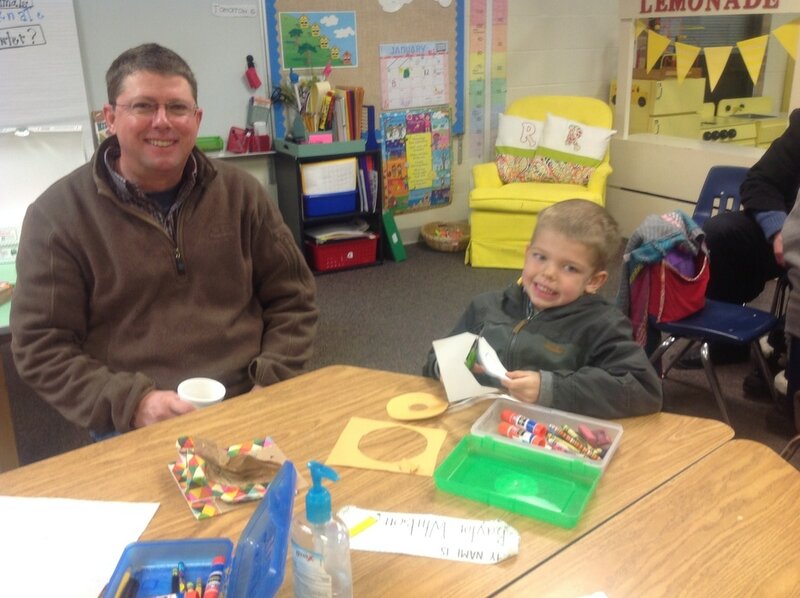 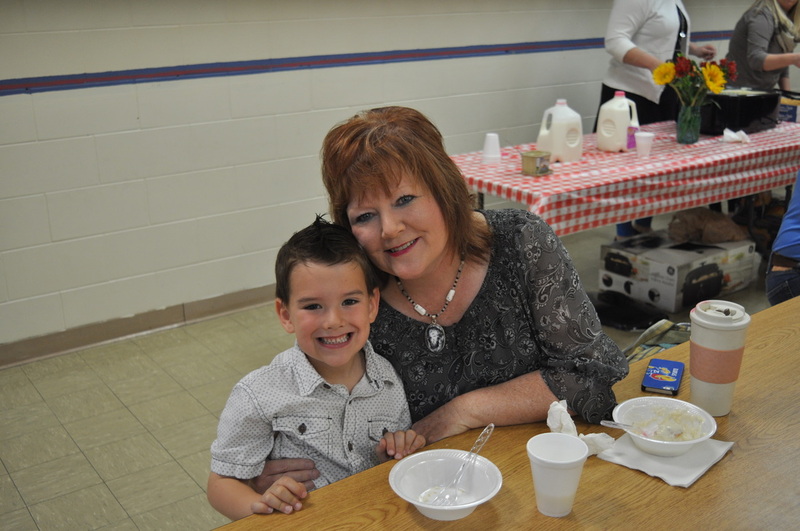 it was a great way to get to know the wonderful mothers and grandmothers that mean so much to these sweet kinders! 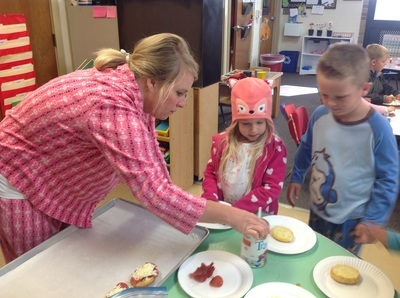 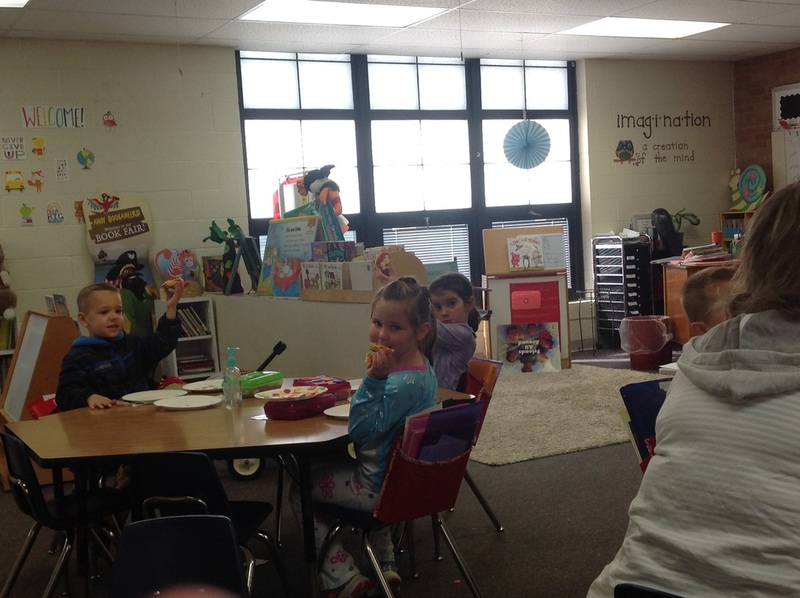 We also wrapped up the day Reading If you give a moose a muffin and created a moose! 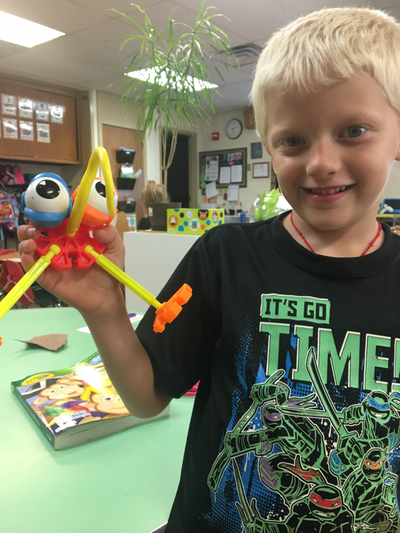 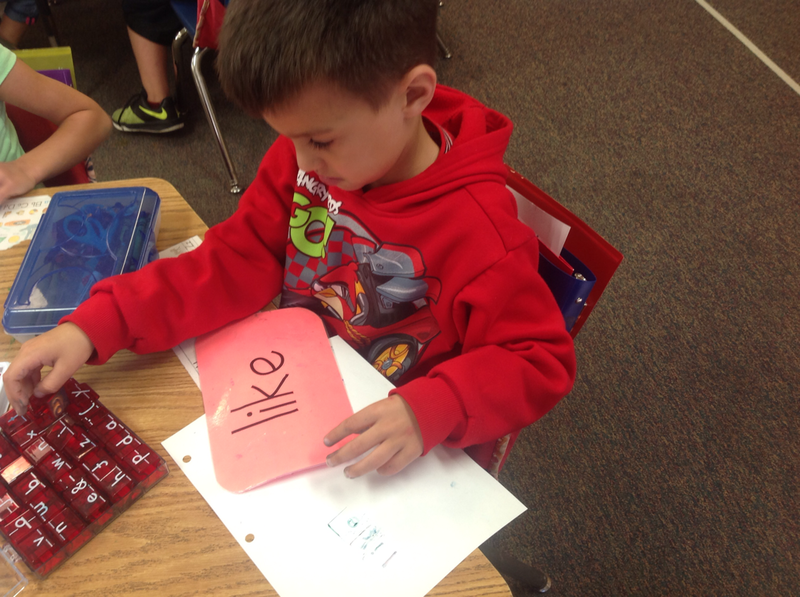 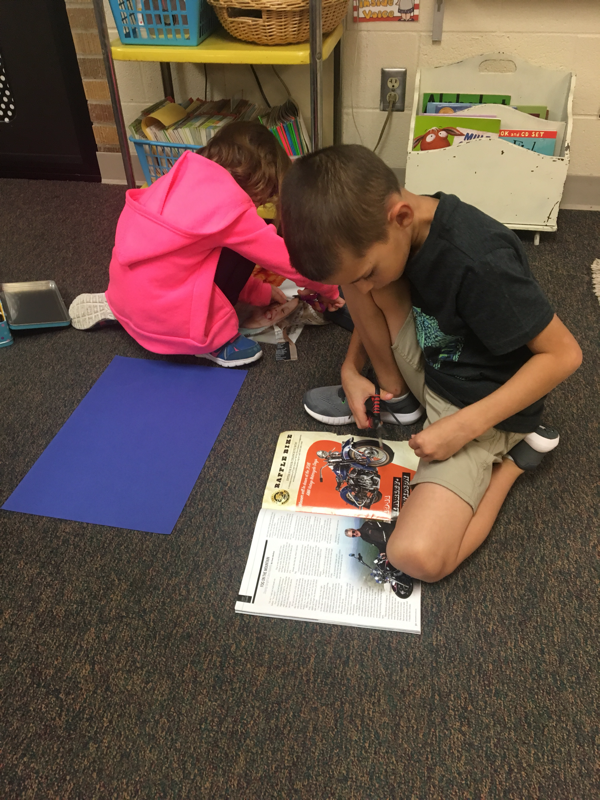 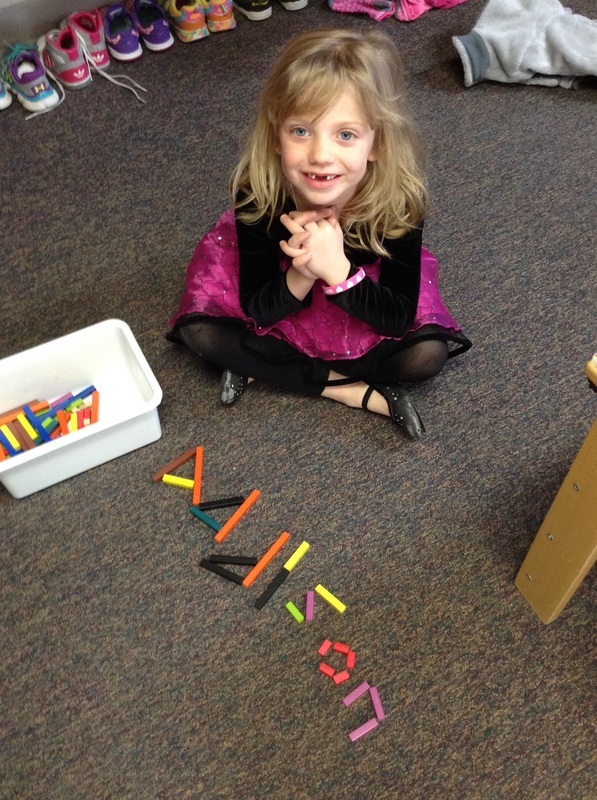 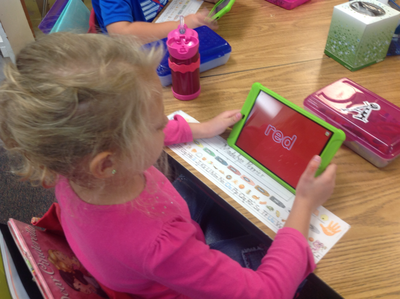 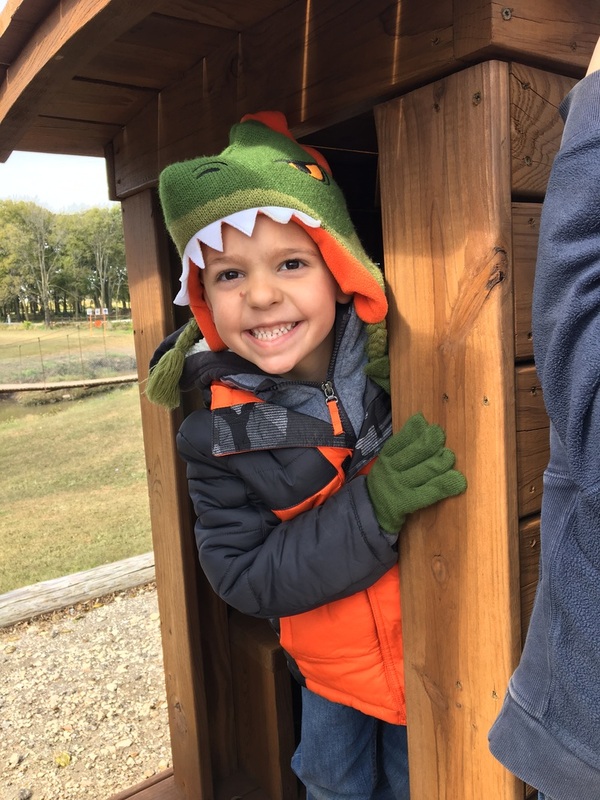 Letter M is under our belt and this was a fun way to review! 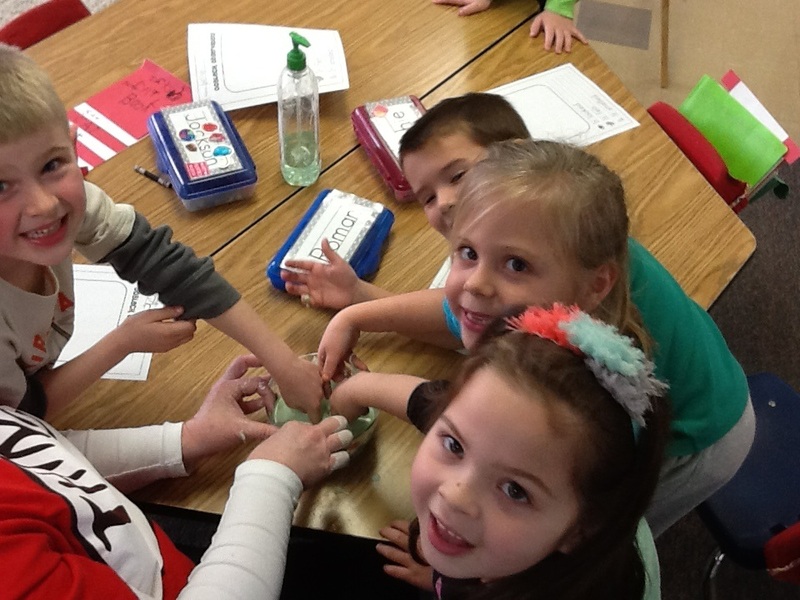 Our Hands Can mold Clay! 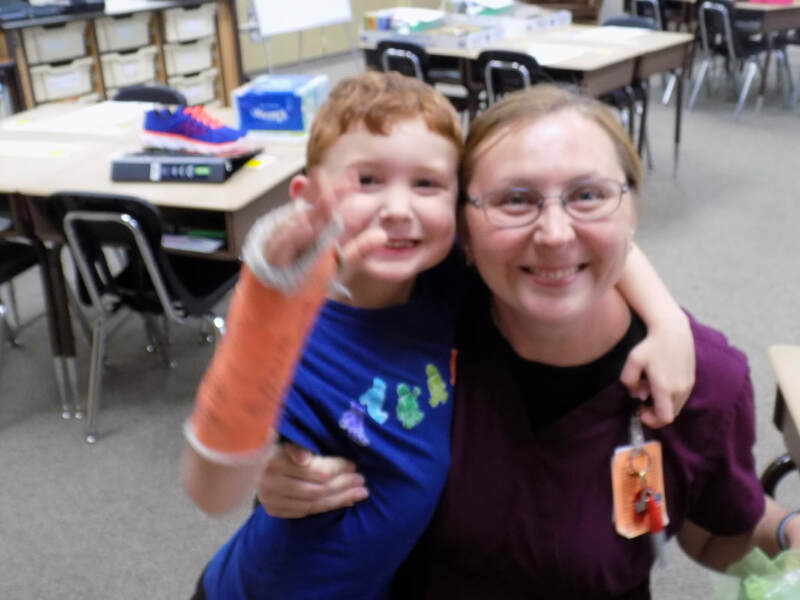 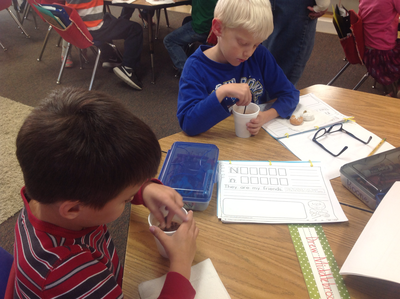 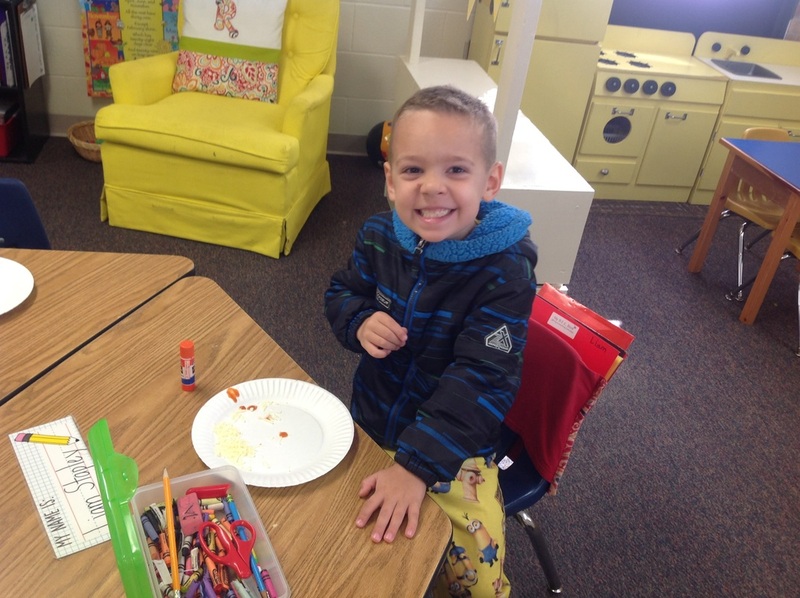 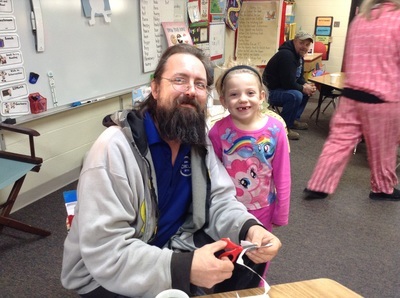 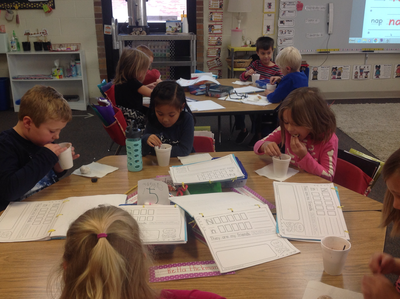 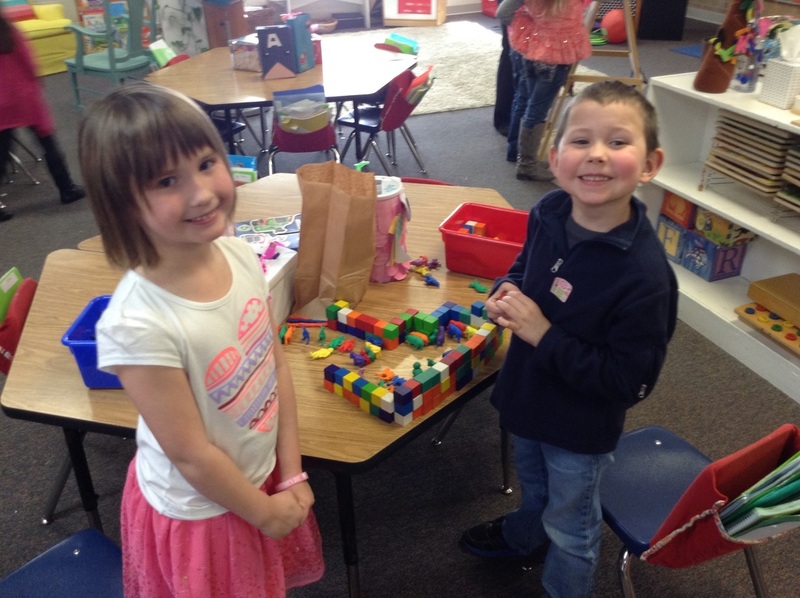 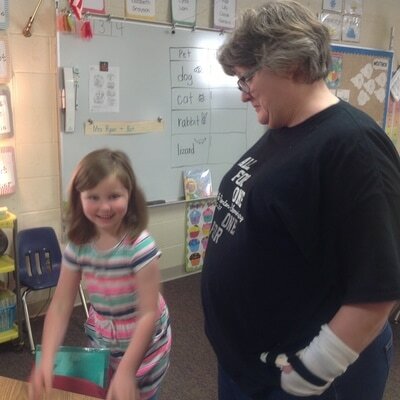 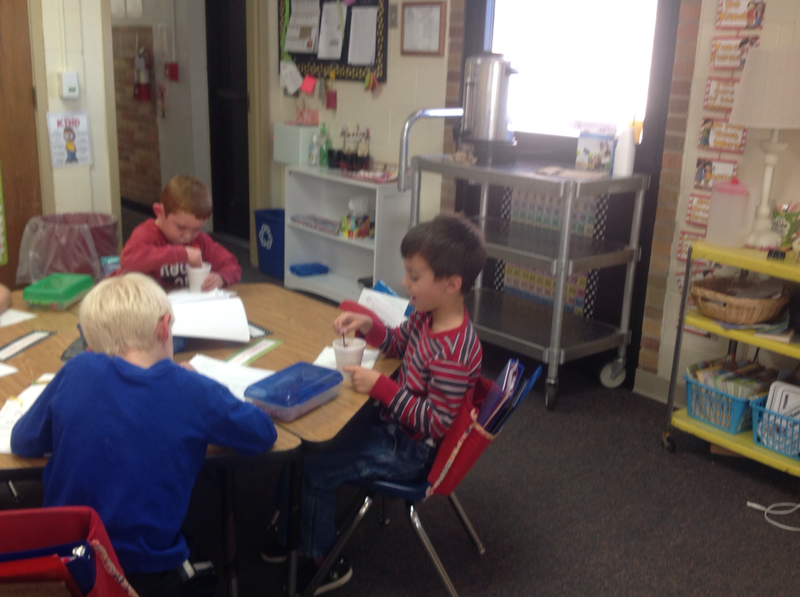 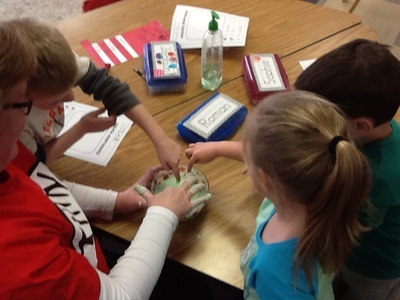 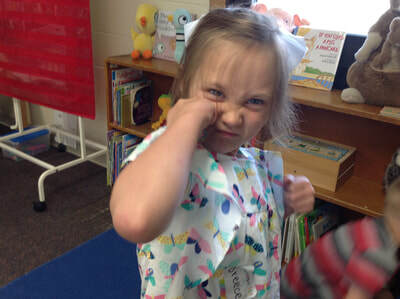 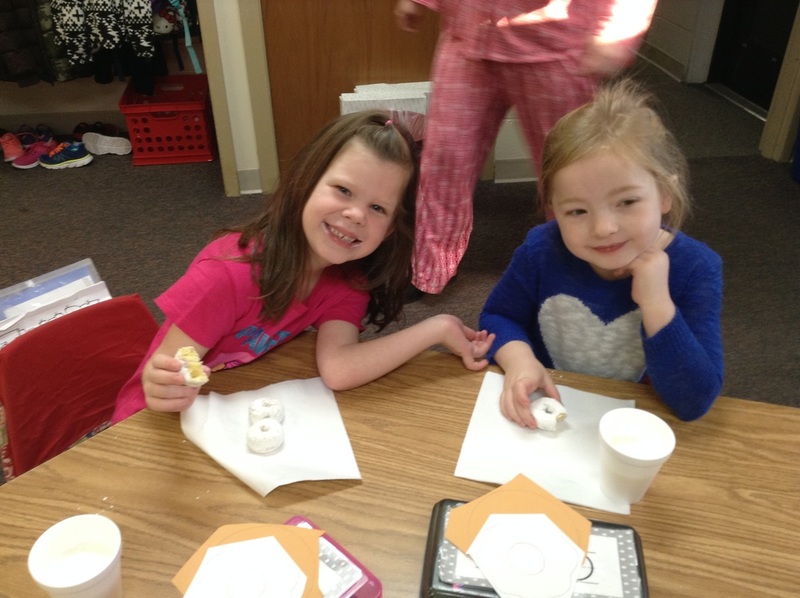 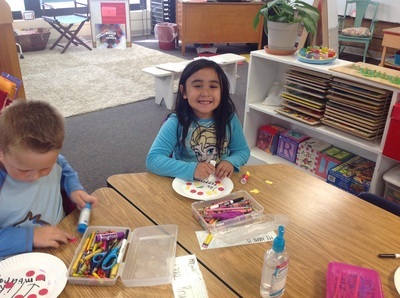 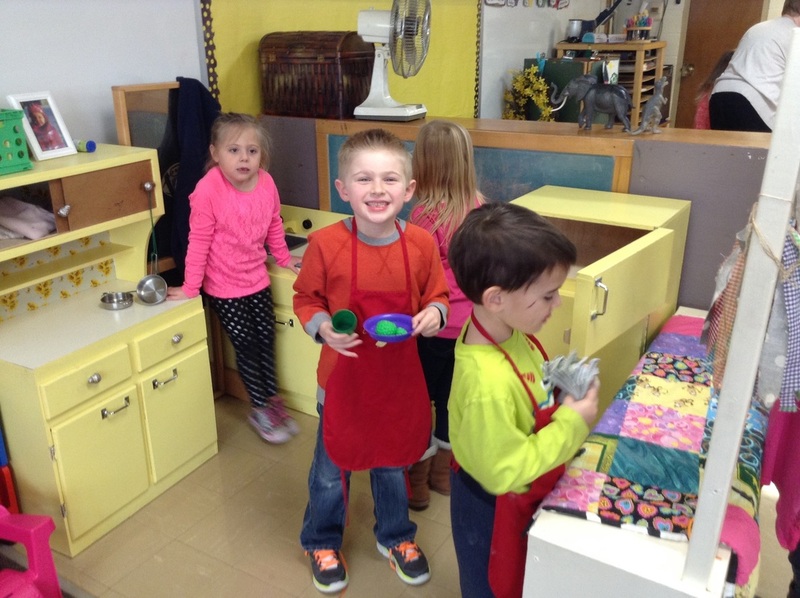 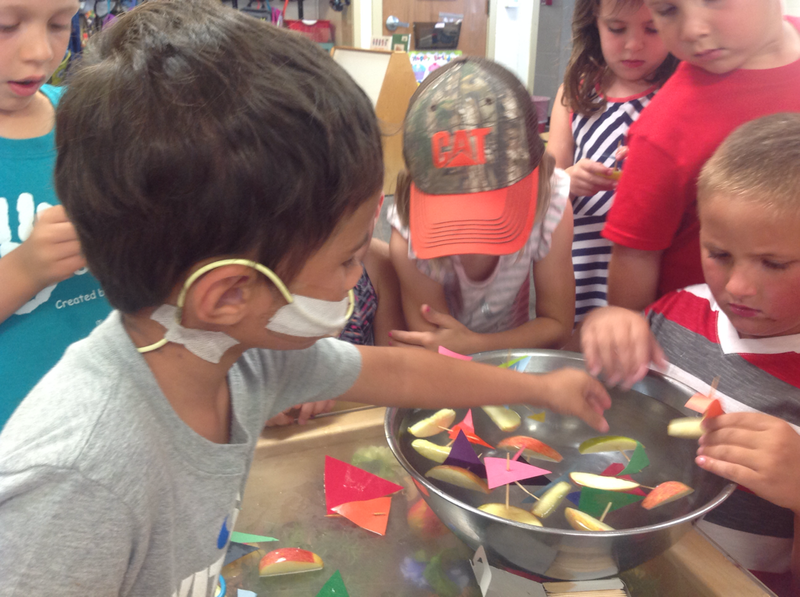 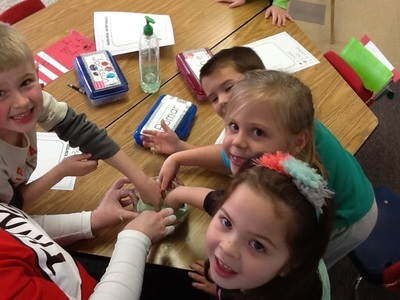 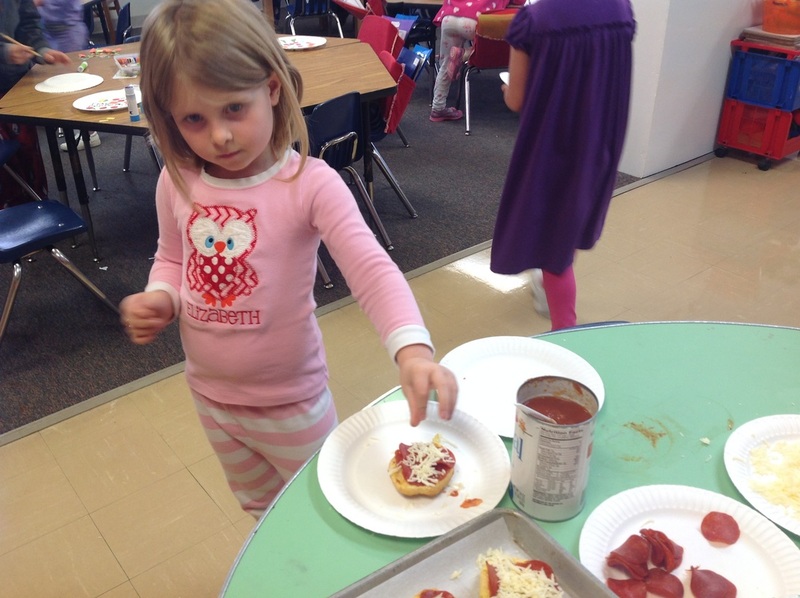 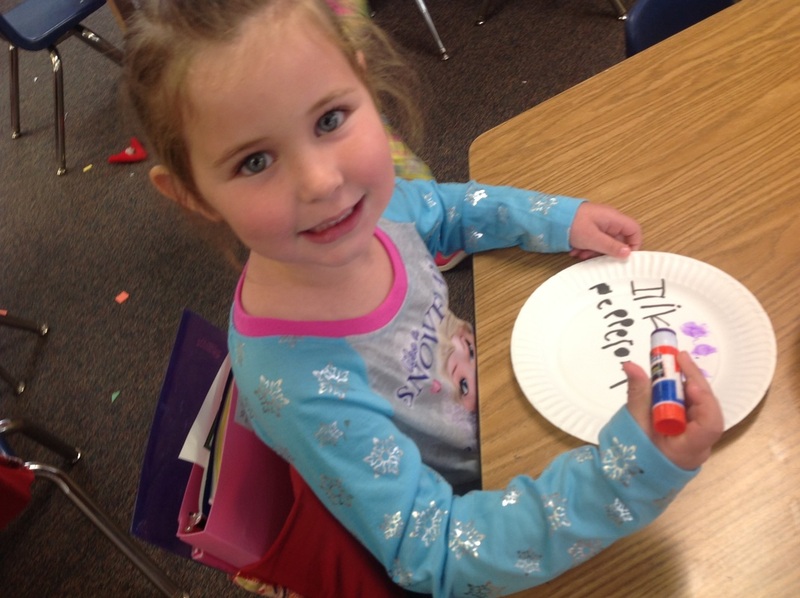 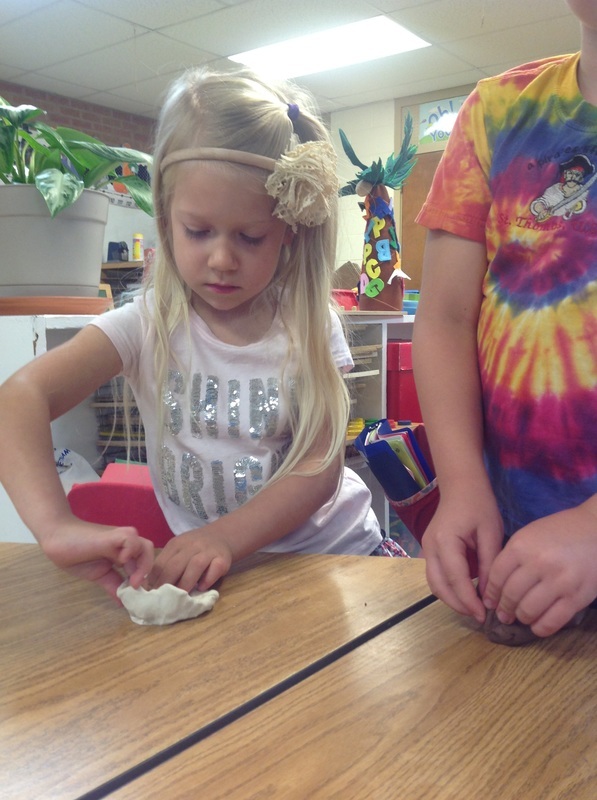 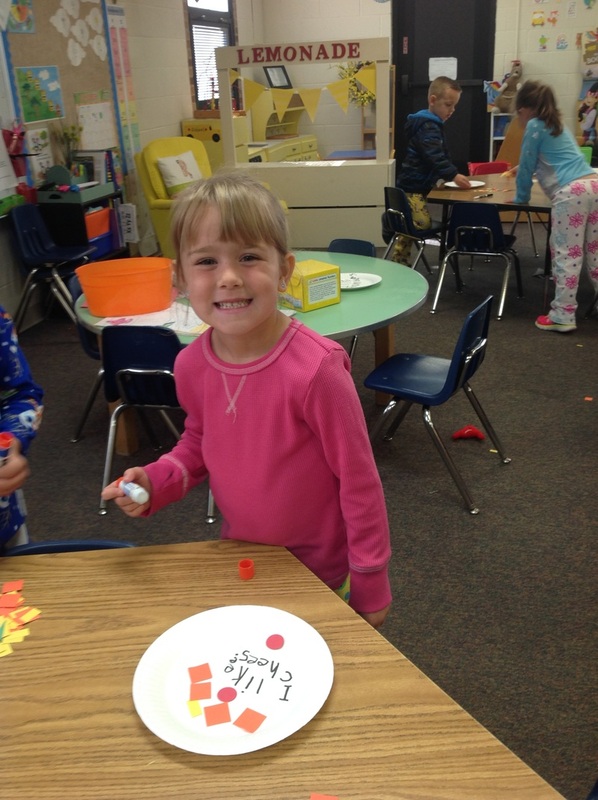 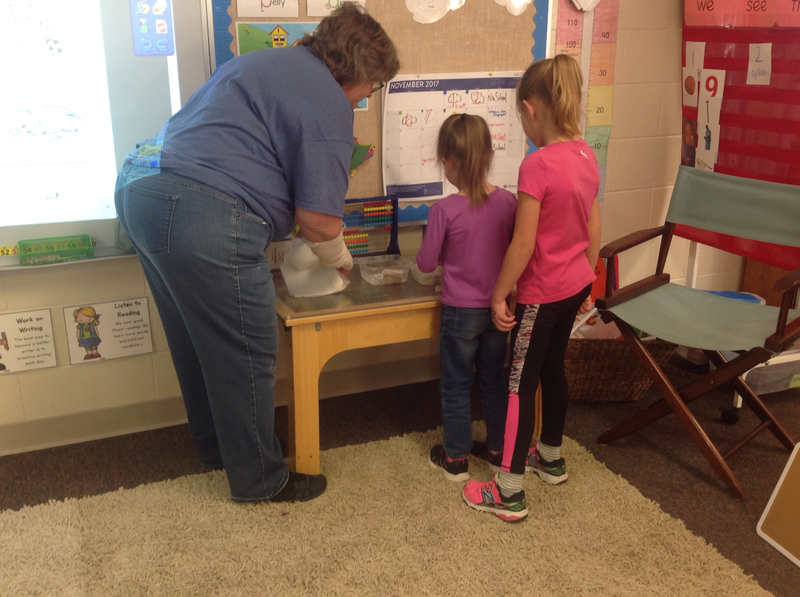 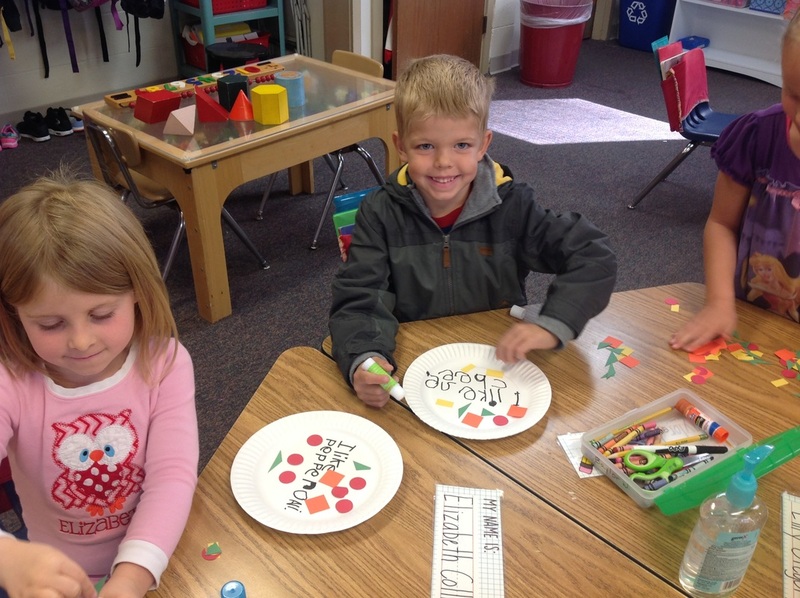 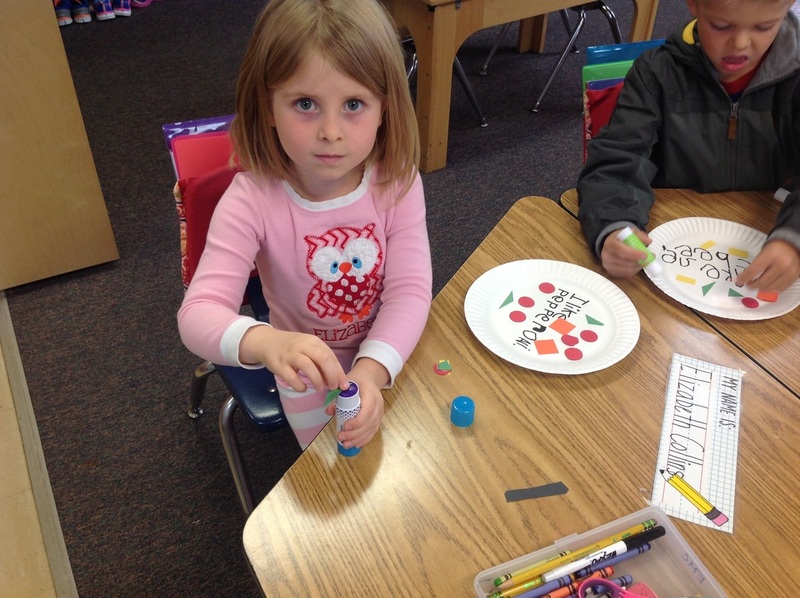 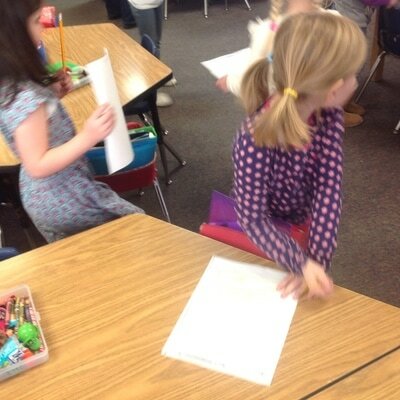 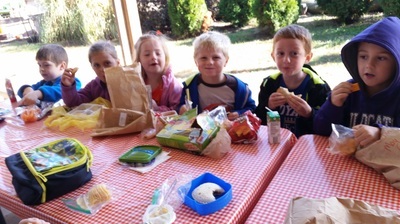 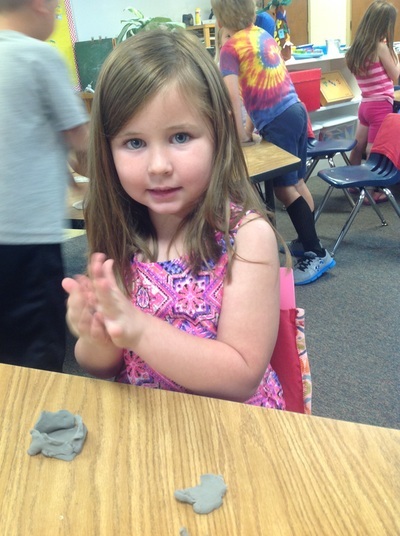 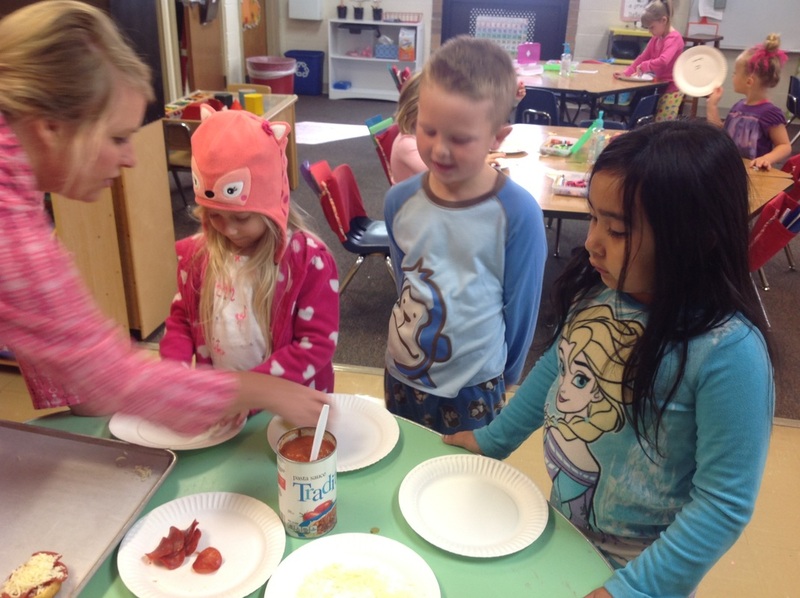 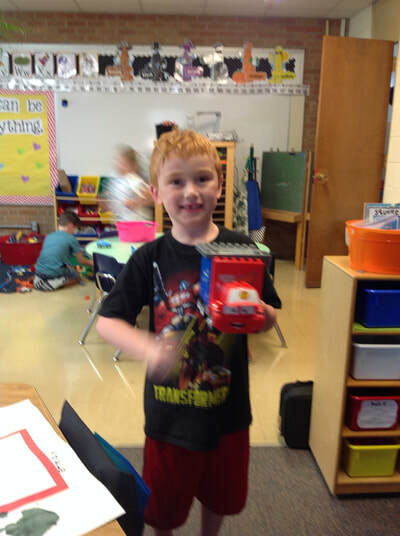 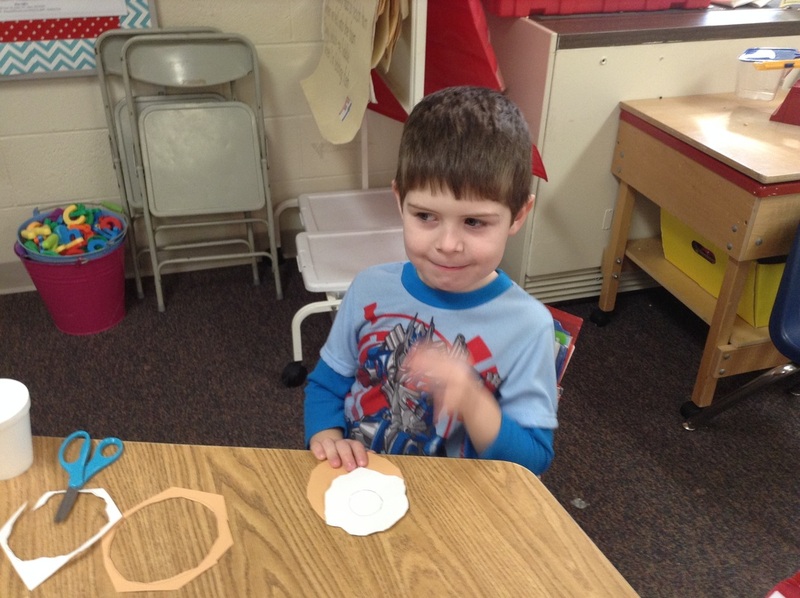 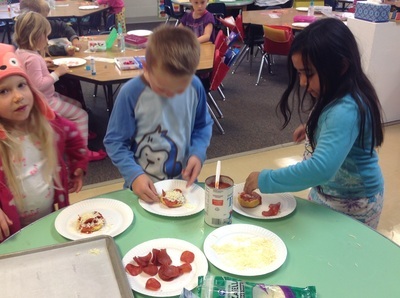 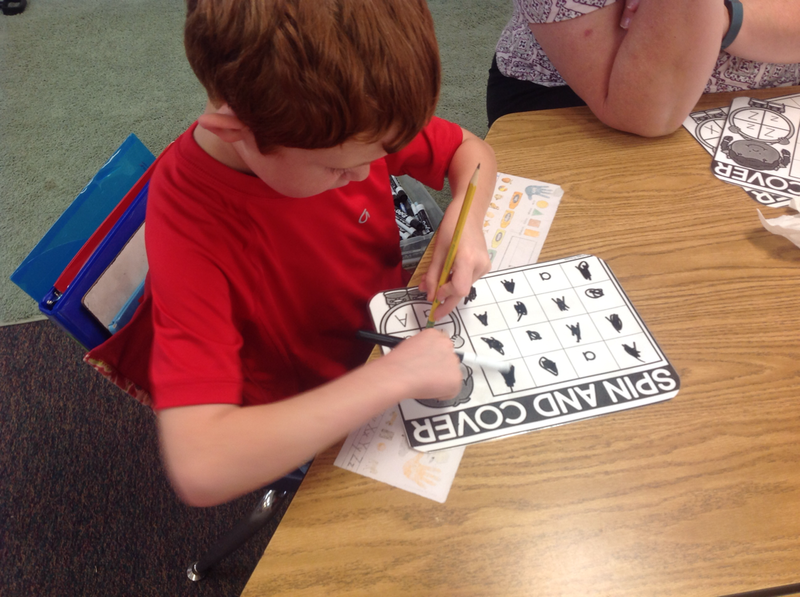 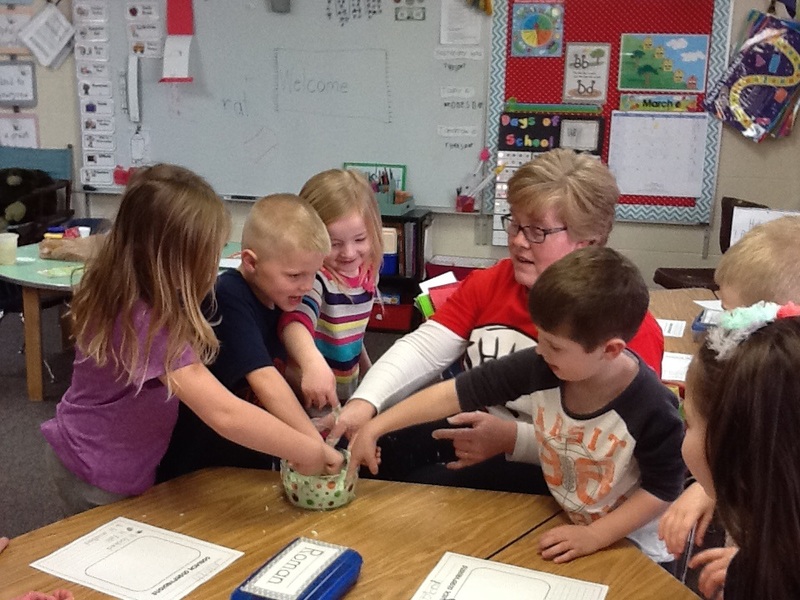 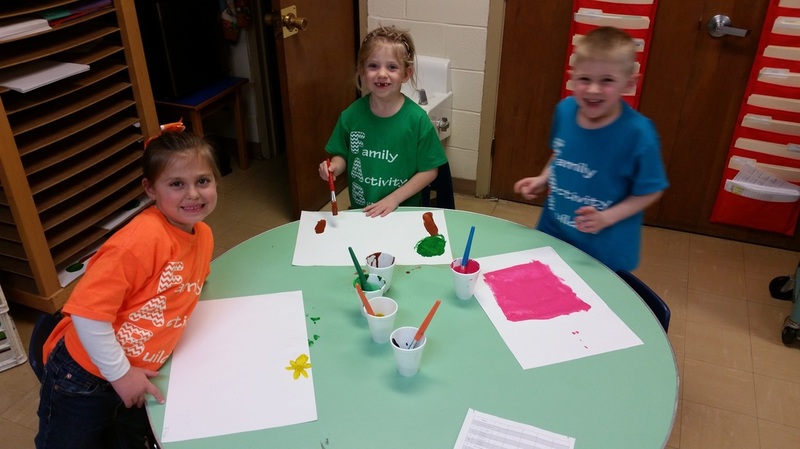 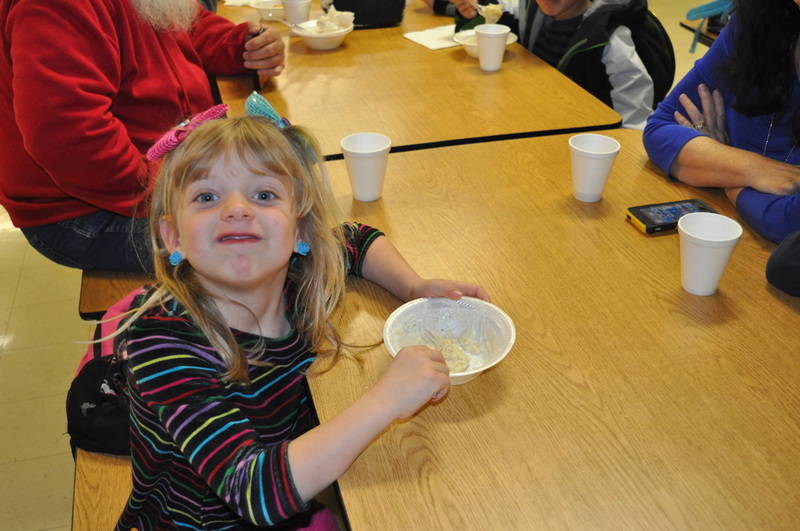 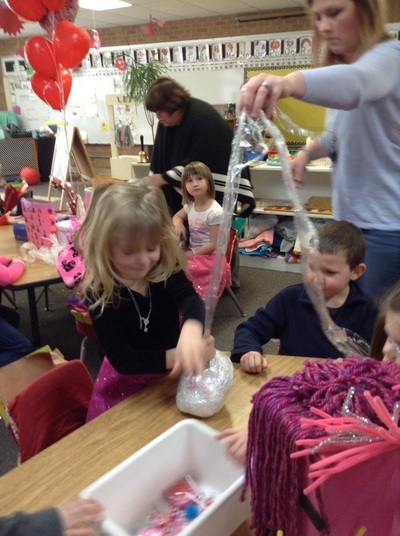 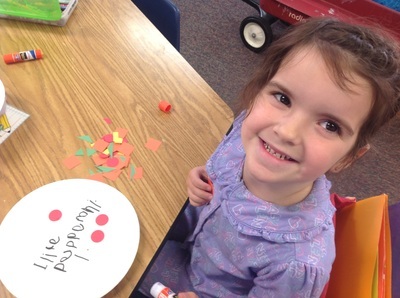 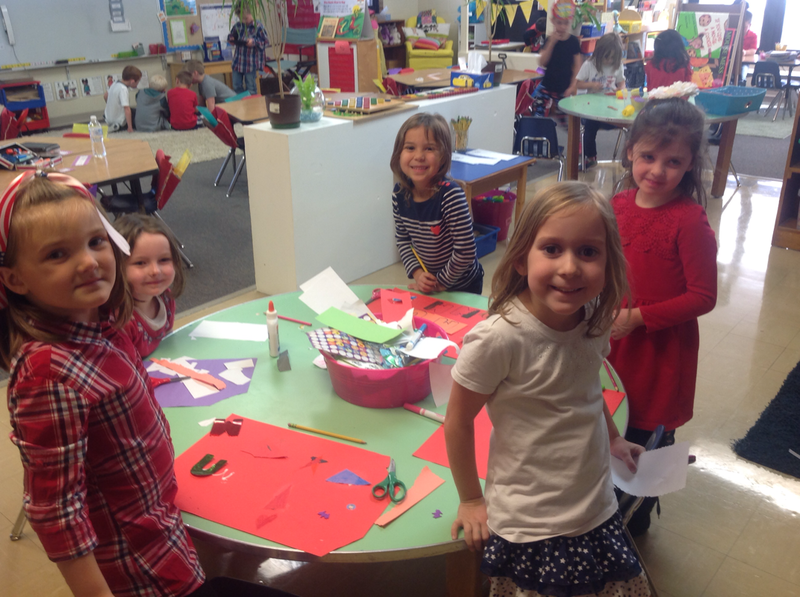 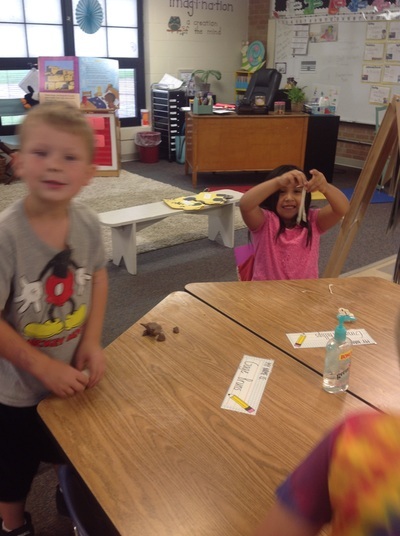 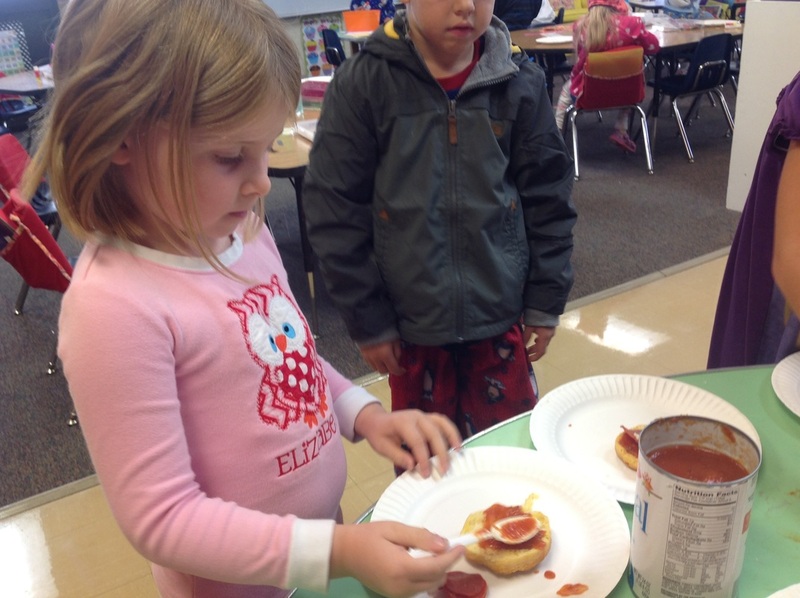 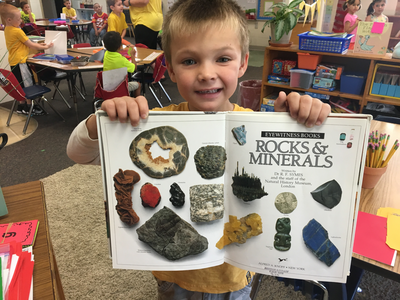 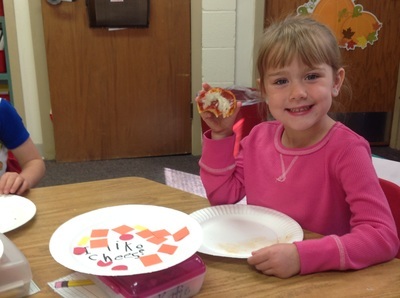 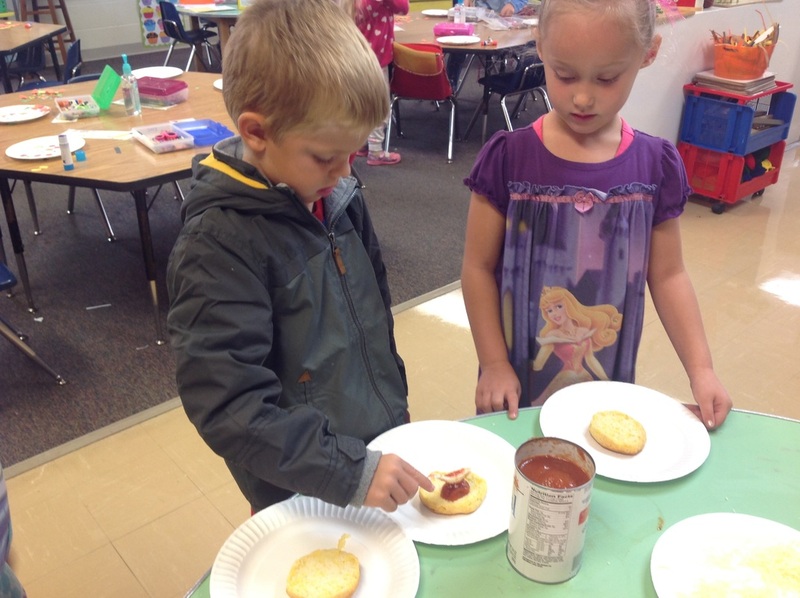 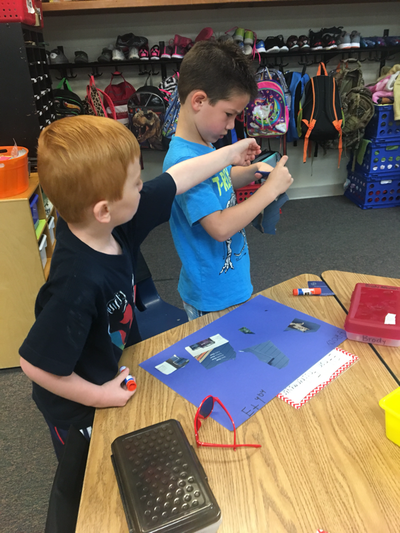 The KINDERGARTNERS had fun after we learned and discussed the many things our hands can do! 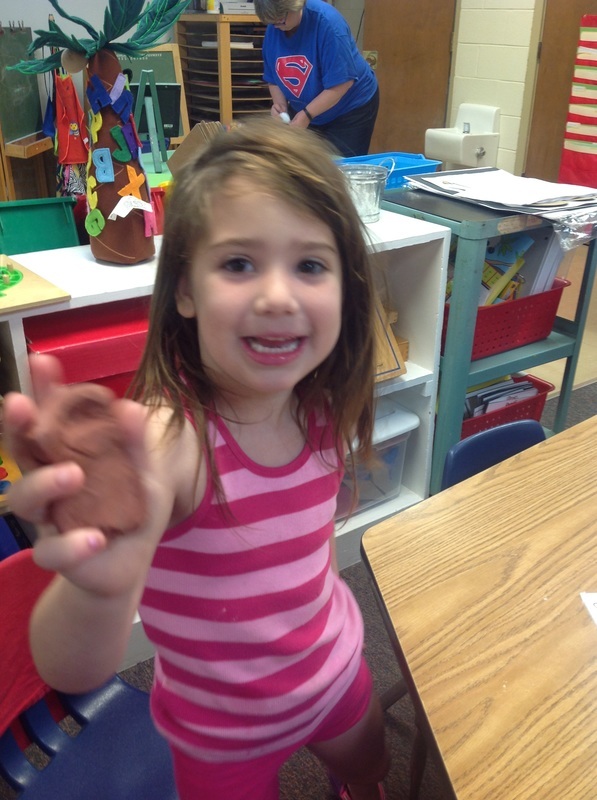 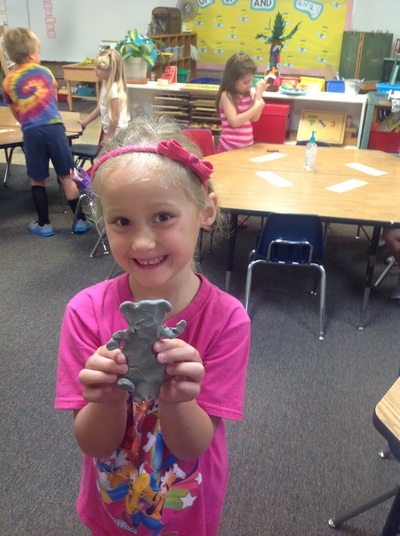 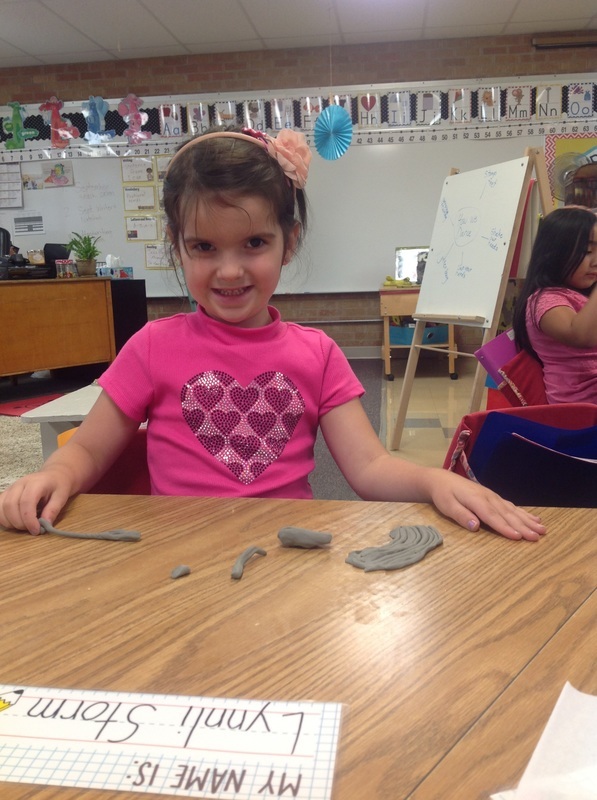 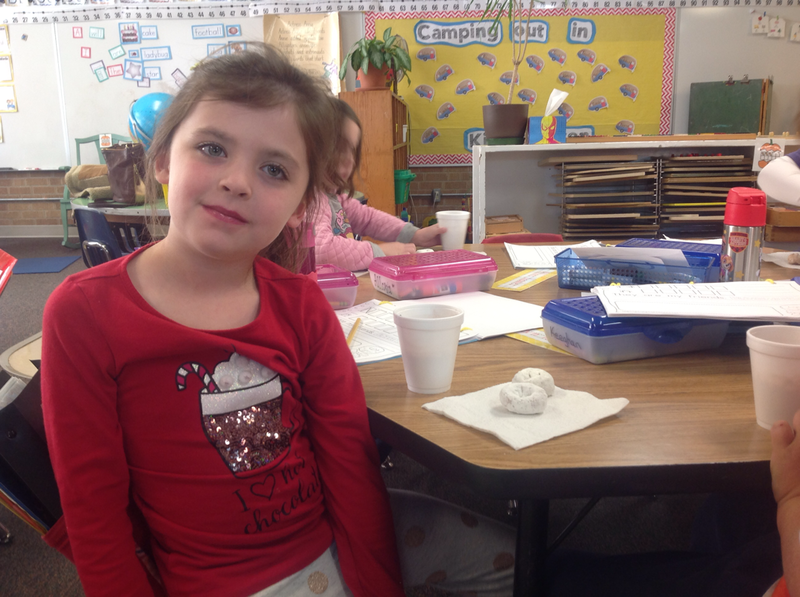 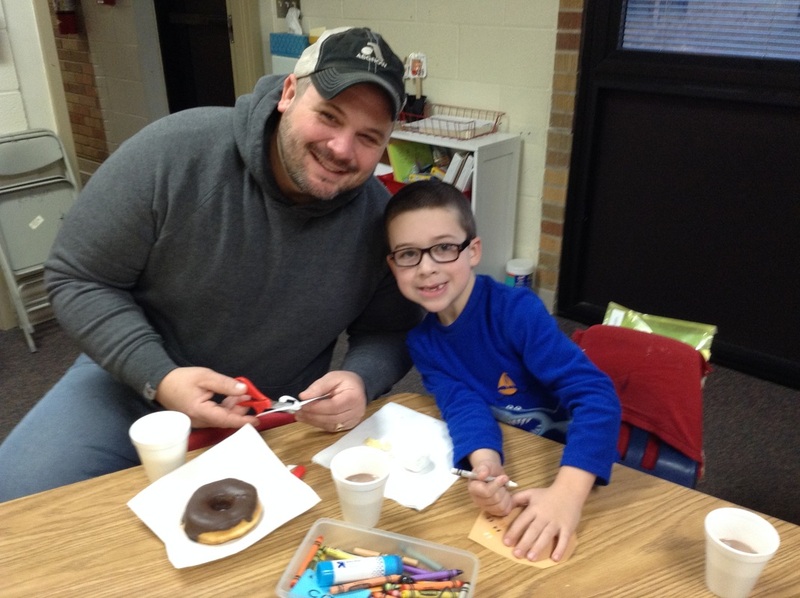 Each kiddo had the chance to mold their own clay into some pretty amazing things from bears to pottery! 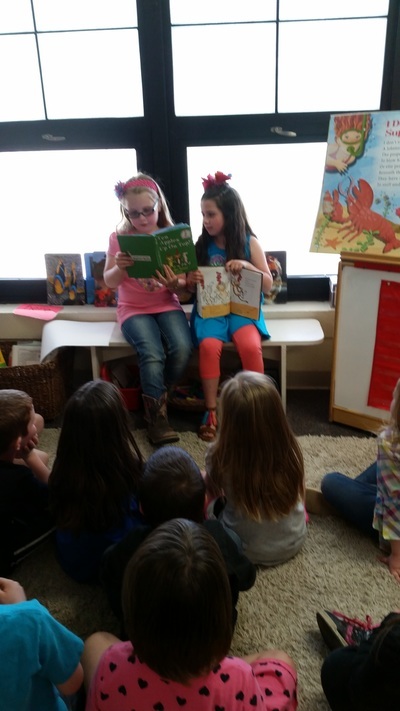 Two of my former Kindergarteners came back to visit and read to us! 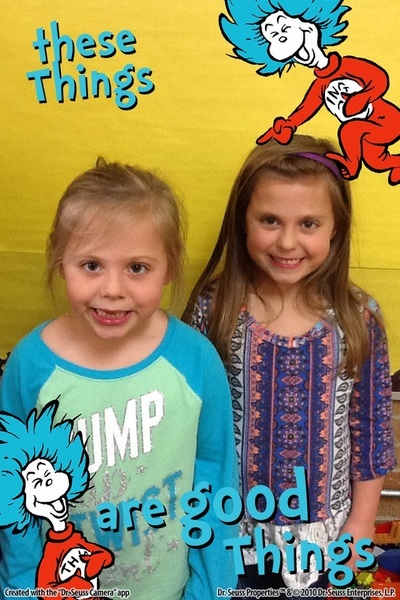 I'm so proud of you girls and First Grade is lucky to have you! 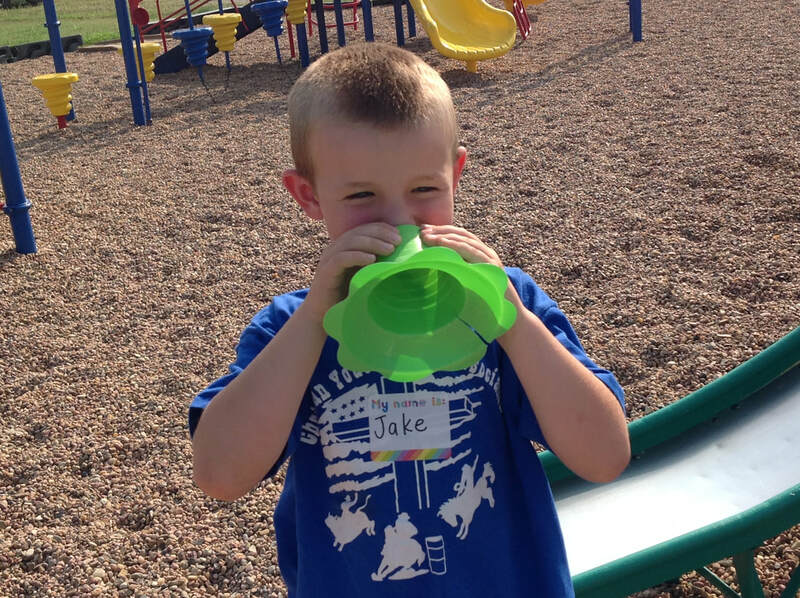 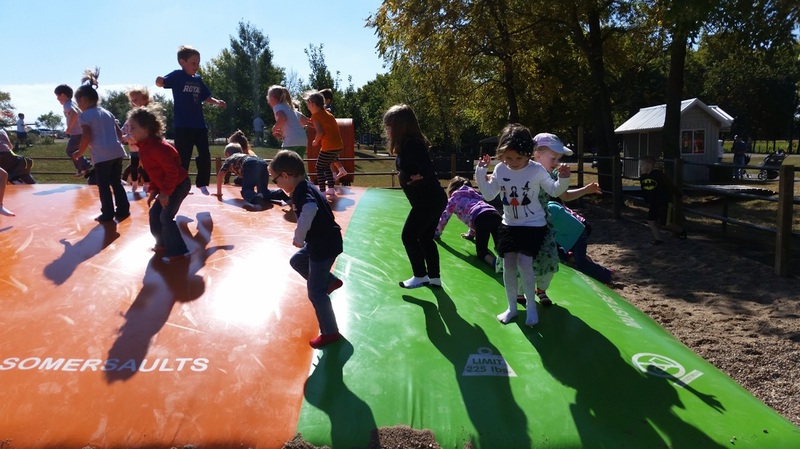 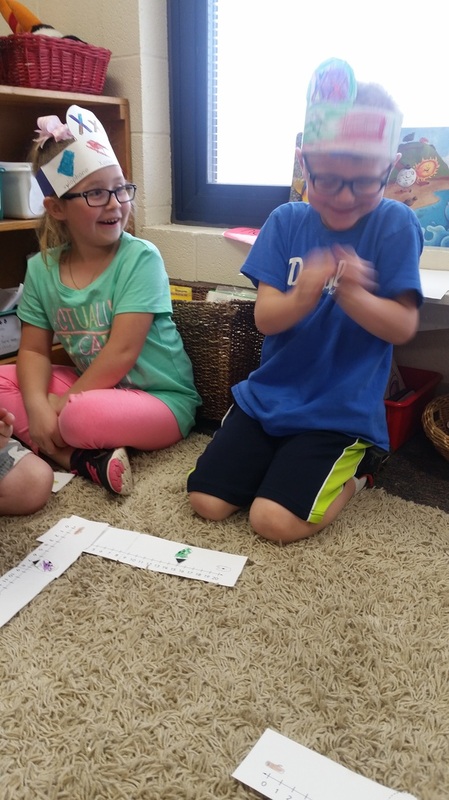 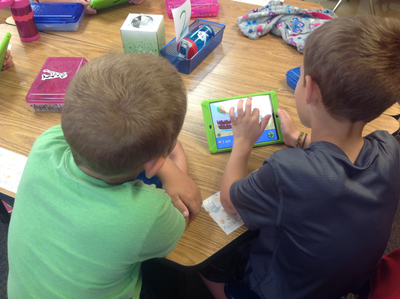 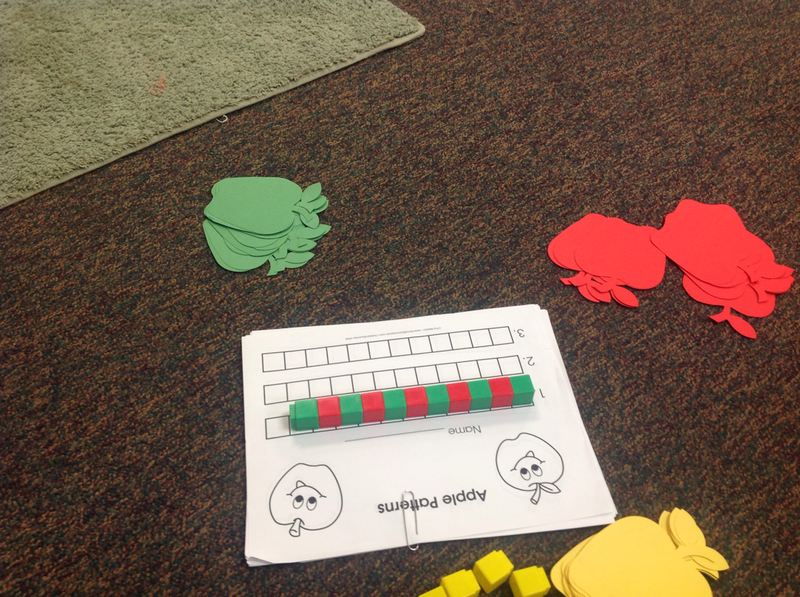 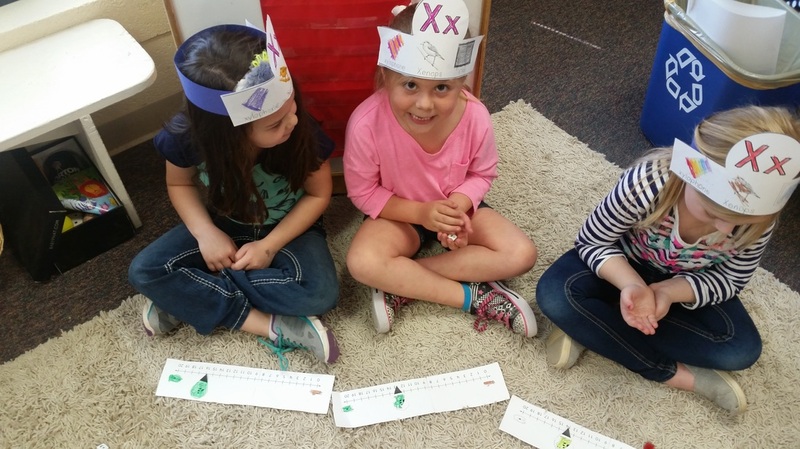 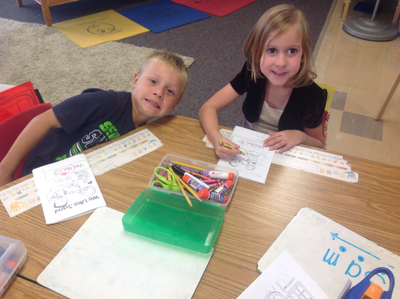 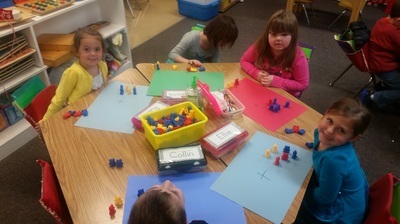 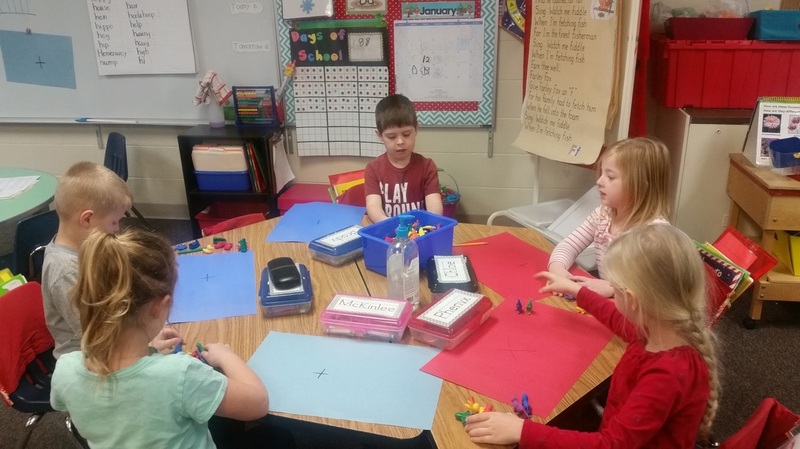 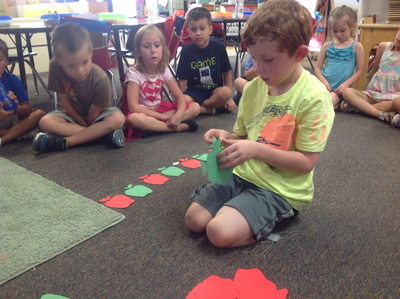 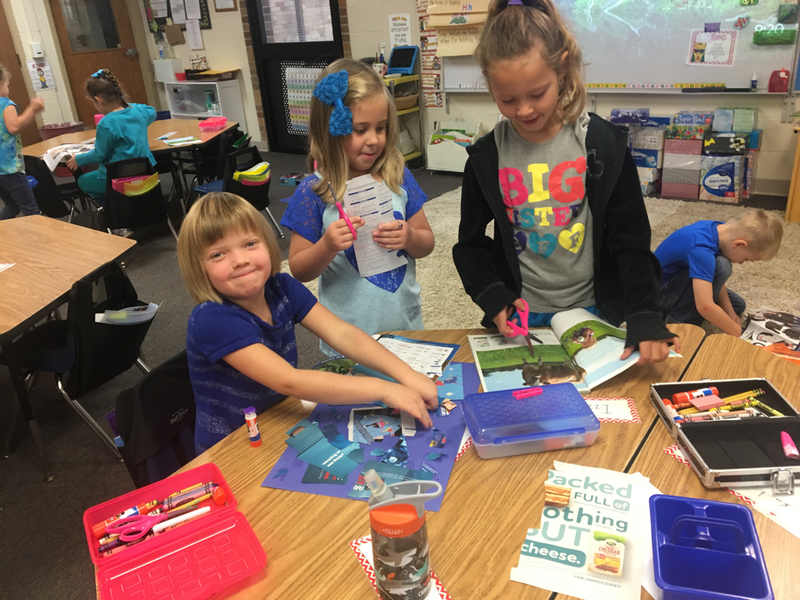 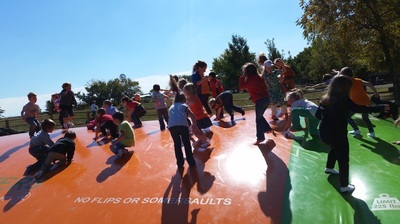 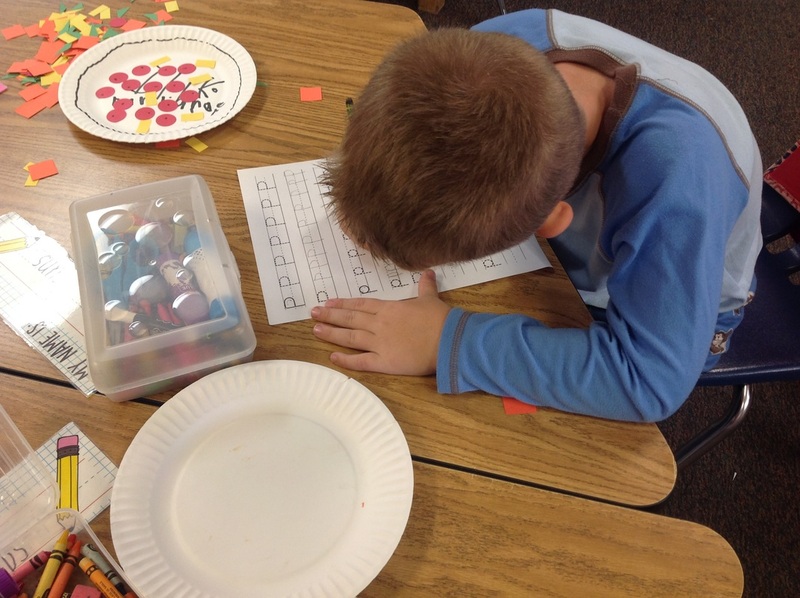 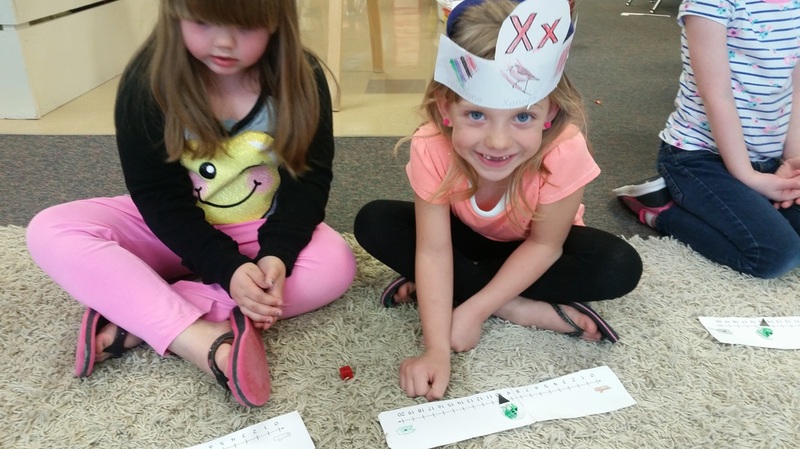 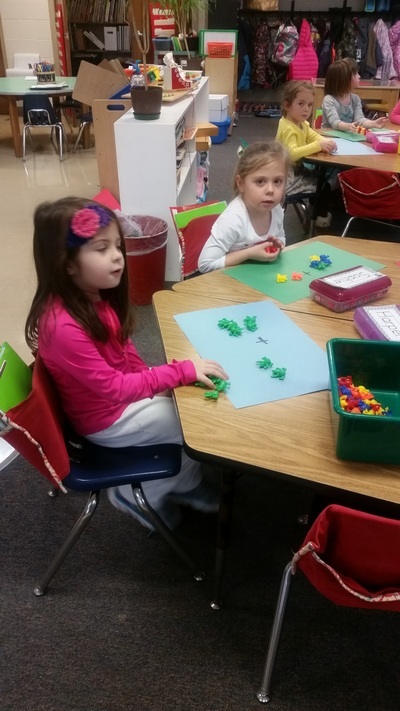 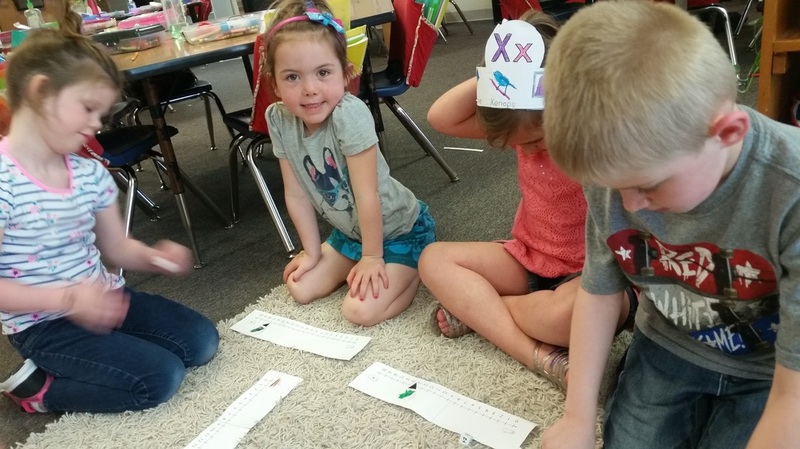 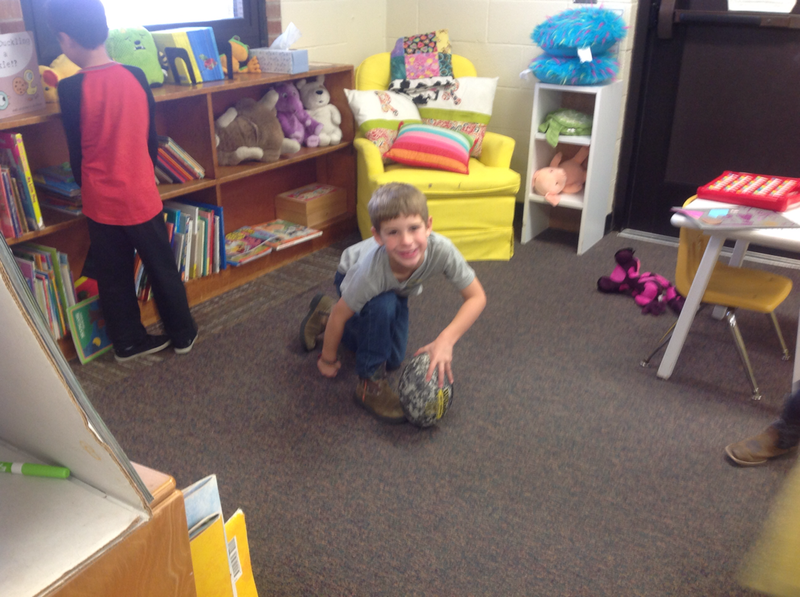 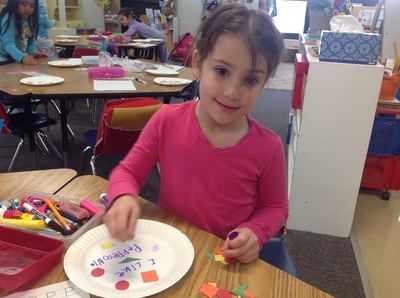 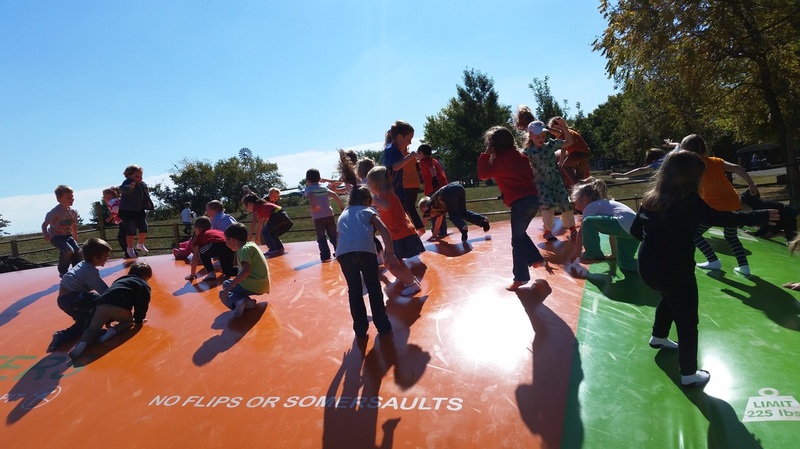 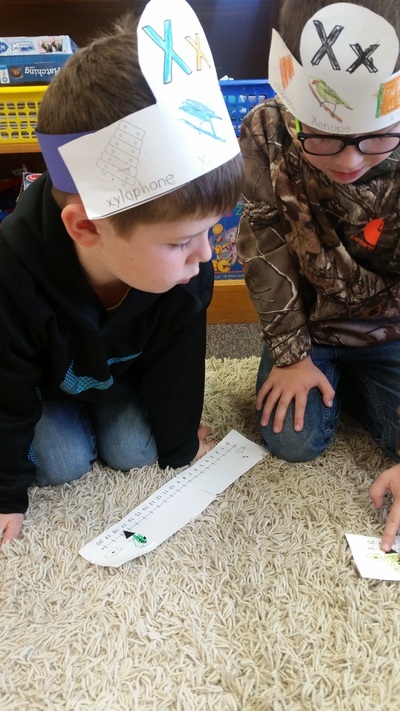 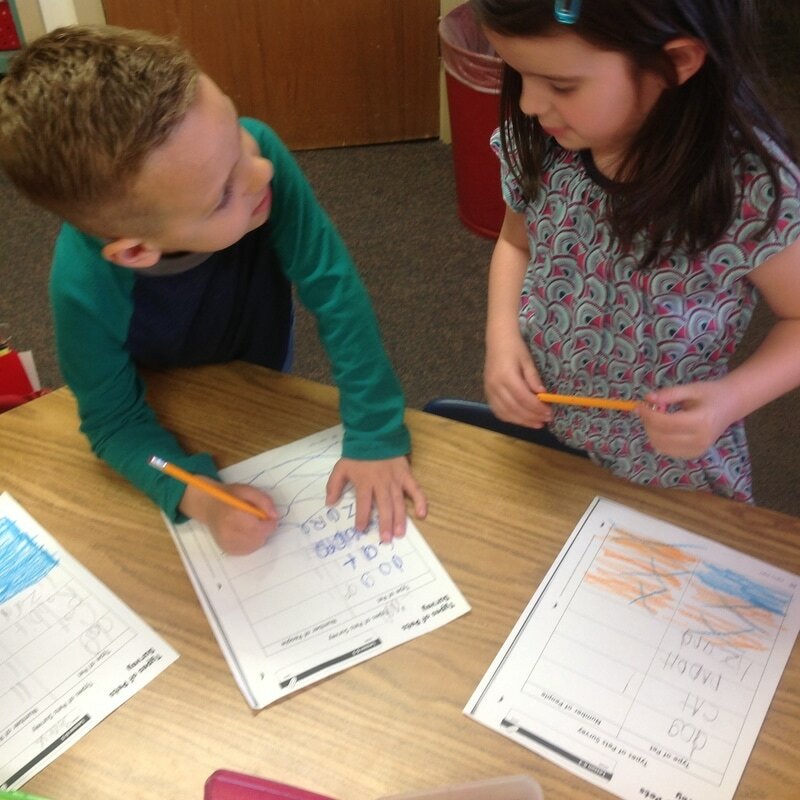 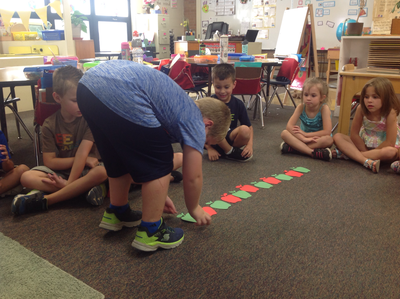 FROG HOP is a fun game to play to practice addition and subtraction! 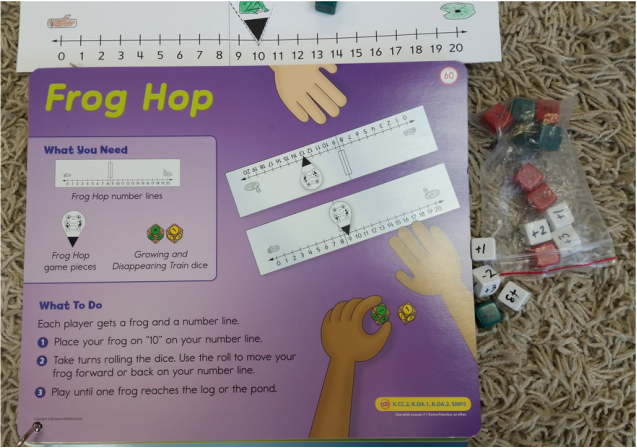 The students will bring home their number lines and their frogs in hopes they will have a chance to teach you this fun game! 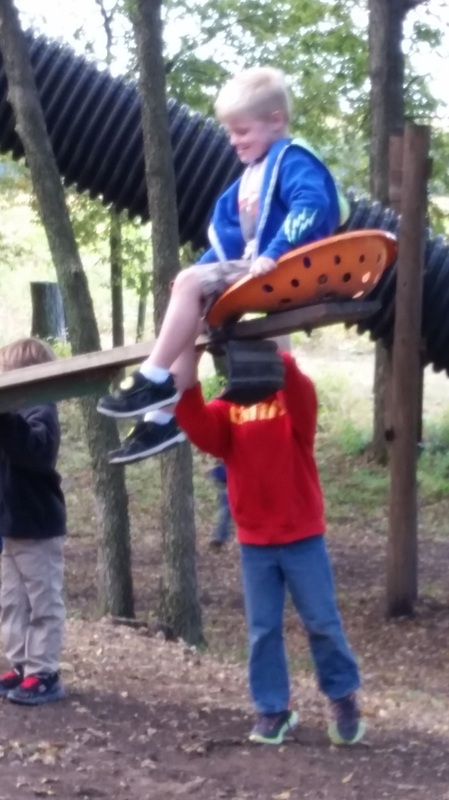 See the top picture for instructions. 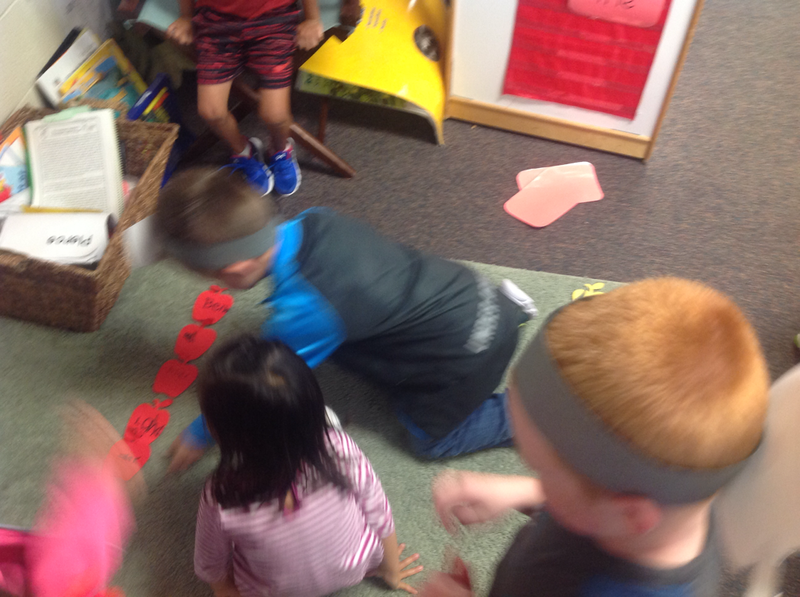 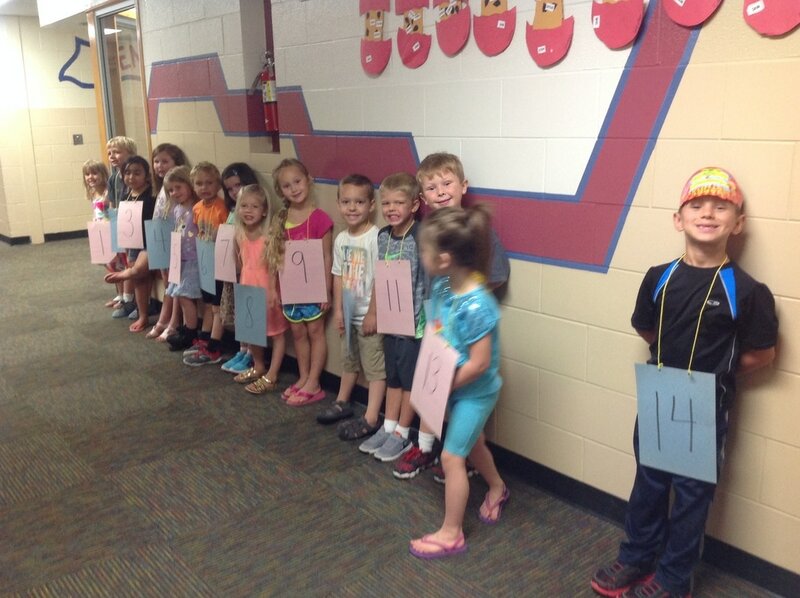 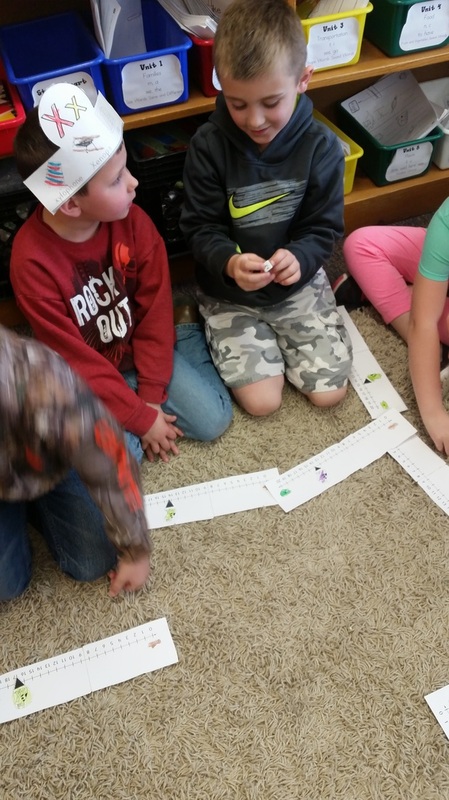 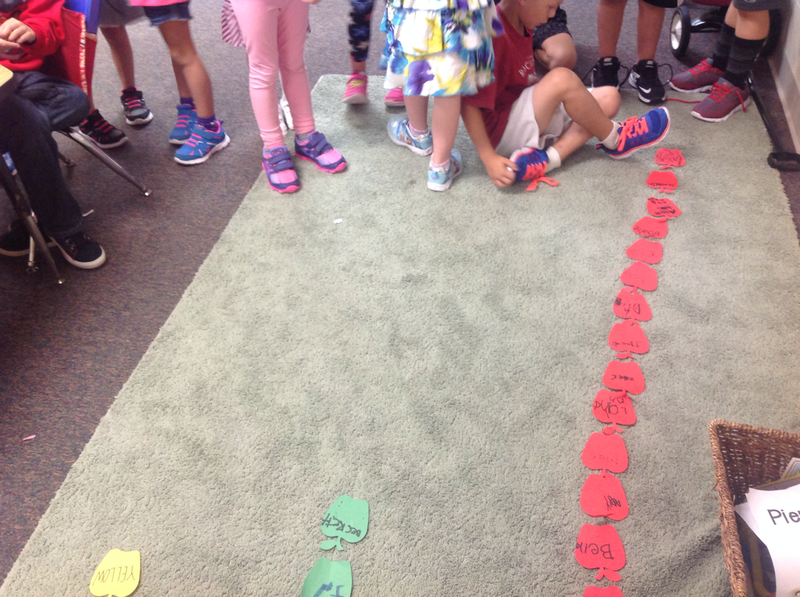 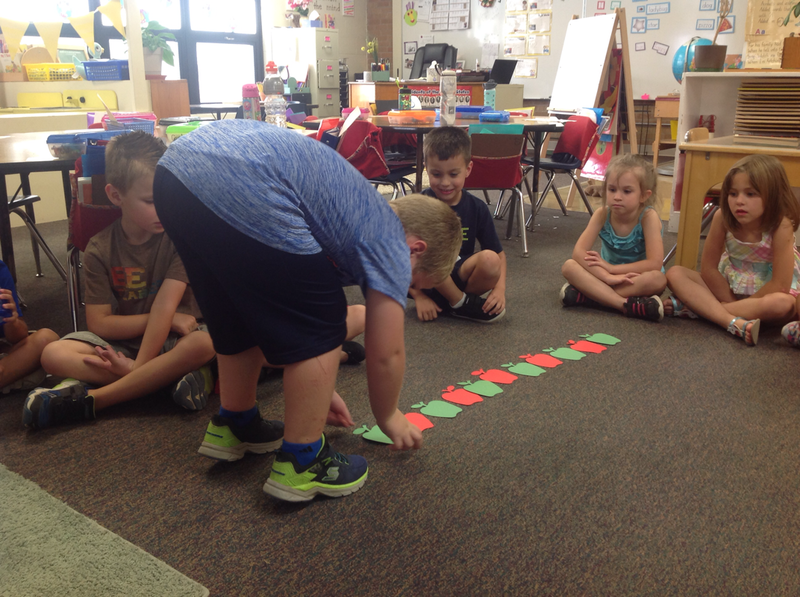 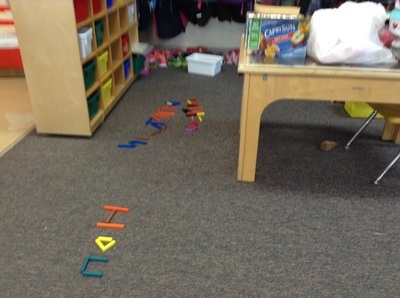 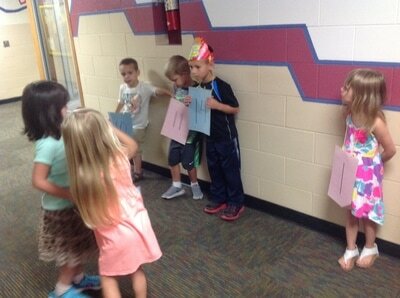 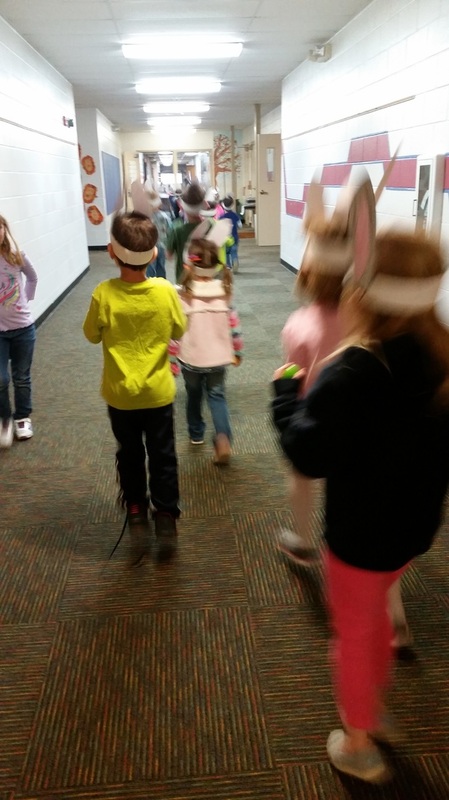 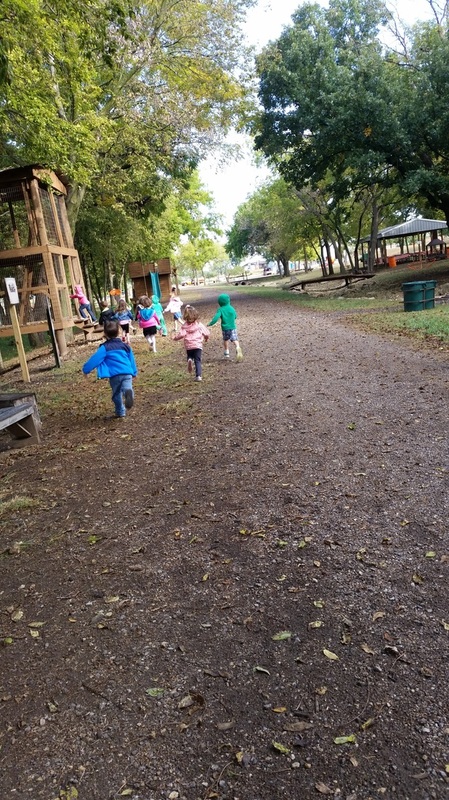 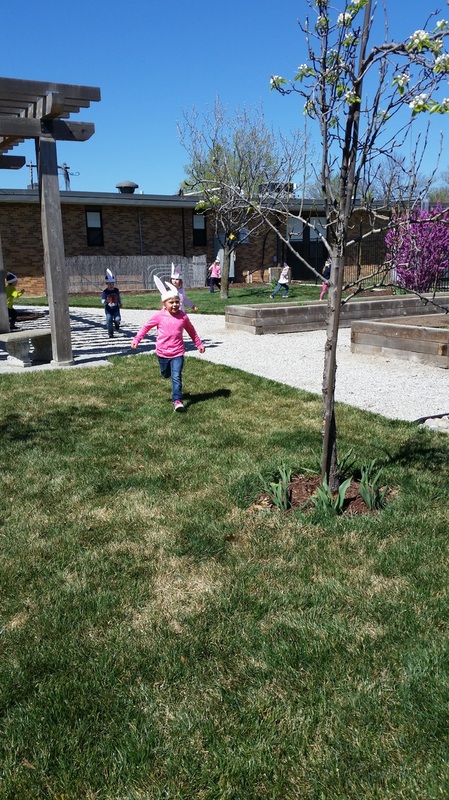 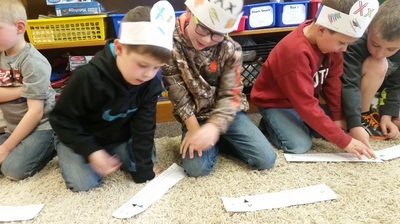 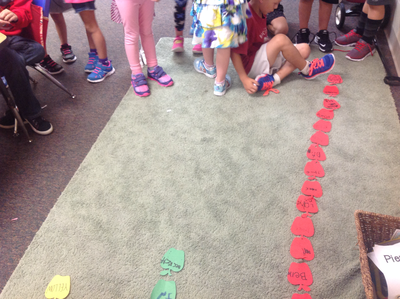 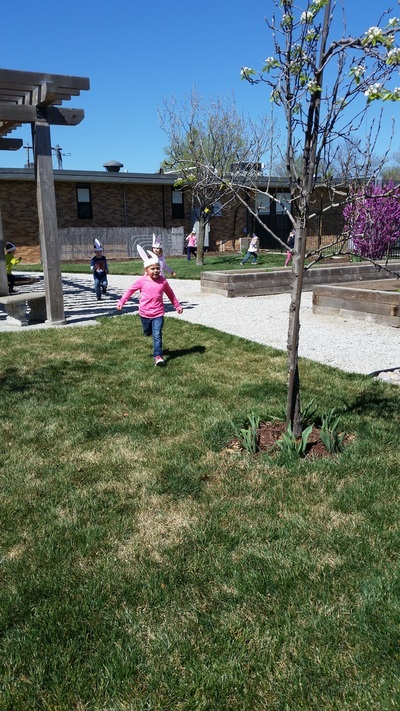 Have a "hoppy" time racing through the number line! 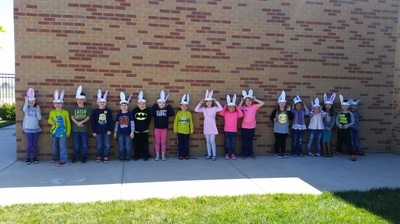 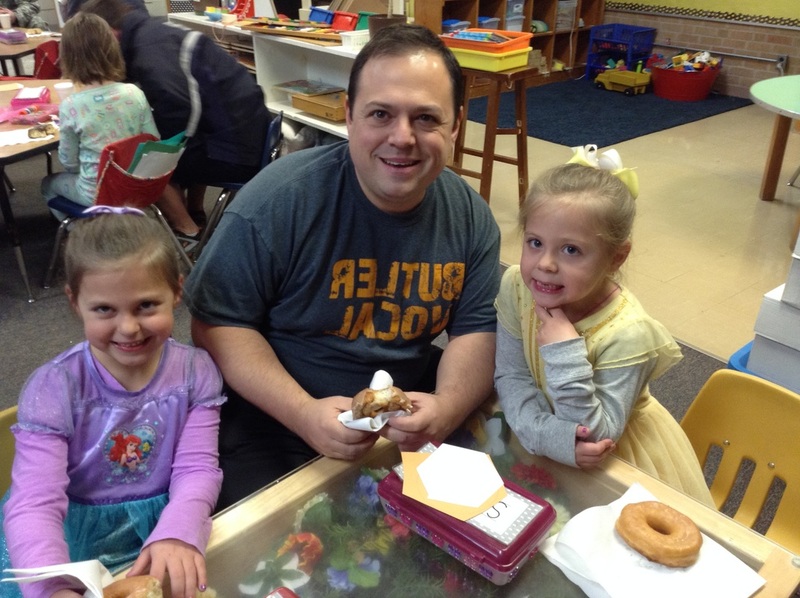 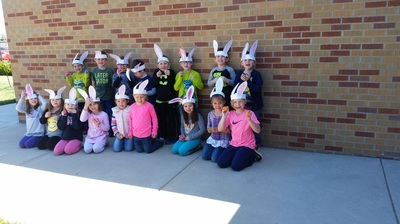 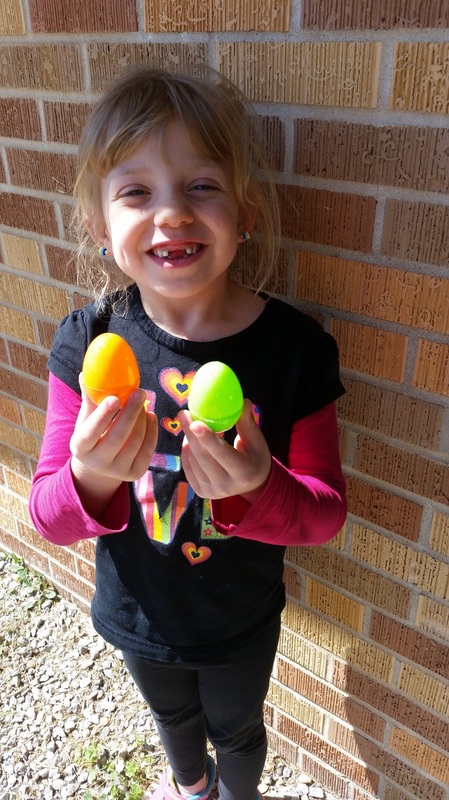 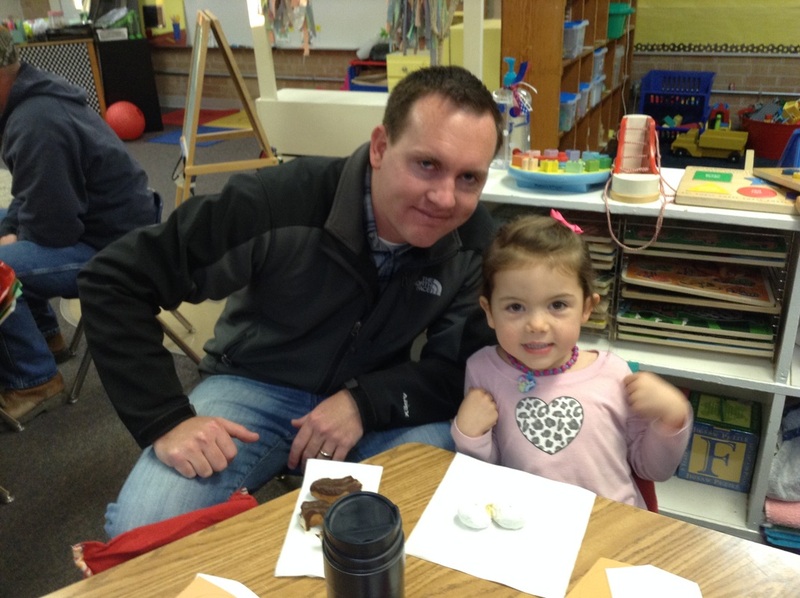 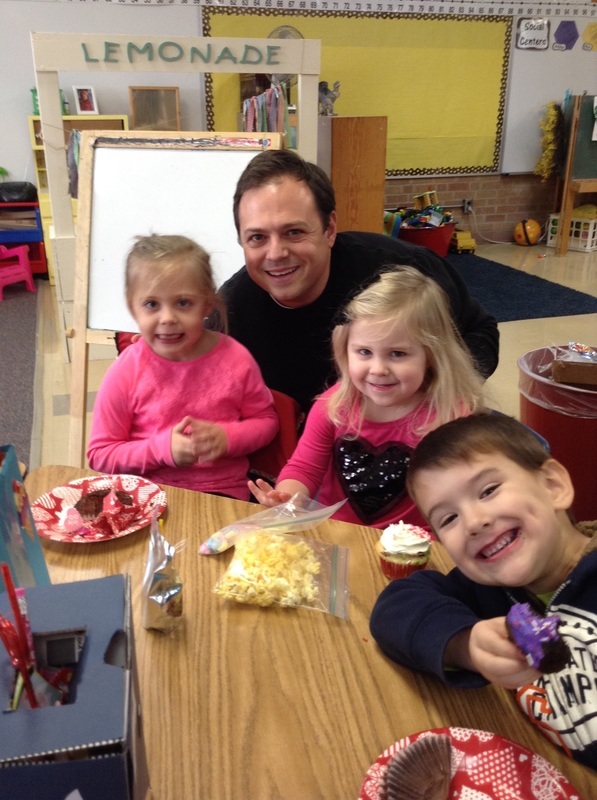 Happy Easter to my Kindergartners and their sweet families! 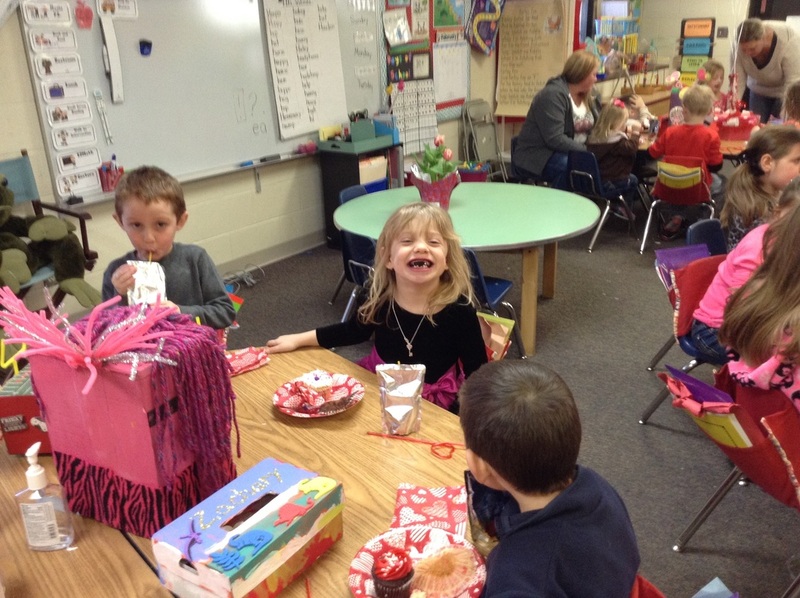 We had a fun day celebrating! 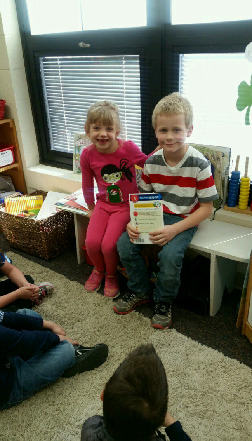 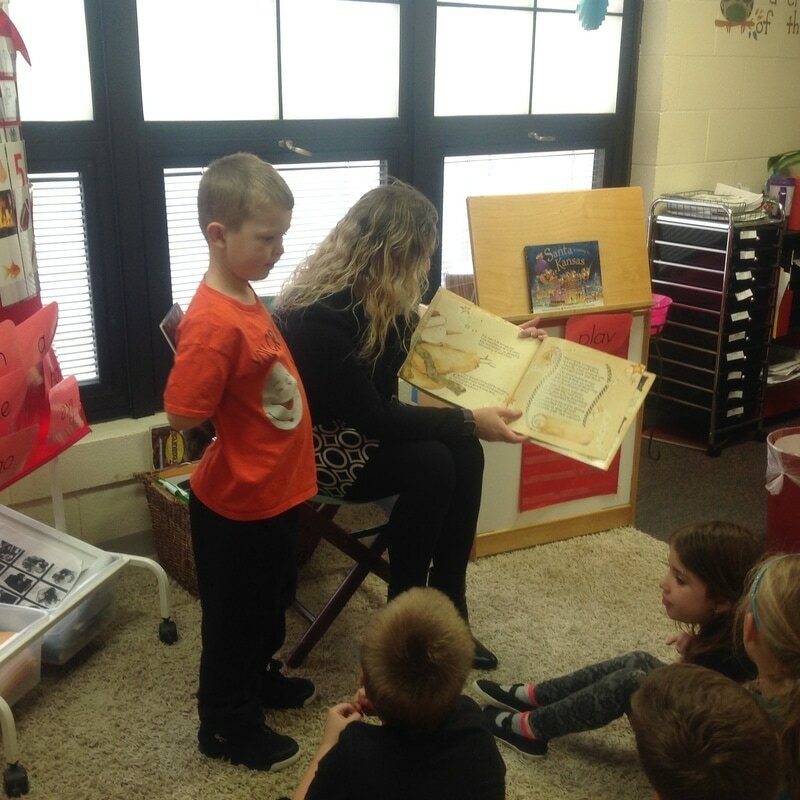 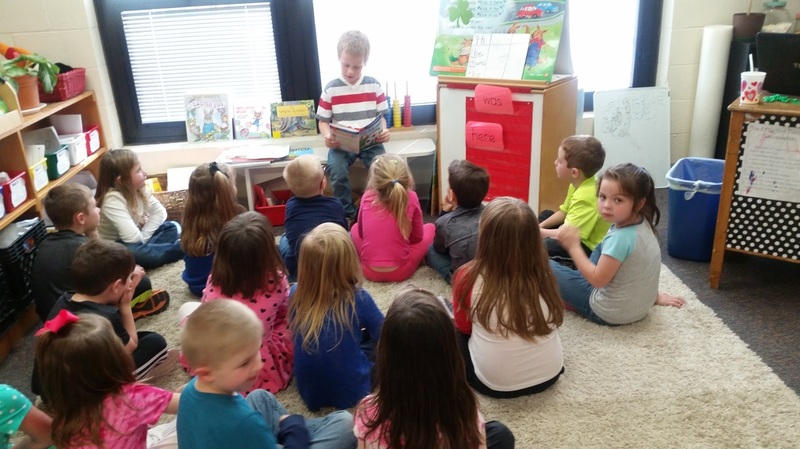 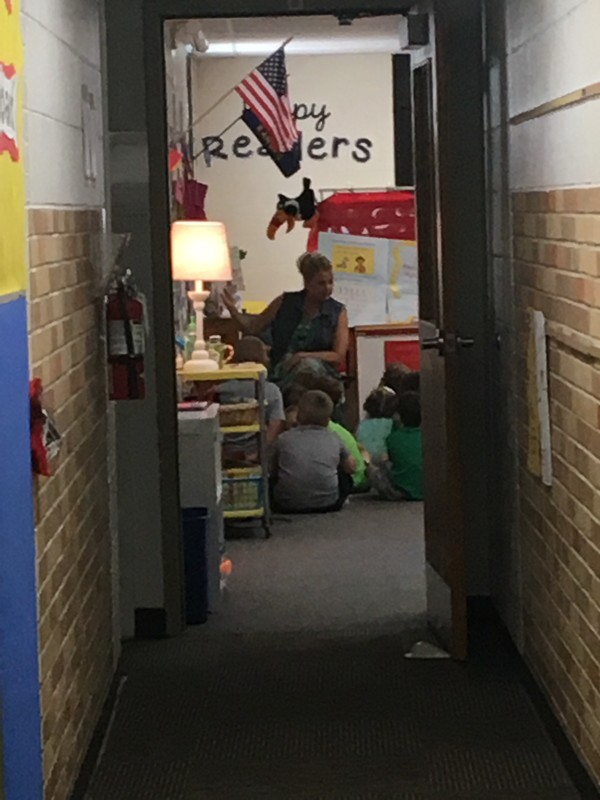 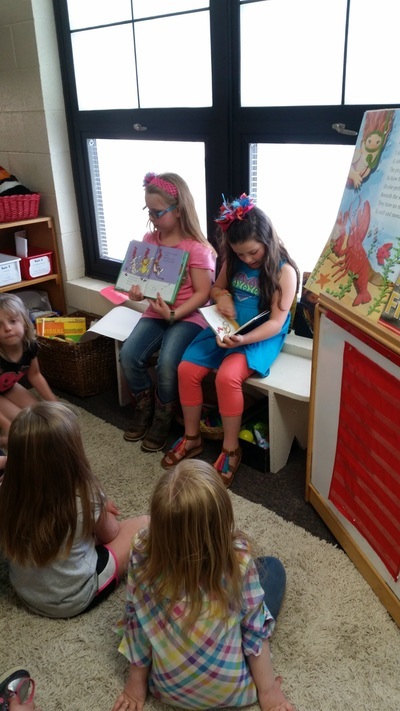 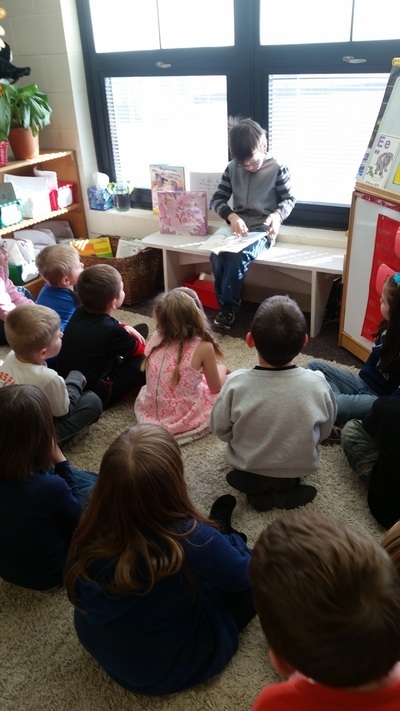 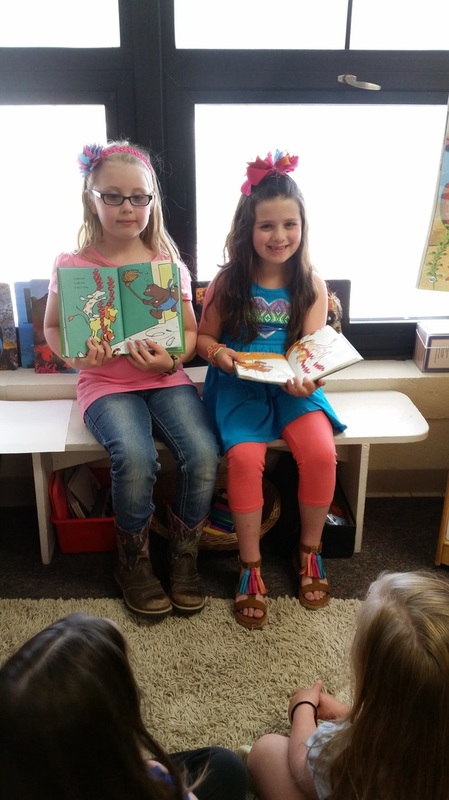 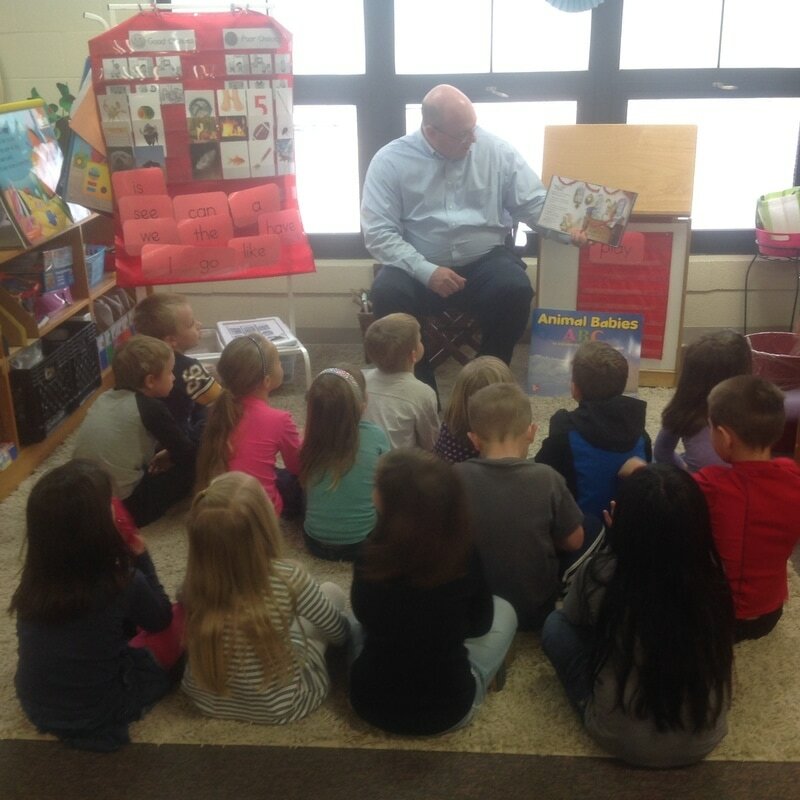 Mrs. Ryan's kindergarteners love having special readers! Especially when its a BIG brother! 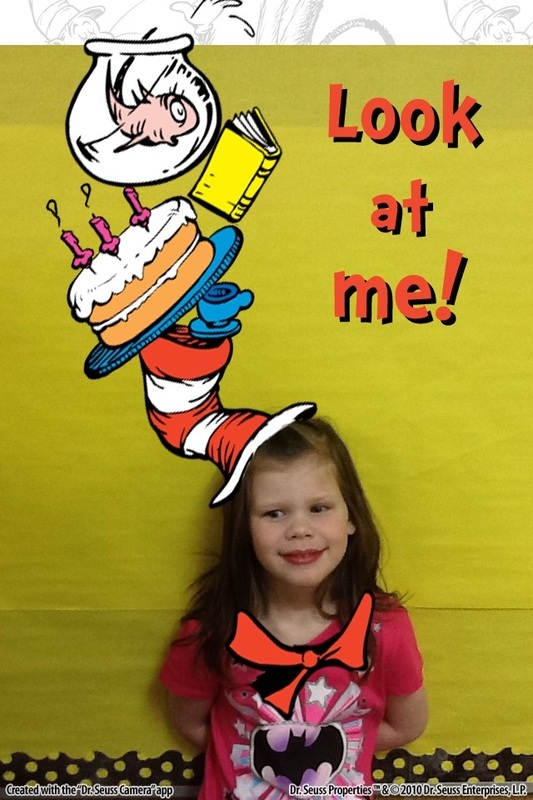 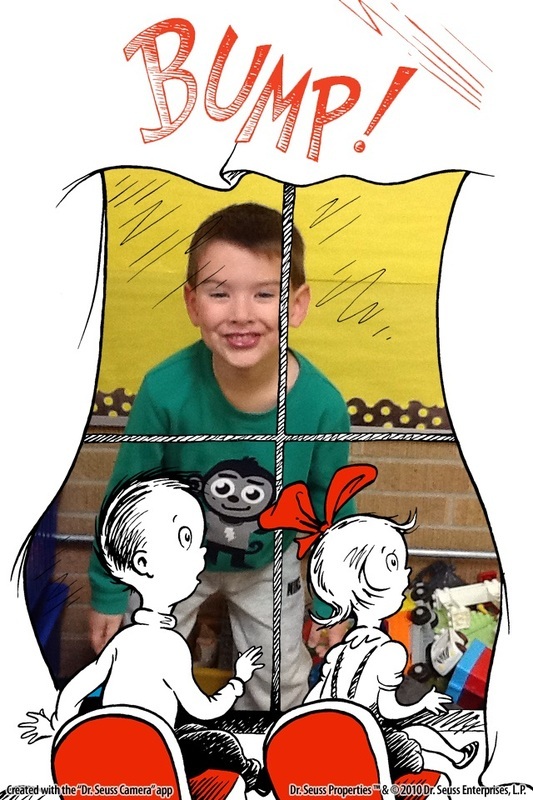 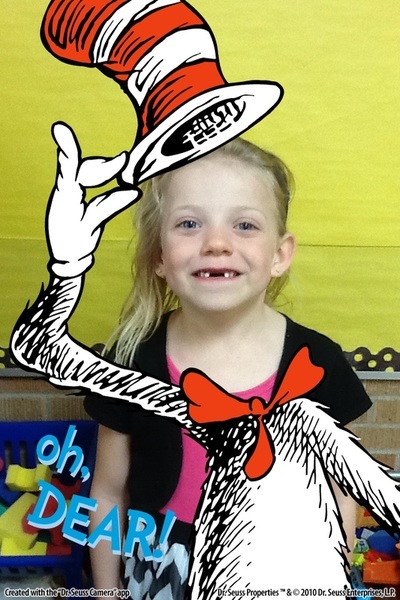 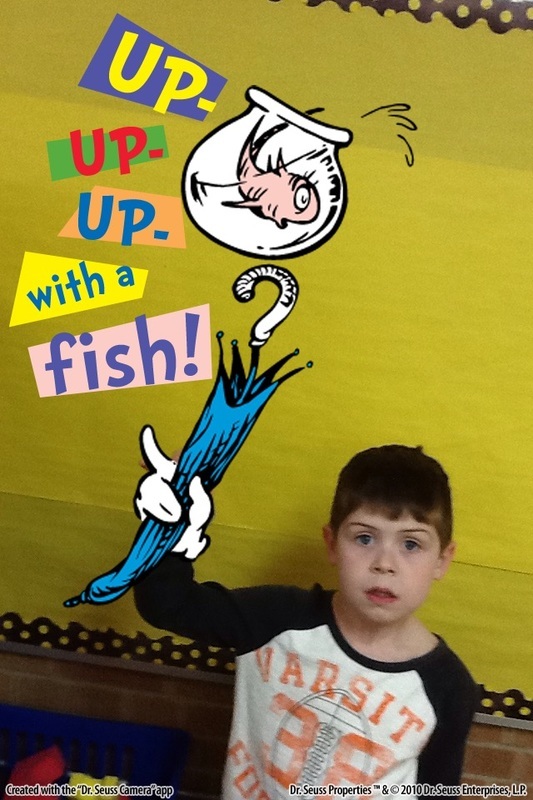 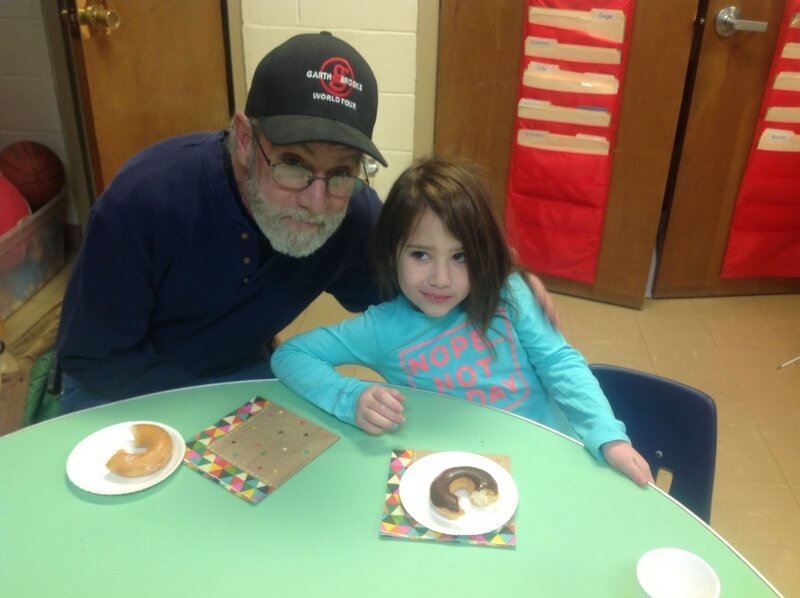 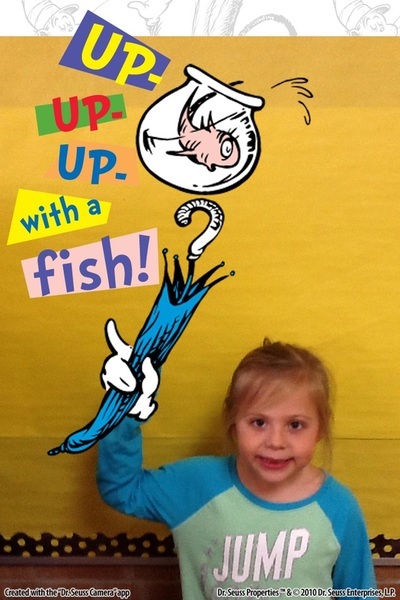 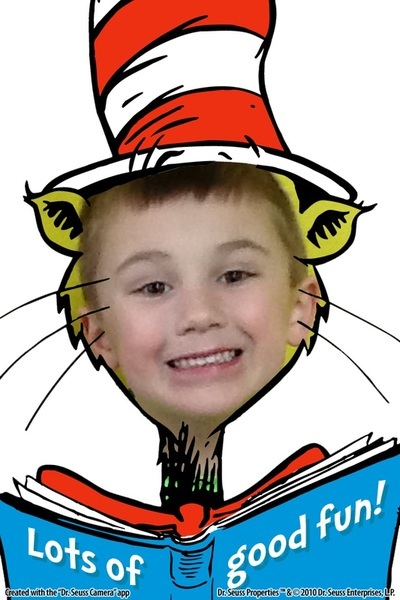 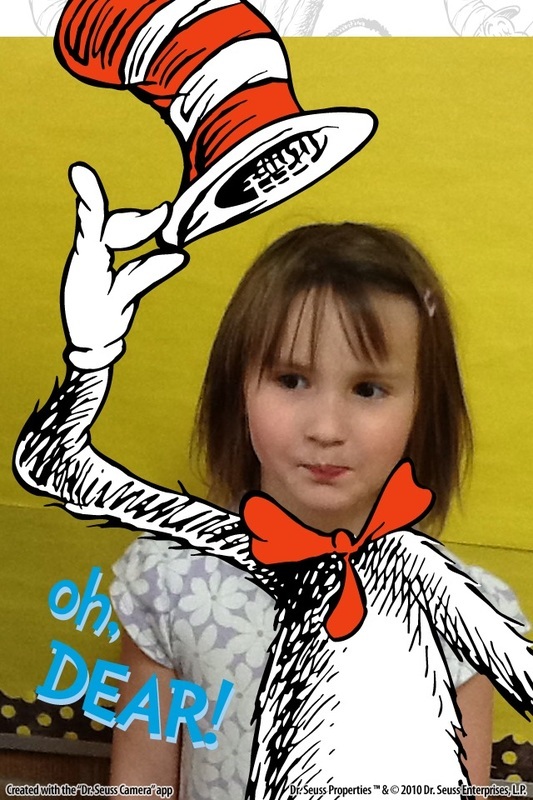 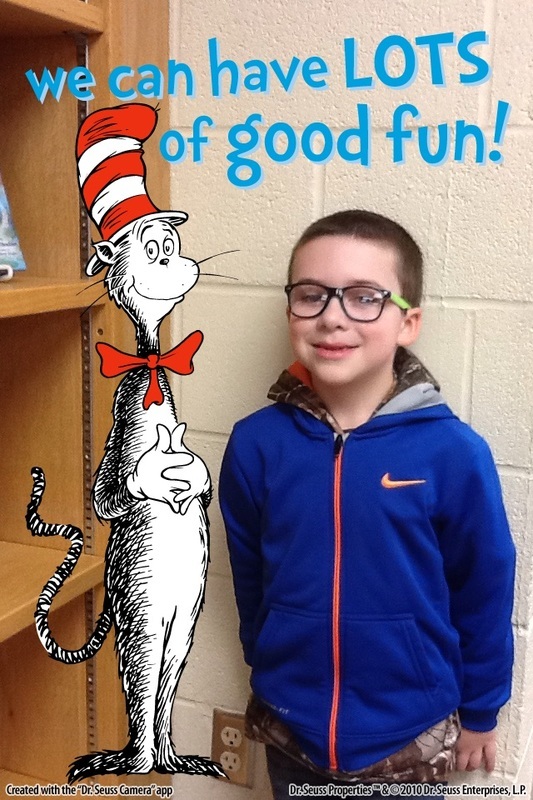 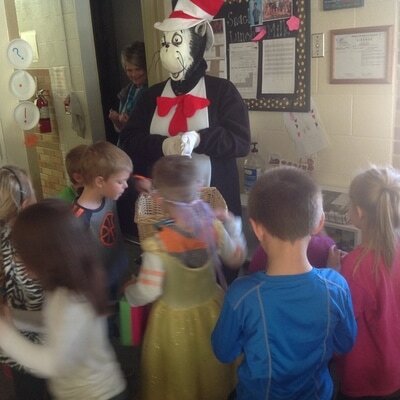 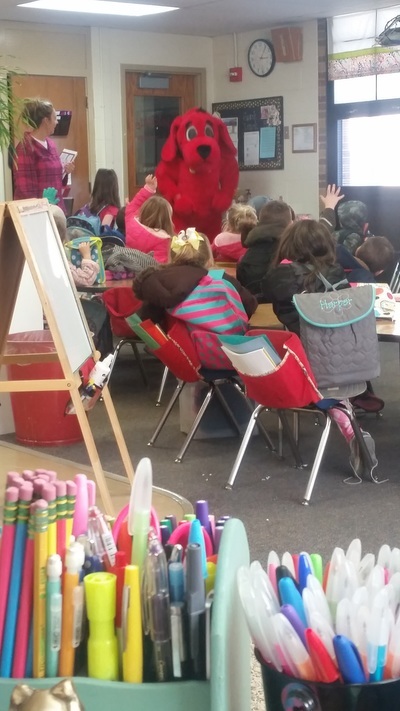 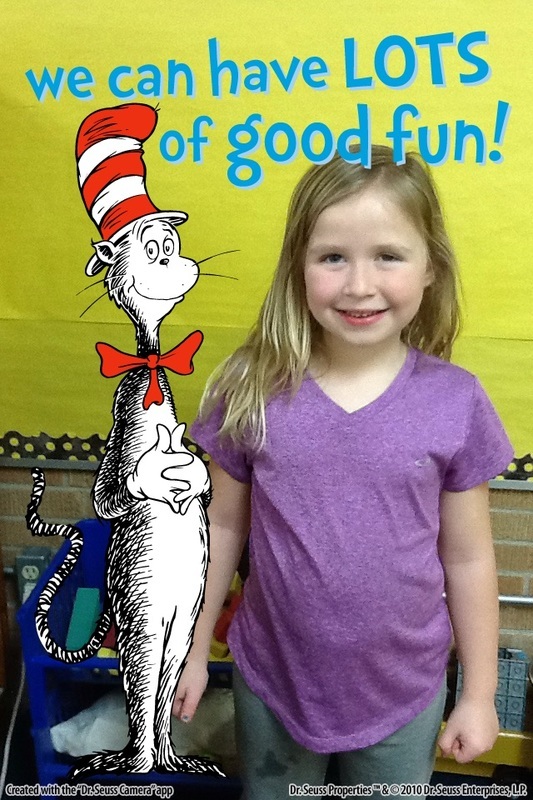 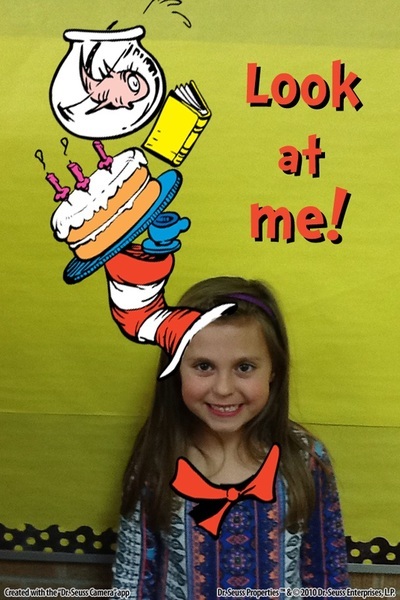 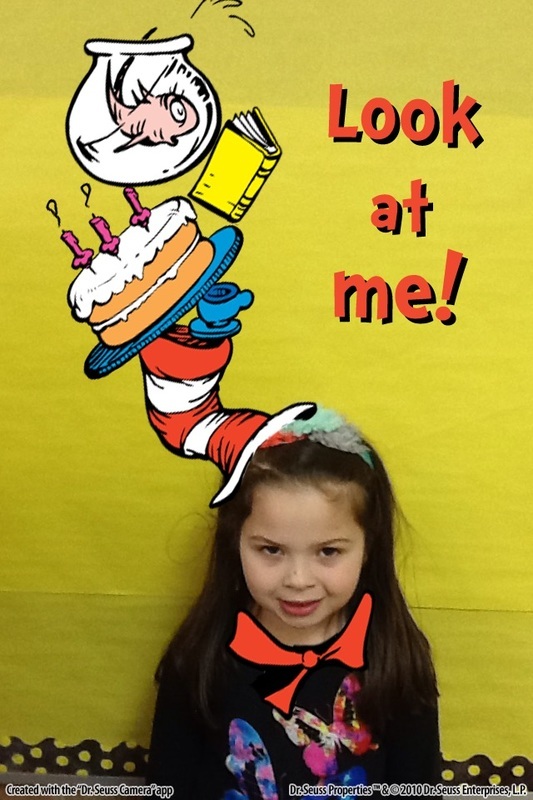 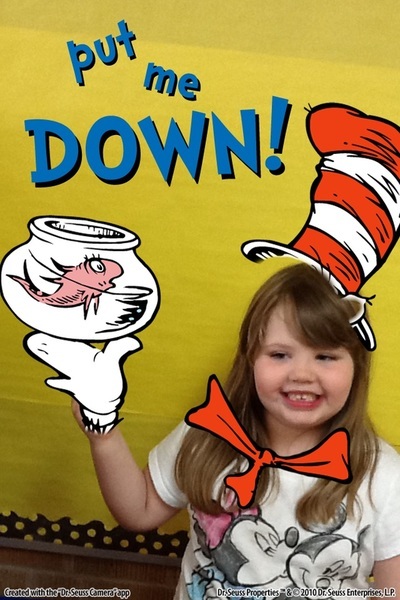 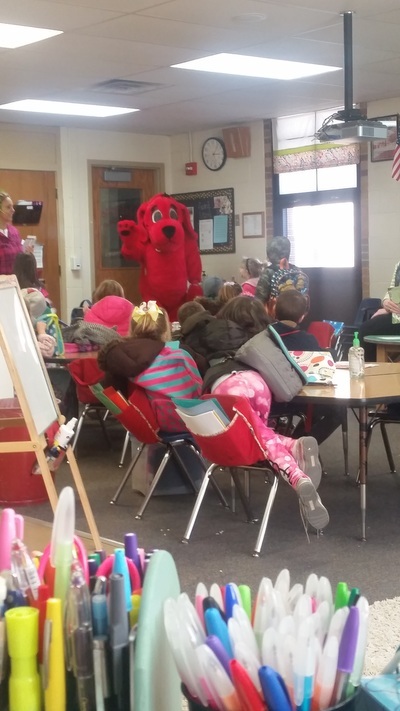 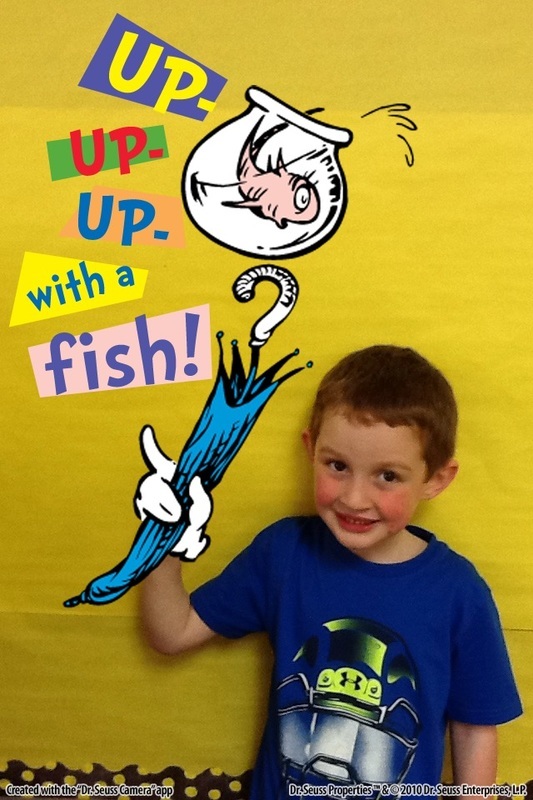 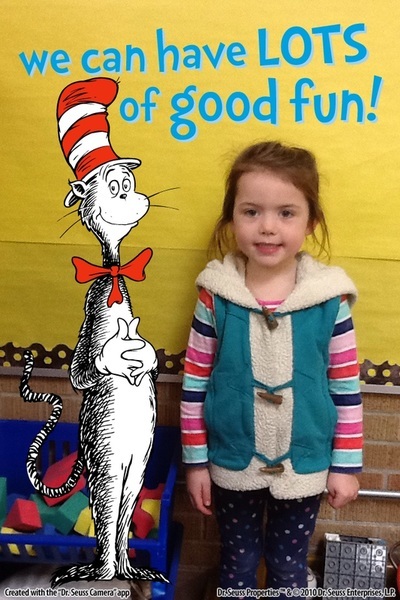 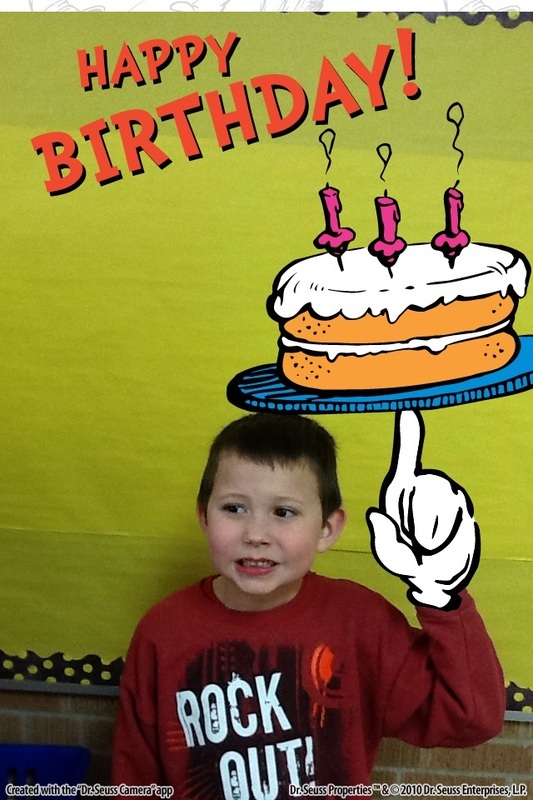 Dr. Seuss' Birthday was a great day! 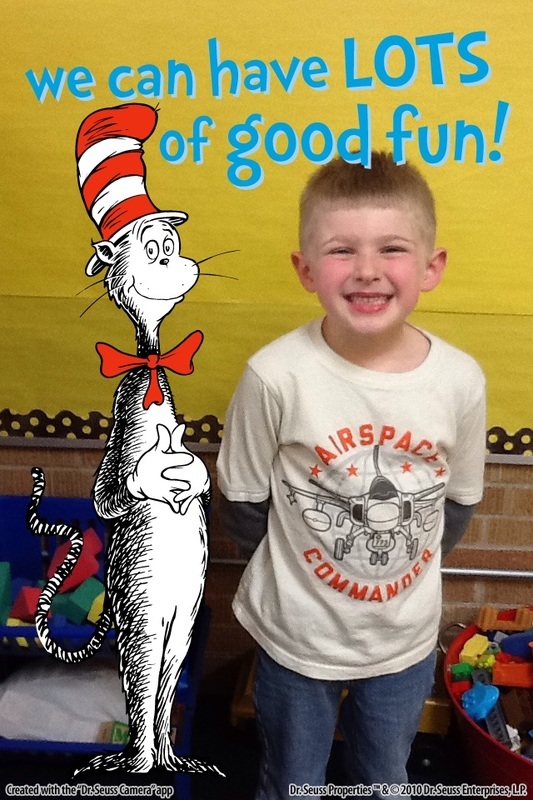 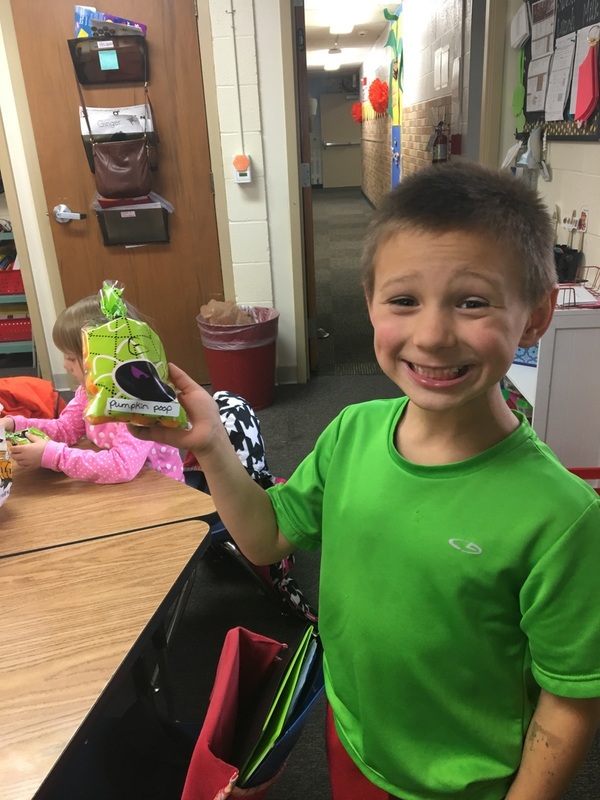 We celebrated this Master of Rhymes by reading his books, making Oobleck, visiting the Cat and the Hat, and making our own special rhyming books! Hats off to a great day! 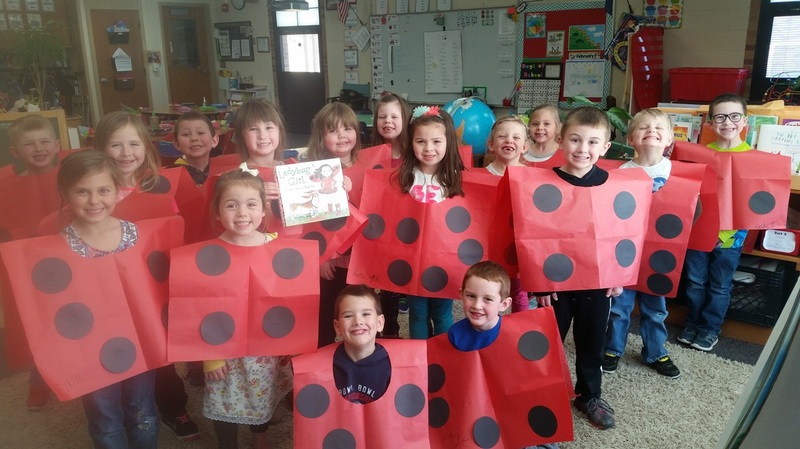 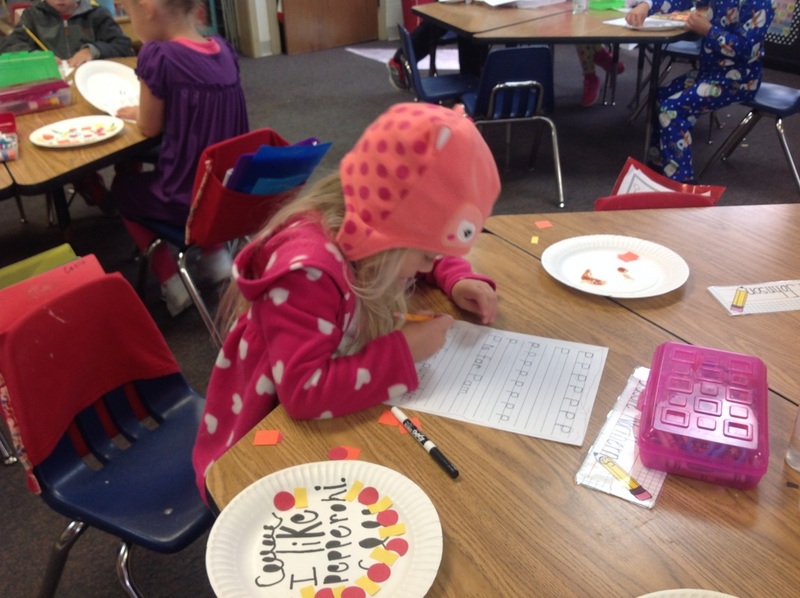 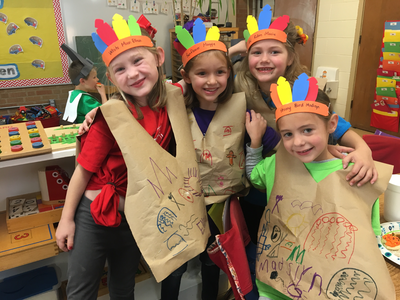 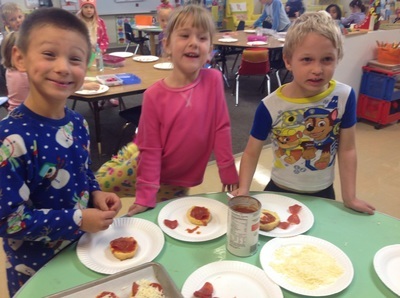 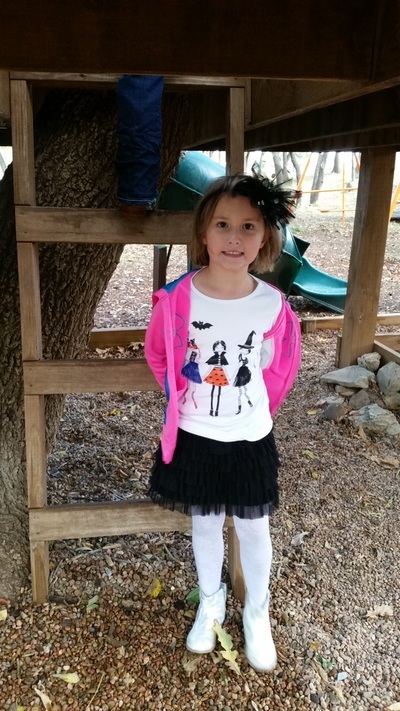 Imagination is brought to life after reading The Ladybug Girl followed up with these fun costumes! 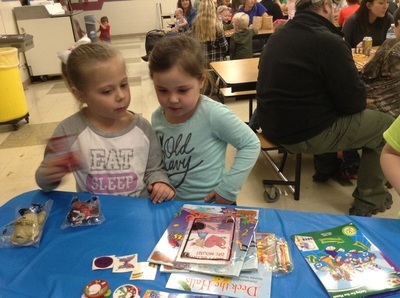 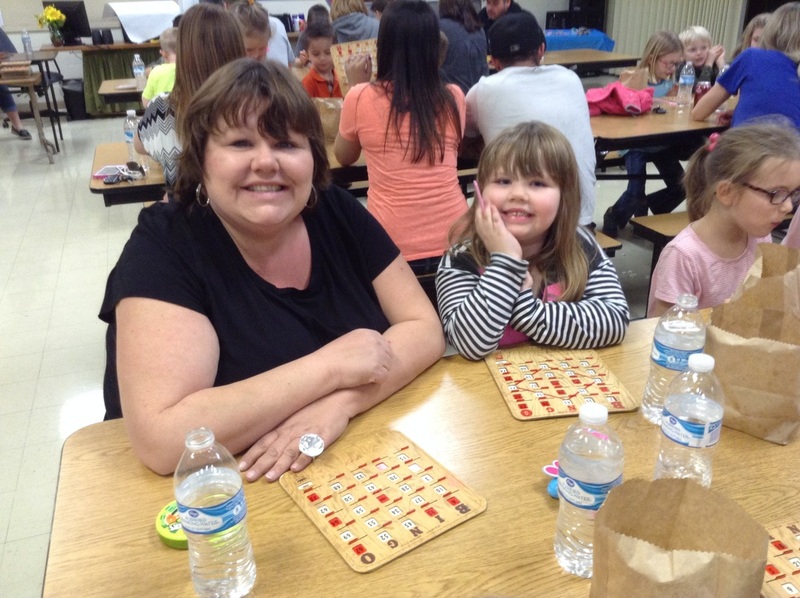 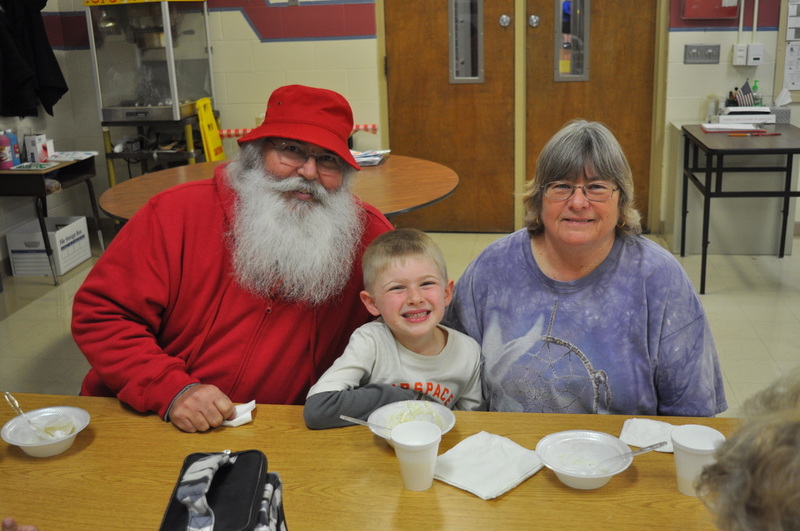 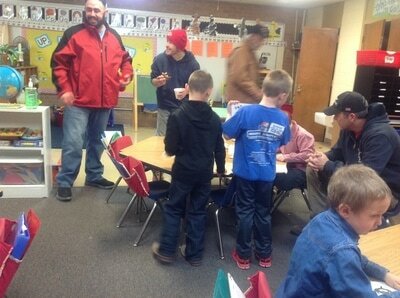 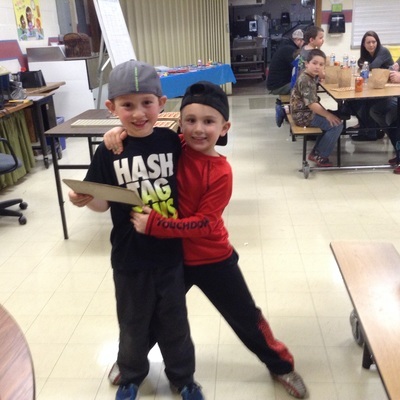 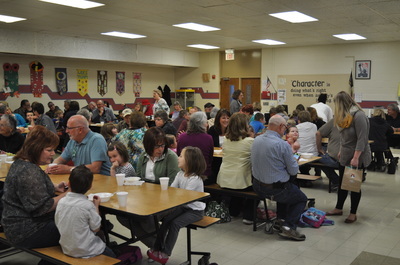 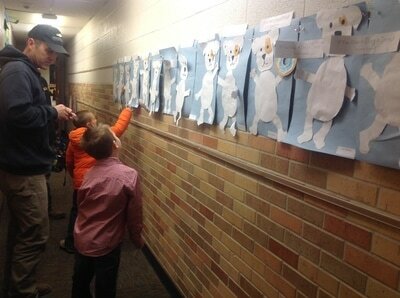 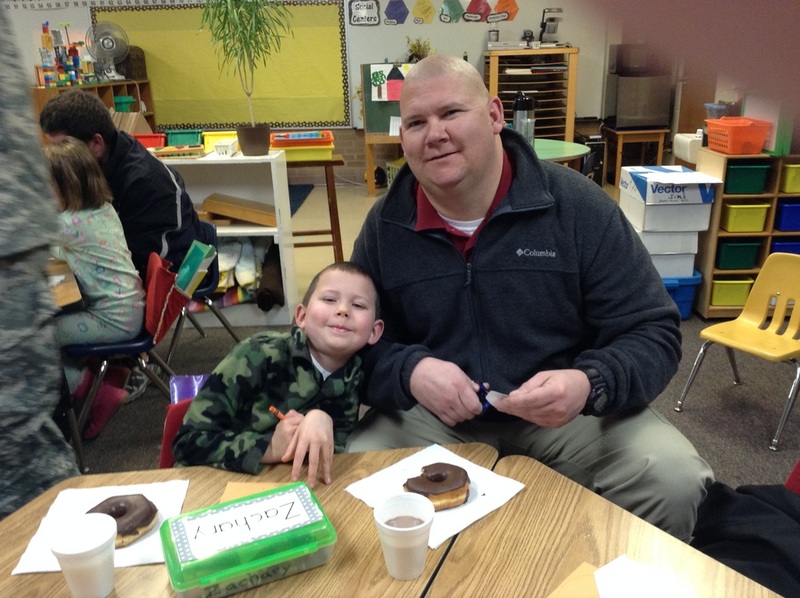 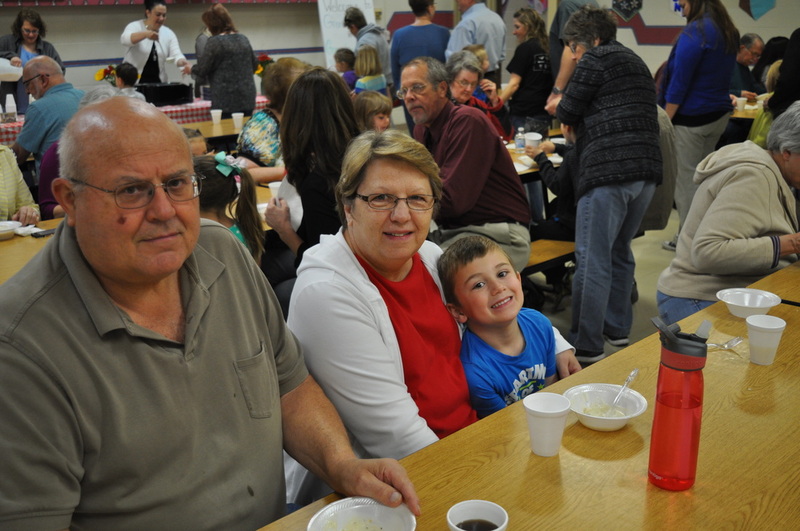 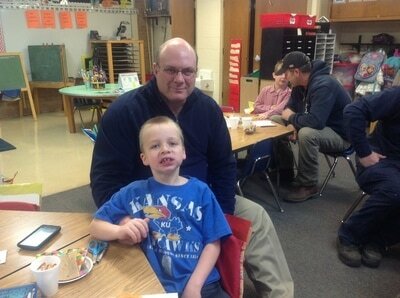 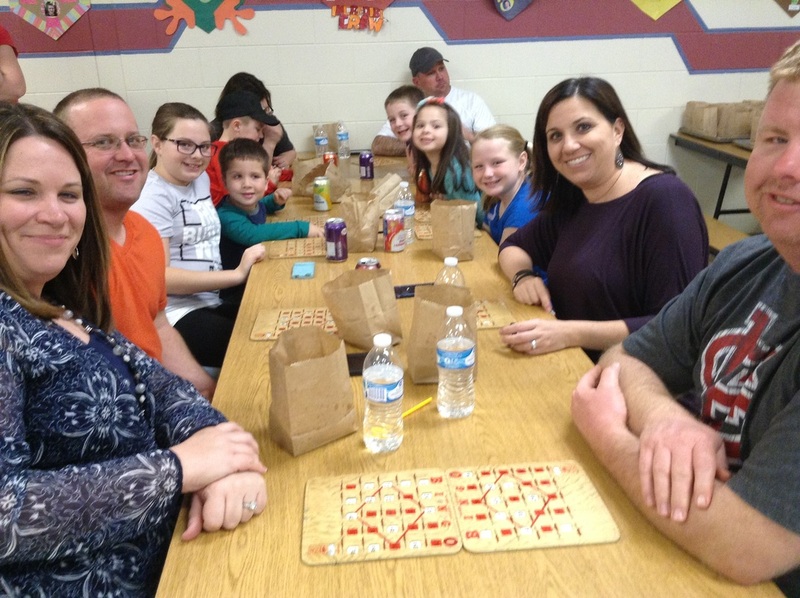 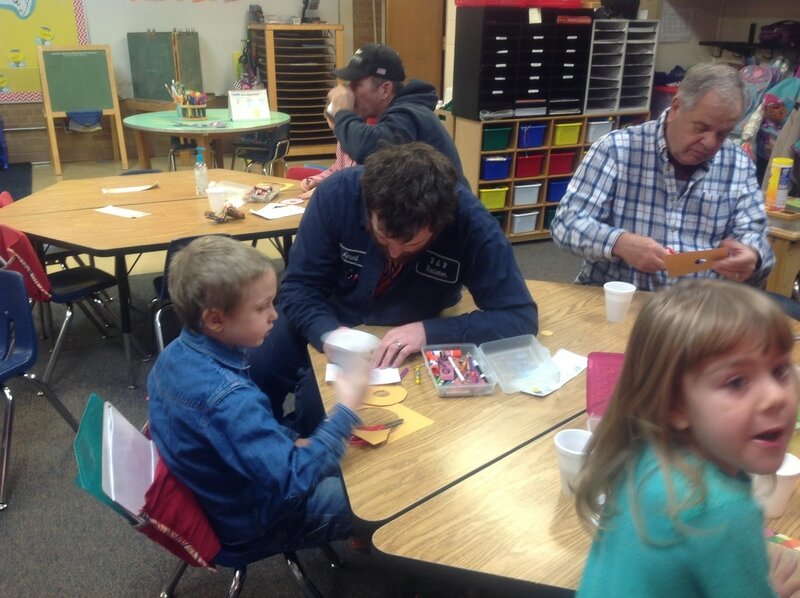 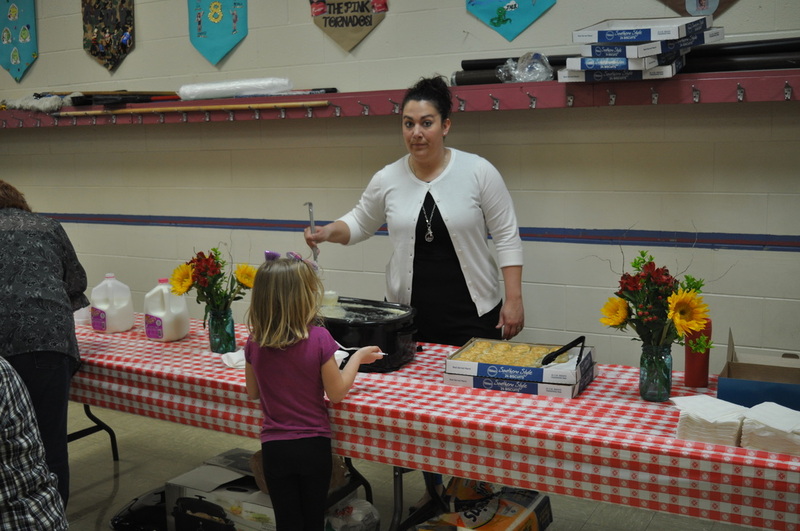 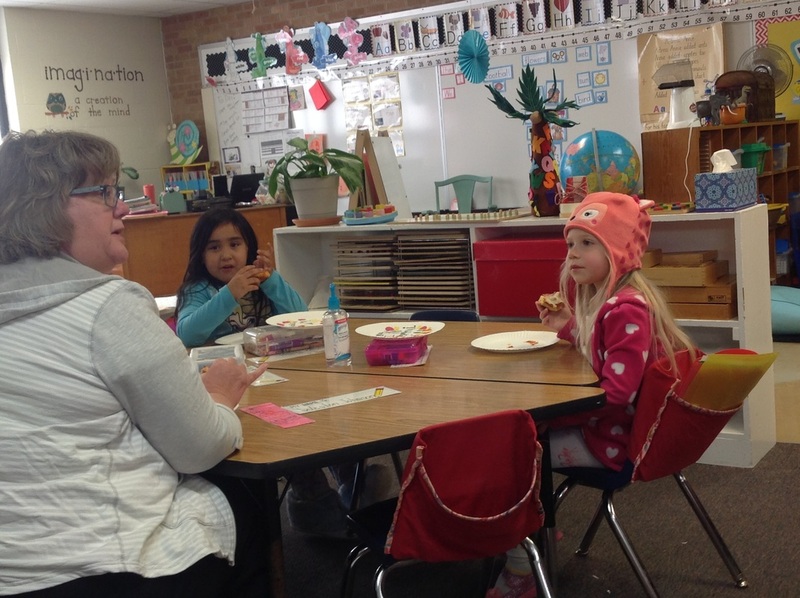 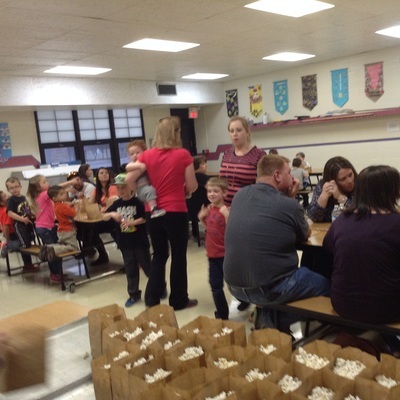 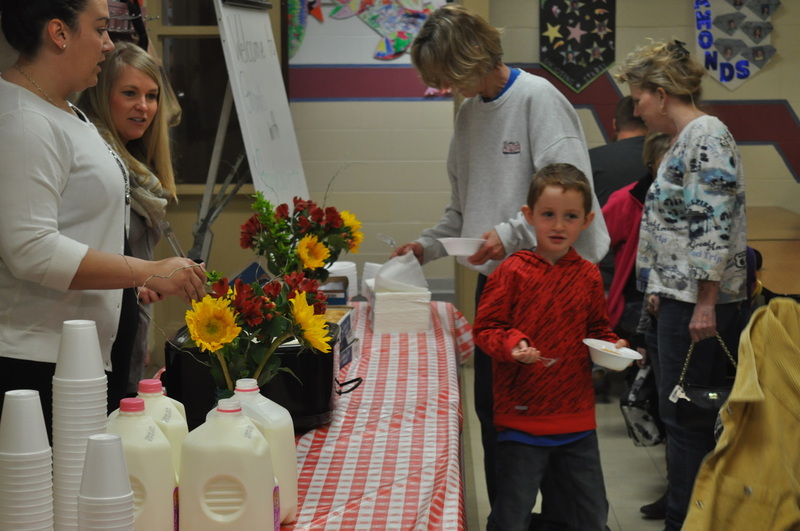 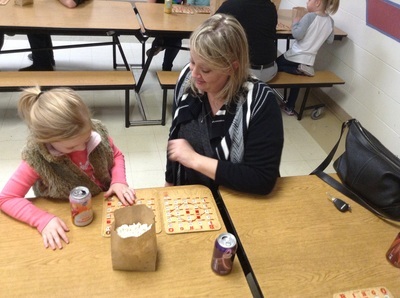 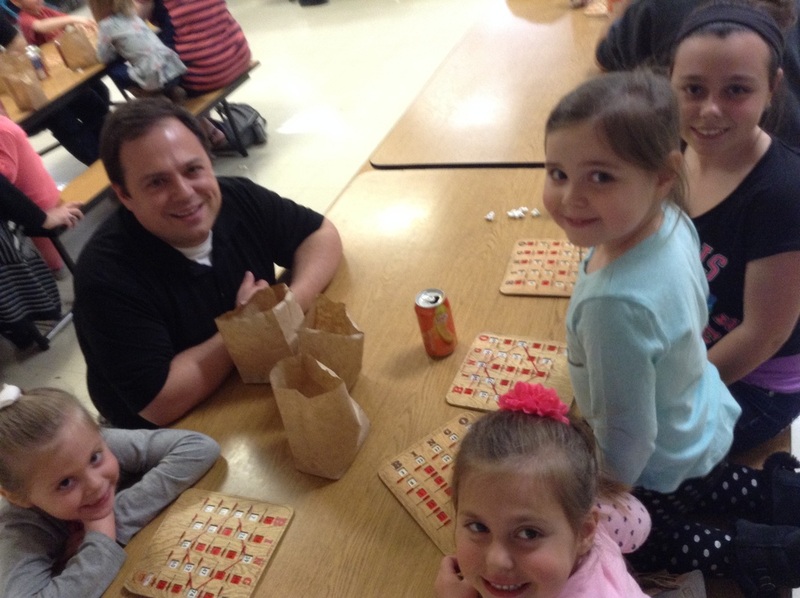 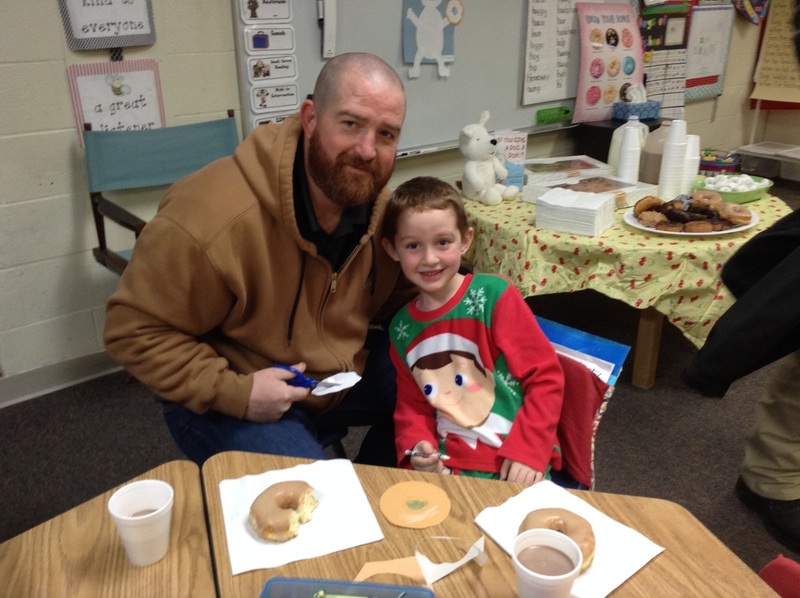 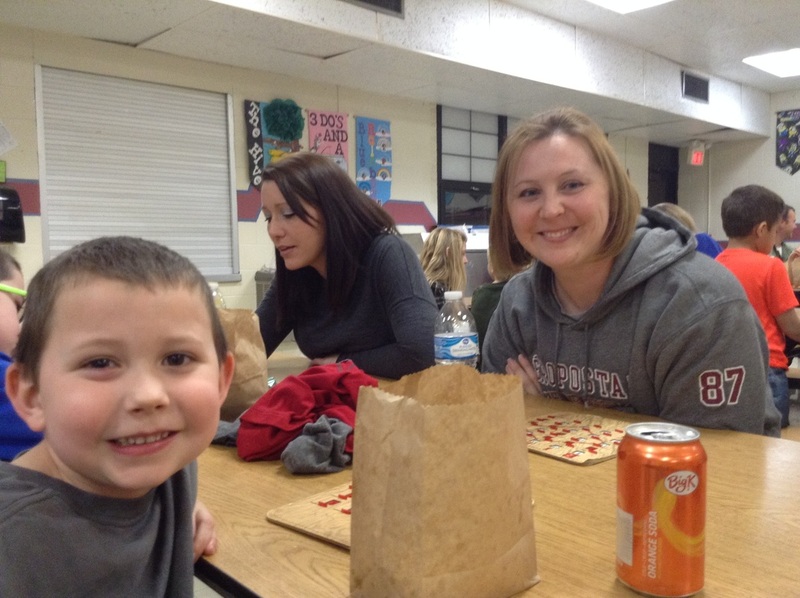 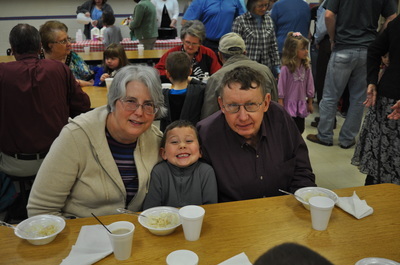 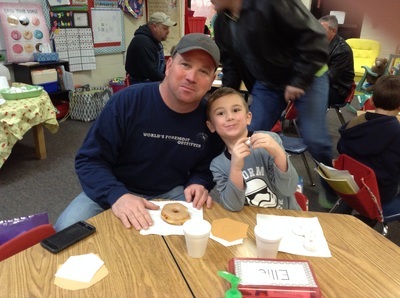 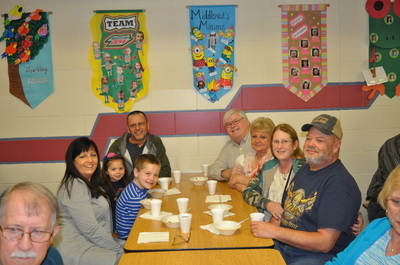 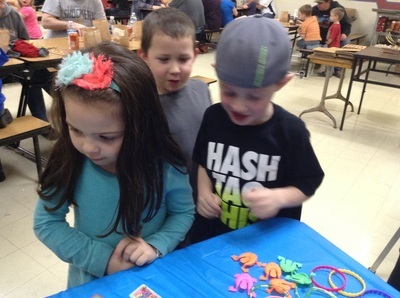 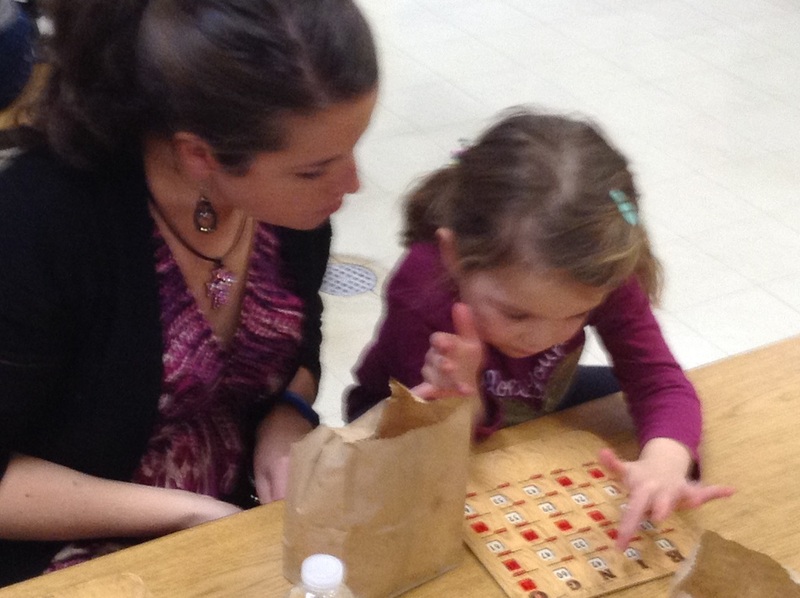 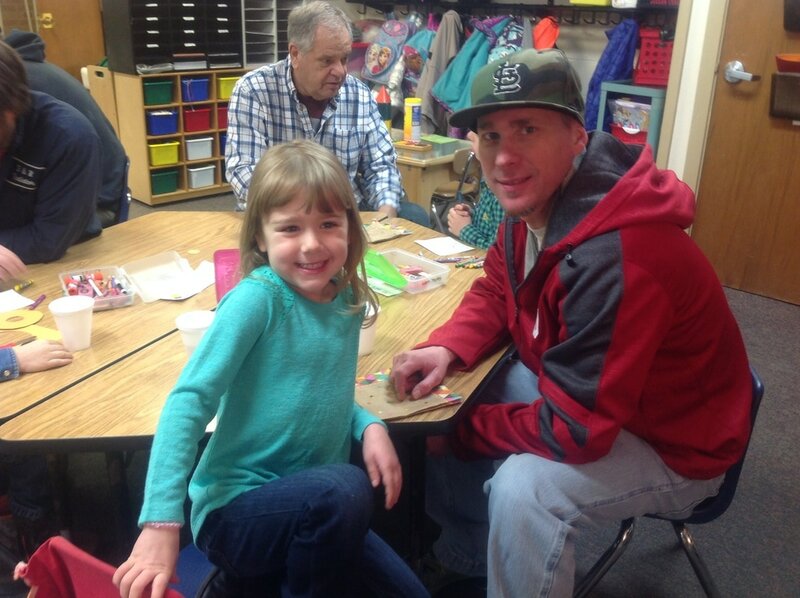 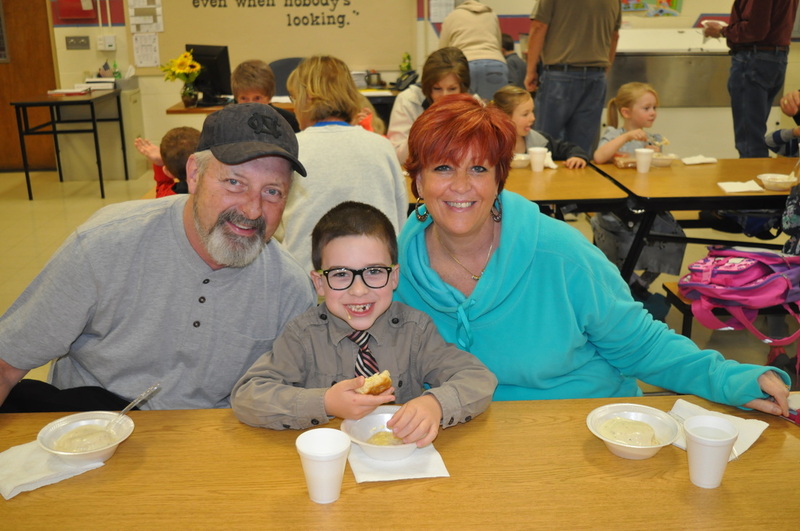 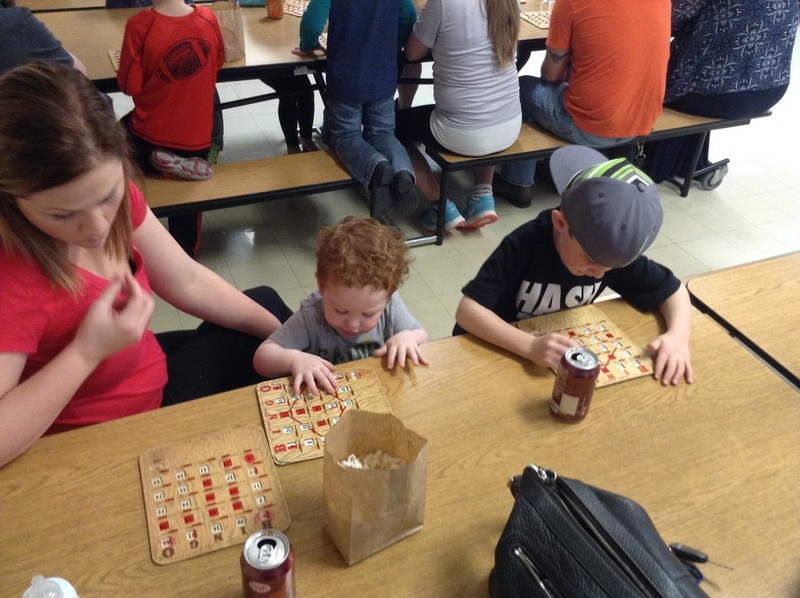 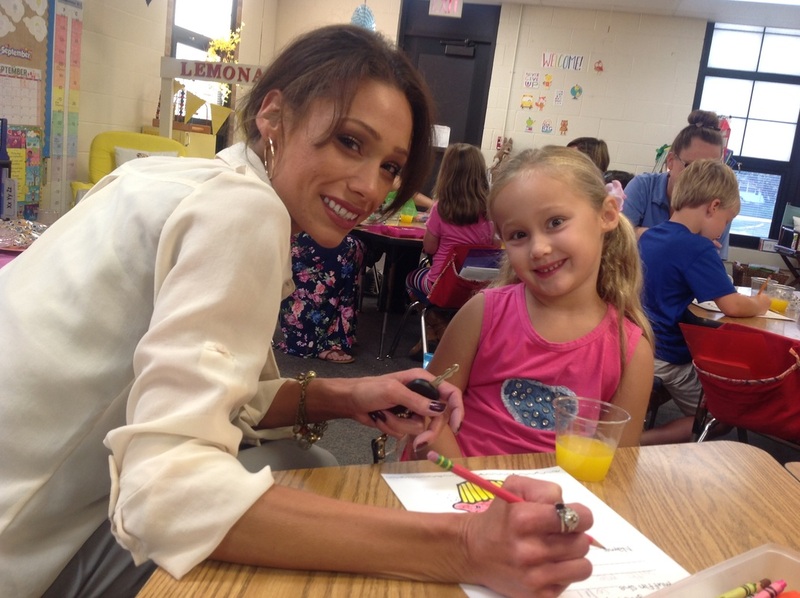 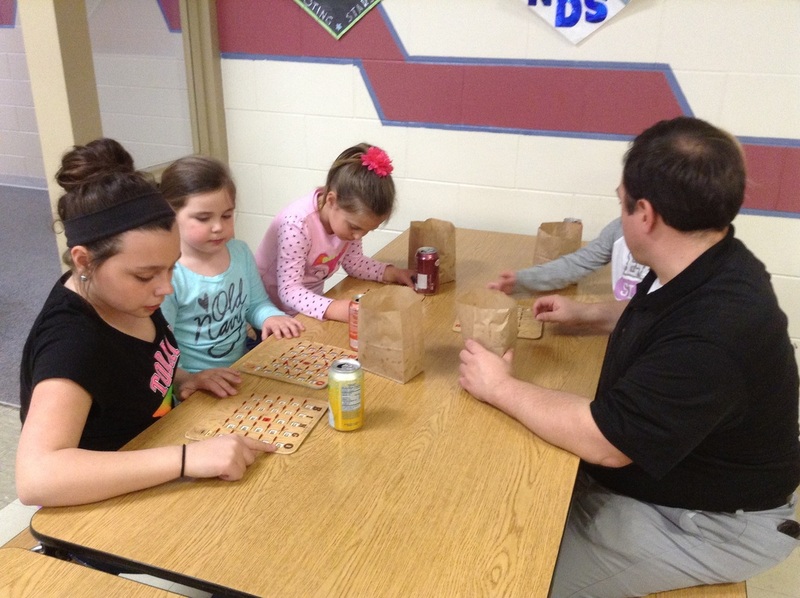 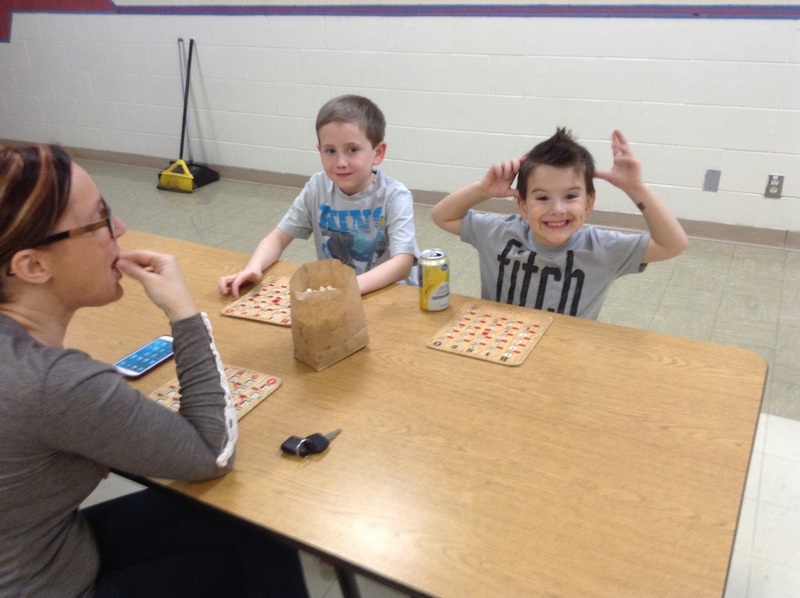 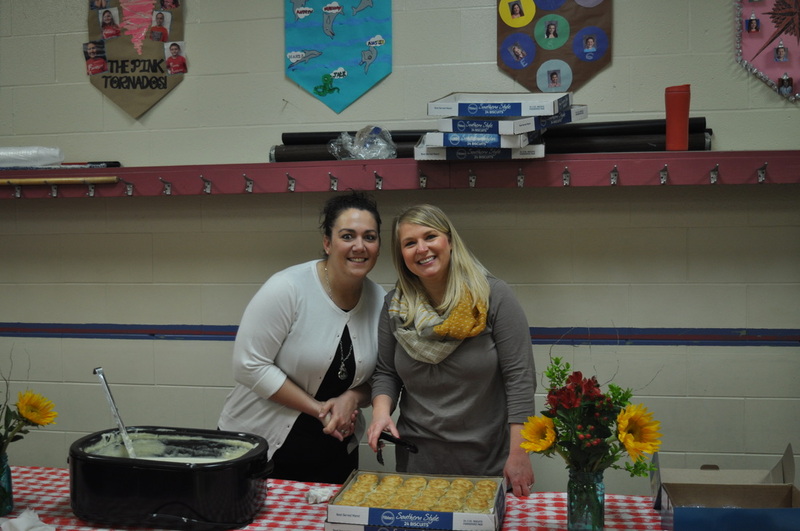 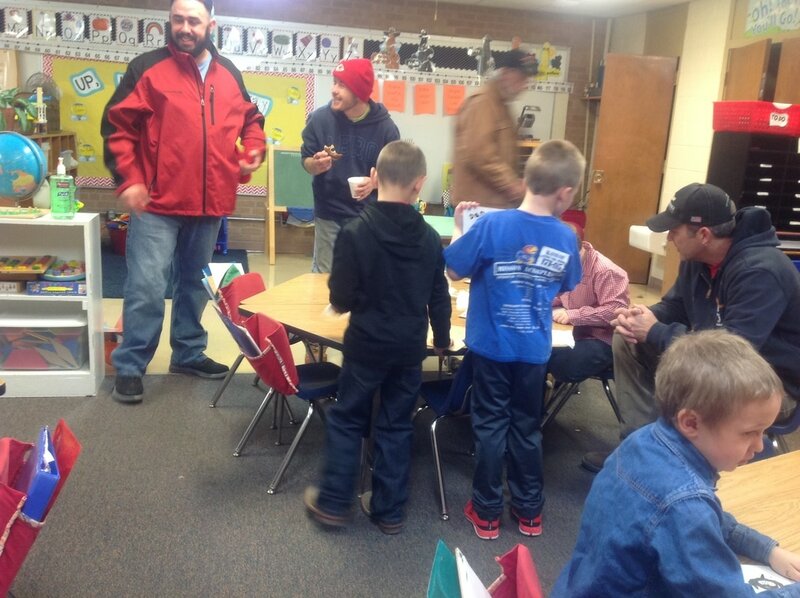 Thank you to our Kindergarteners and their families for making our Kindergarten Bingo Night a success! Watch for a highligt of this in the March Benton Broadcast! 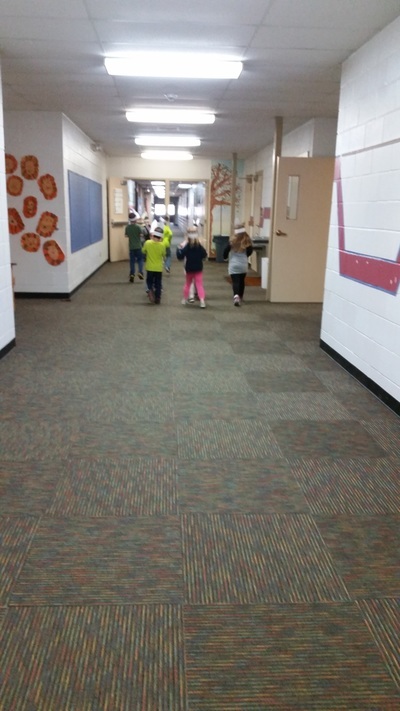 Silly kinders went to school walking backwards looking cool! Do I dare play THE song...! 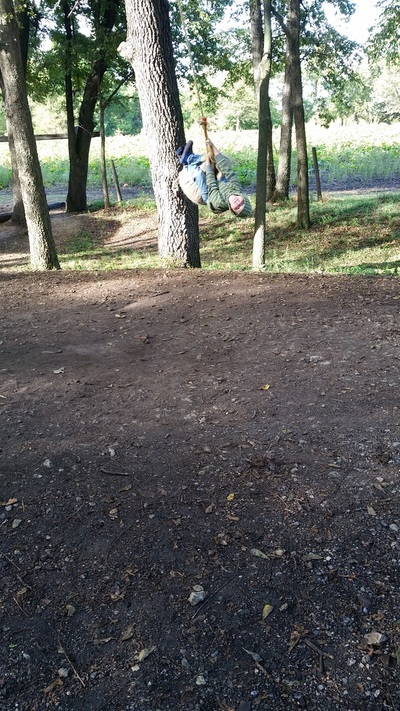 O Yes! 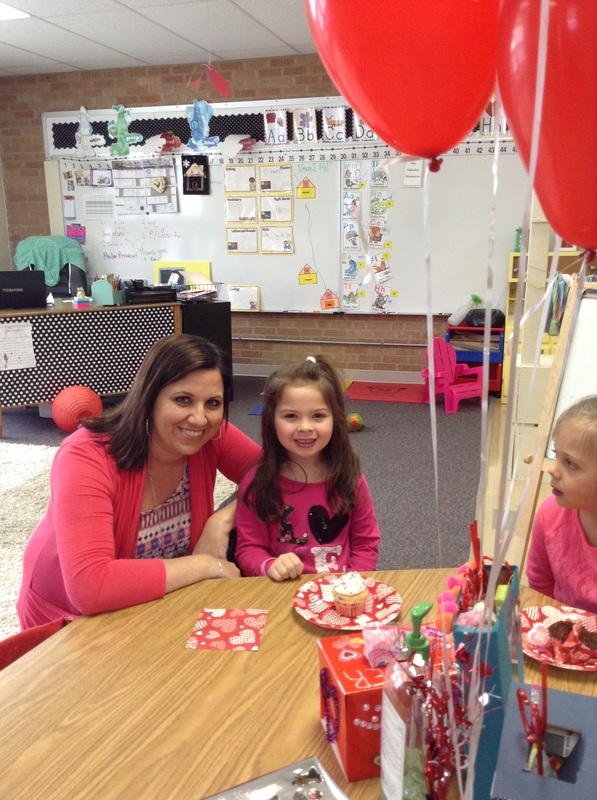 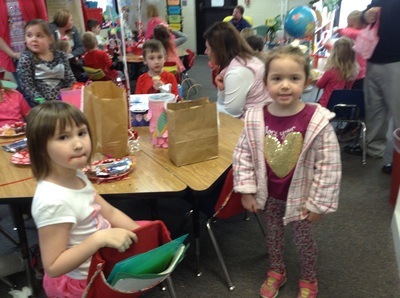 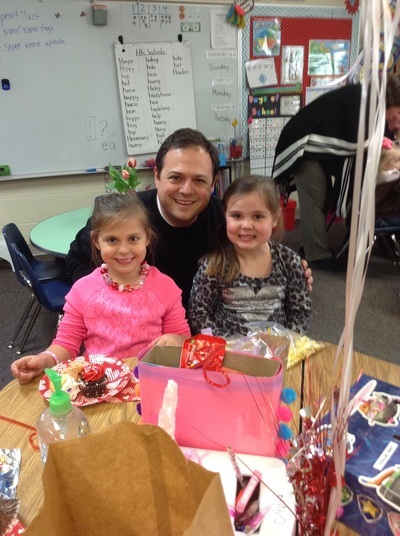 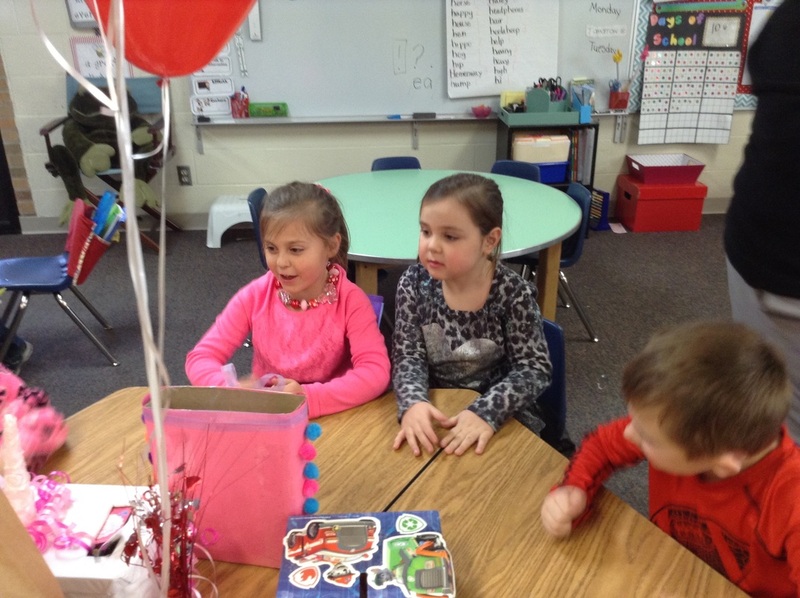 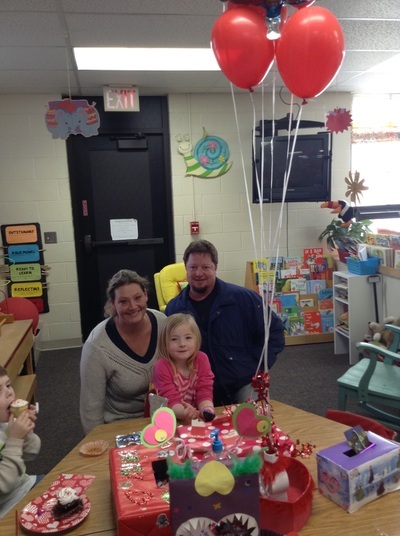 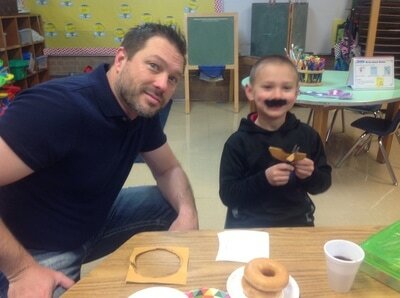 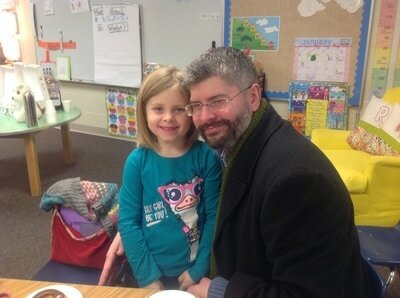 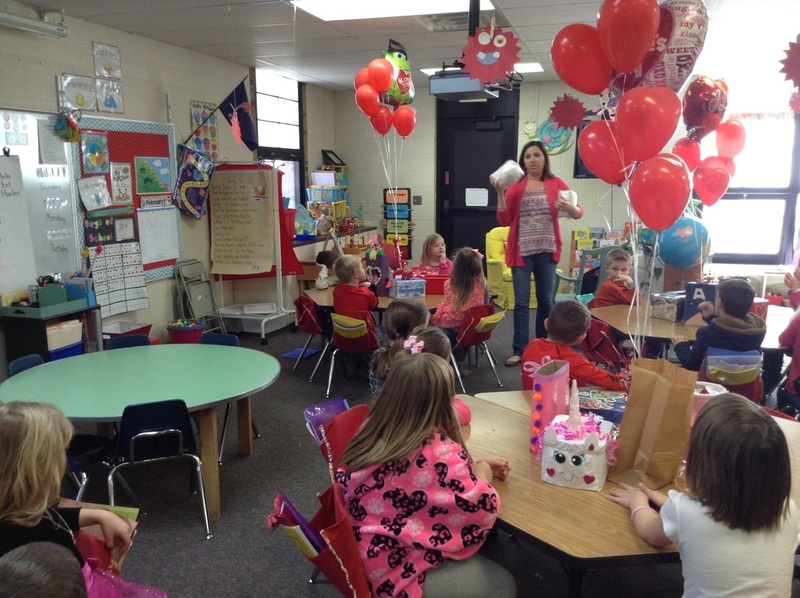 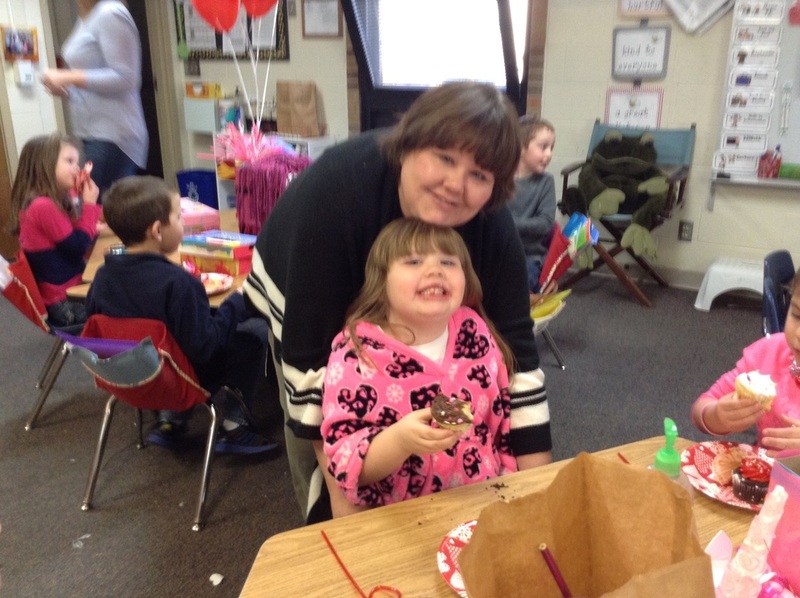 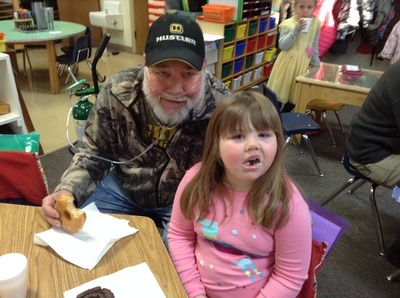 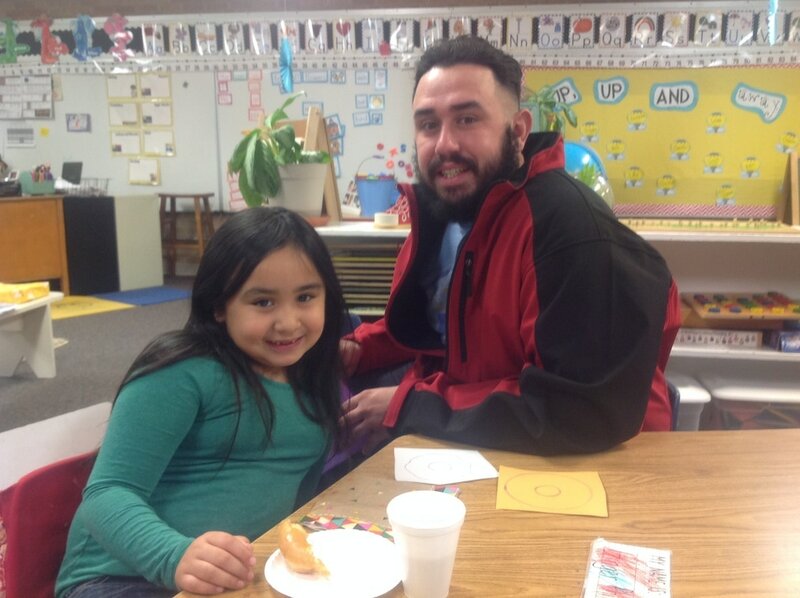 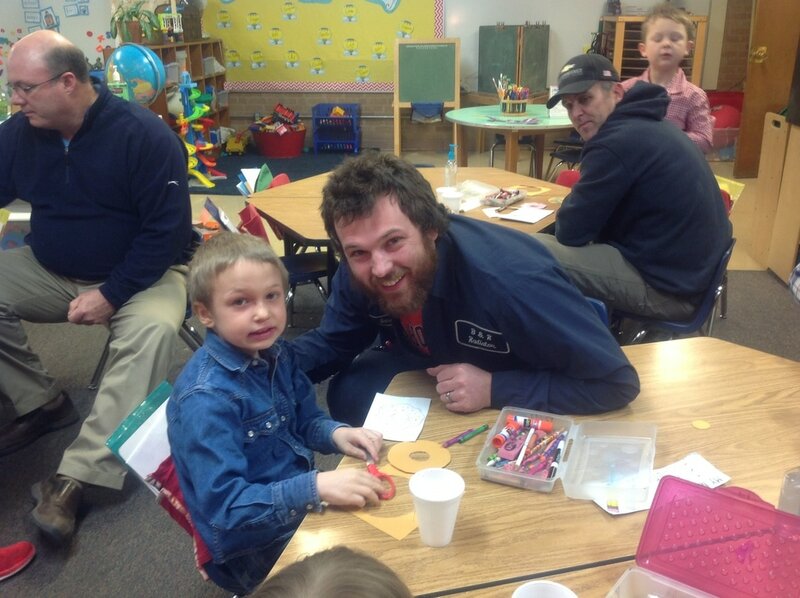 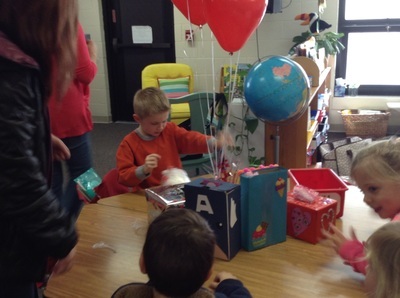 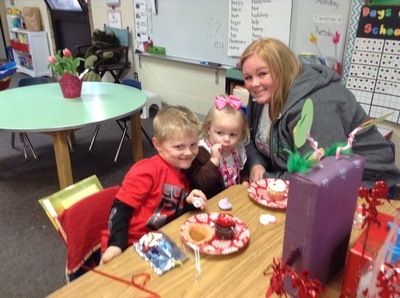 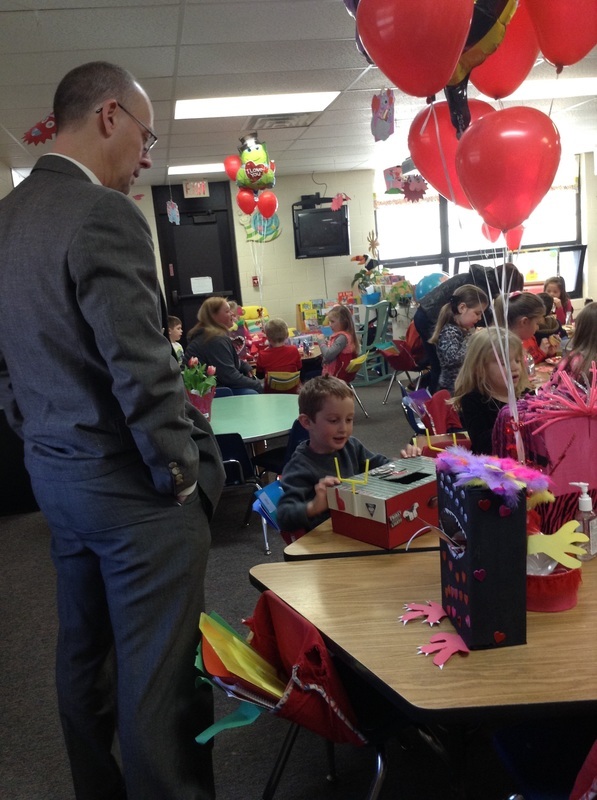 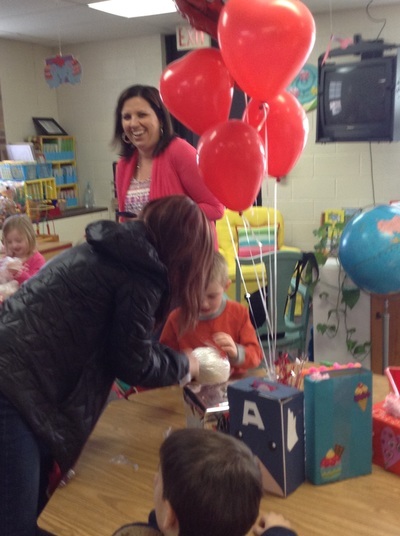 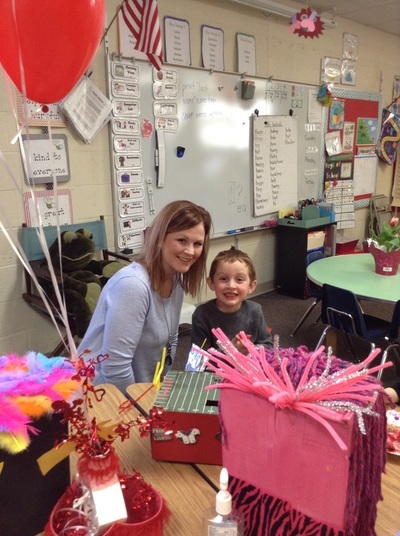 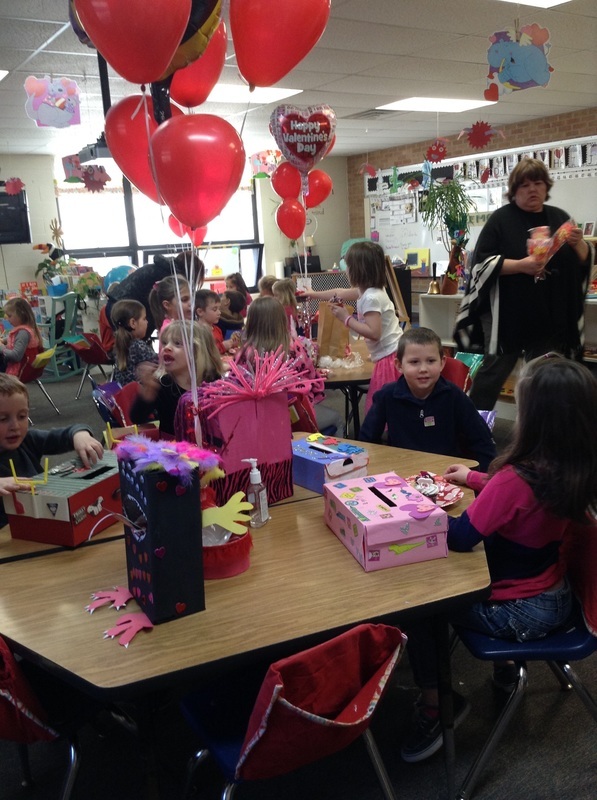 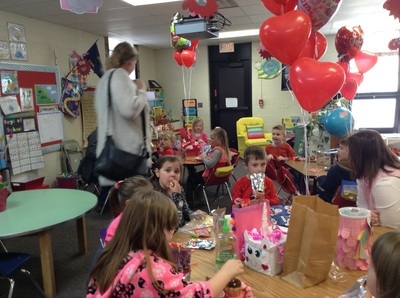 Our Valentine's Day Party was a HUGE success! 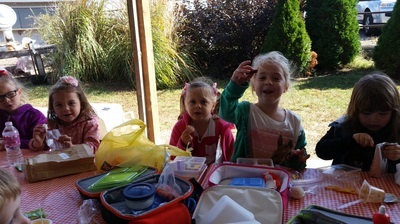 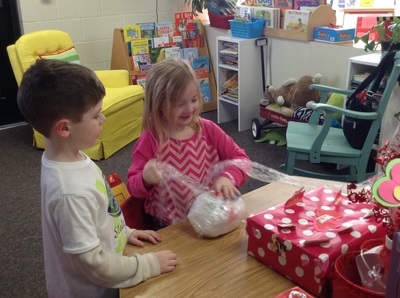 The kids had so much fun laughing and racing trying to unwrap their goodies! 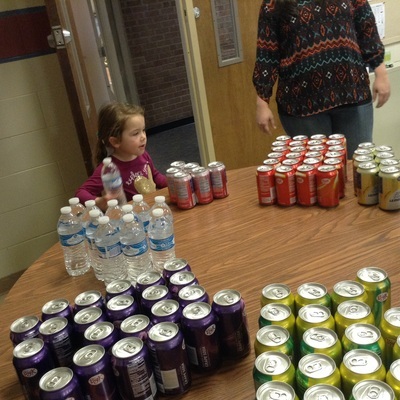 A huge "Thank You" to the parents that volunteered and/or donated supplies to make our party successful! 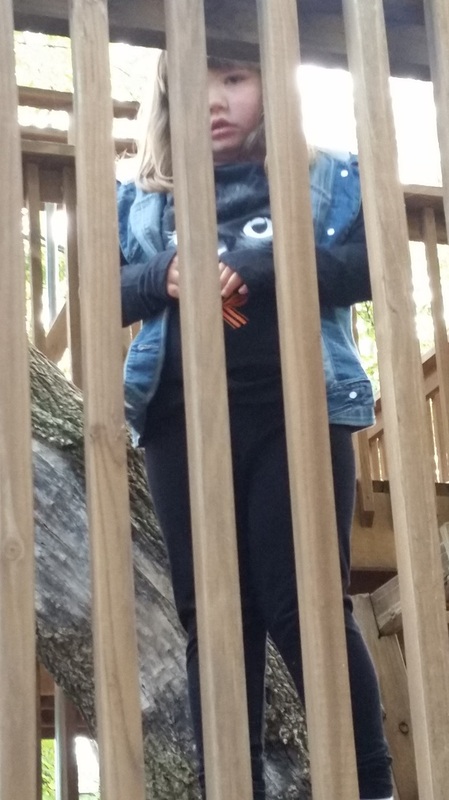 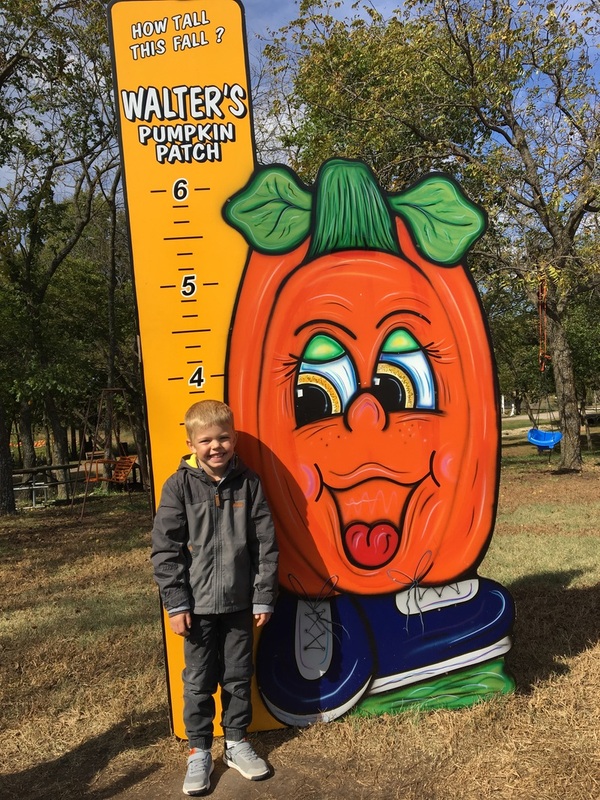 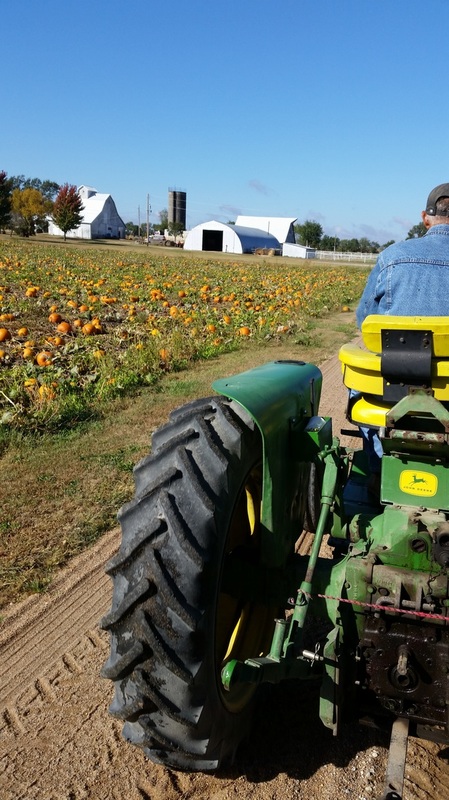 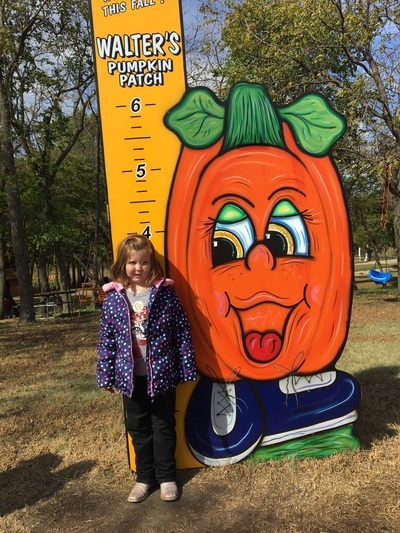 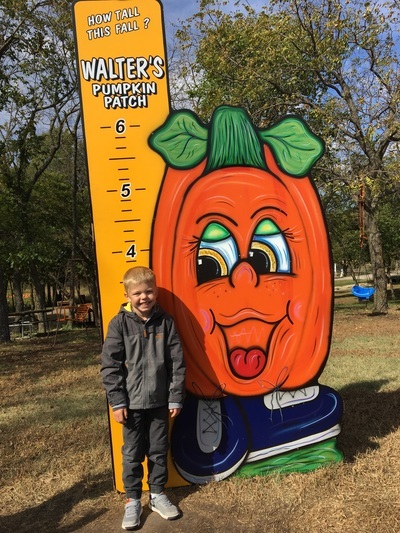 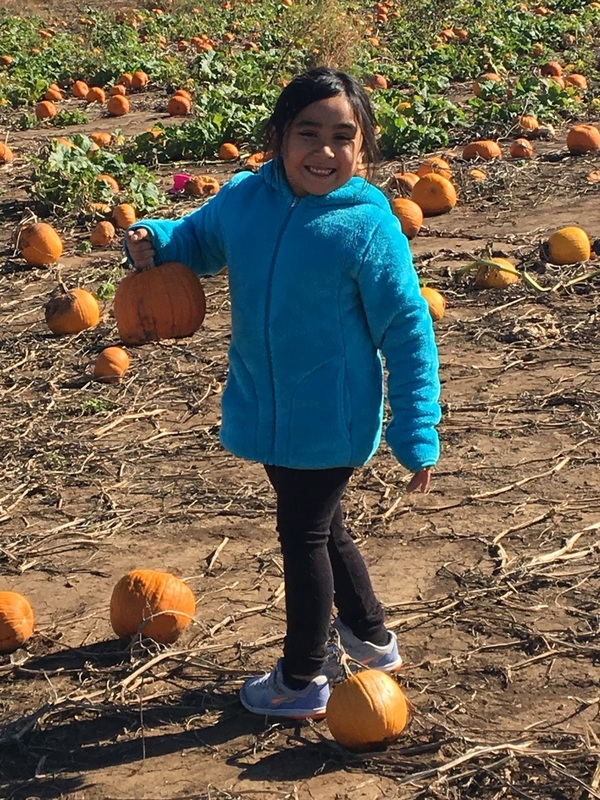 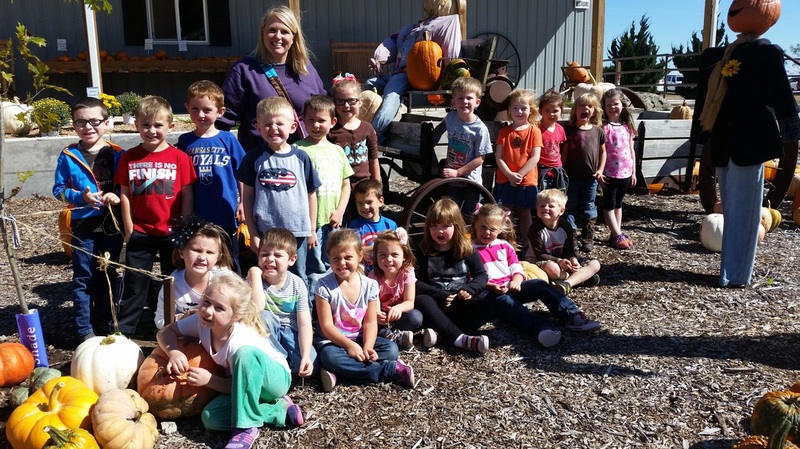 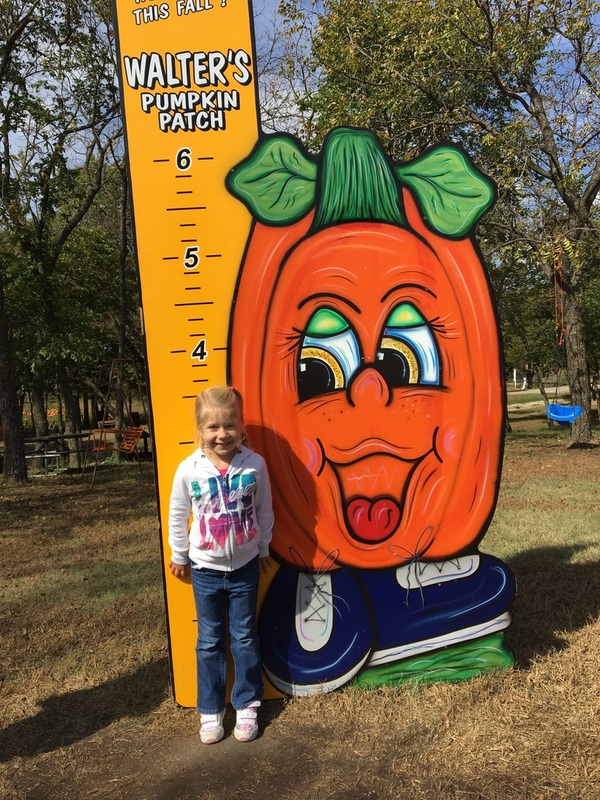 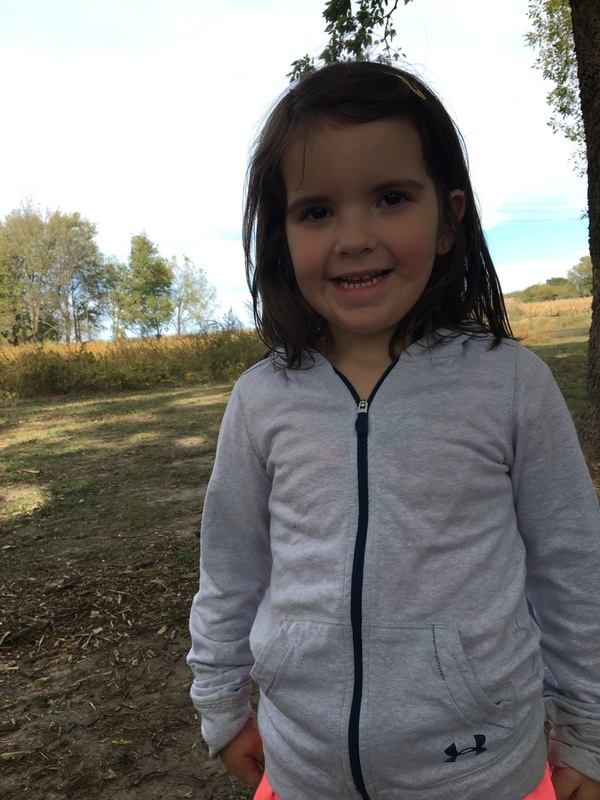 Fall is full of fun and pumpkins! 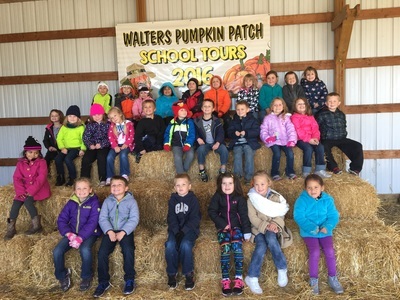 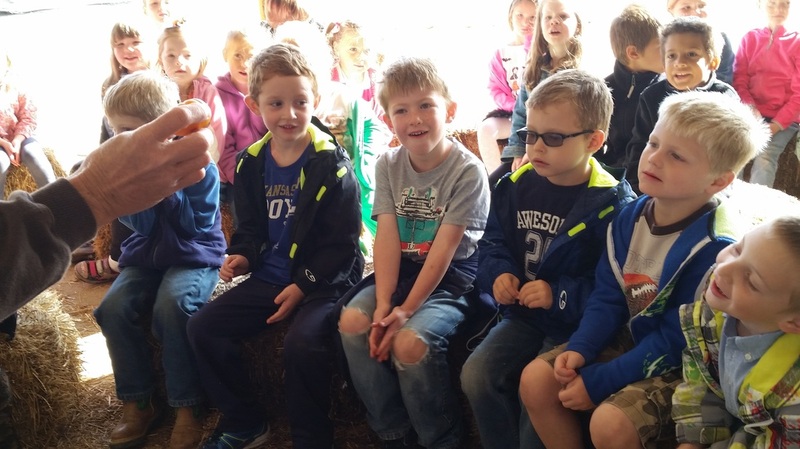 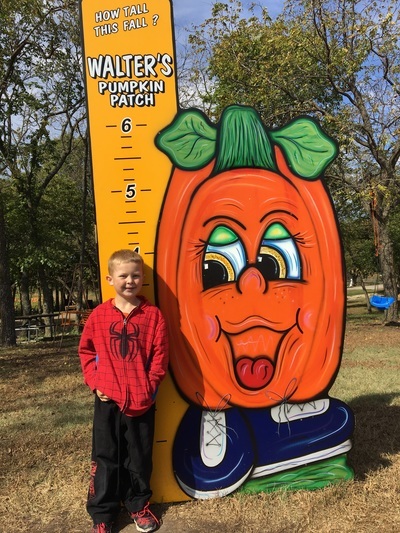 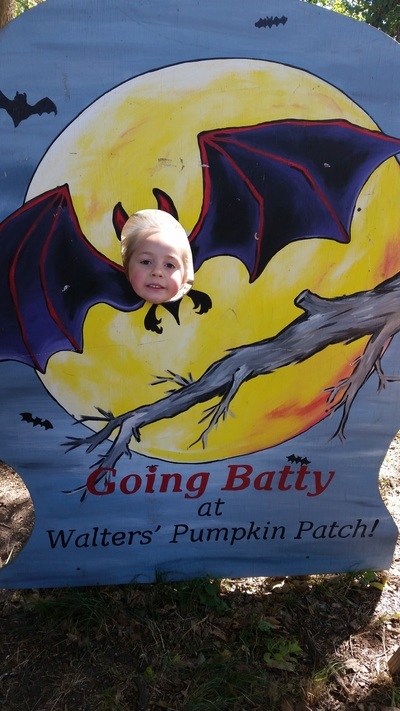 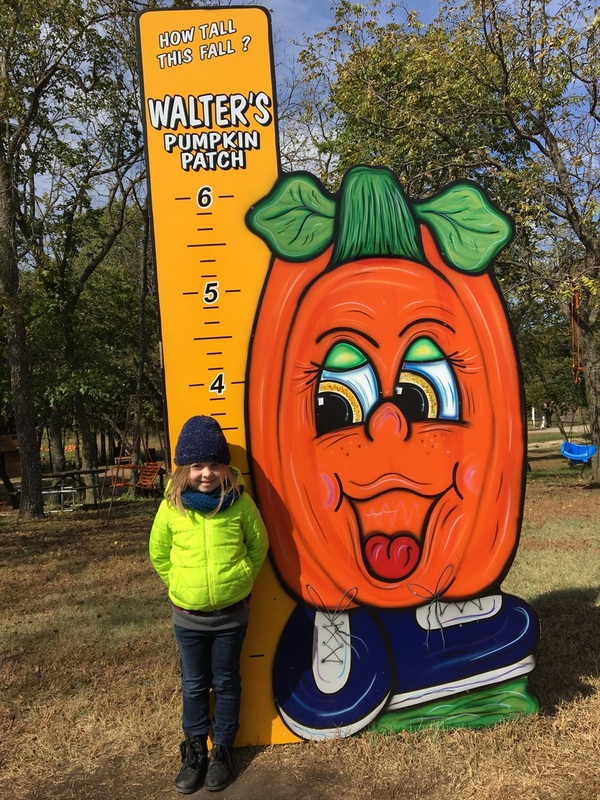 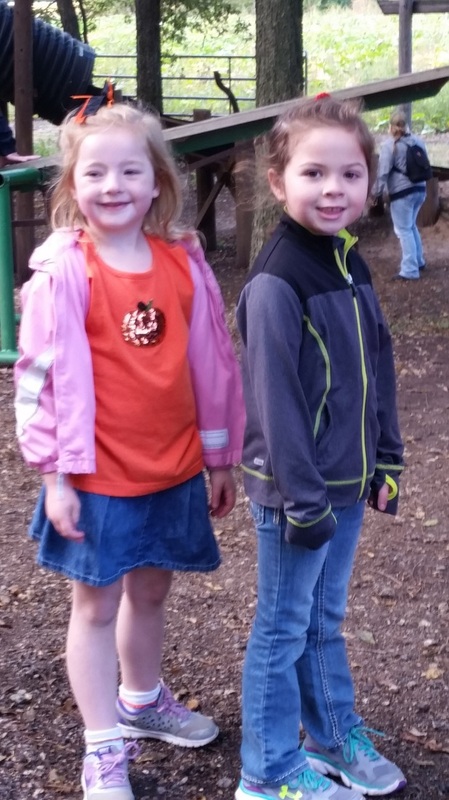 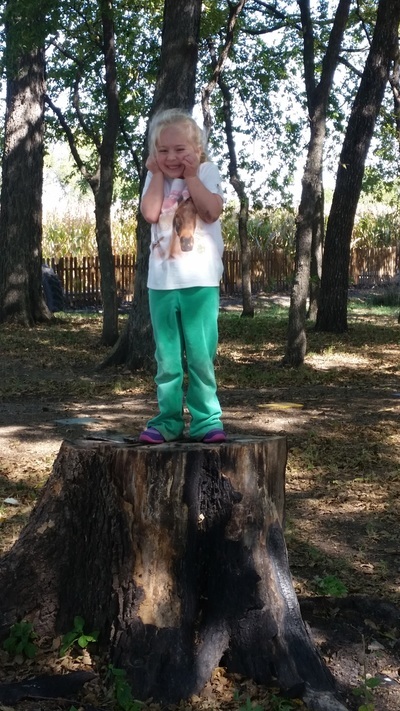 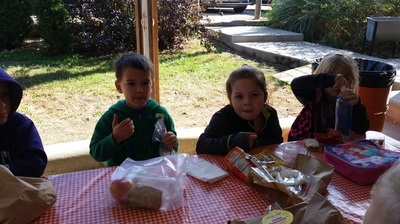 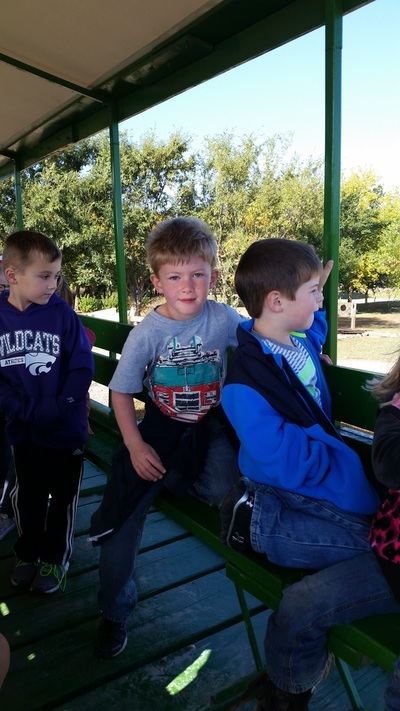 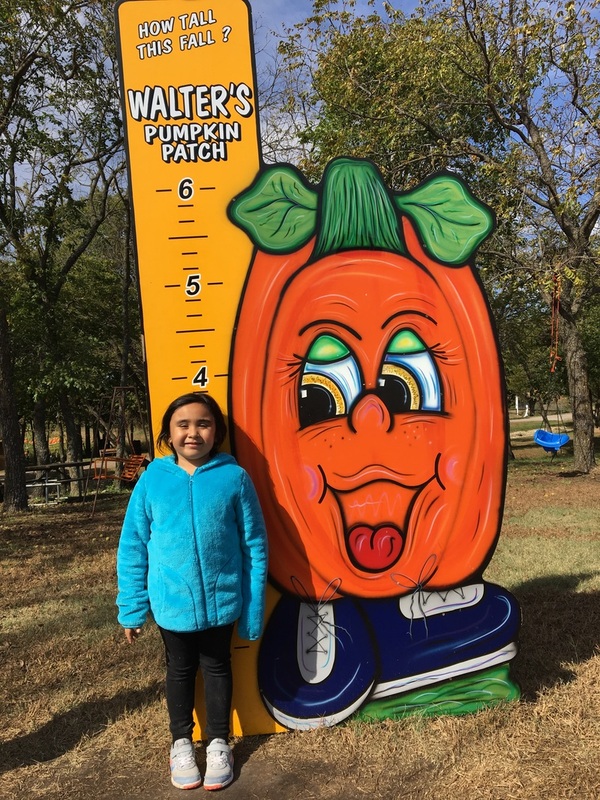 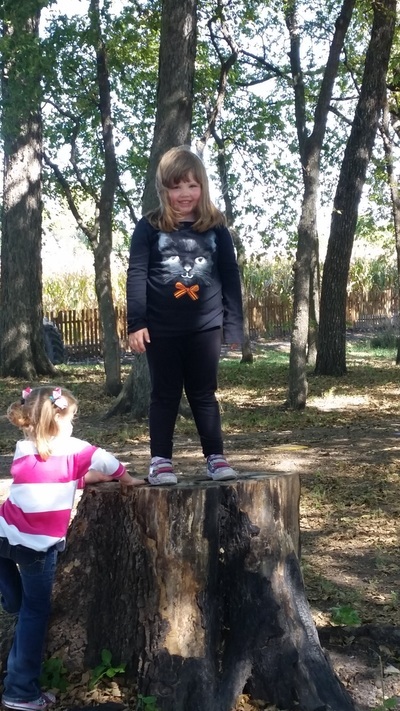 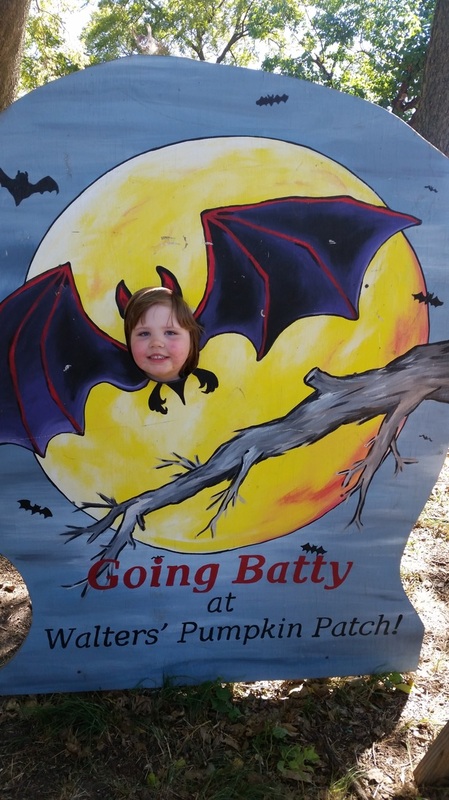 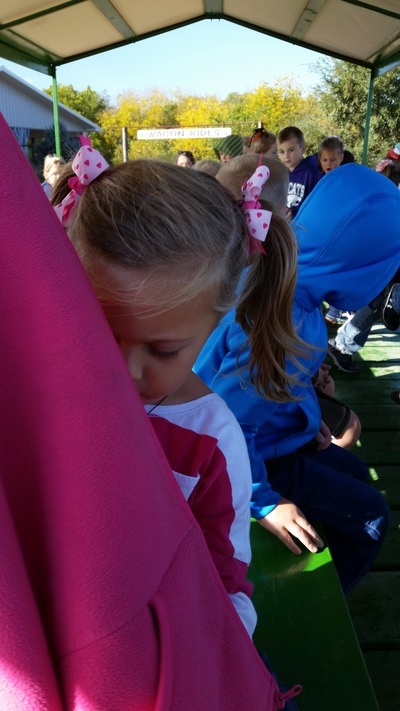 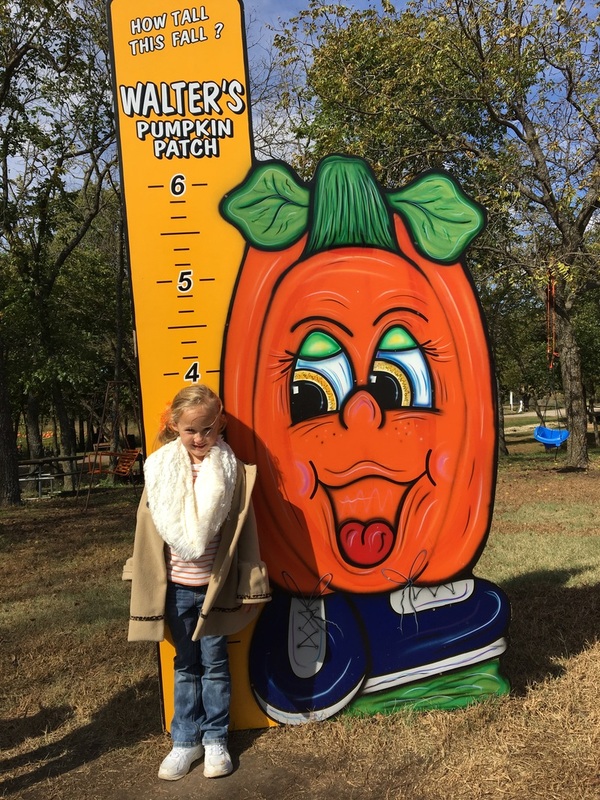 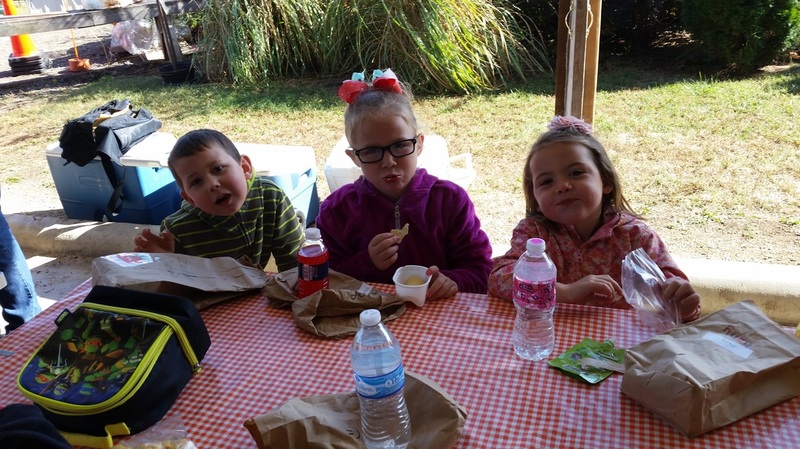 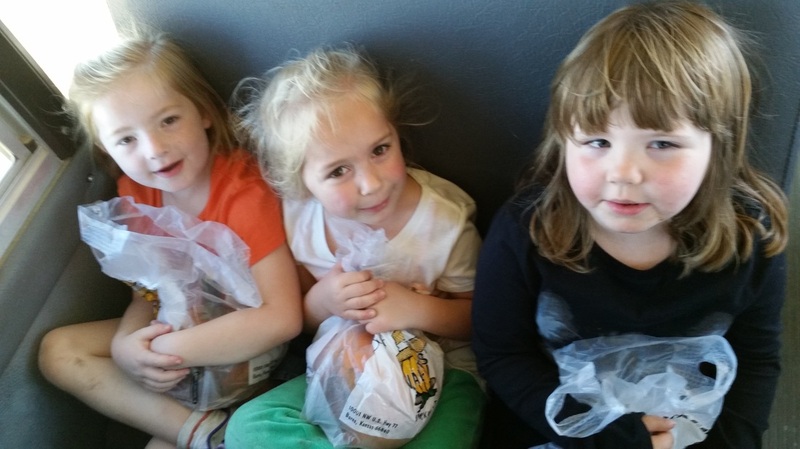 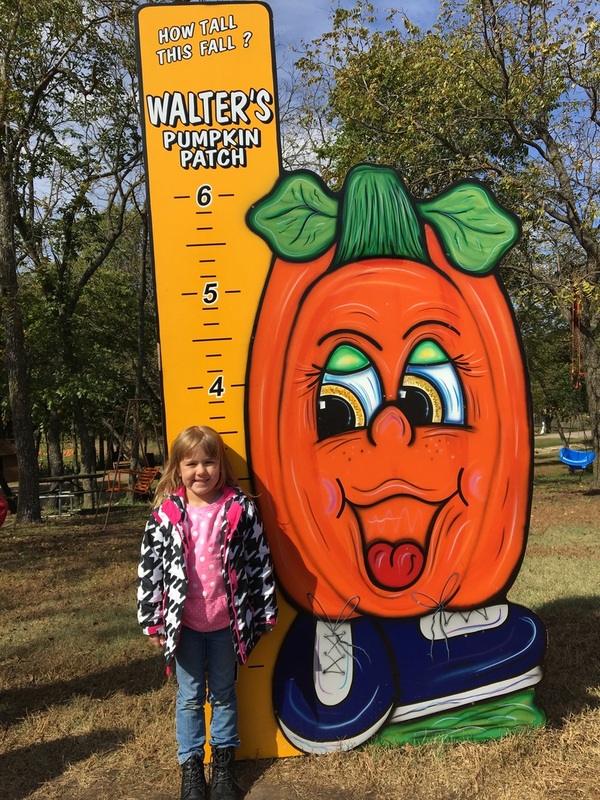 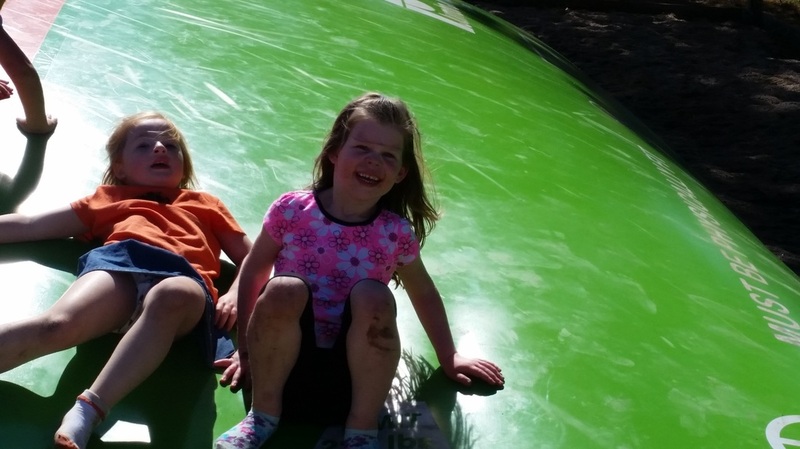 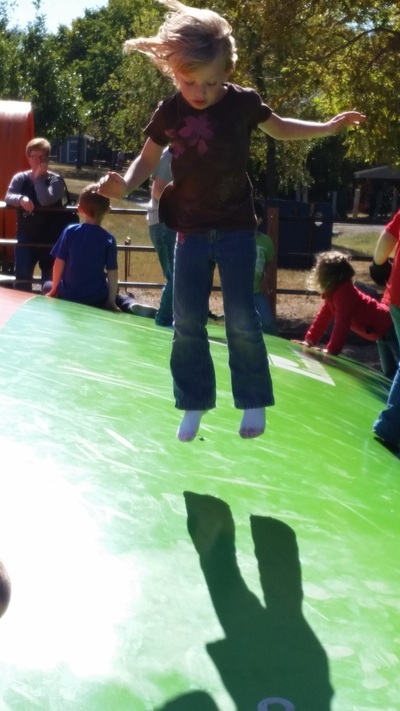 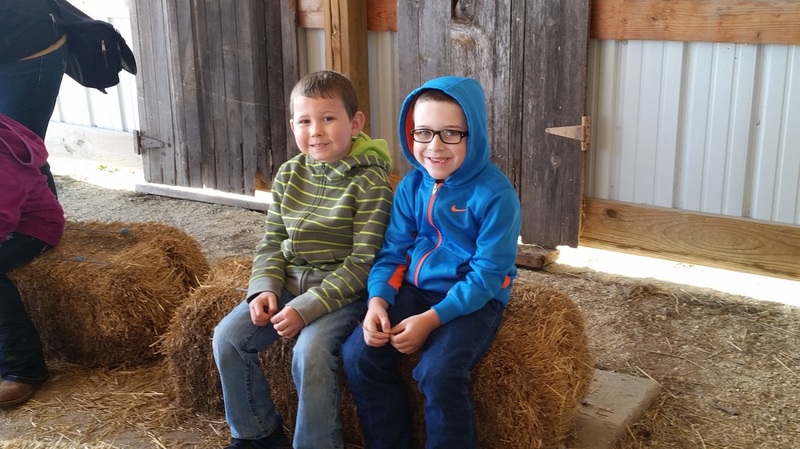 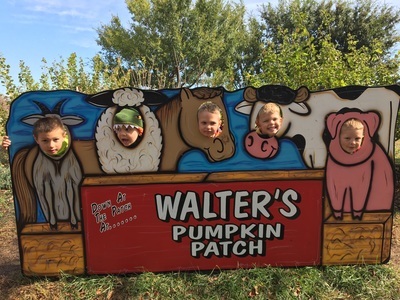 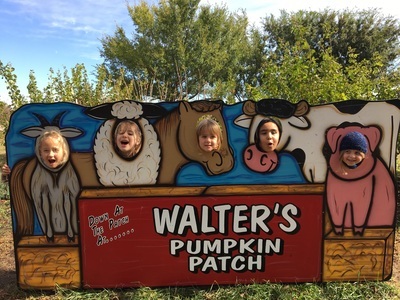 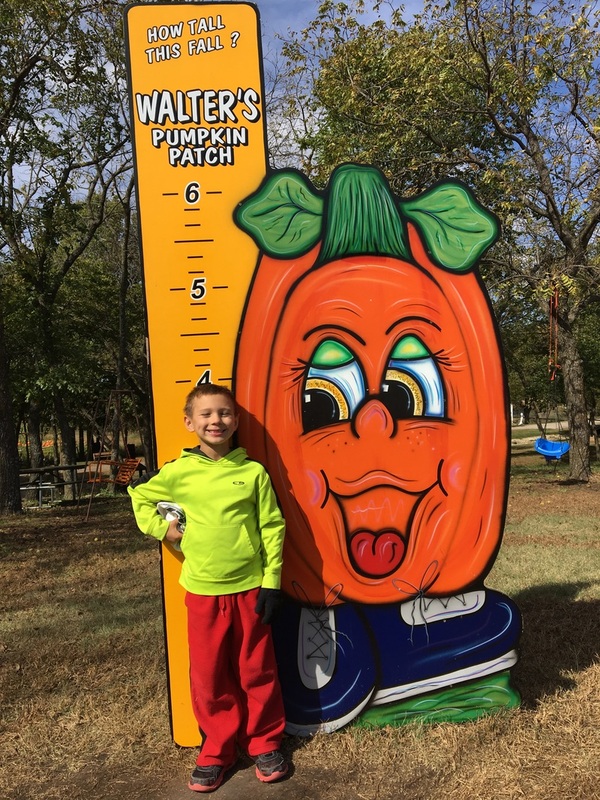 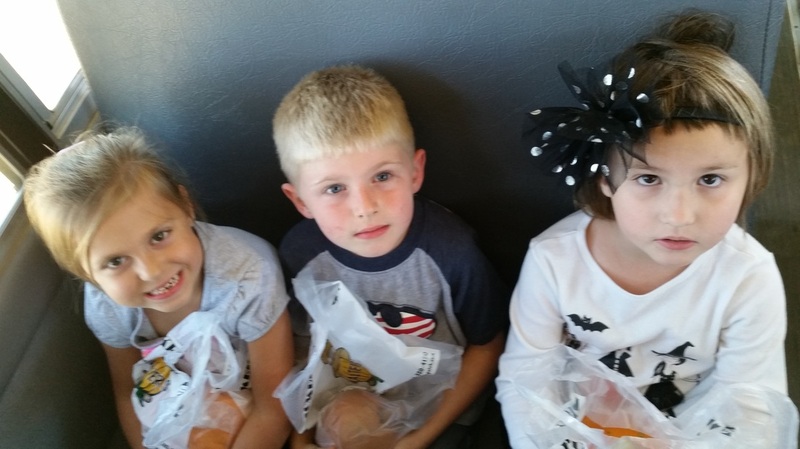 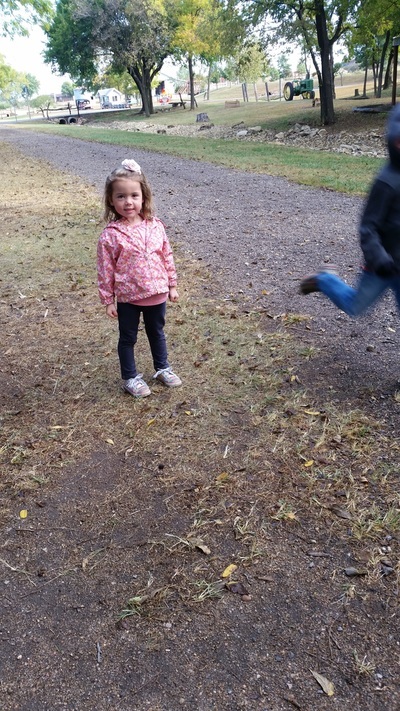 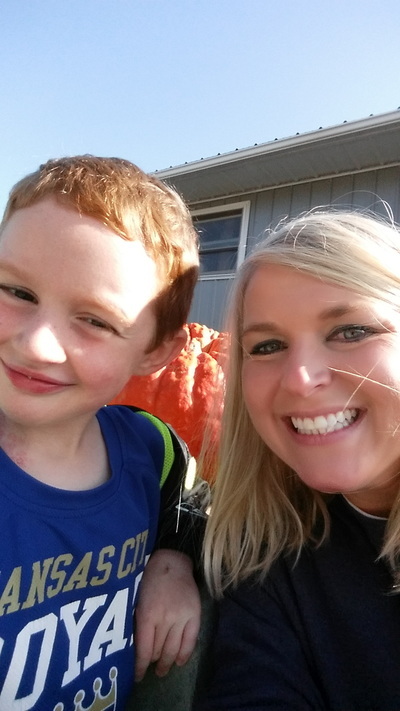 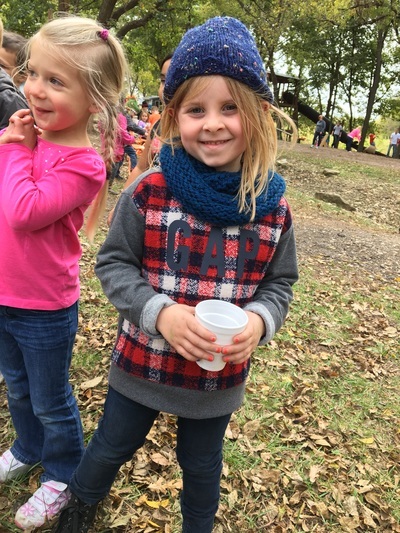 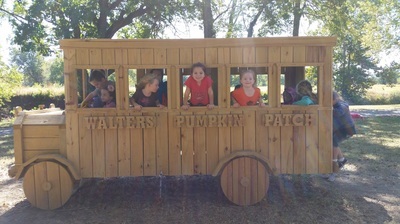 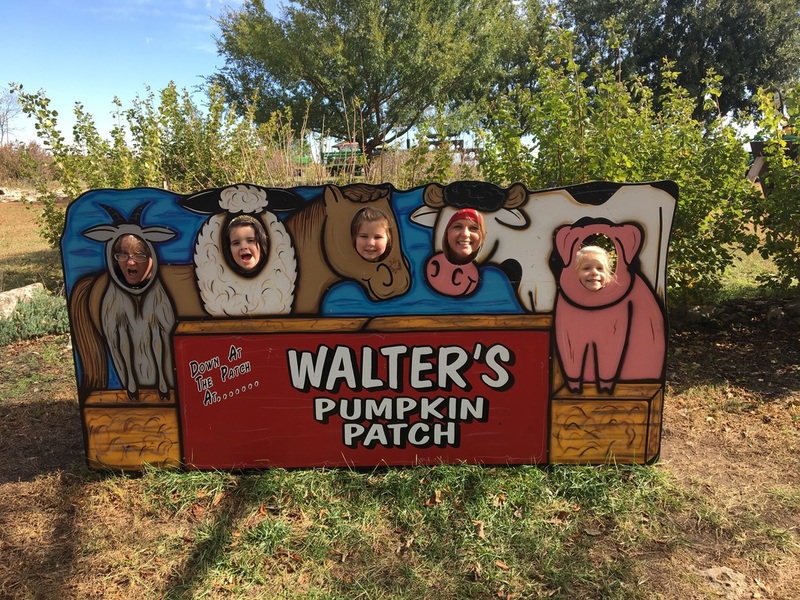 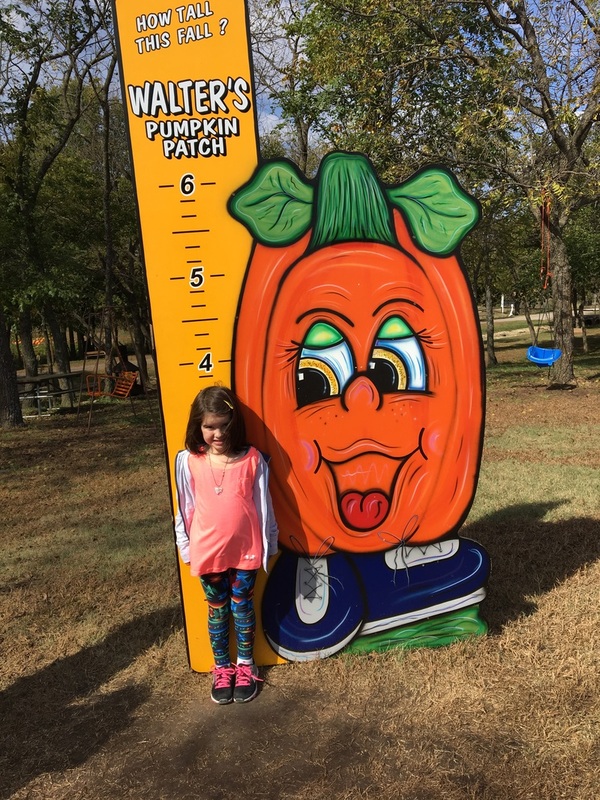 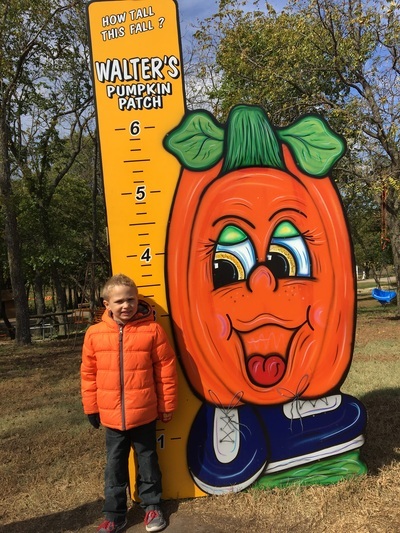 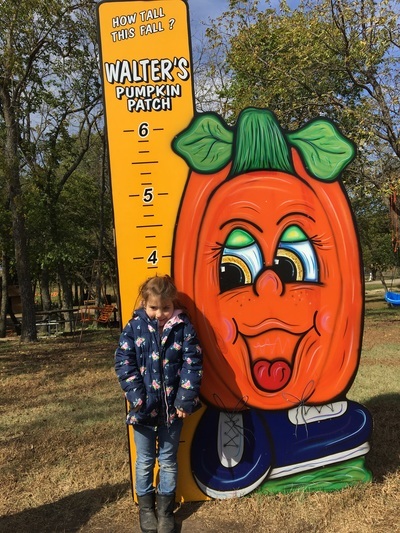 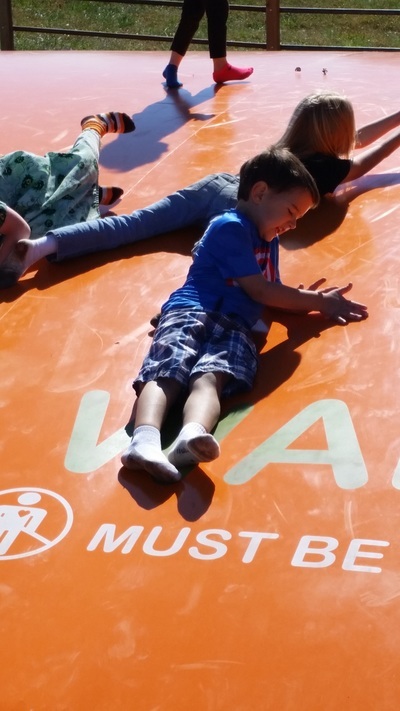 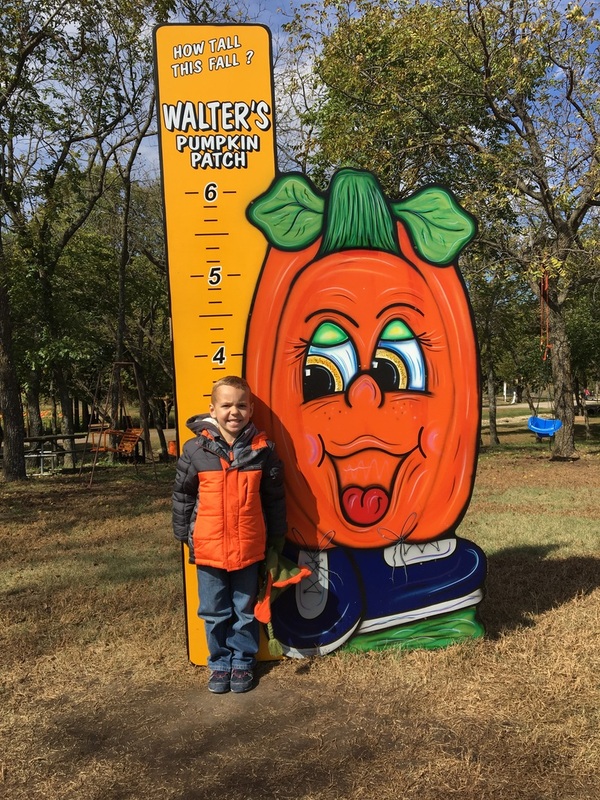 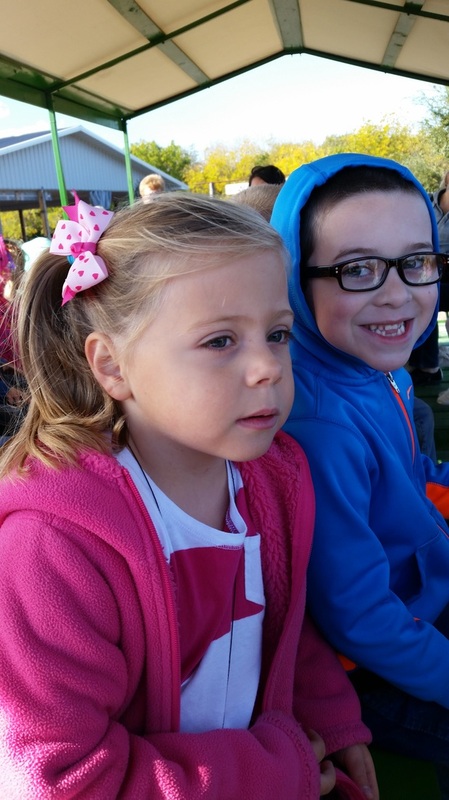 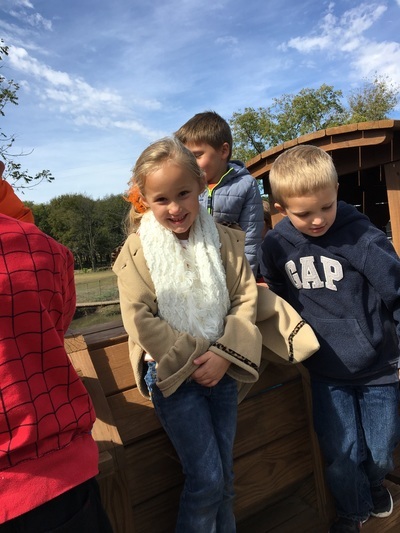 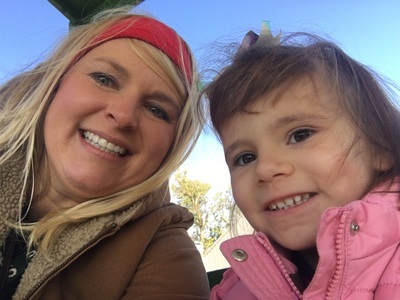 These lil pumpkins played hard at Walter's Pumpkin Patch! 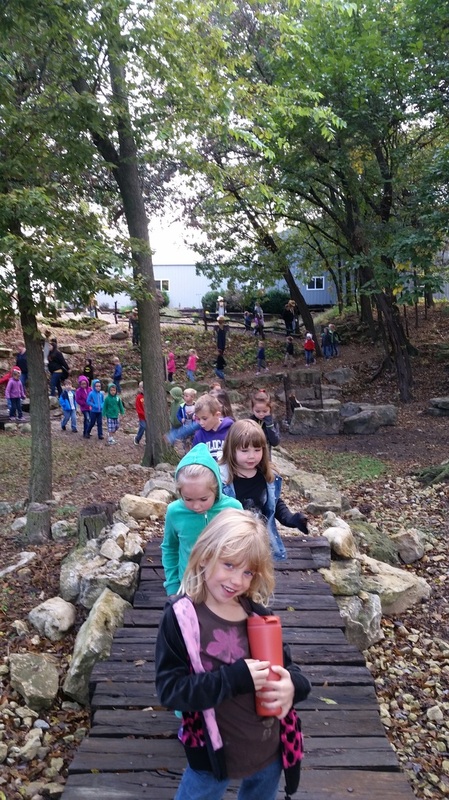 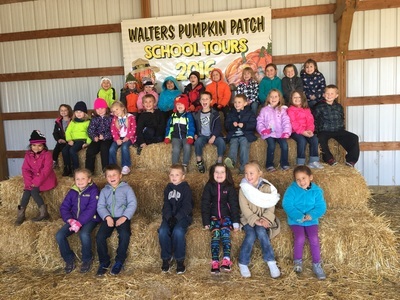 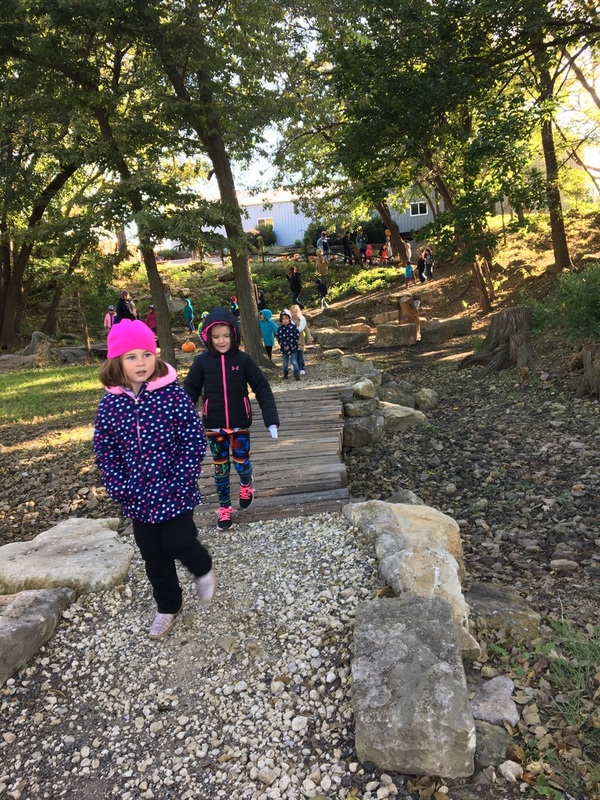 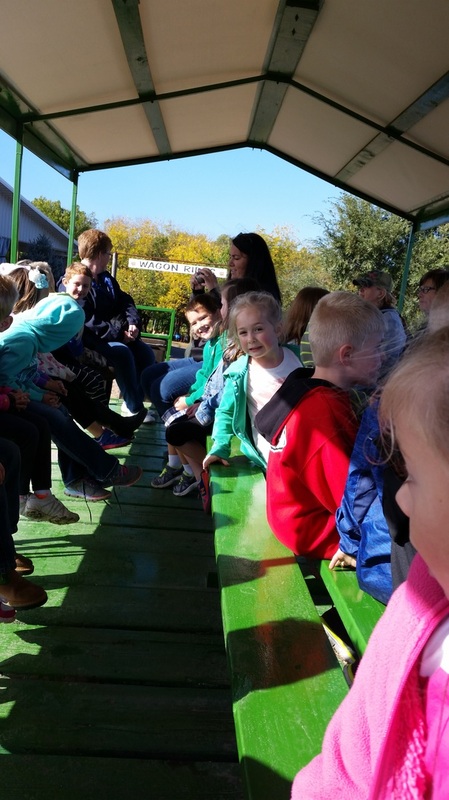 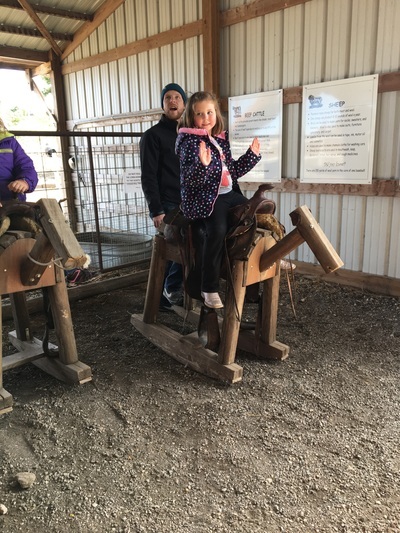 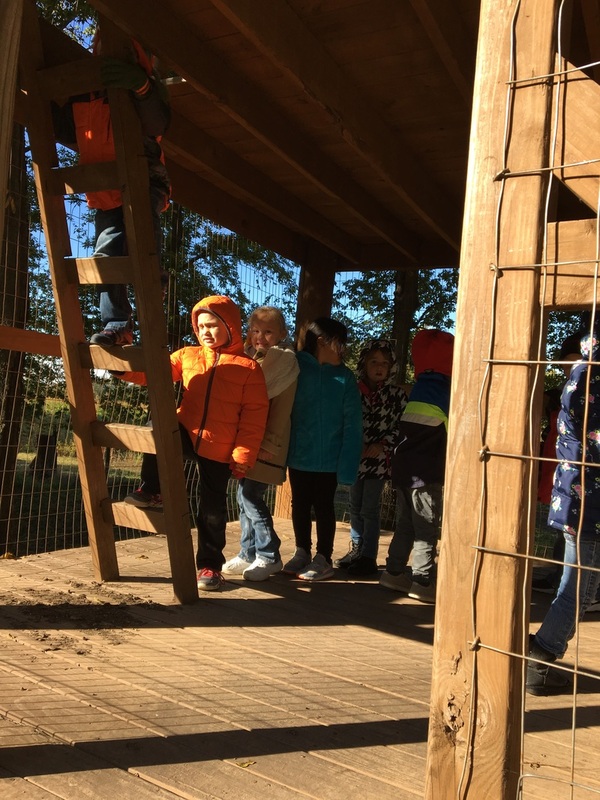 What a great trip for the teachers and students outside of school walls! ​Good Times ahead for this bright group!